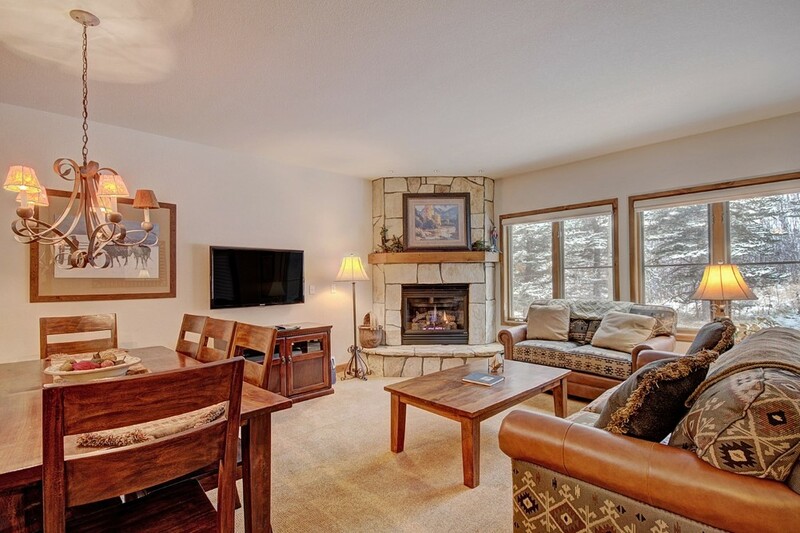 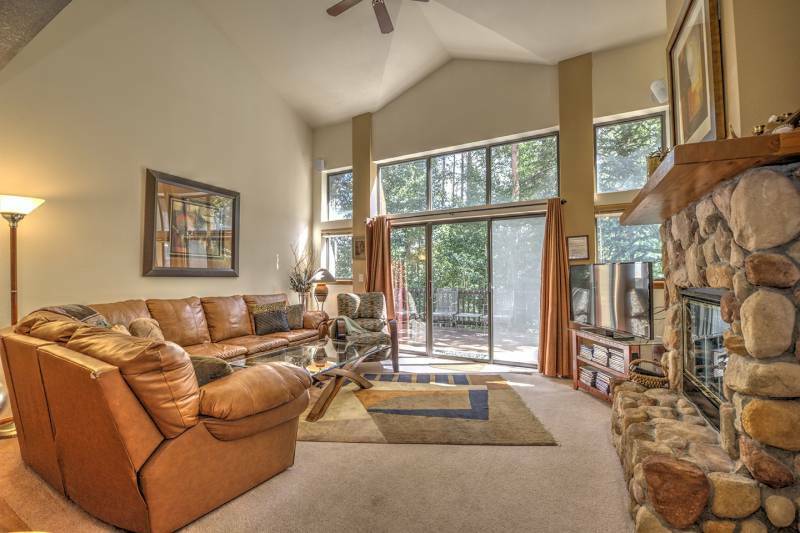 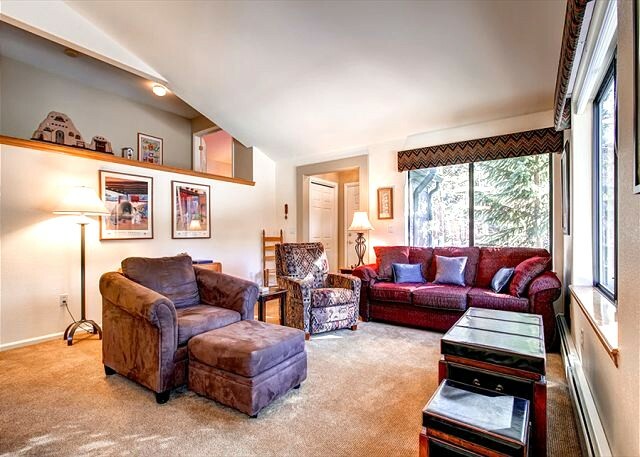 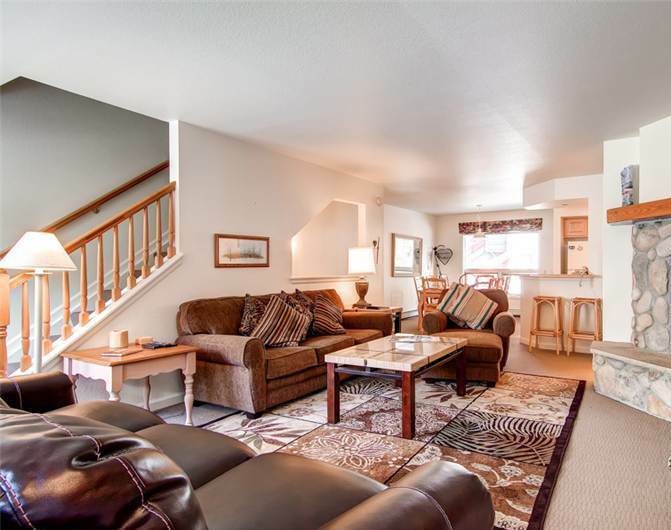 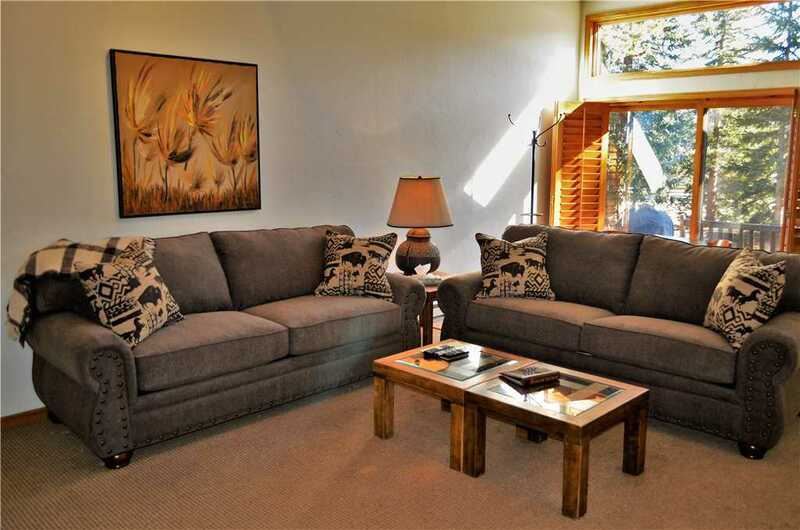 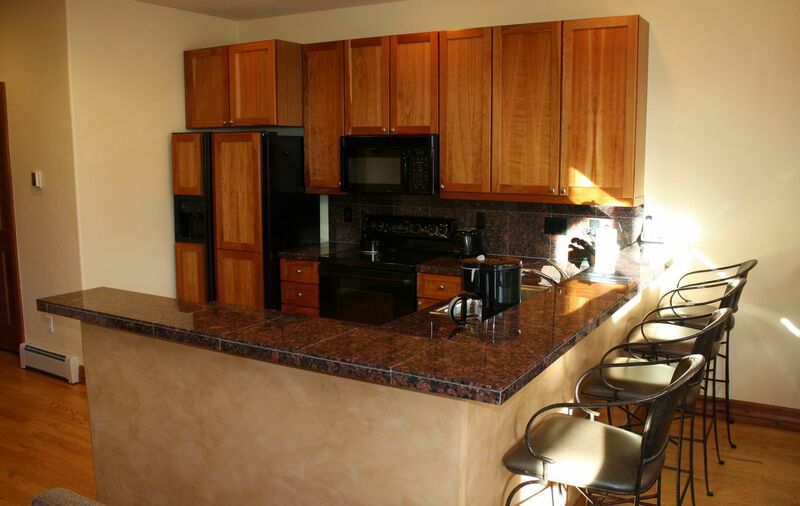 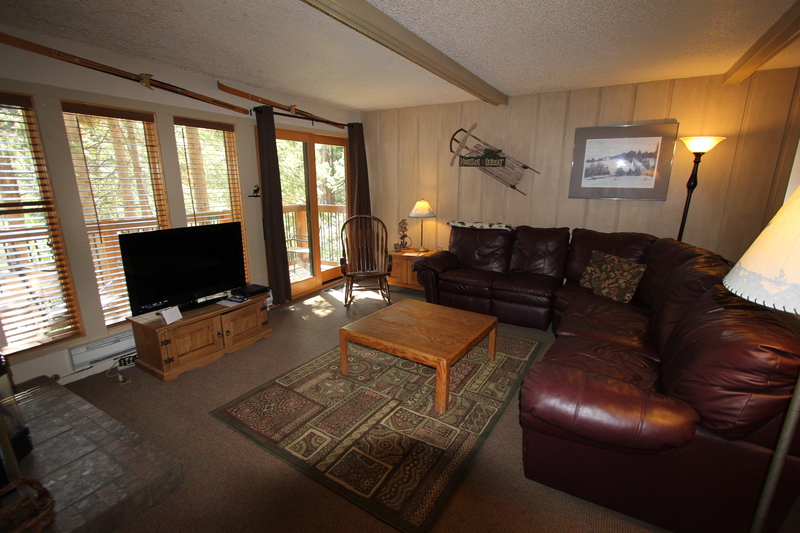 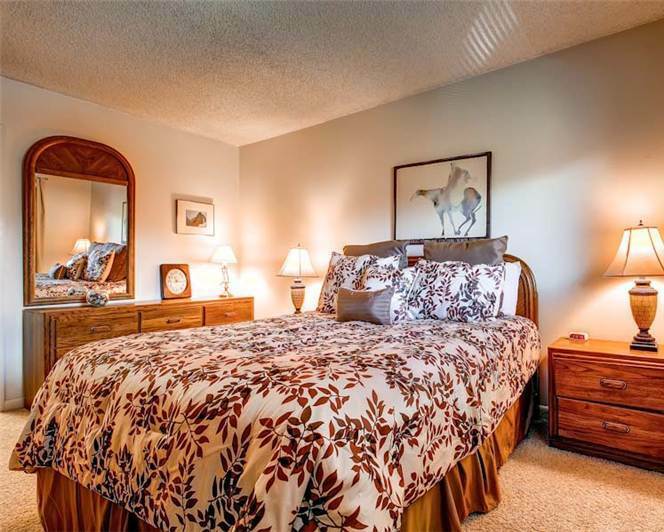 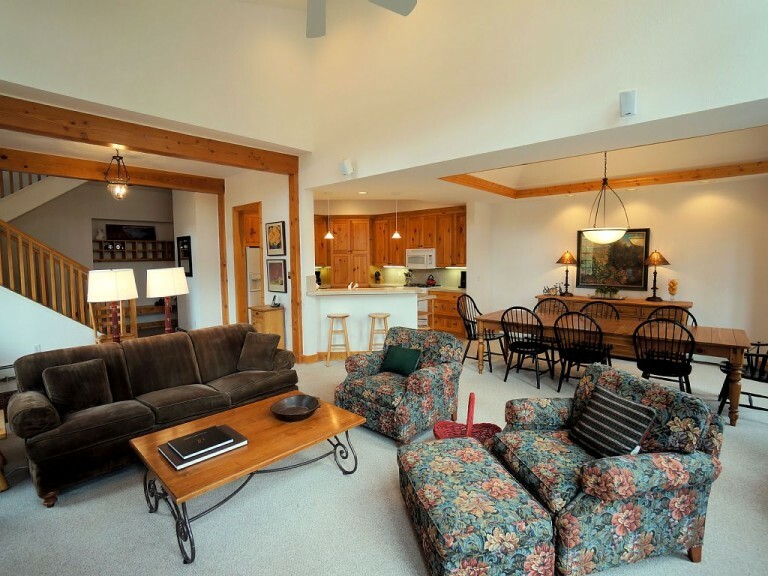 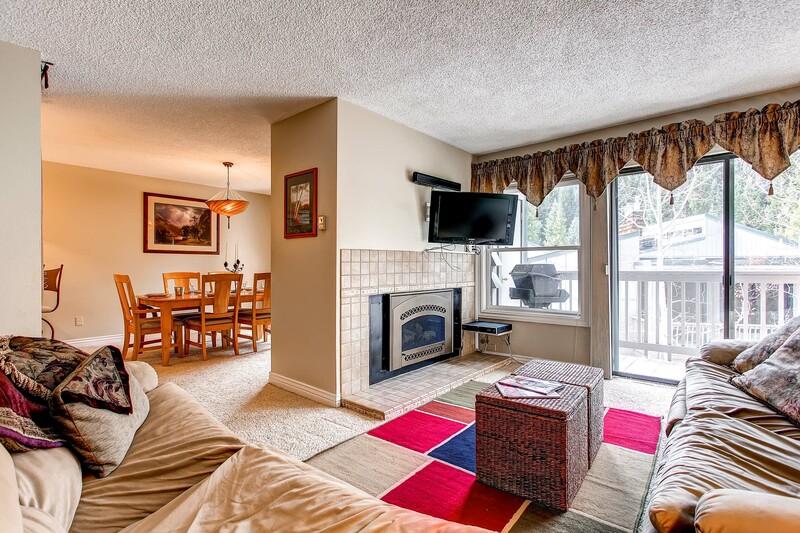 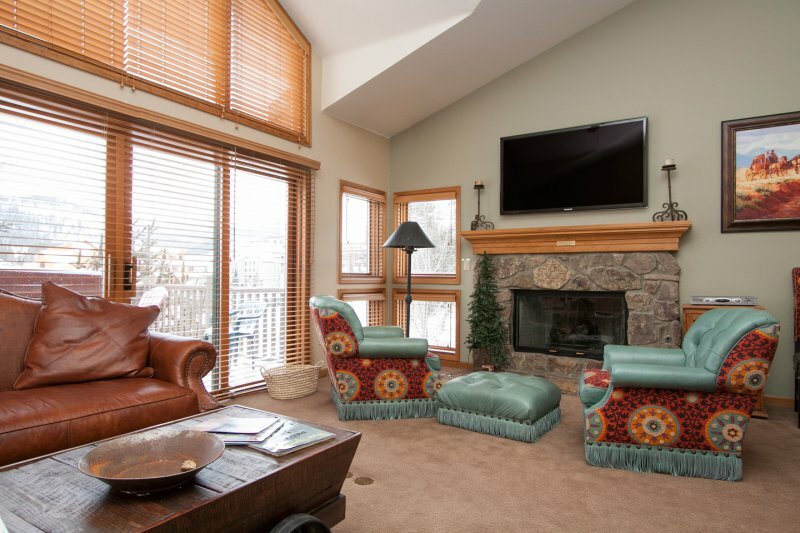 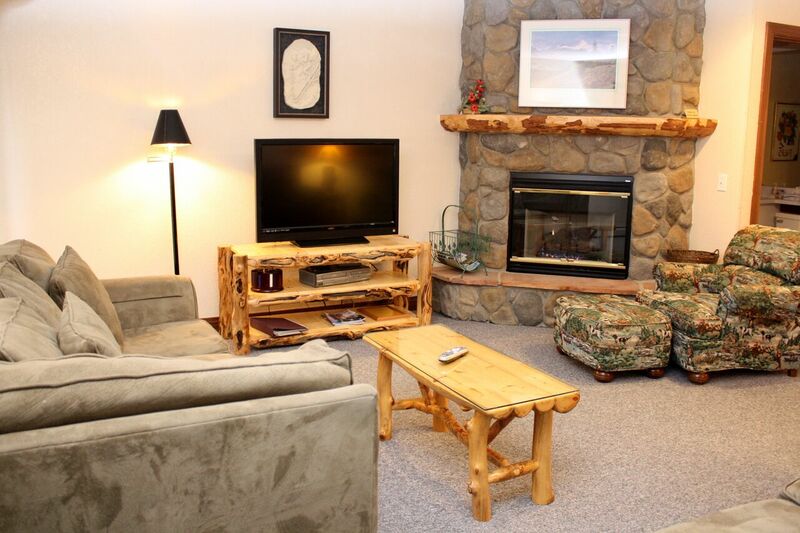 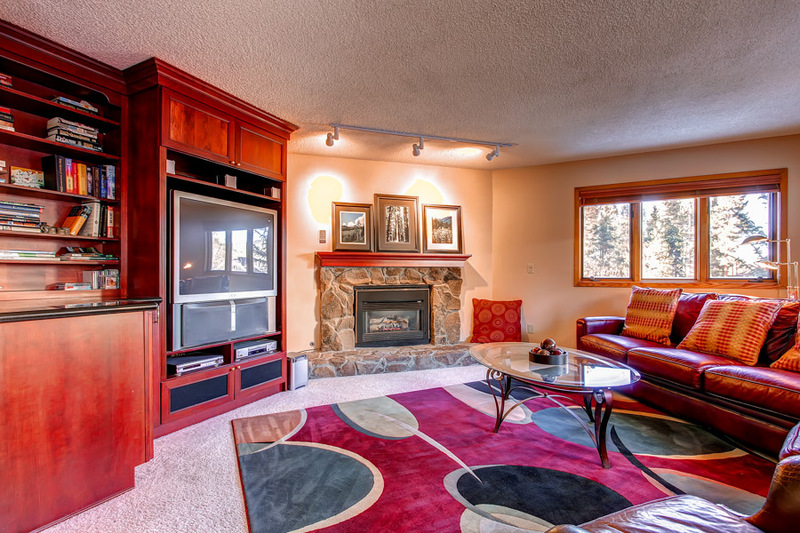 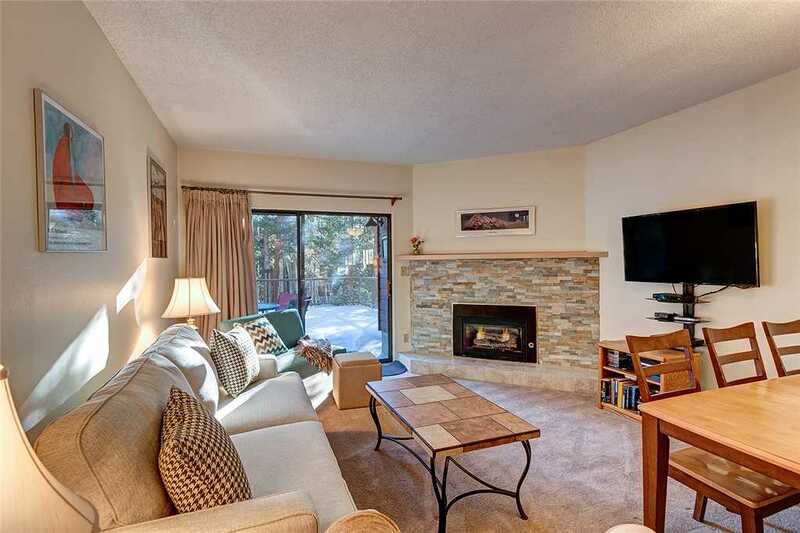 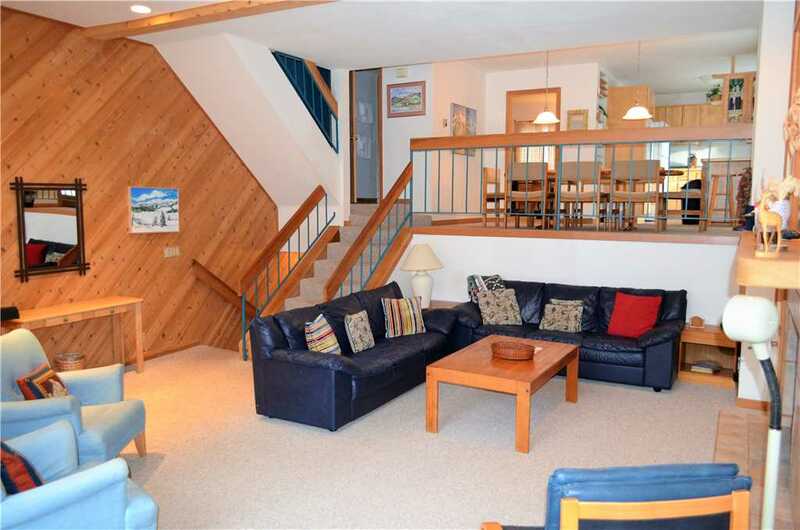 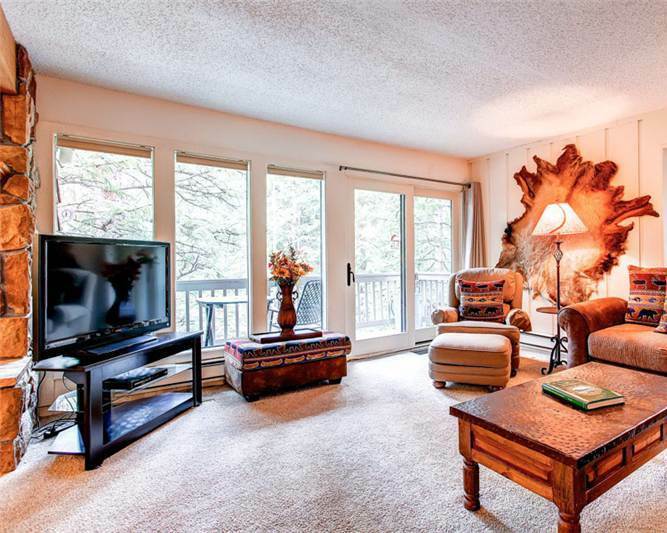 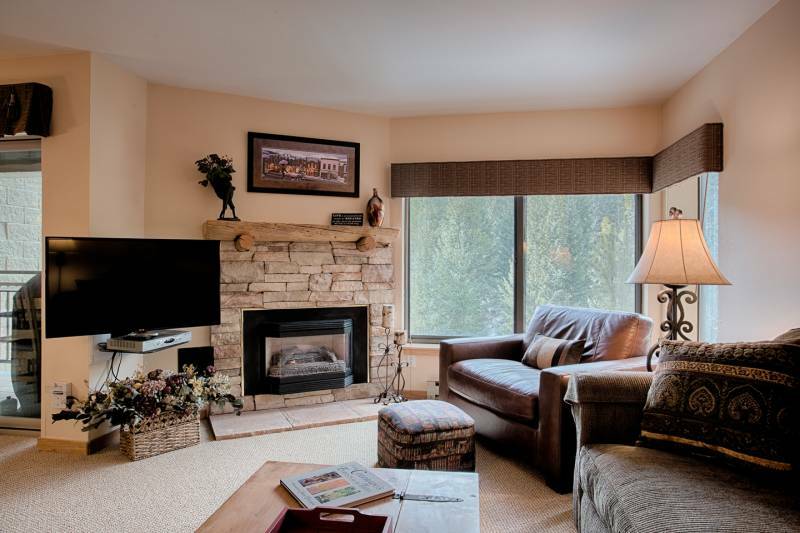 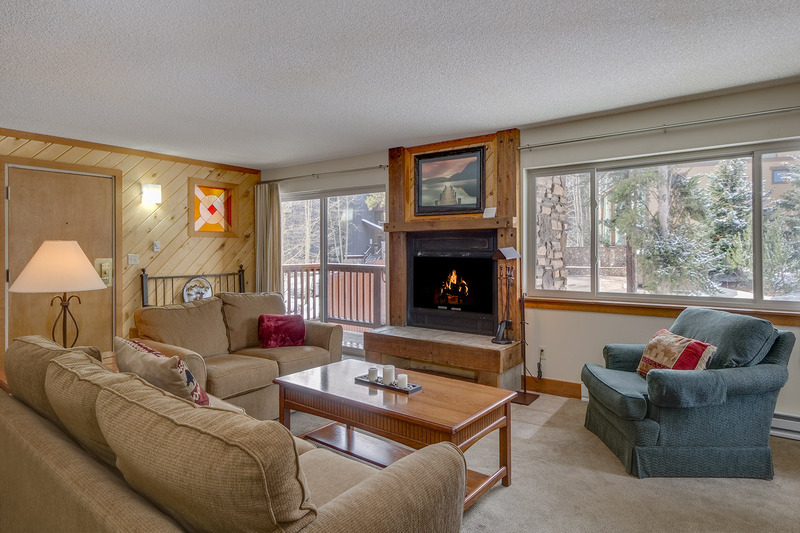 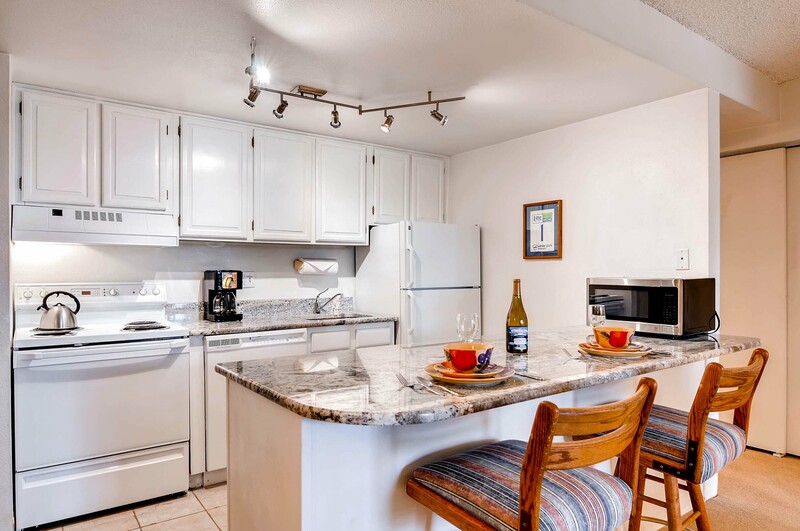 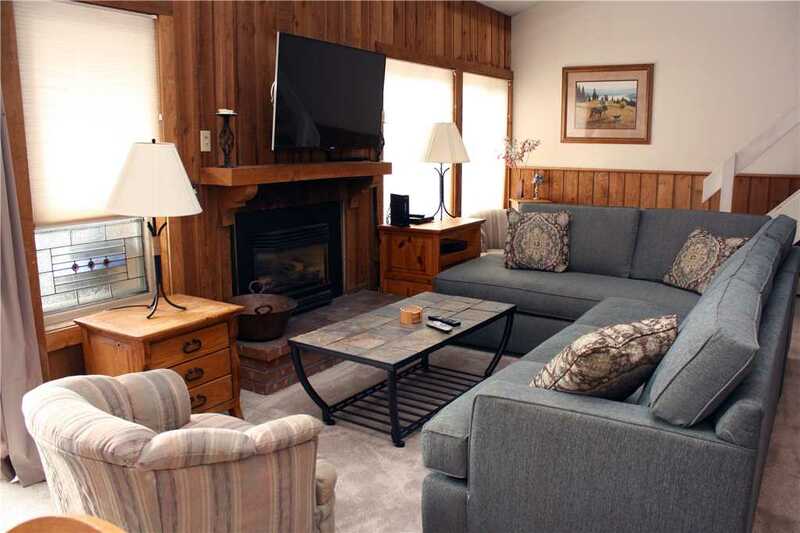 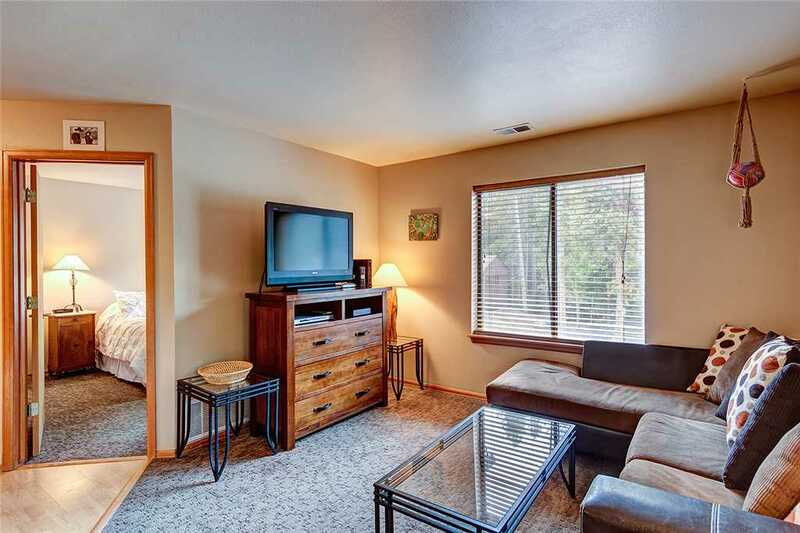 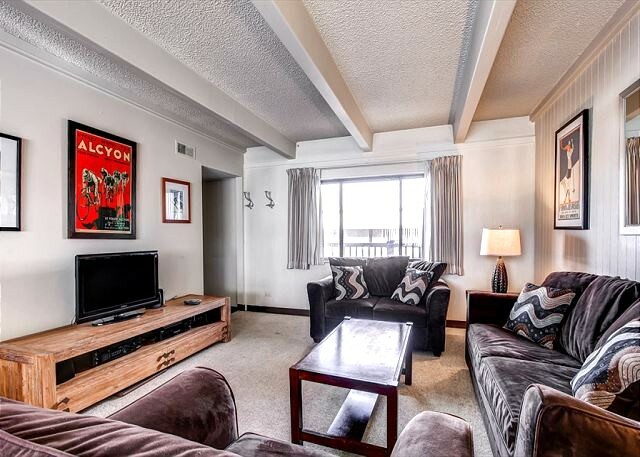 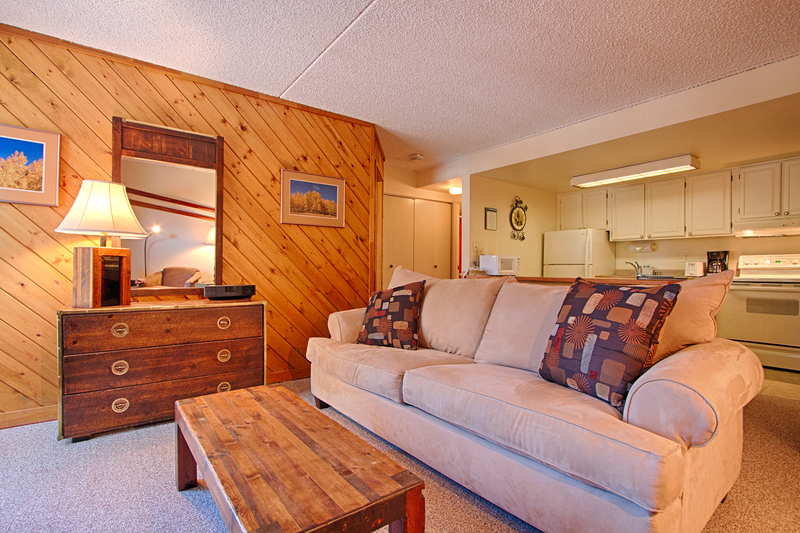 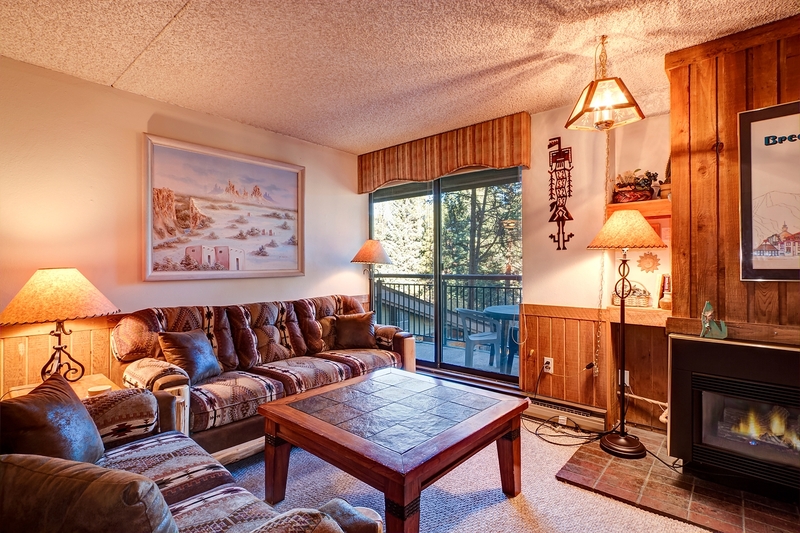 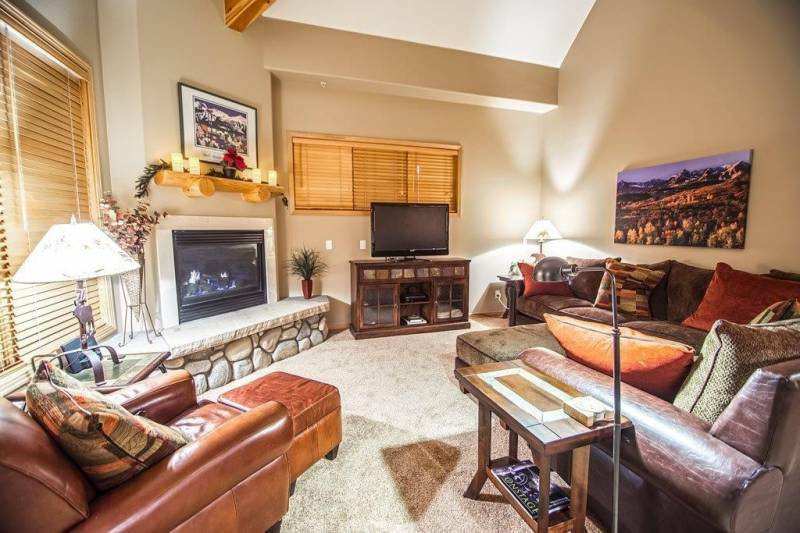 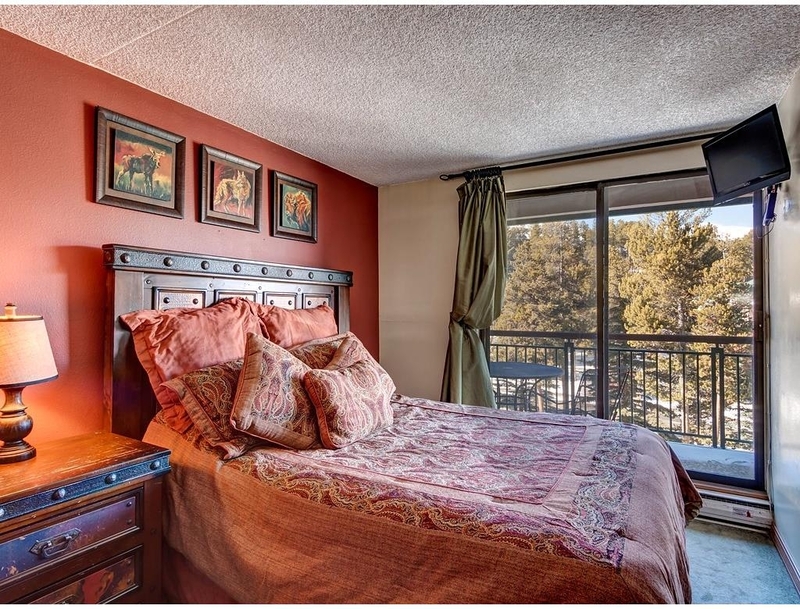 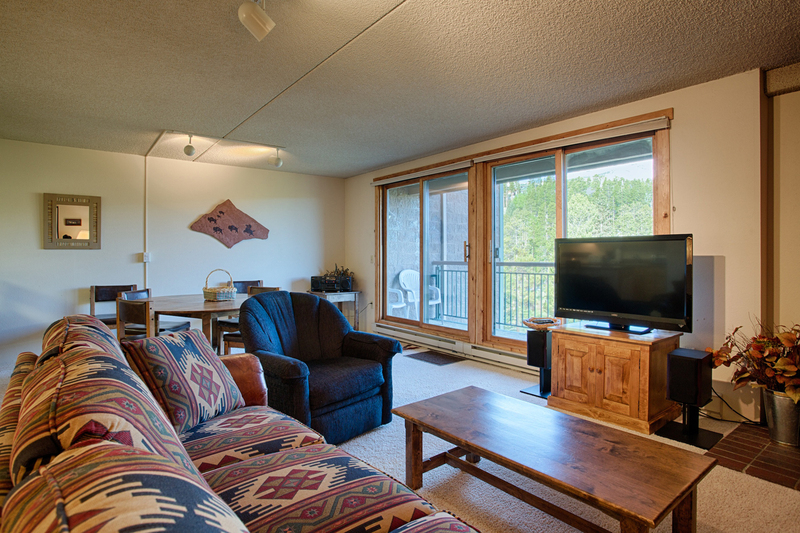 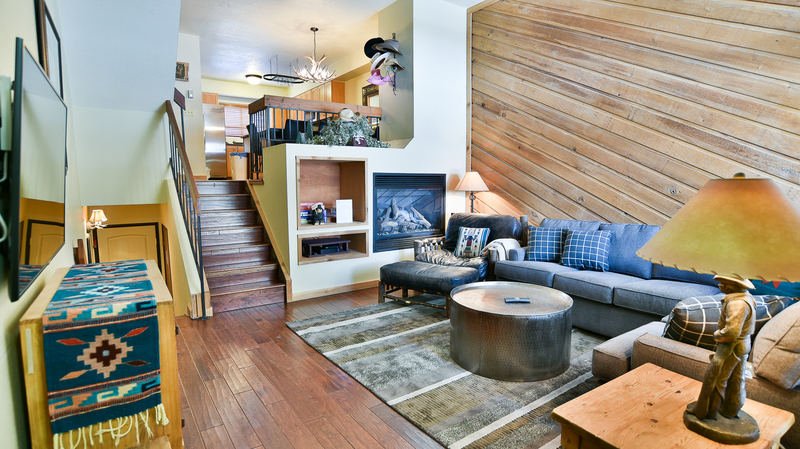 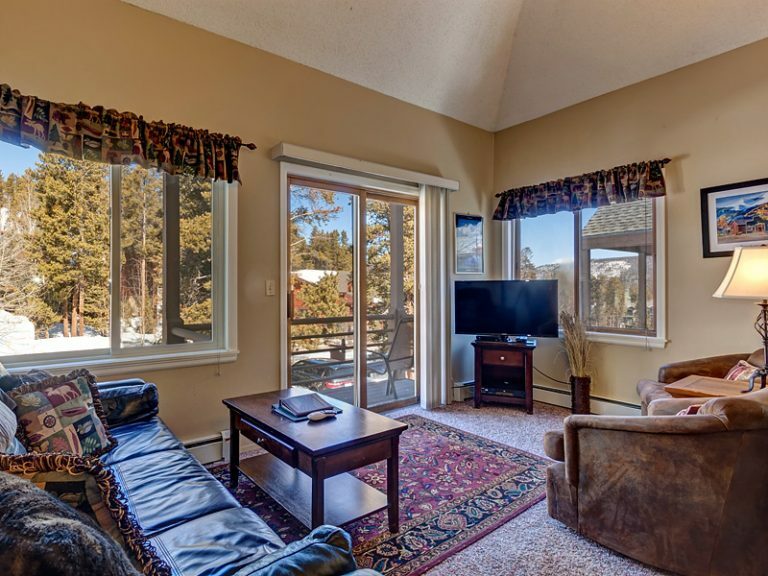 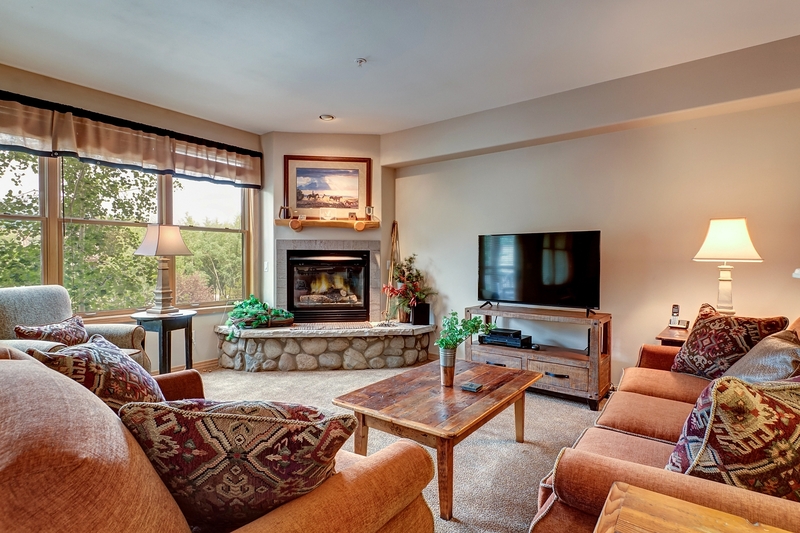 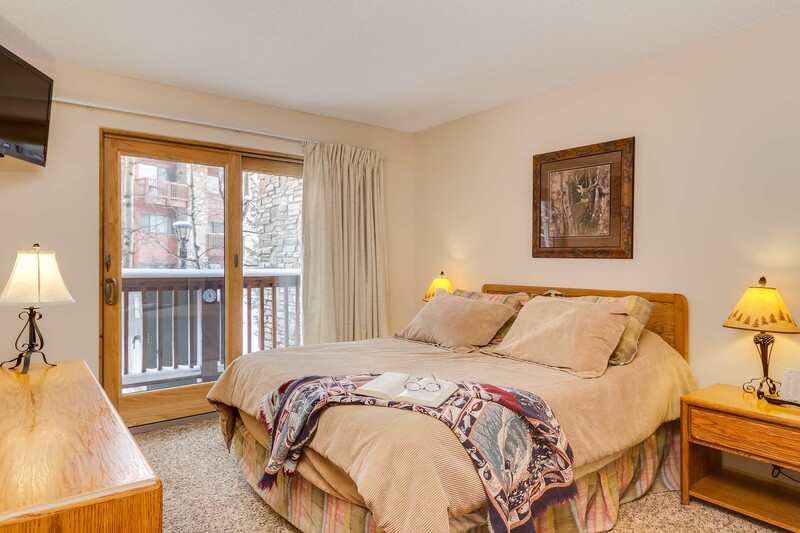 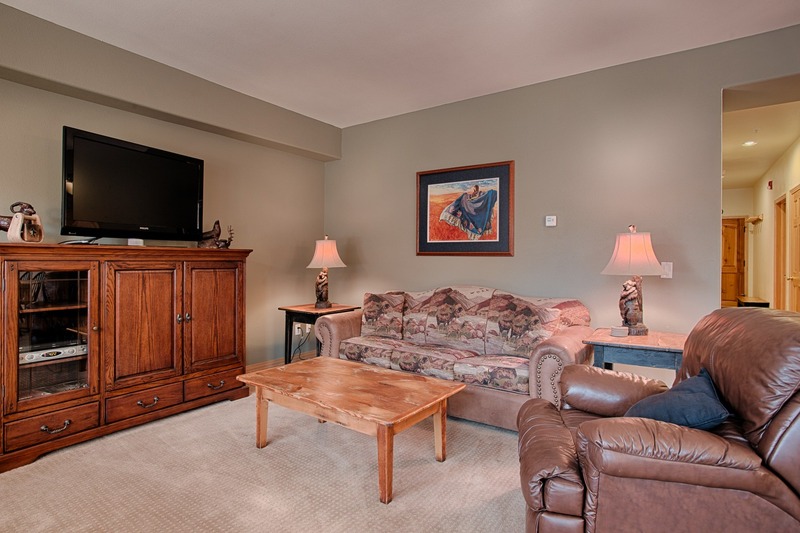 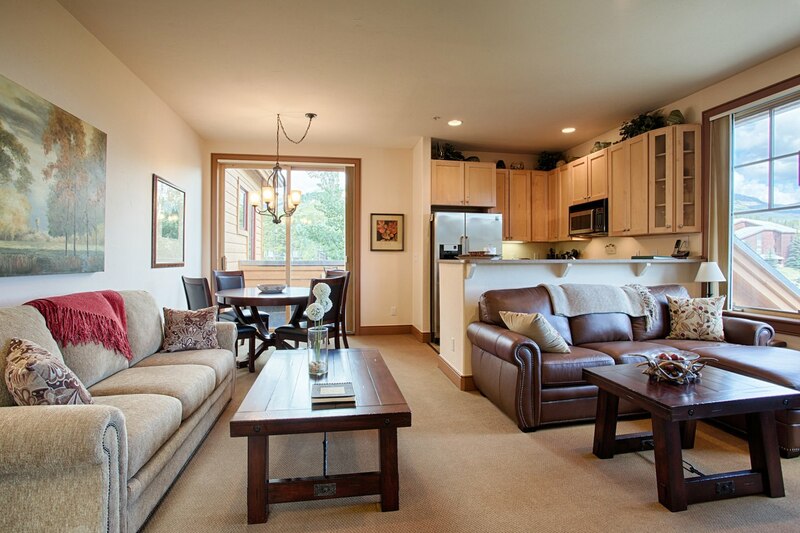 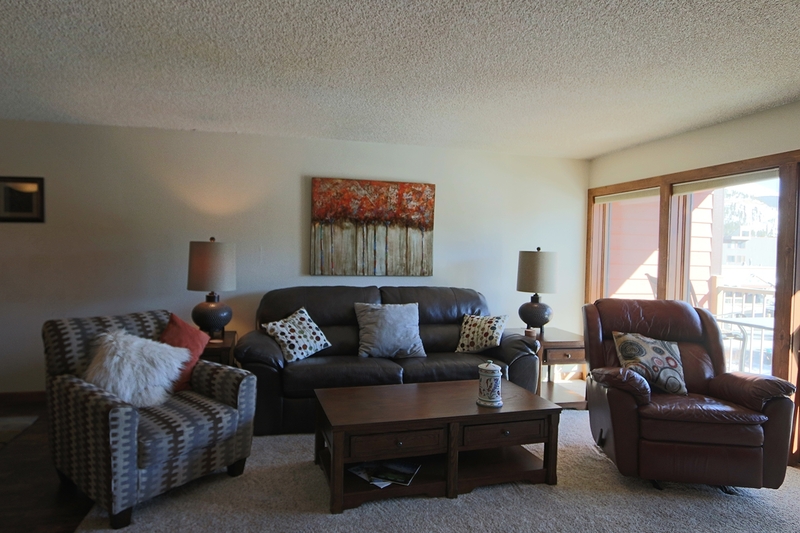 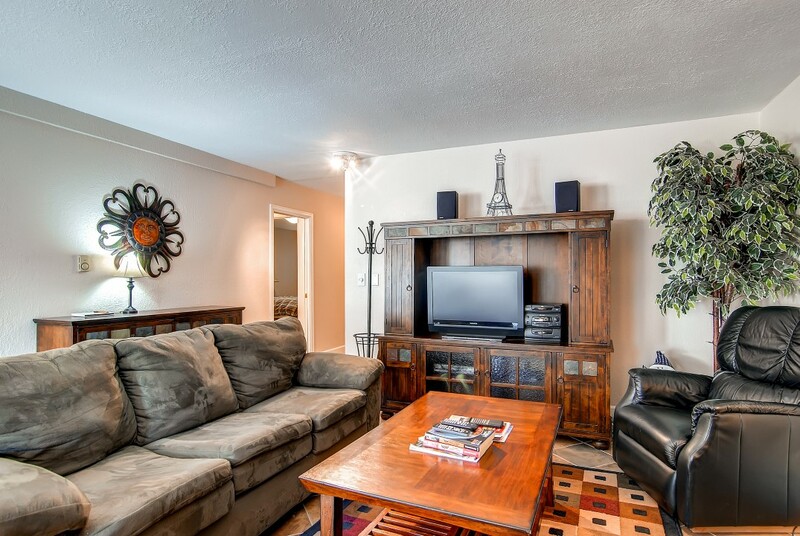 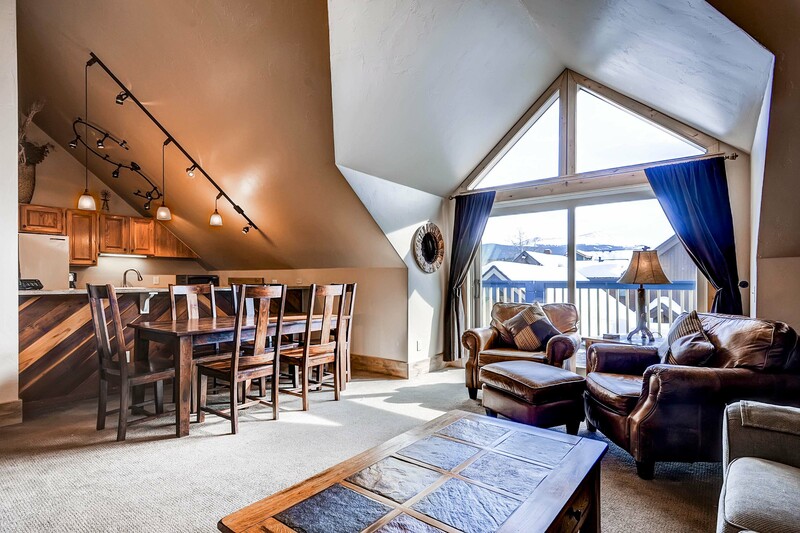 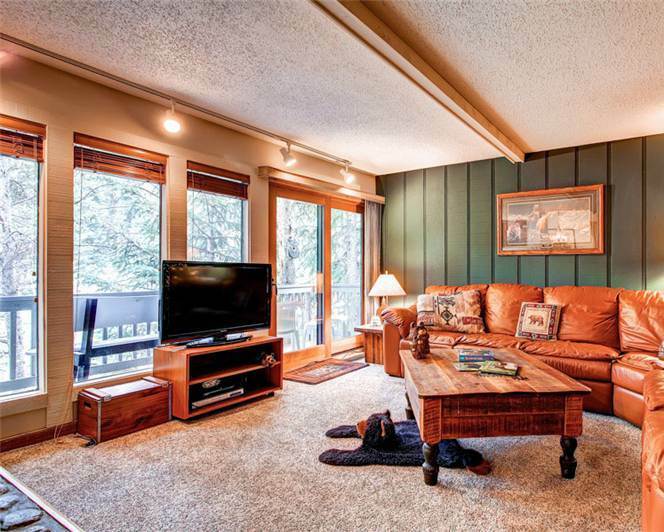 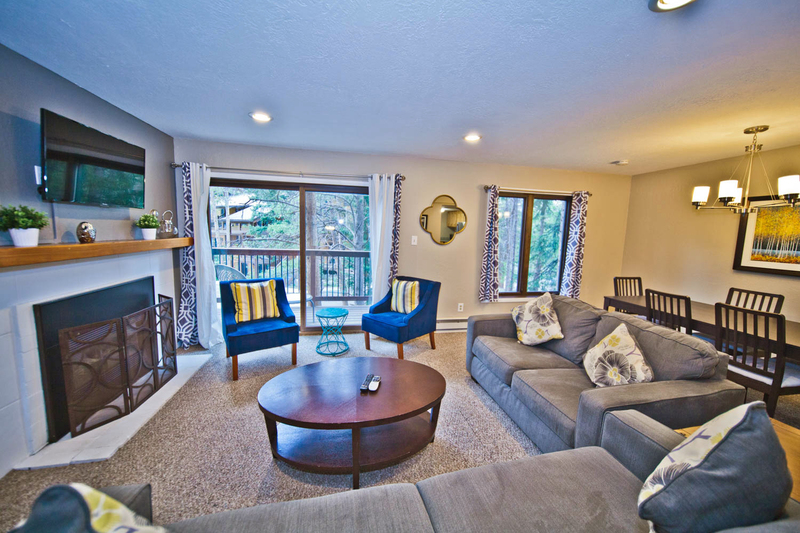 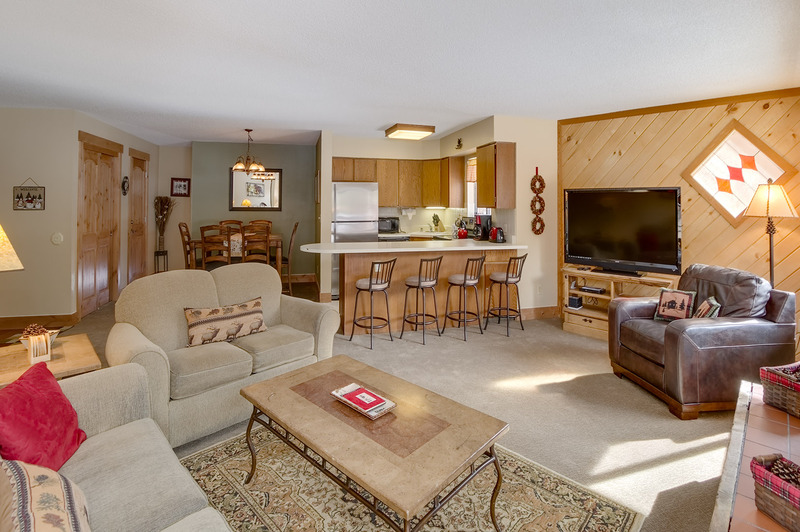 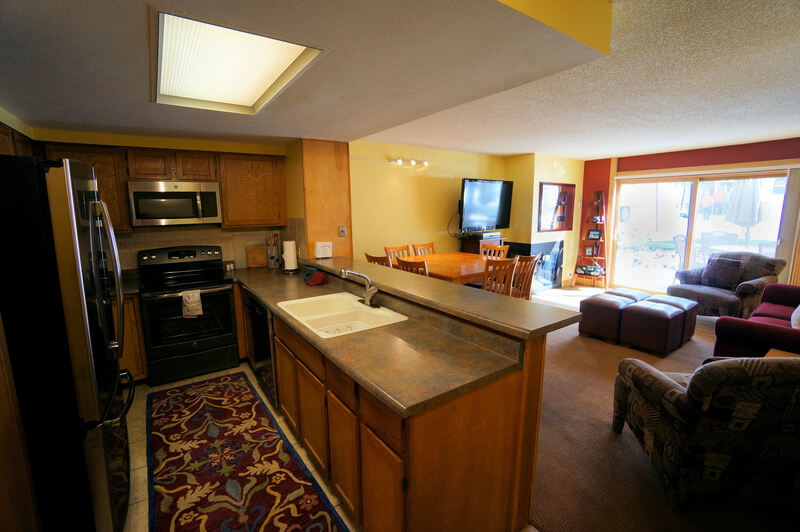 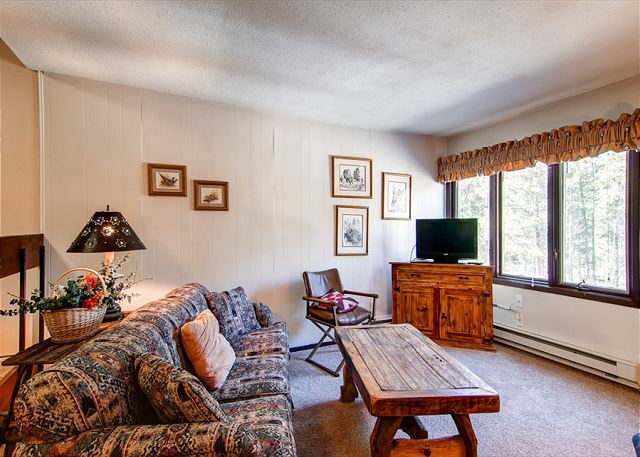 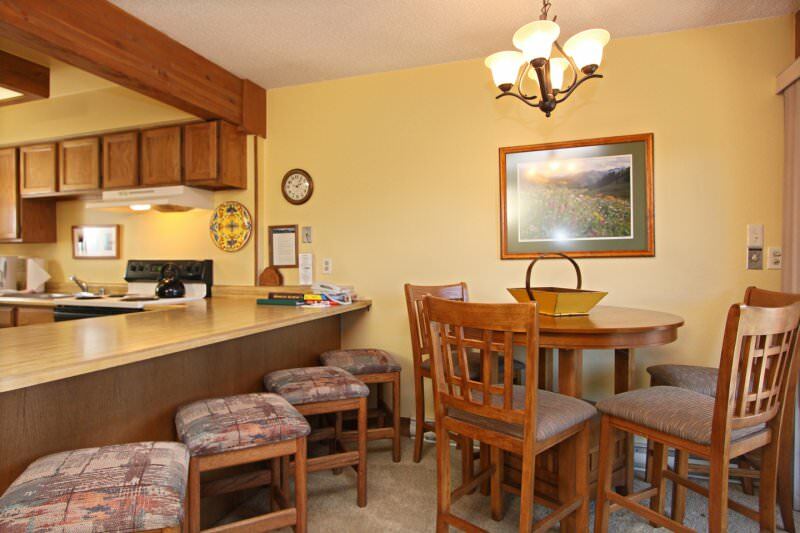 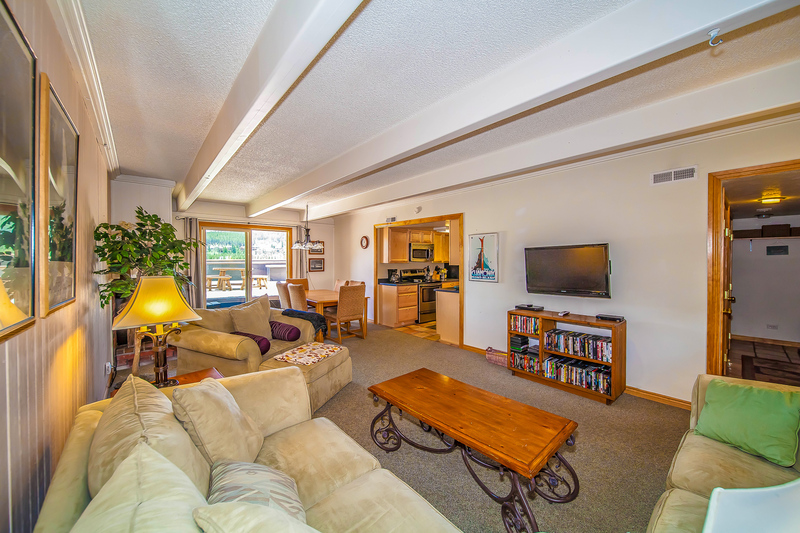 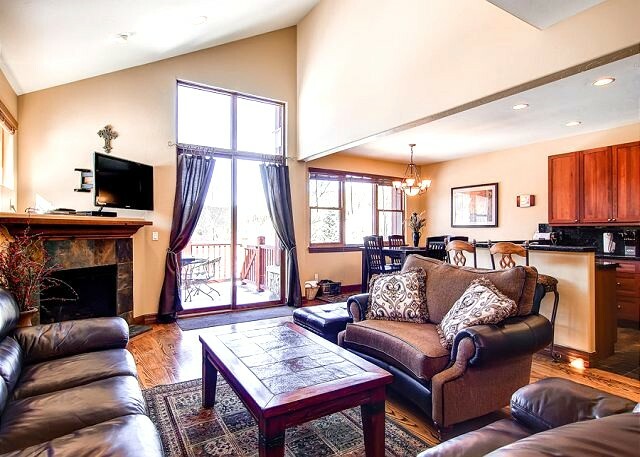 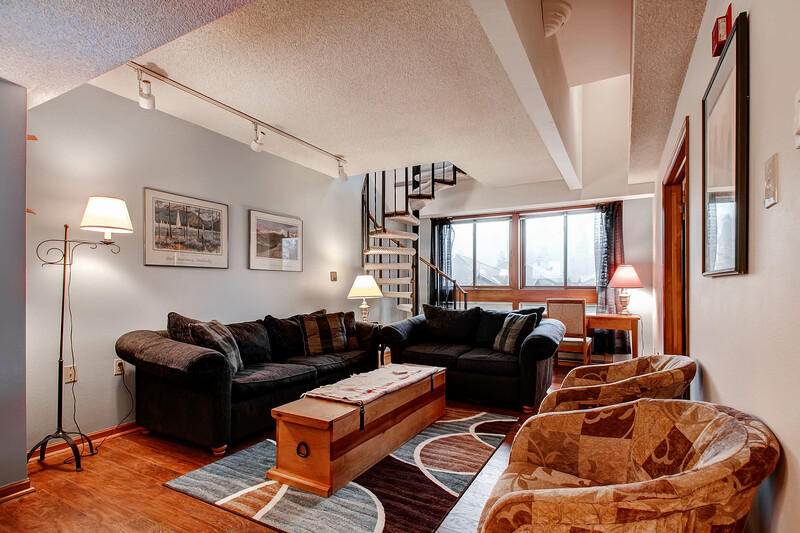 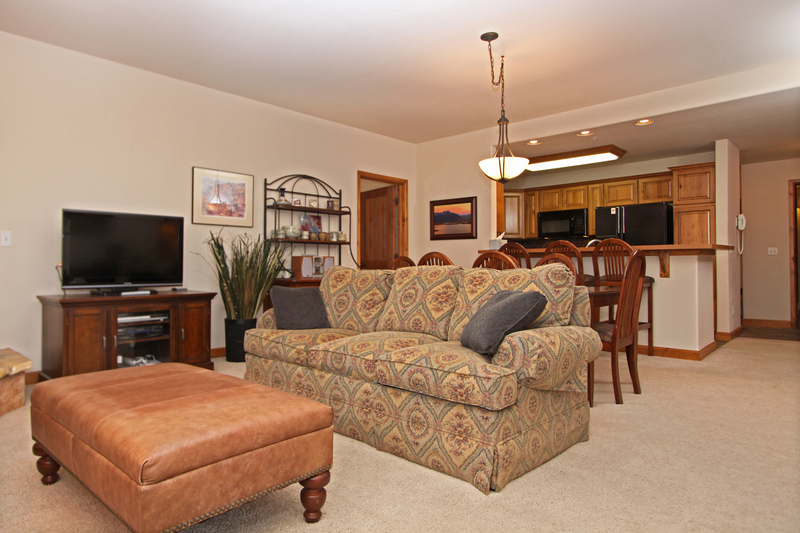 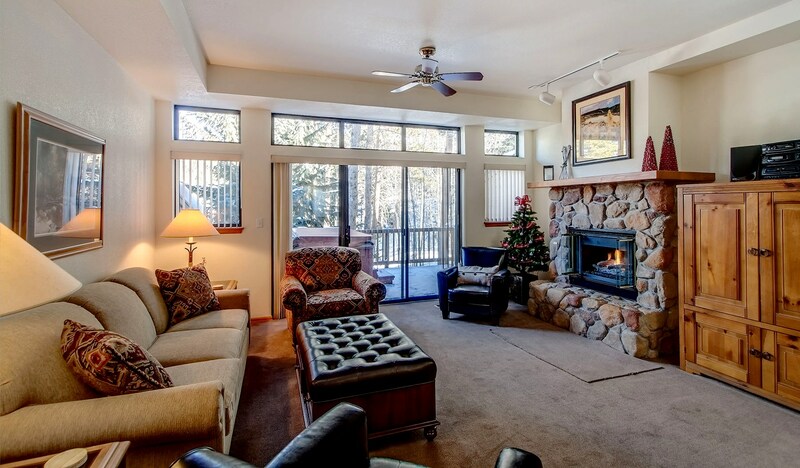 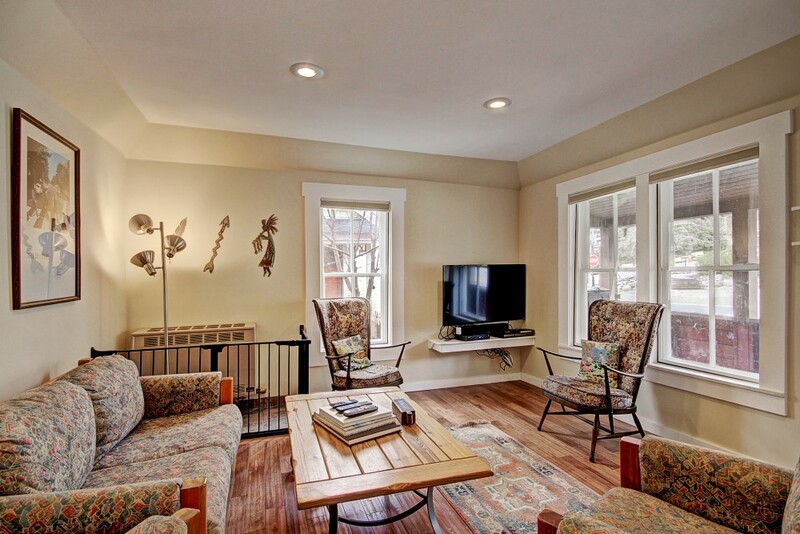 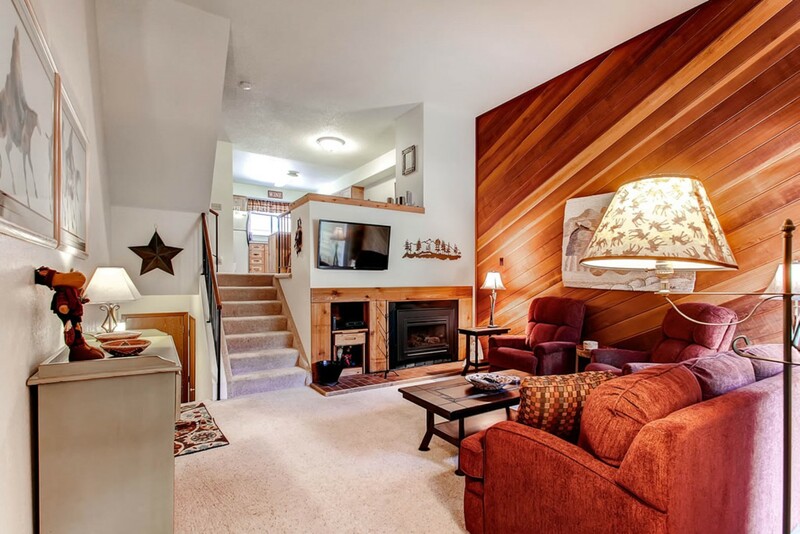 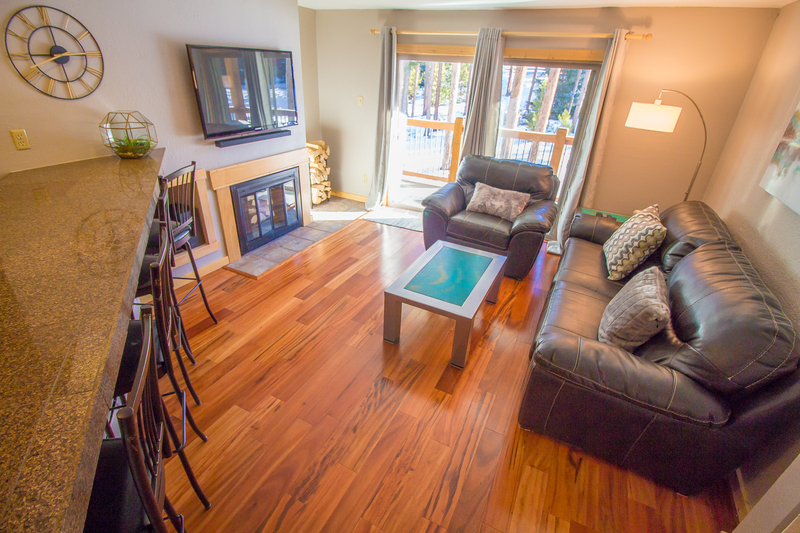 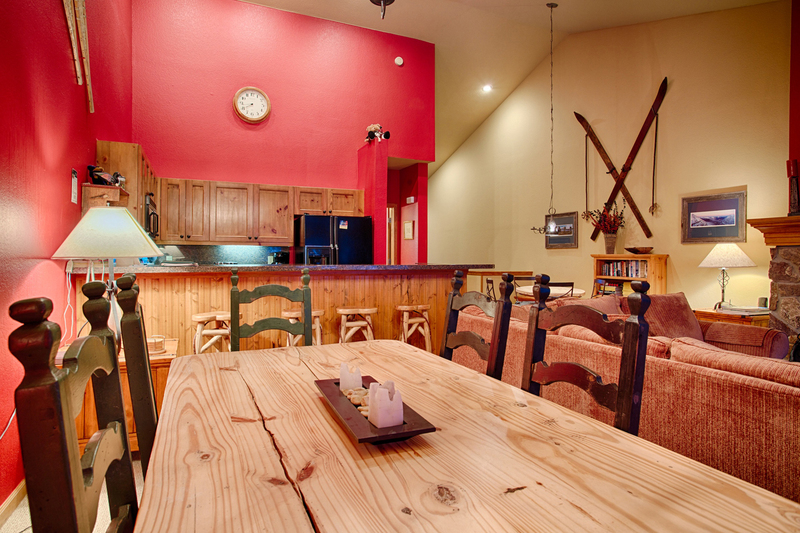 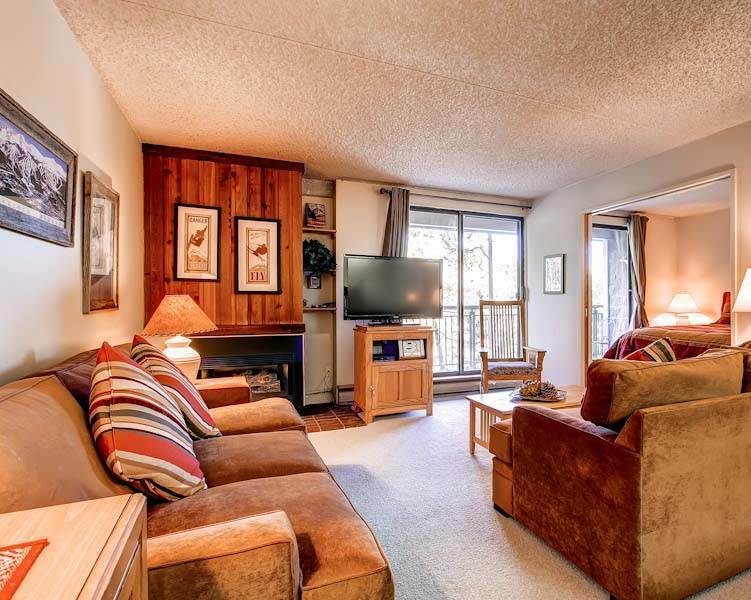 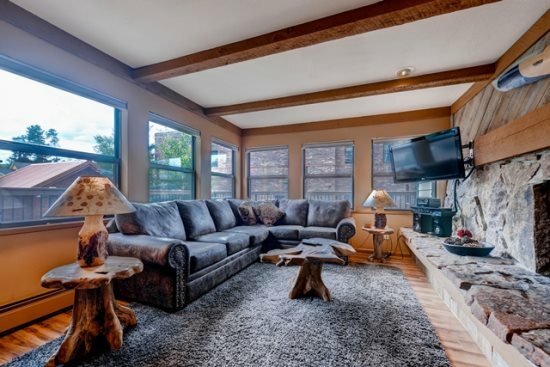 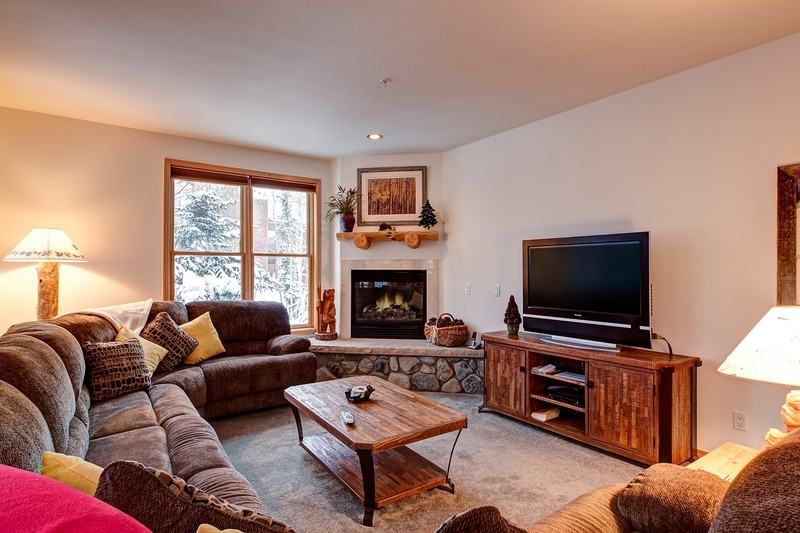 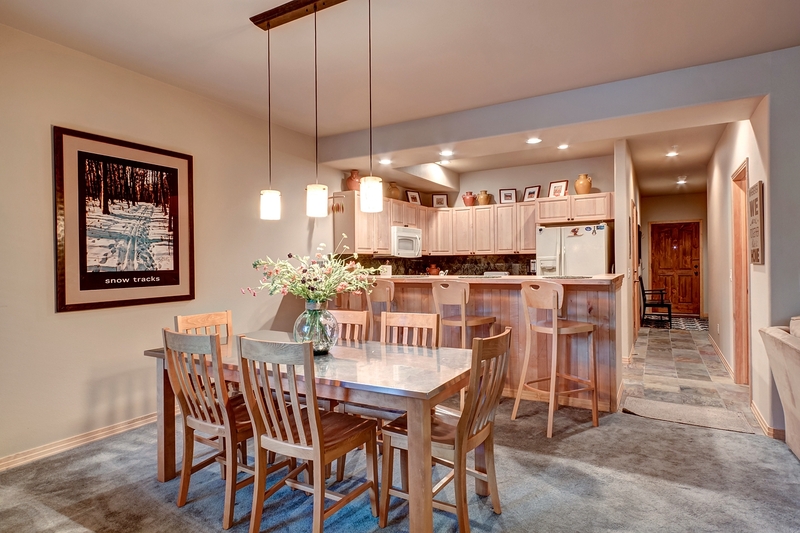 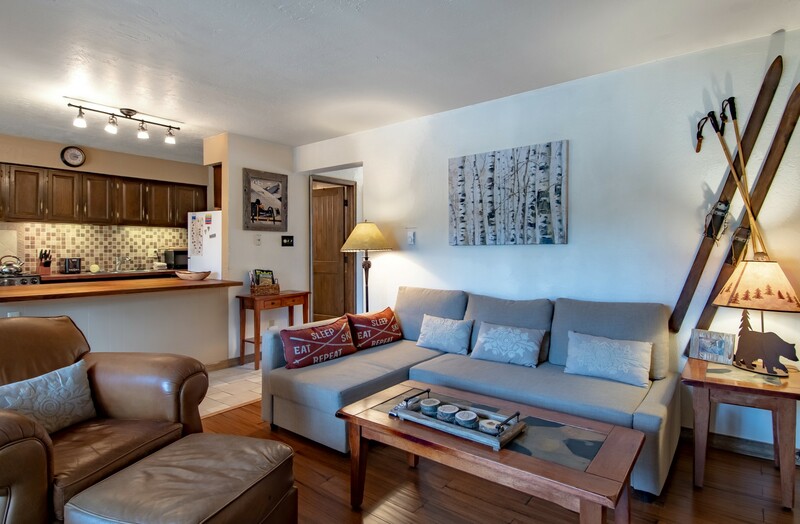 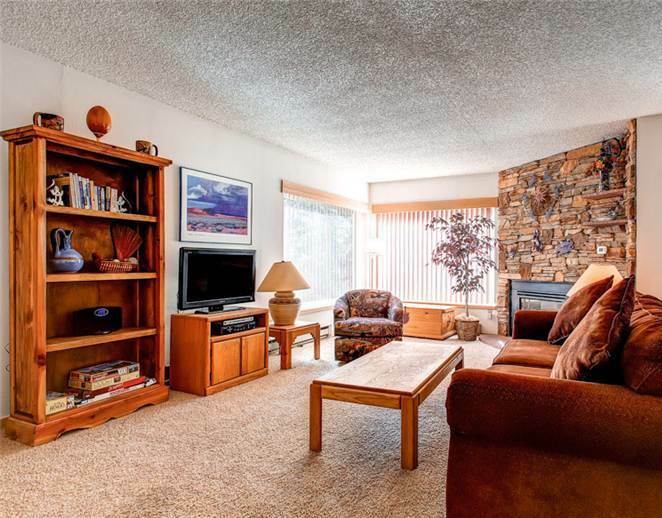 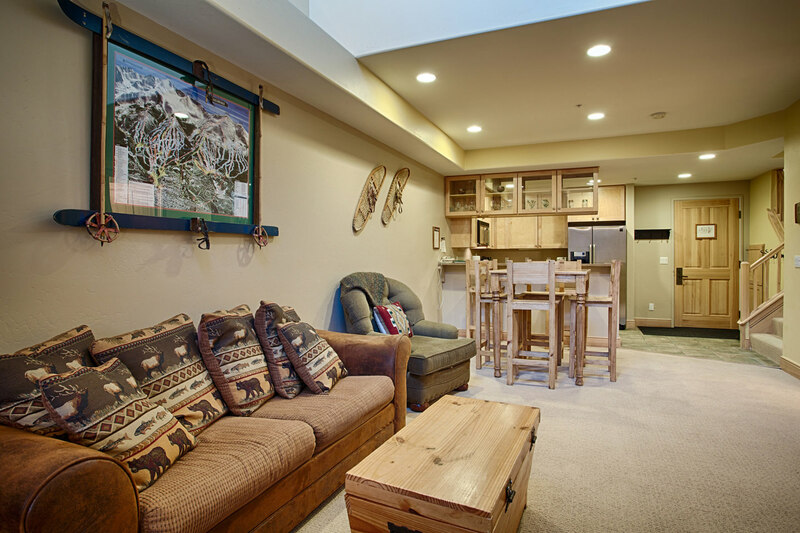 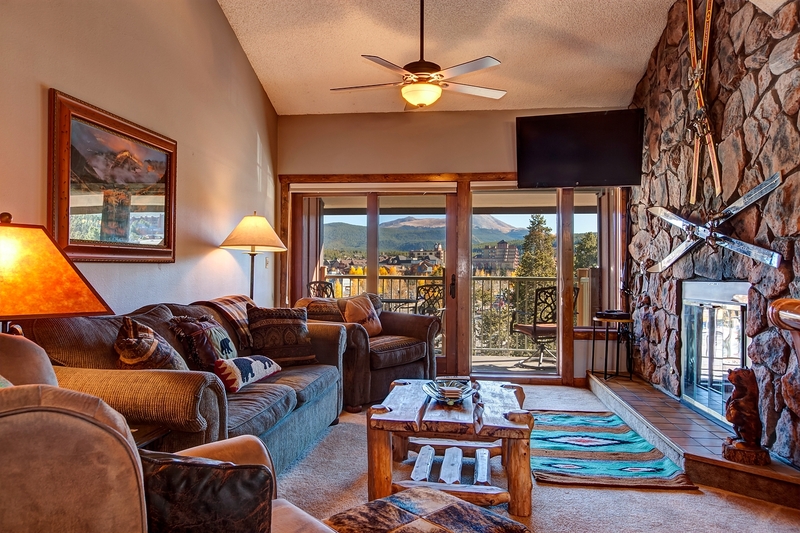 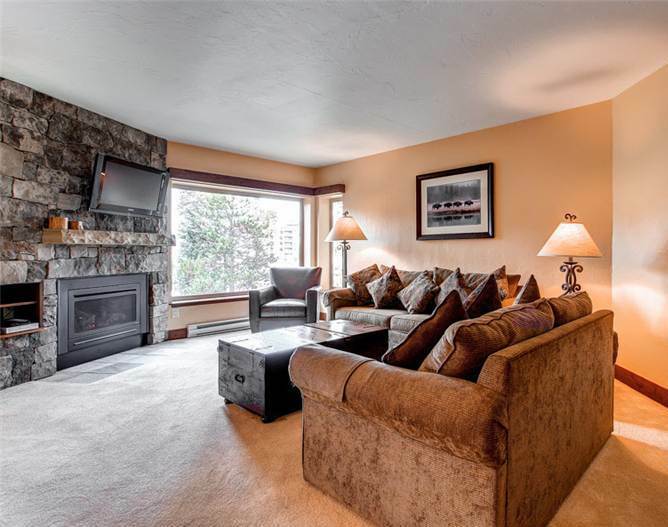 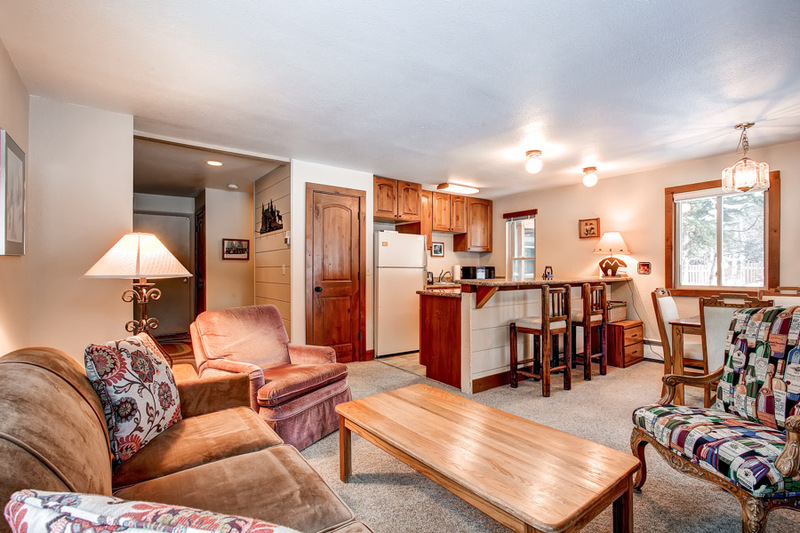 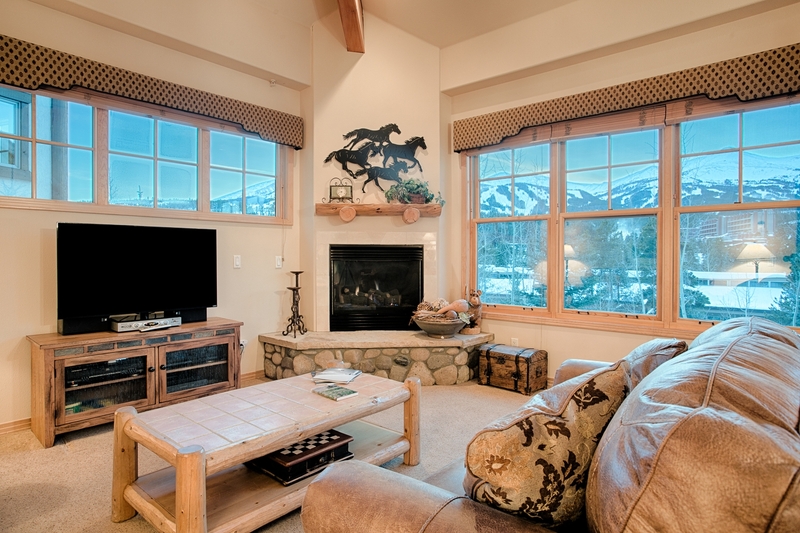 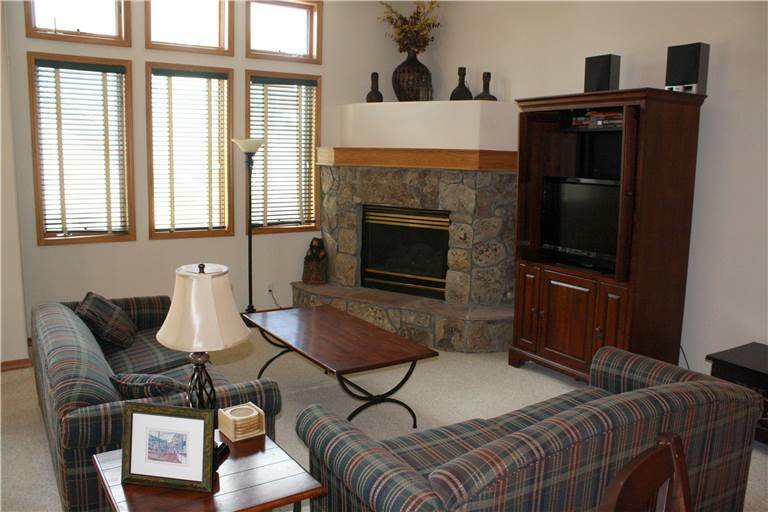 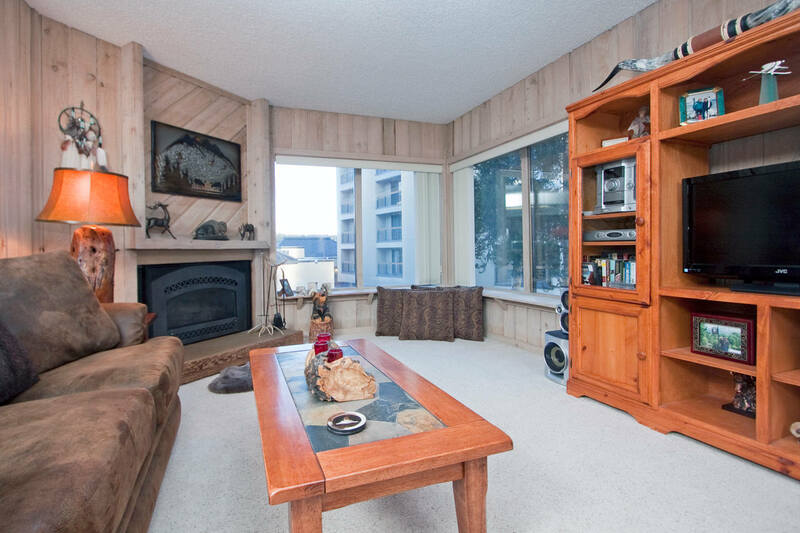 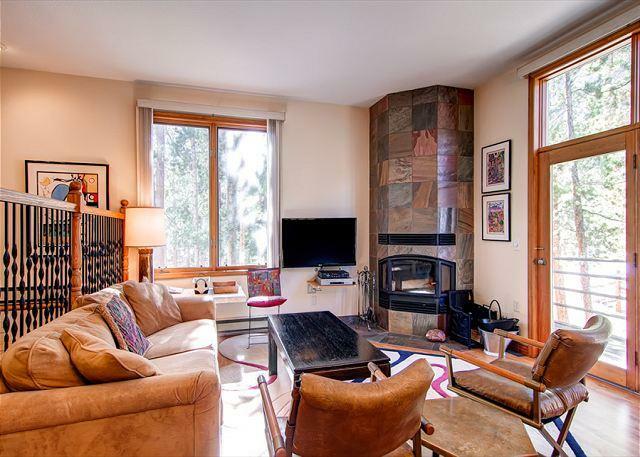 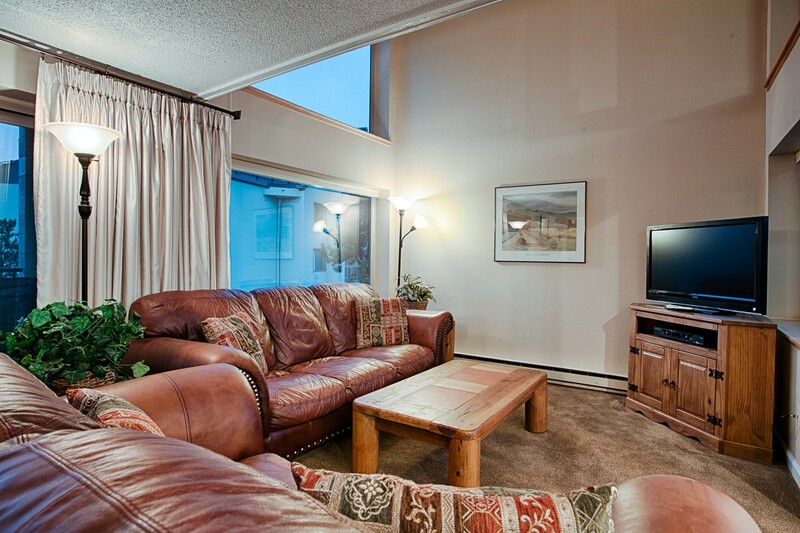 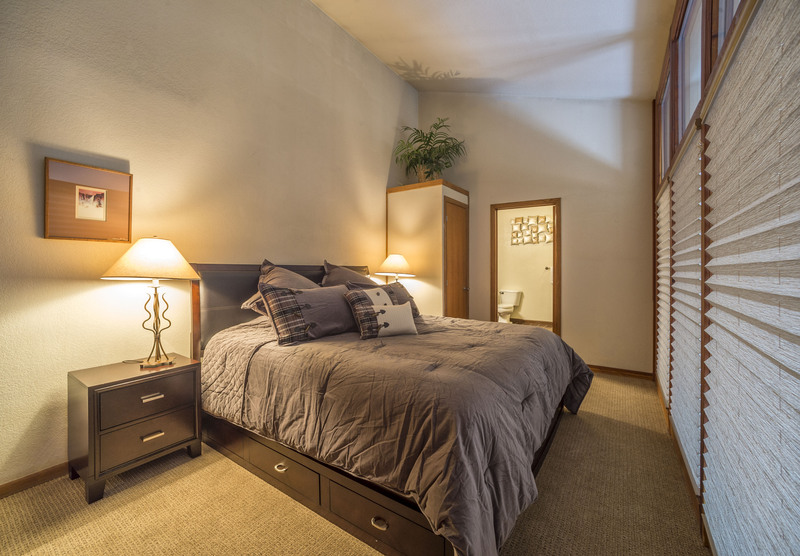 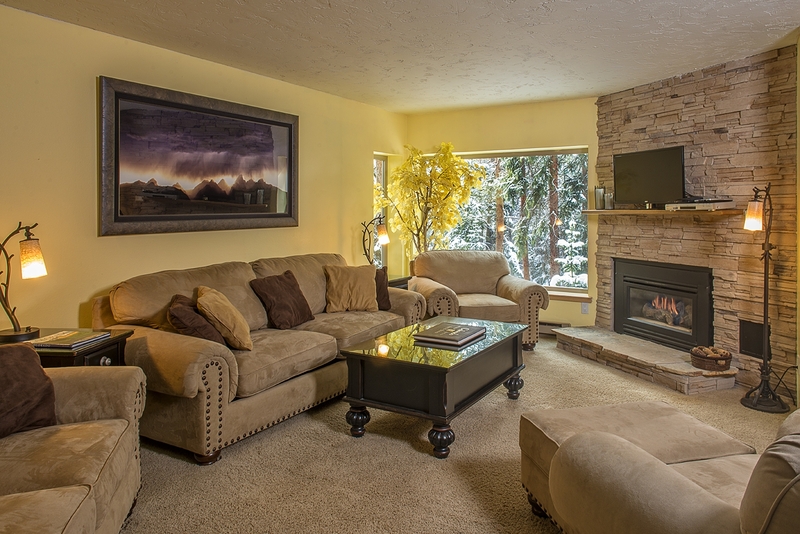 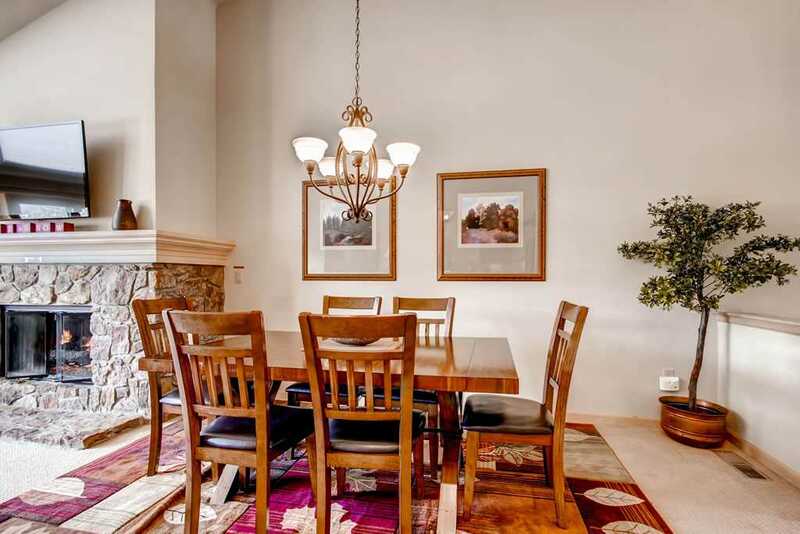 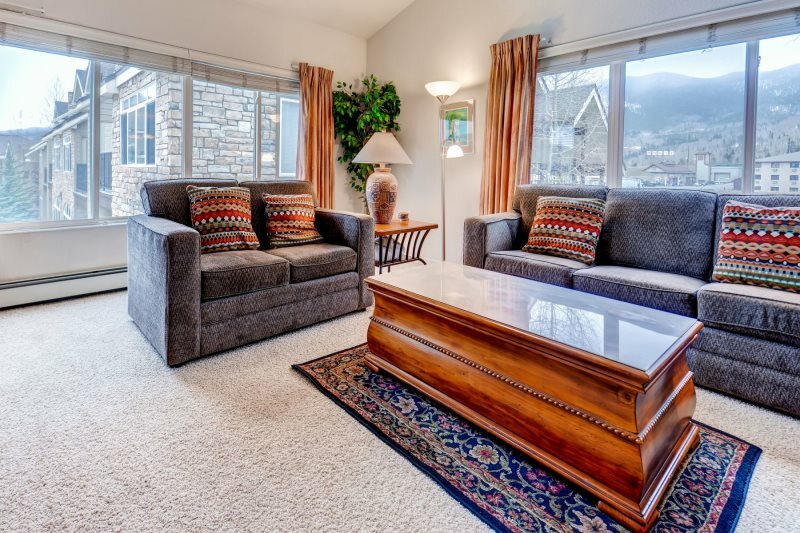 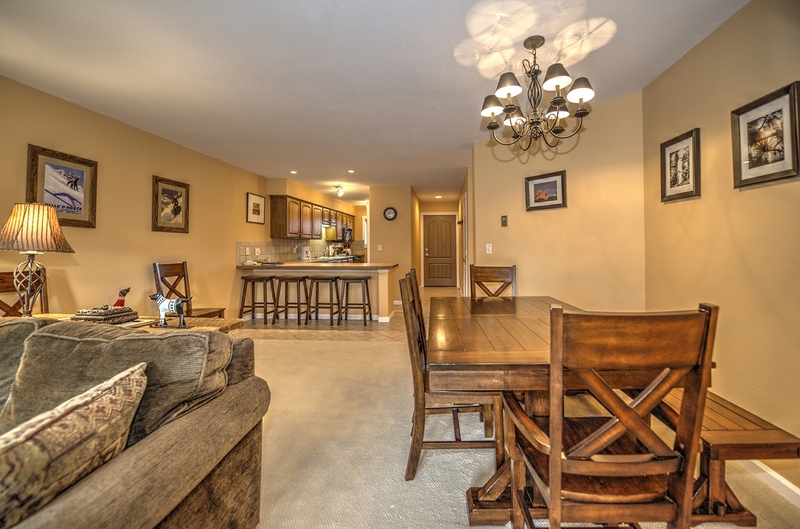 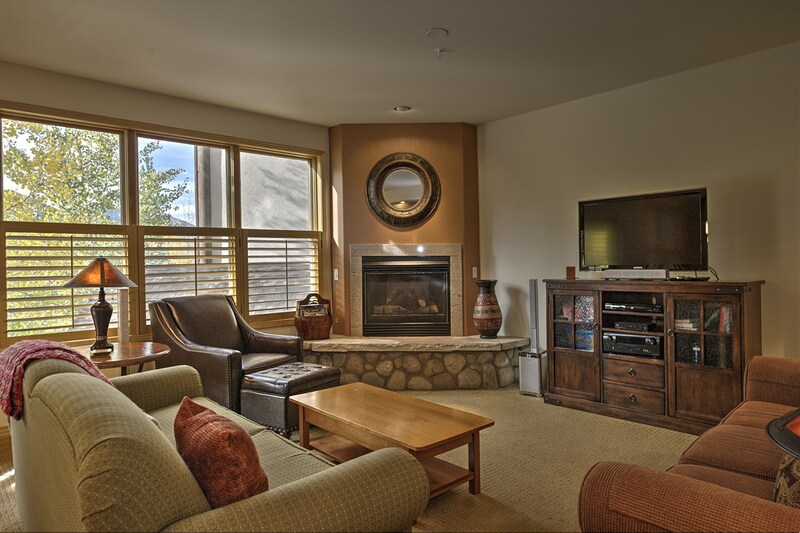 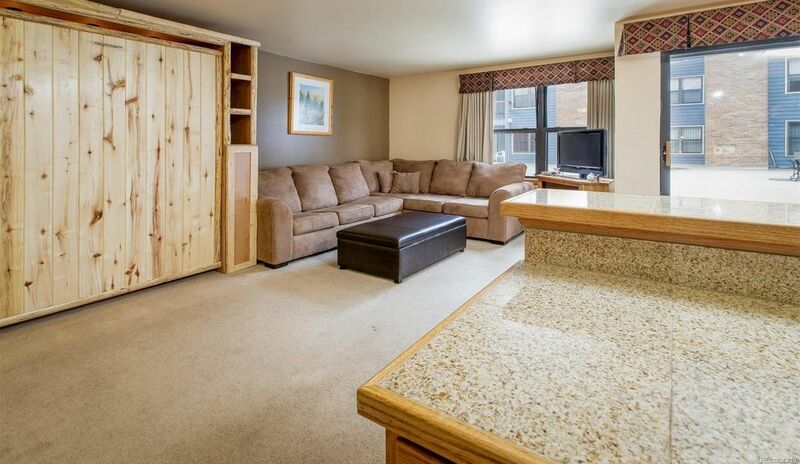 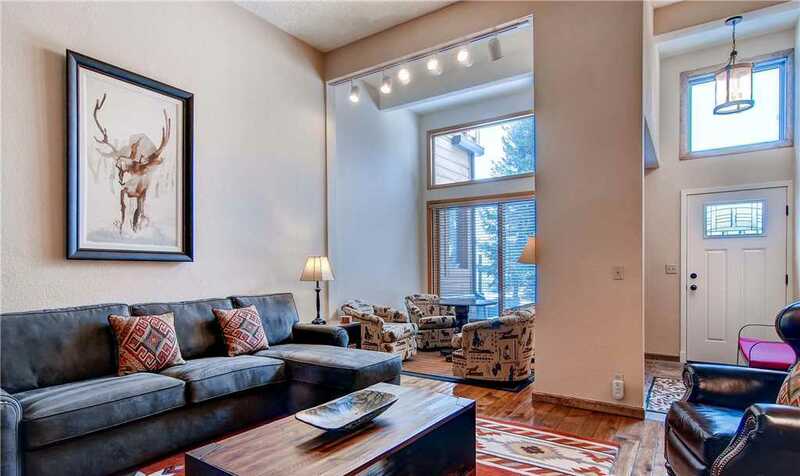 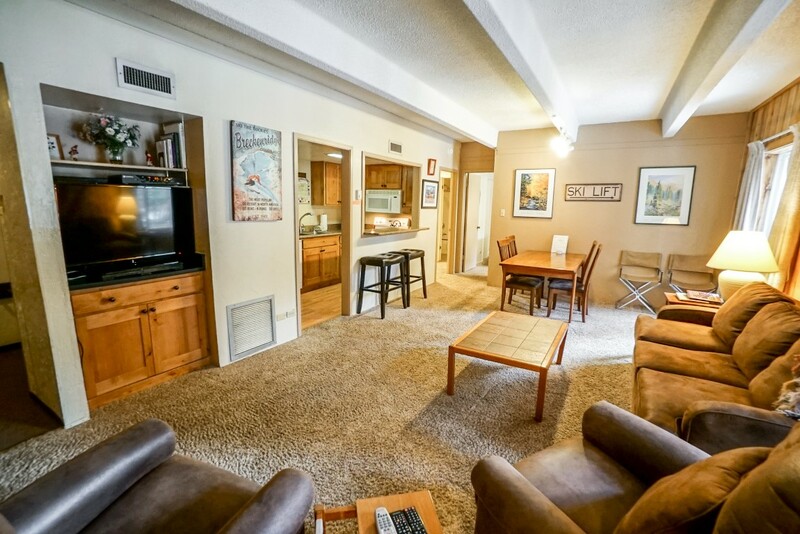 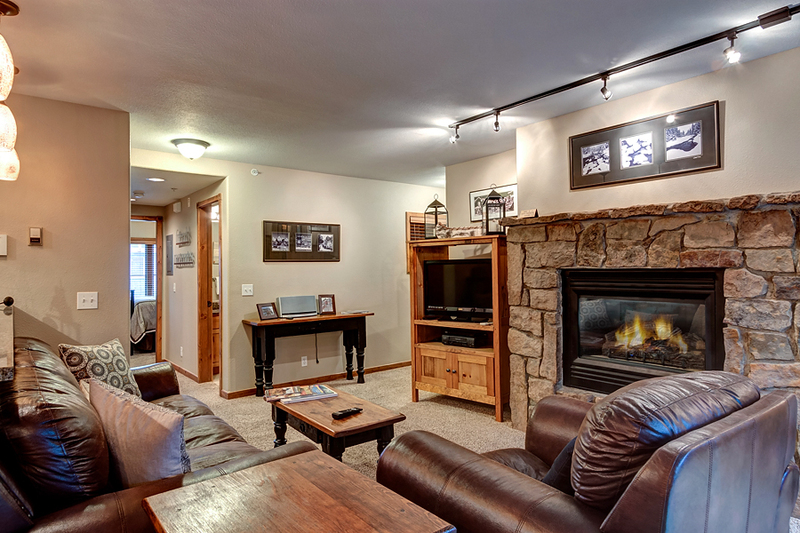 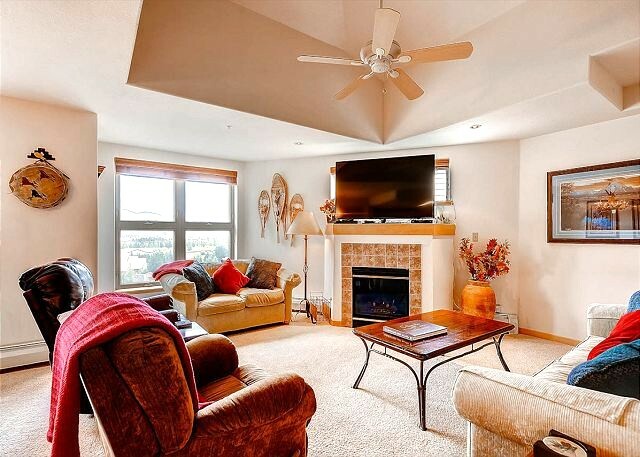 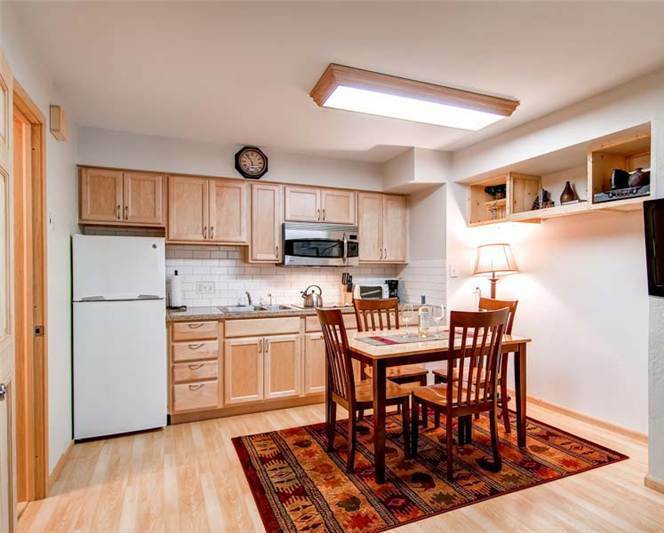 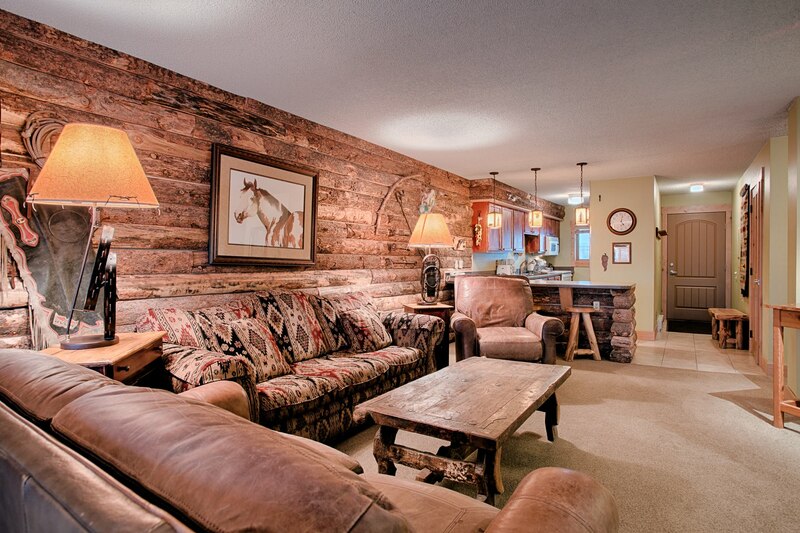 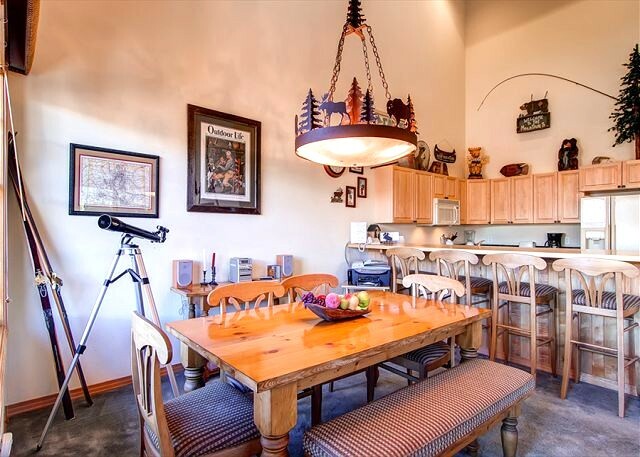 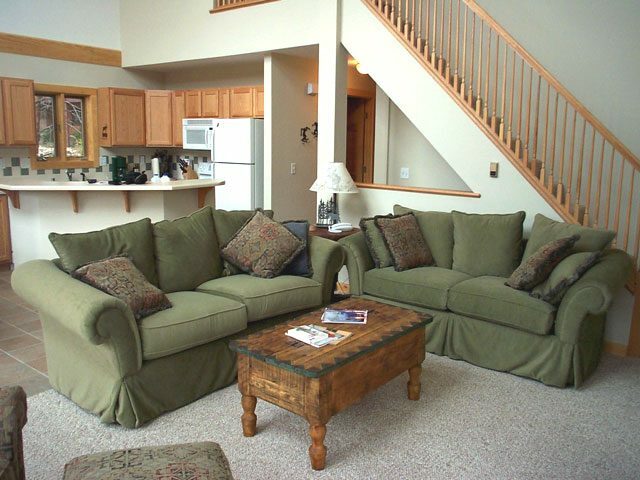 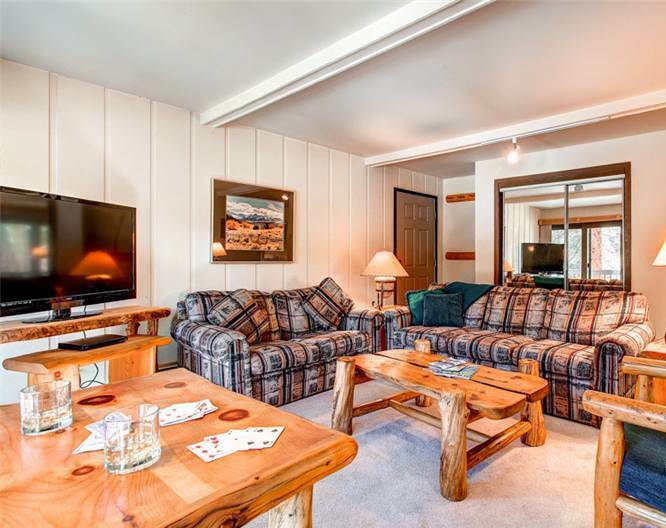 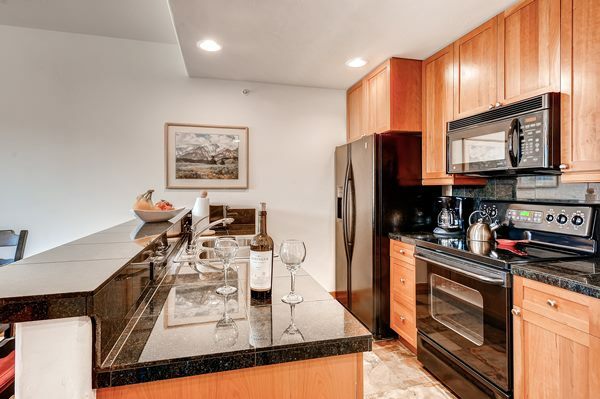 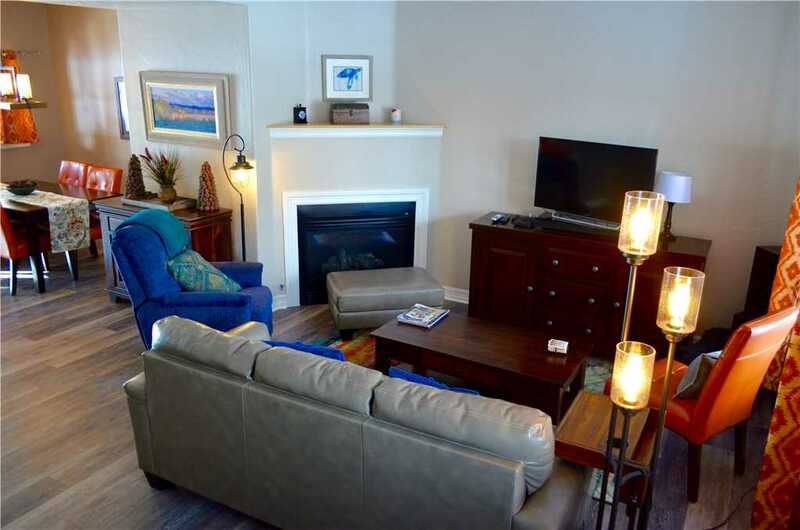 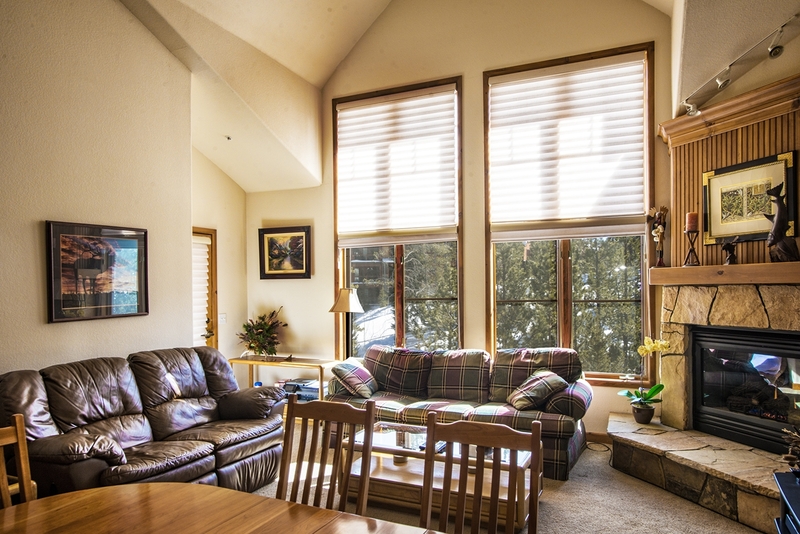 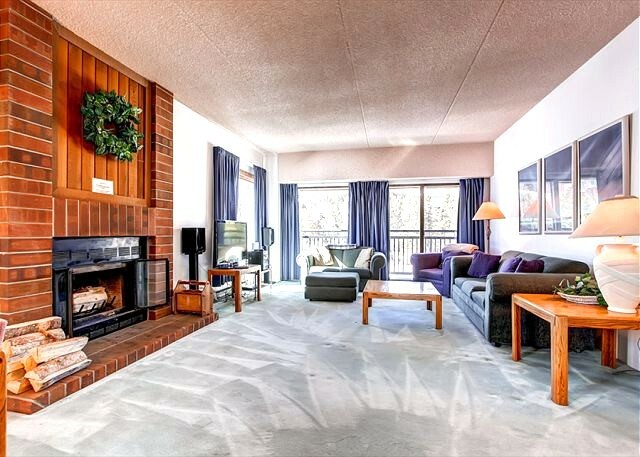 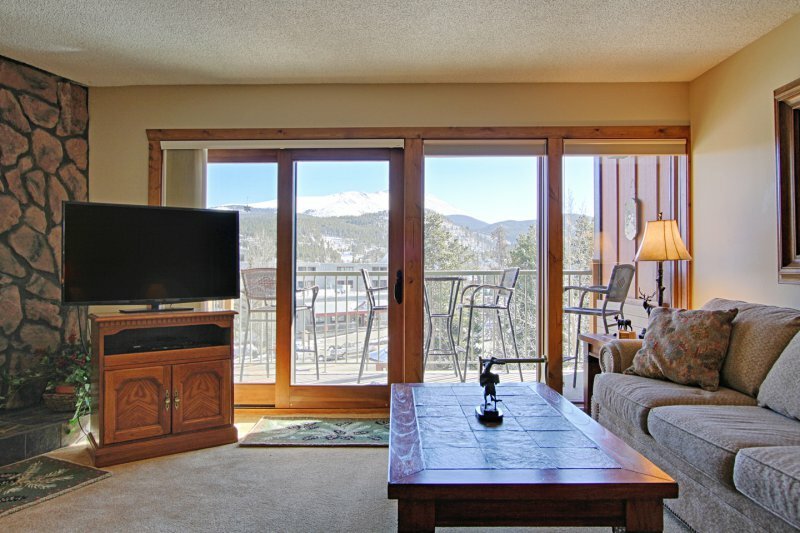 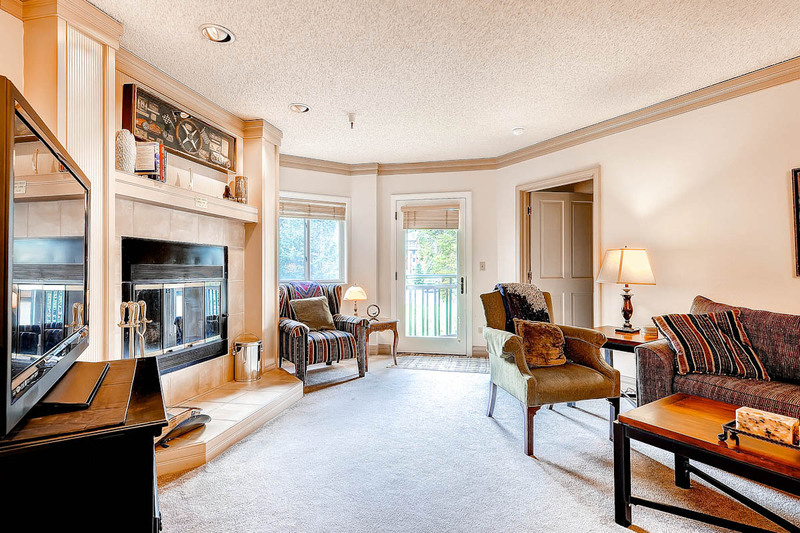 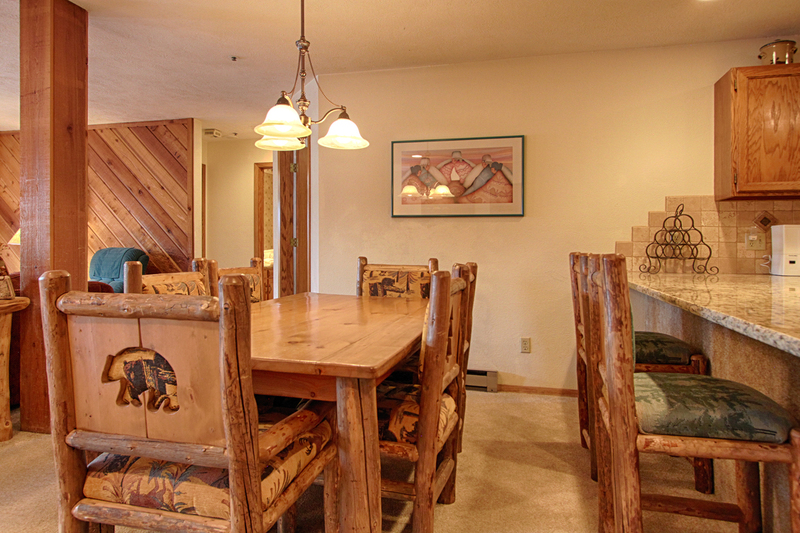 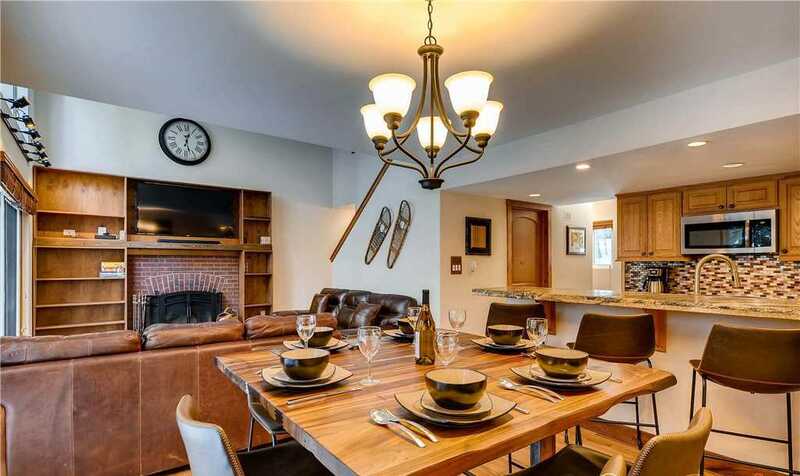 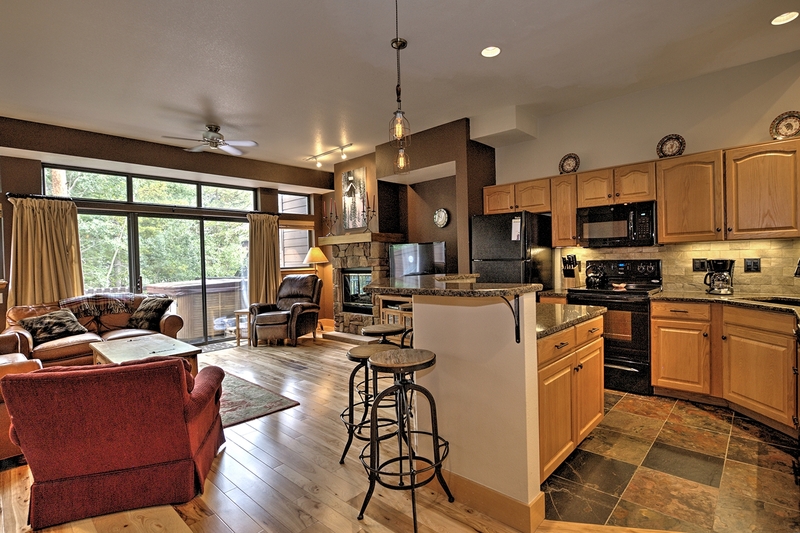 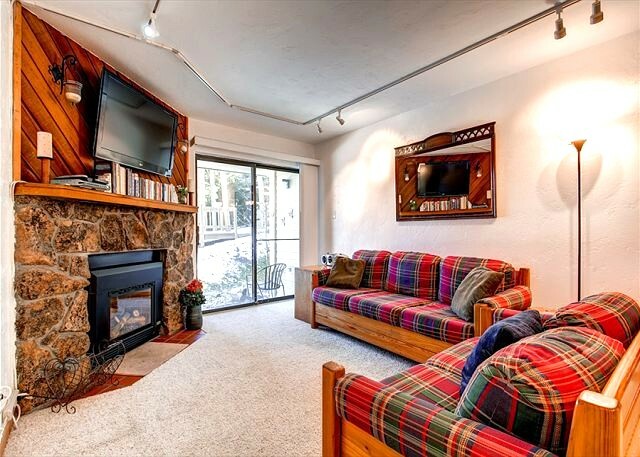 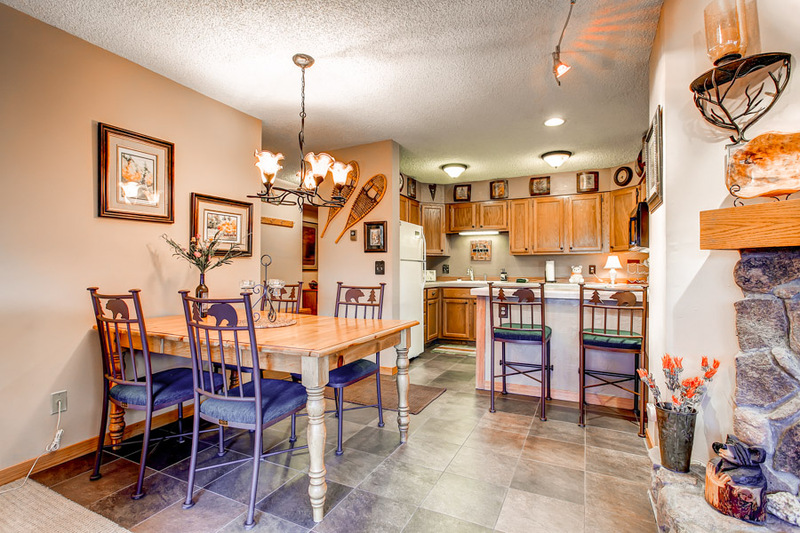 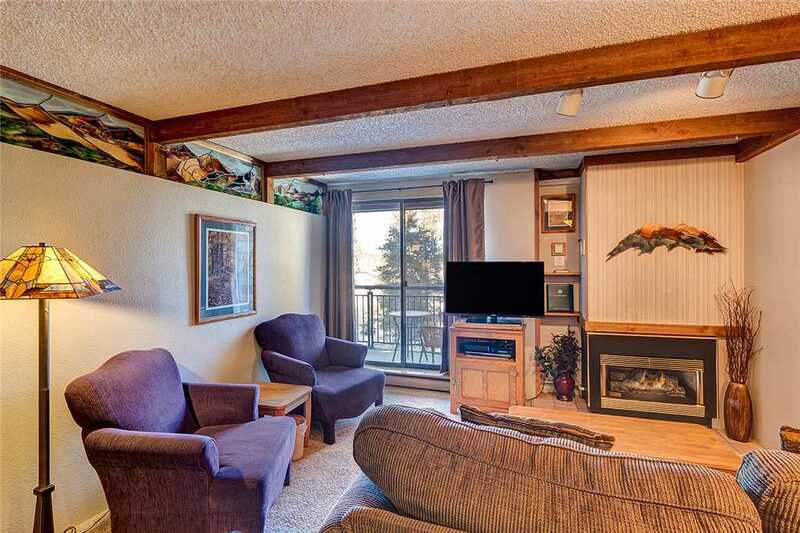 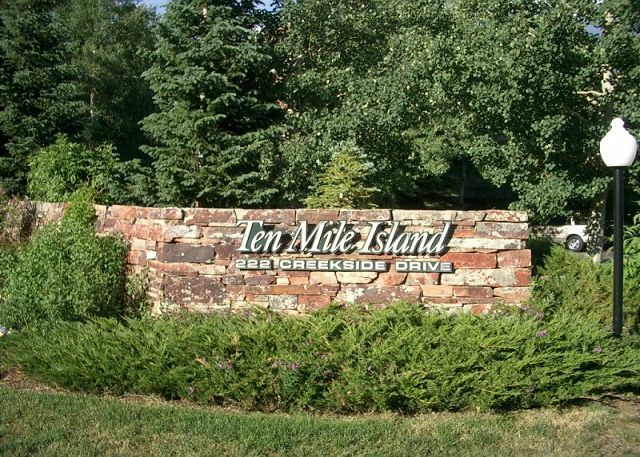 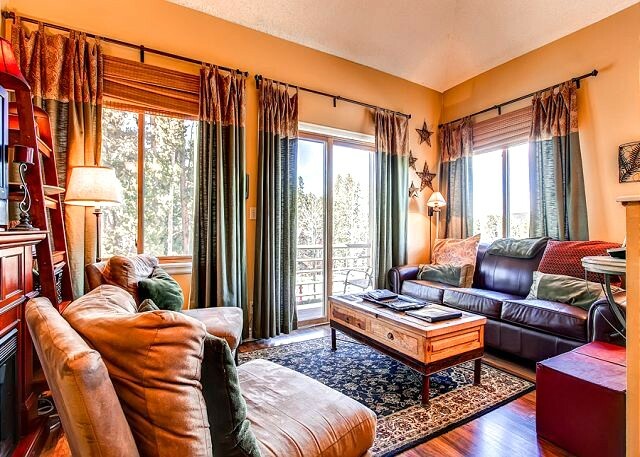 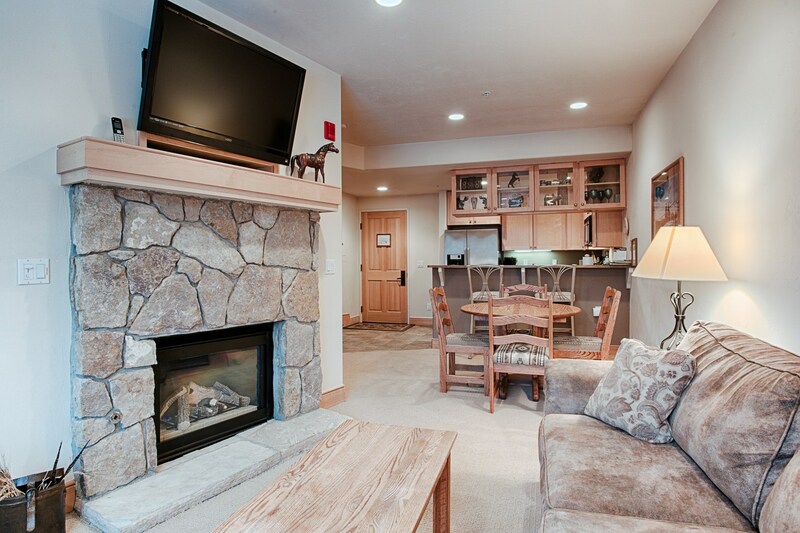 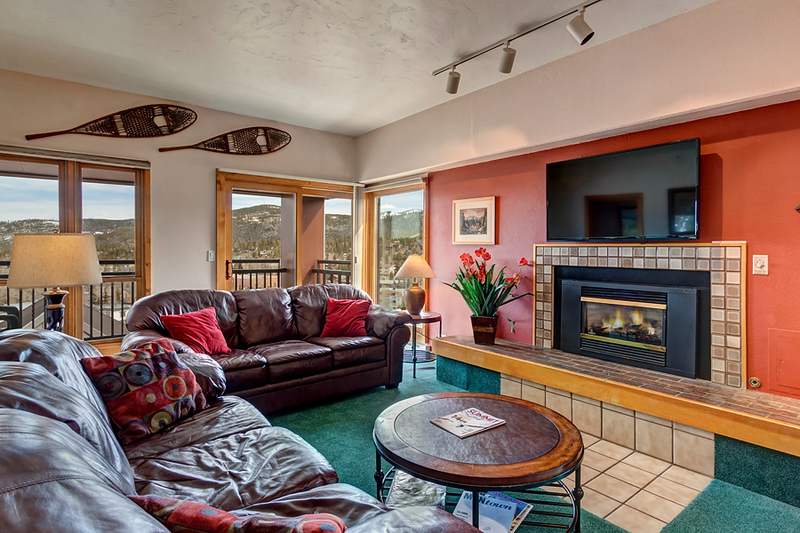 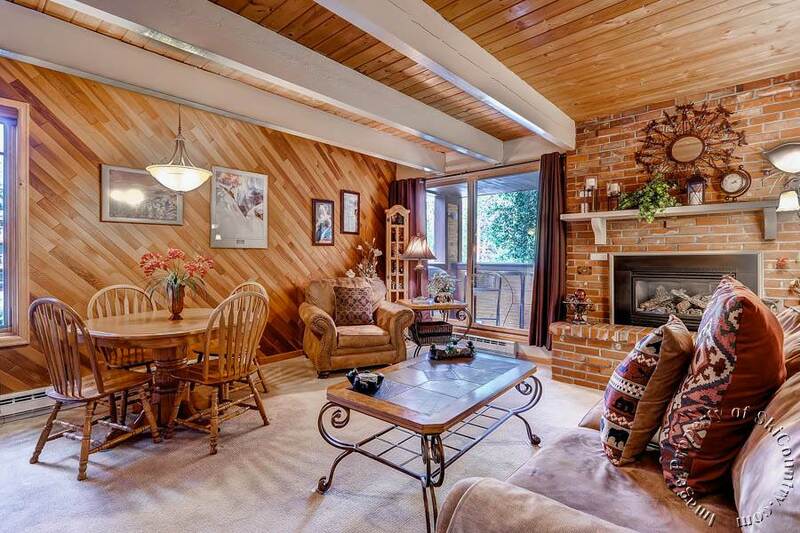 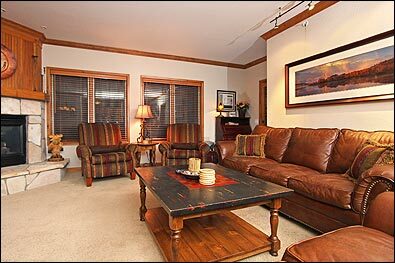 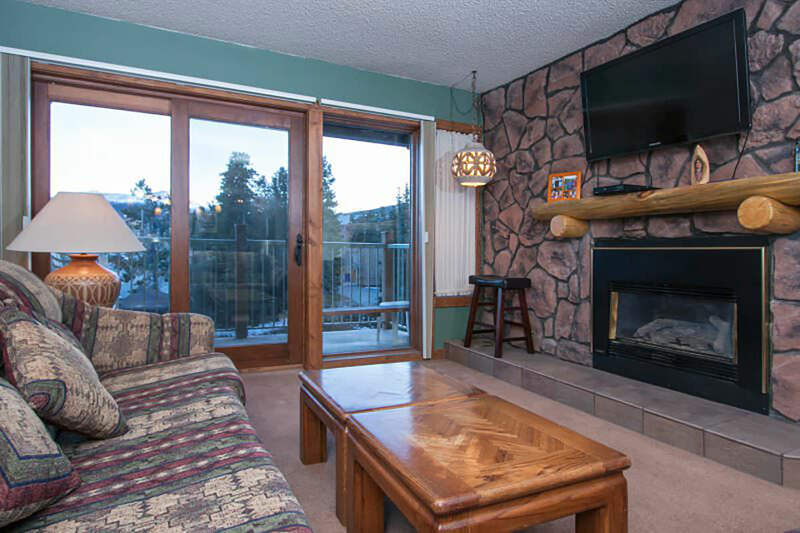 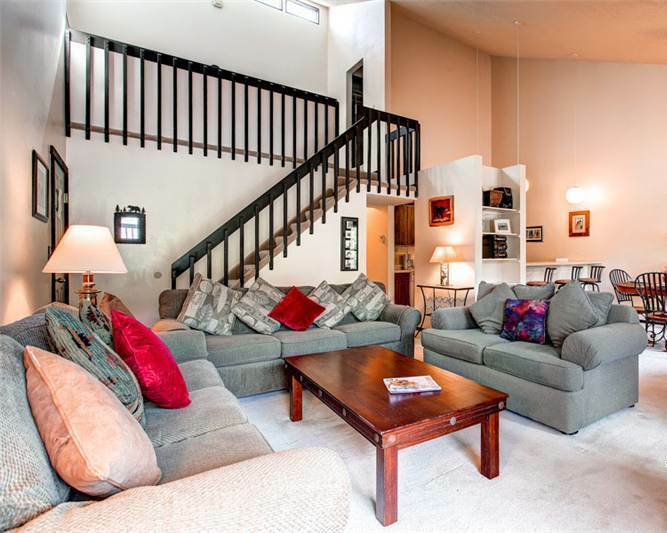 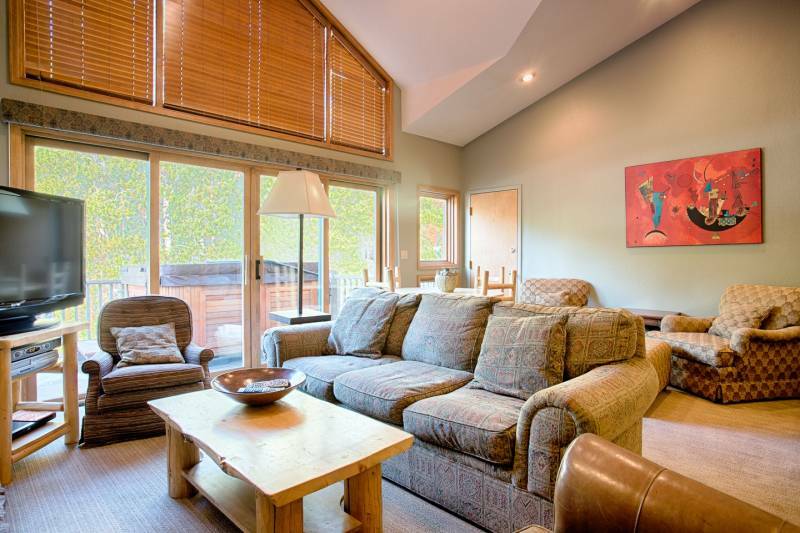 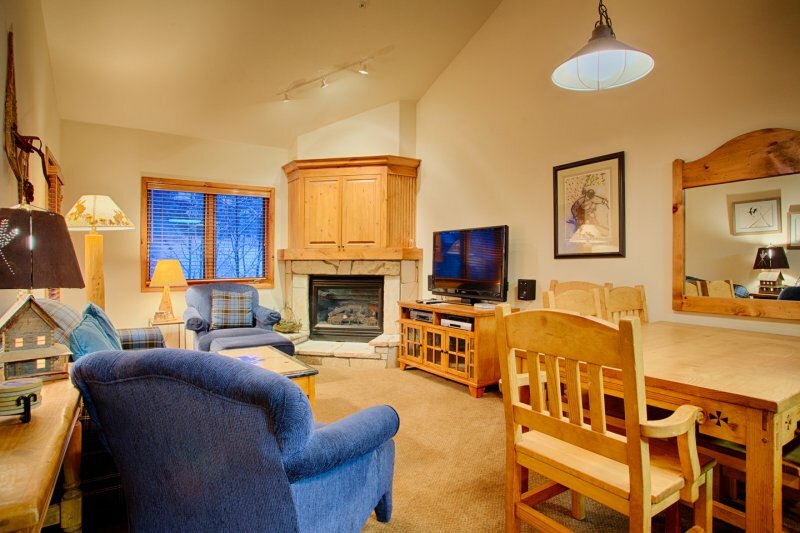 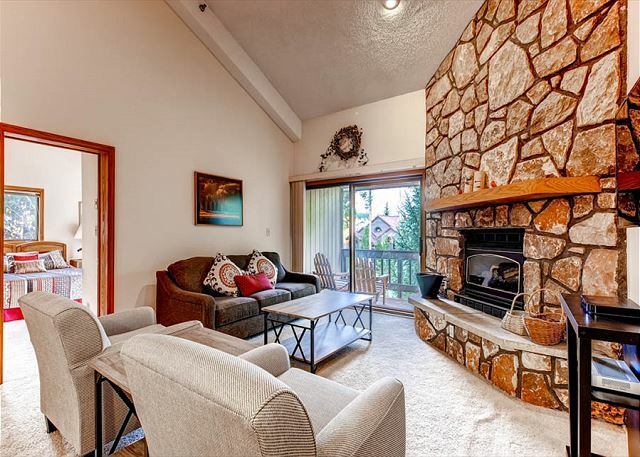 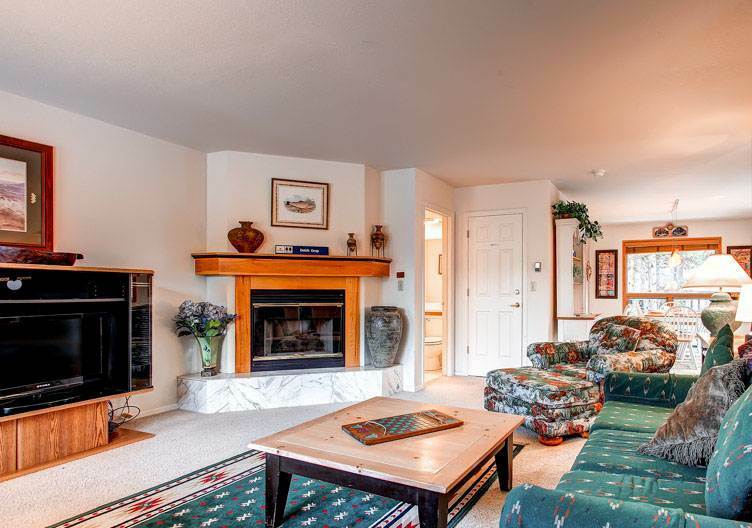 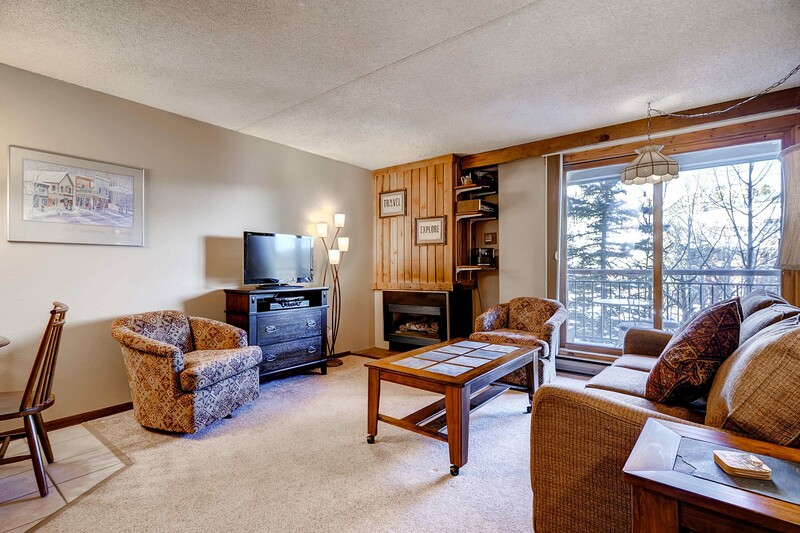 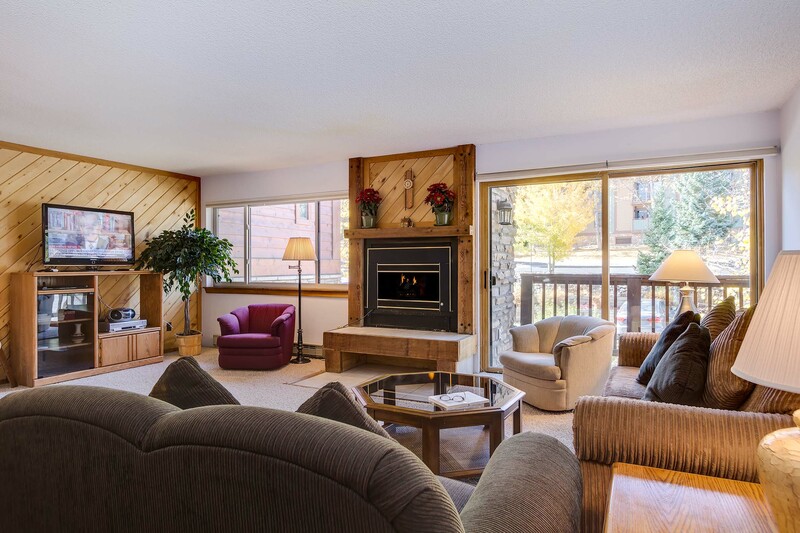 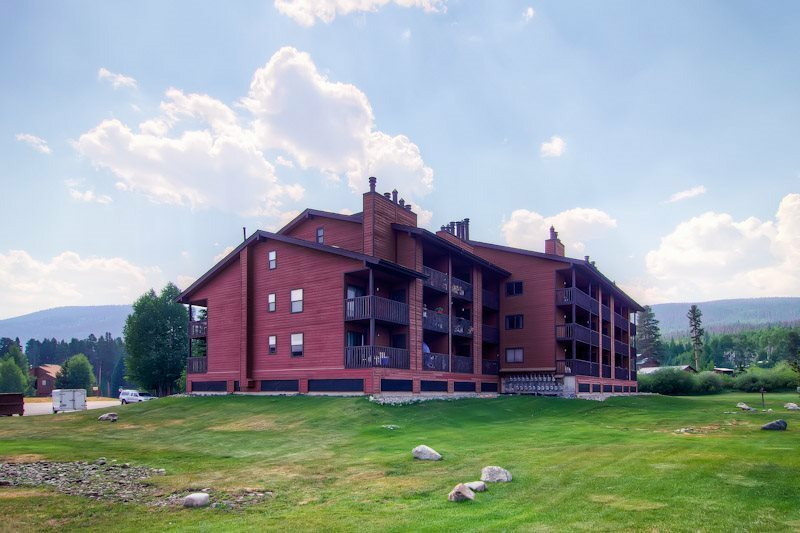 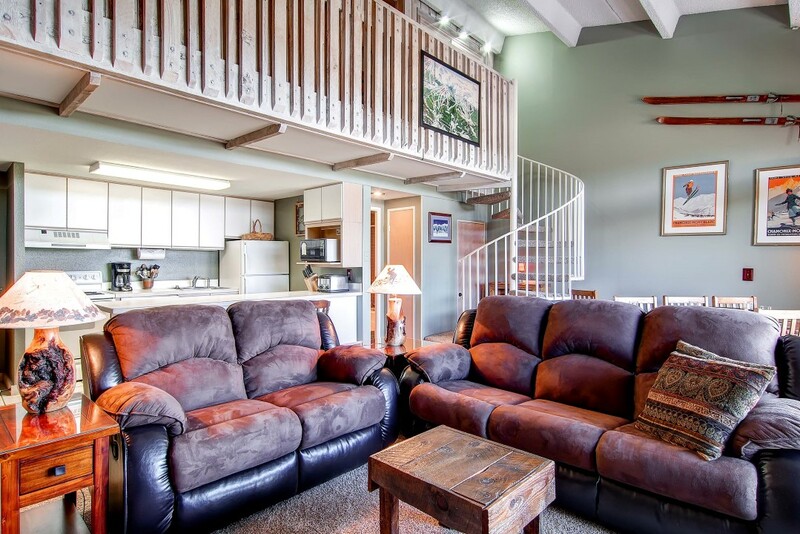 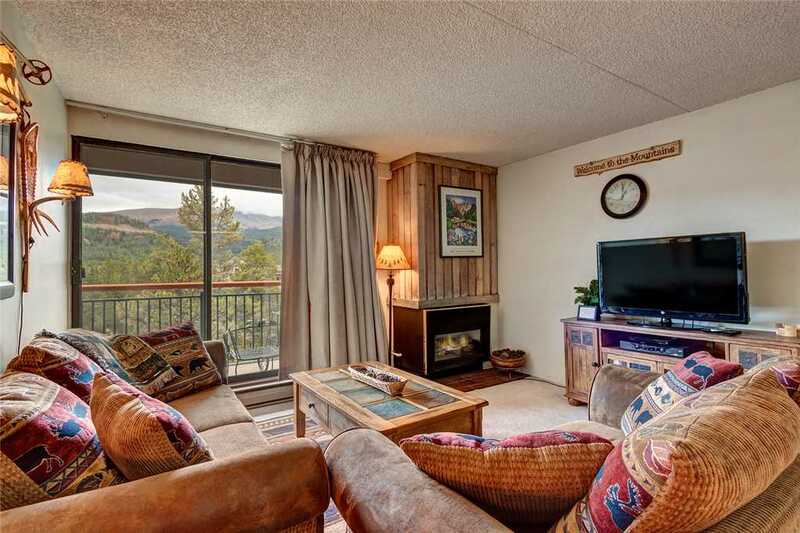 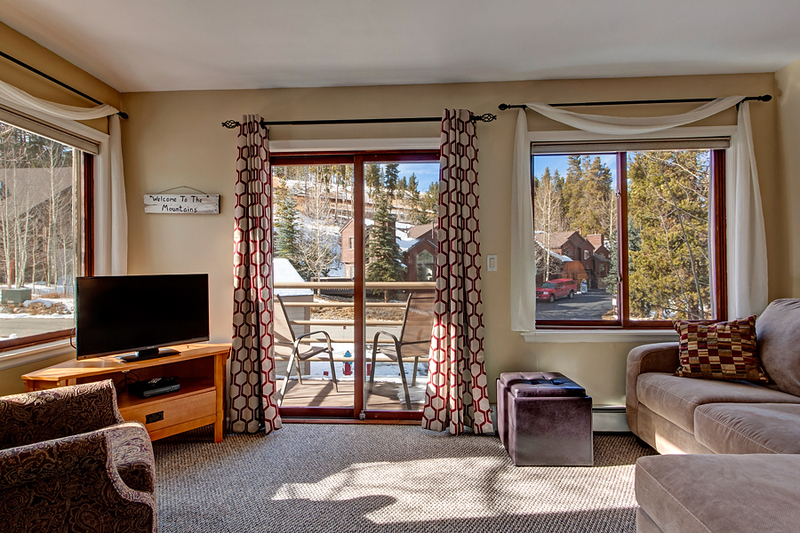 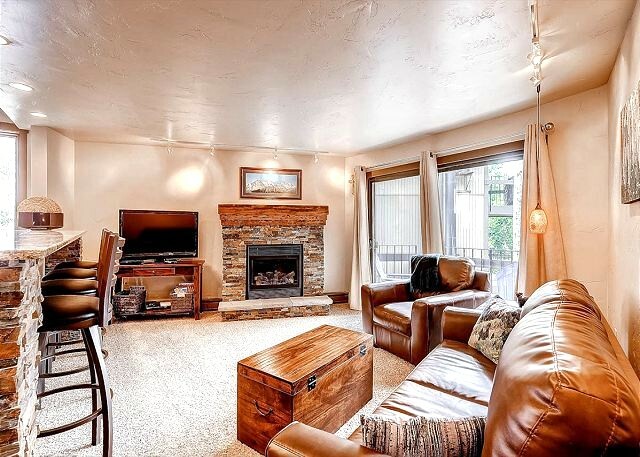 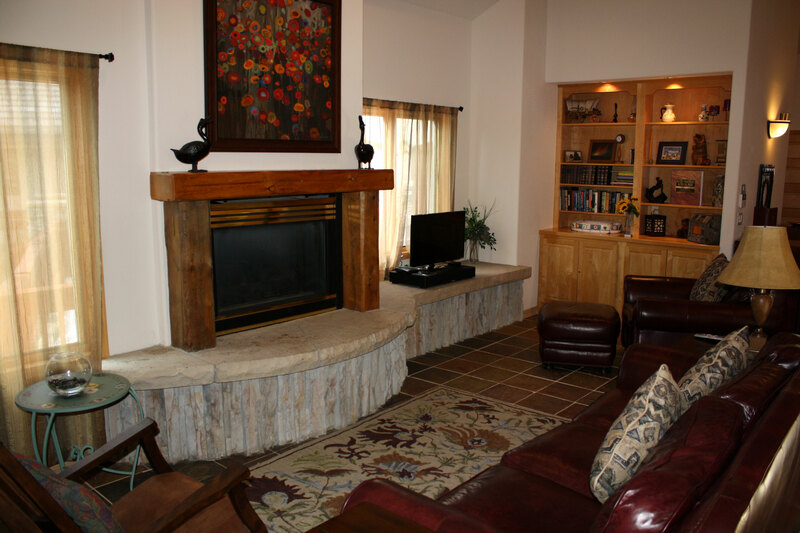 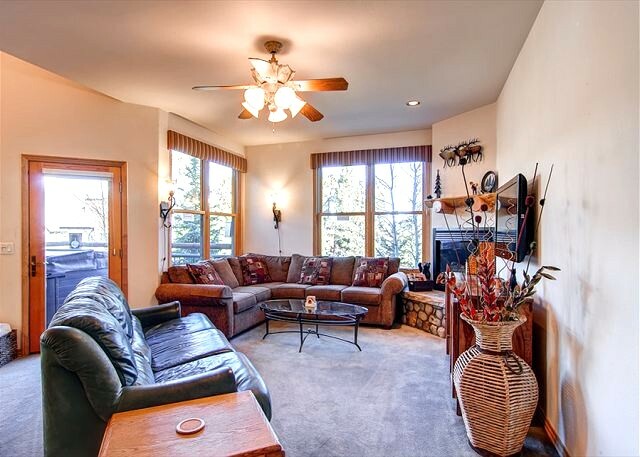 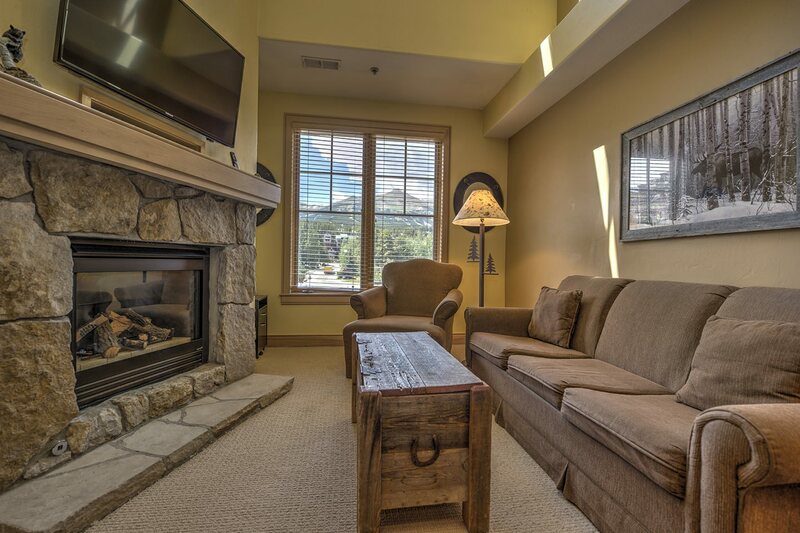 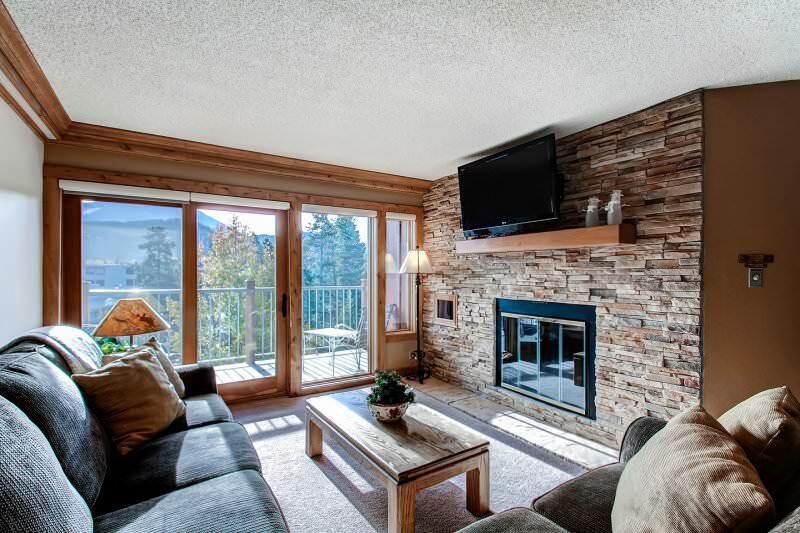 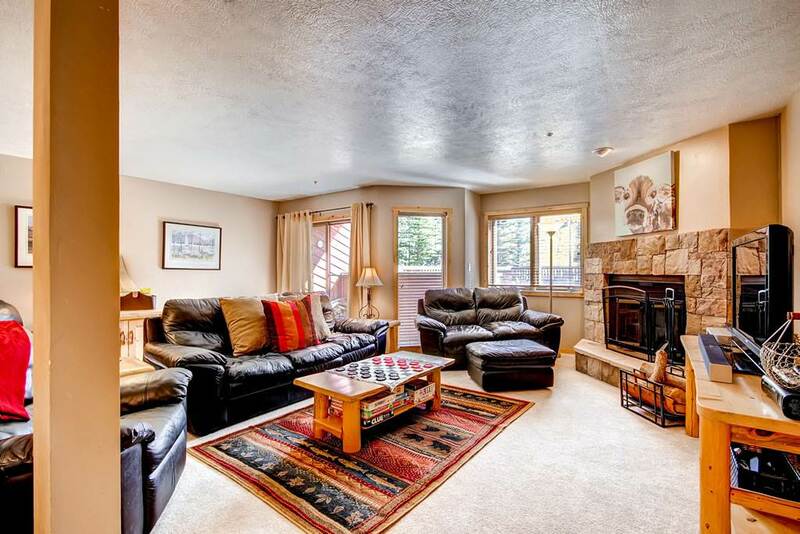 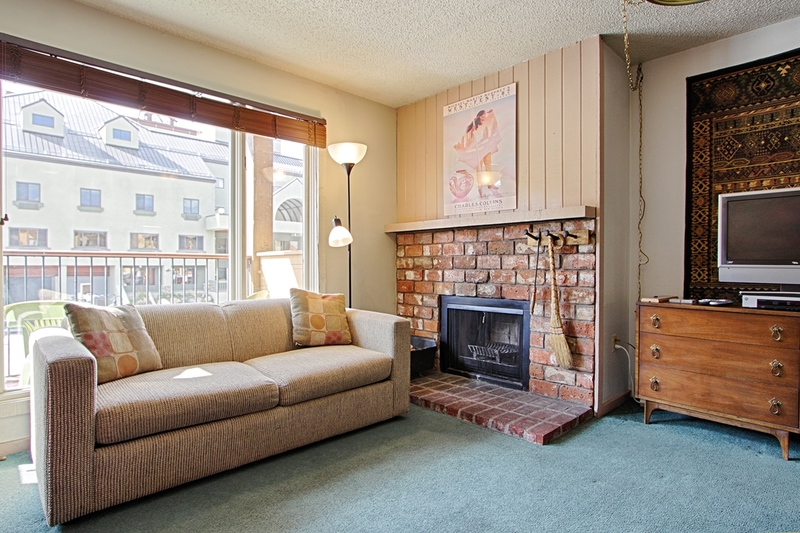 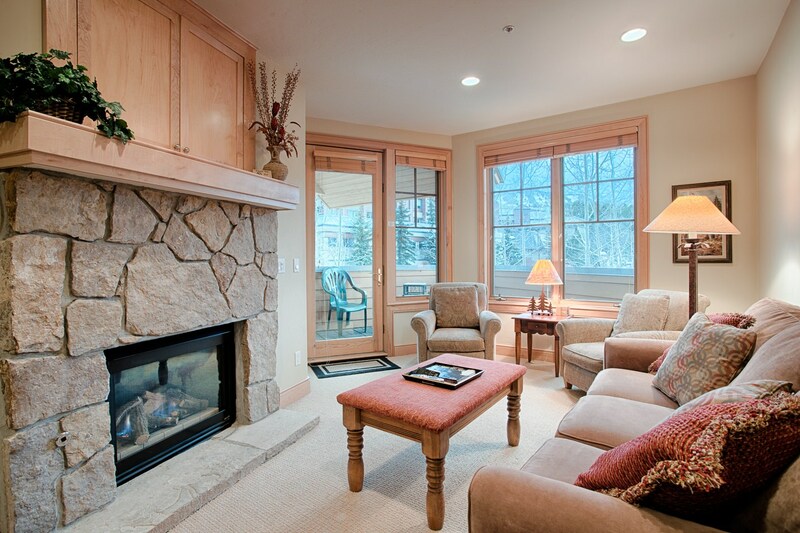 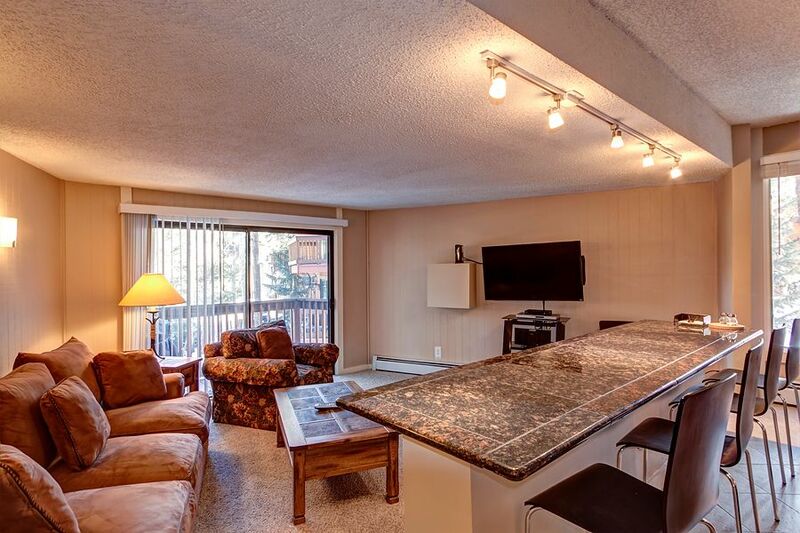 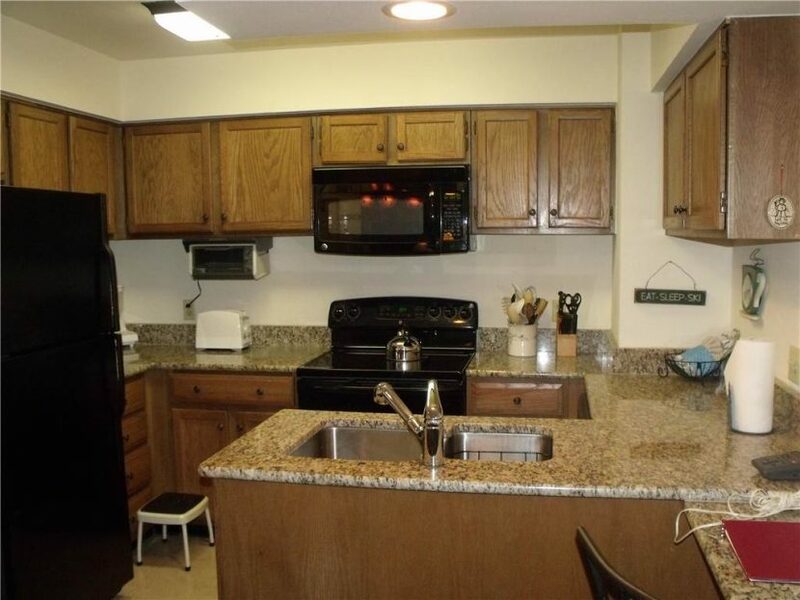 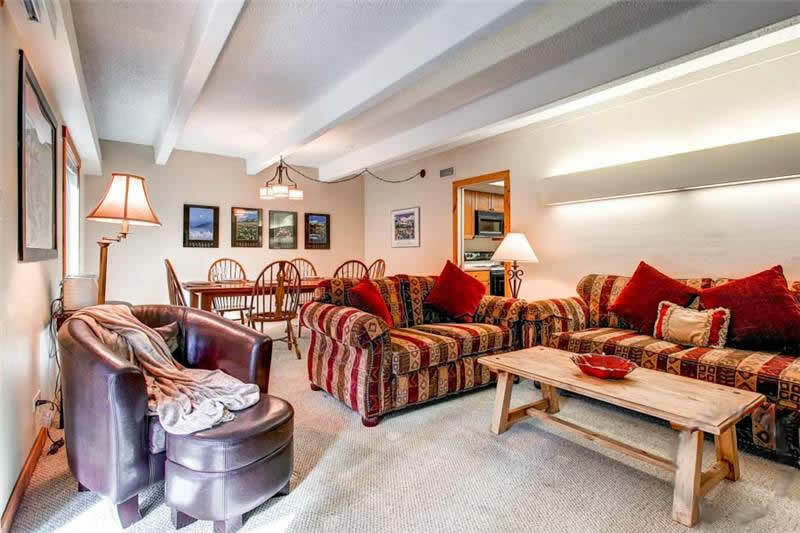 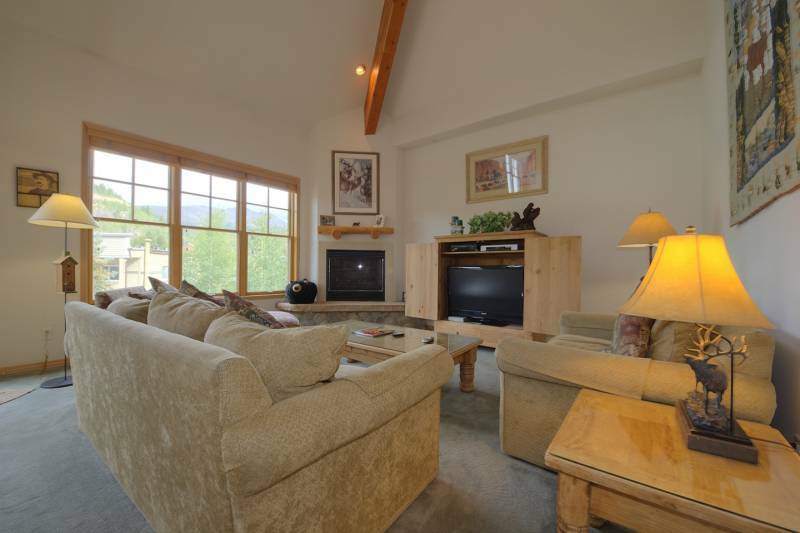 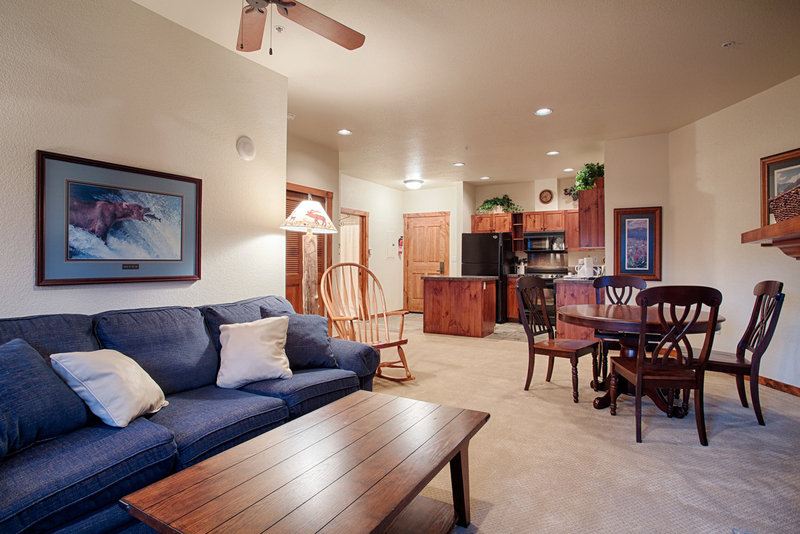 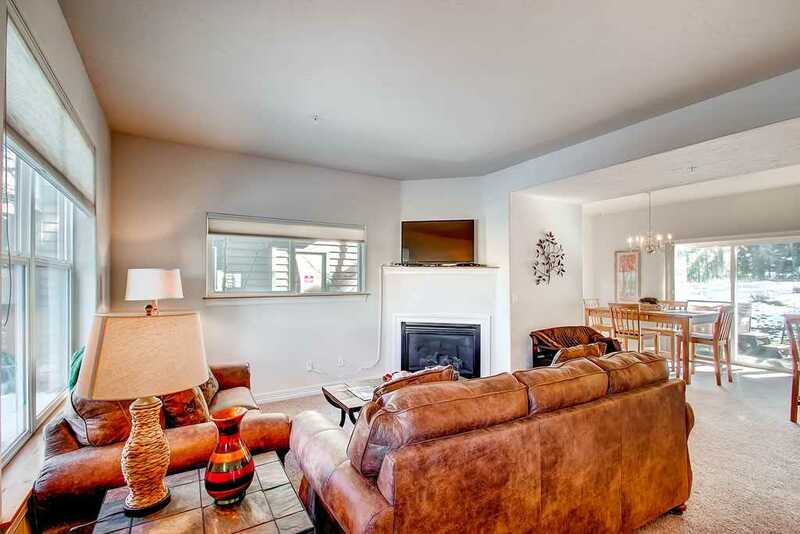 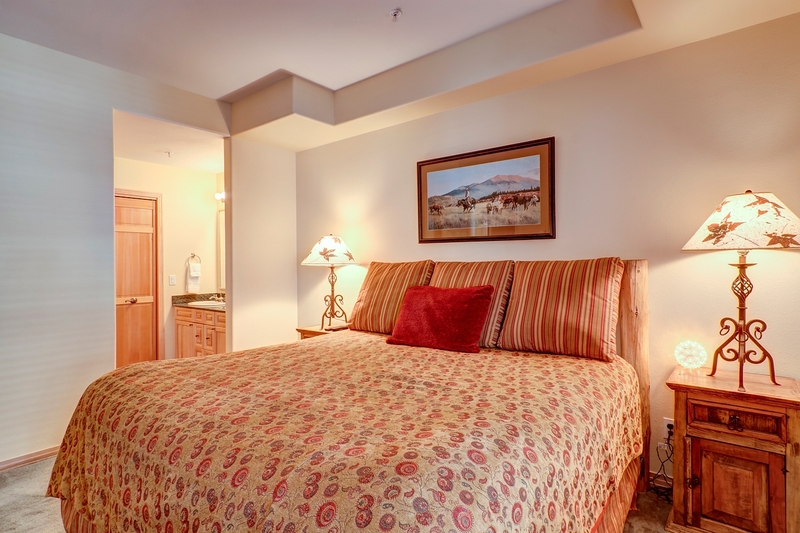 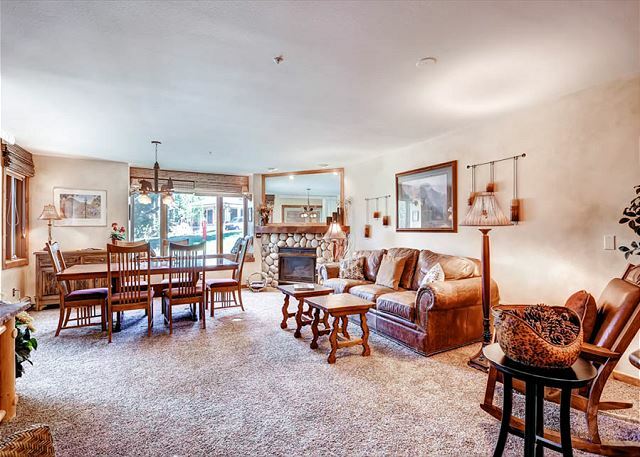 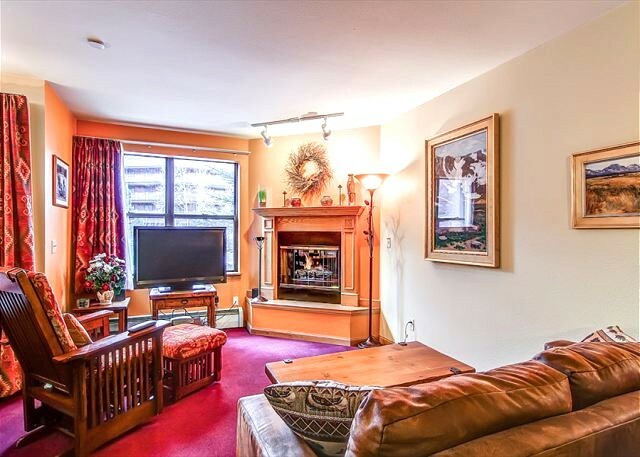 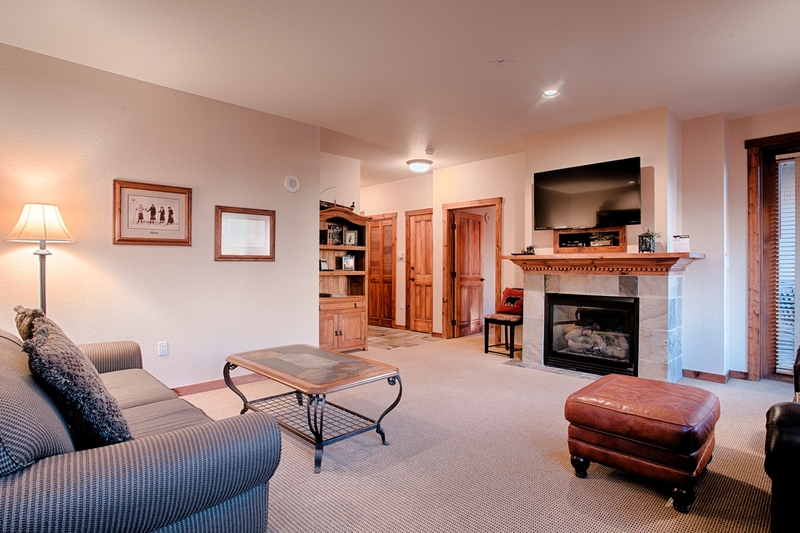 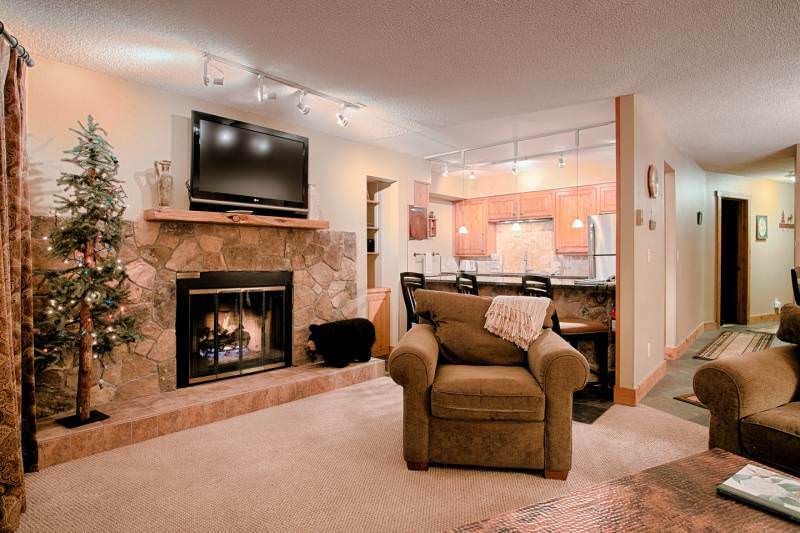 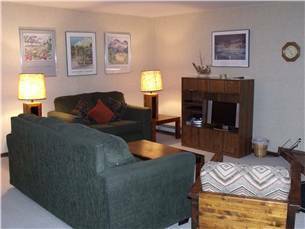 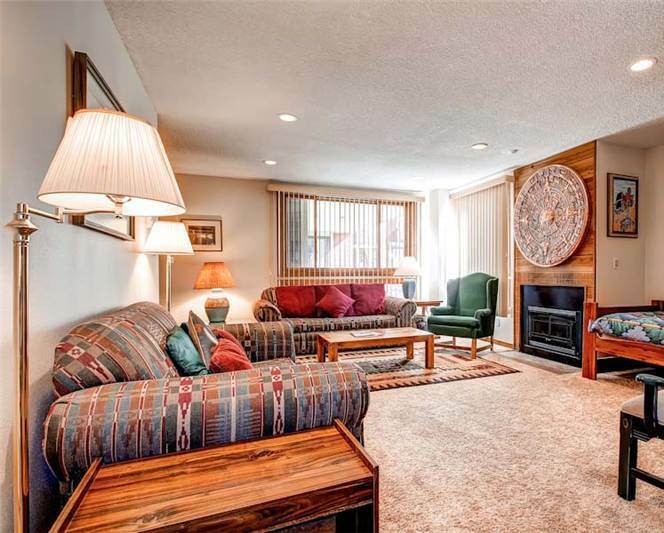 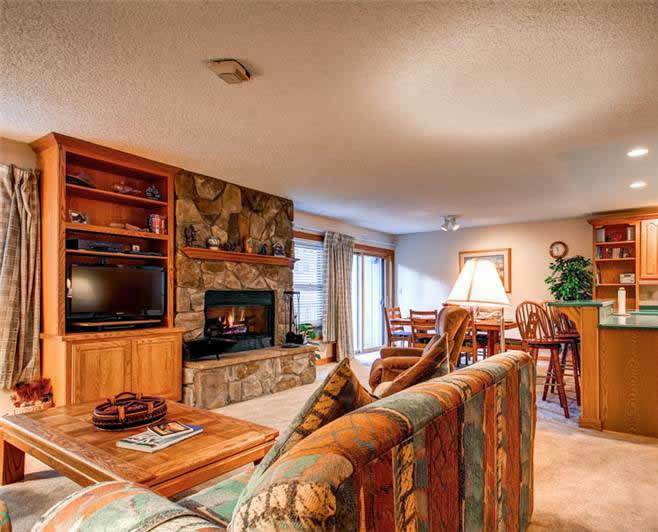 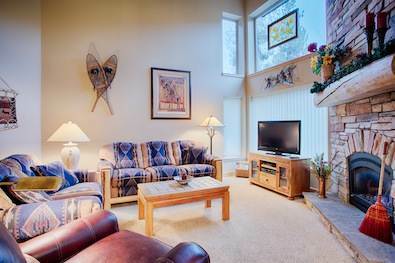 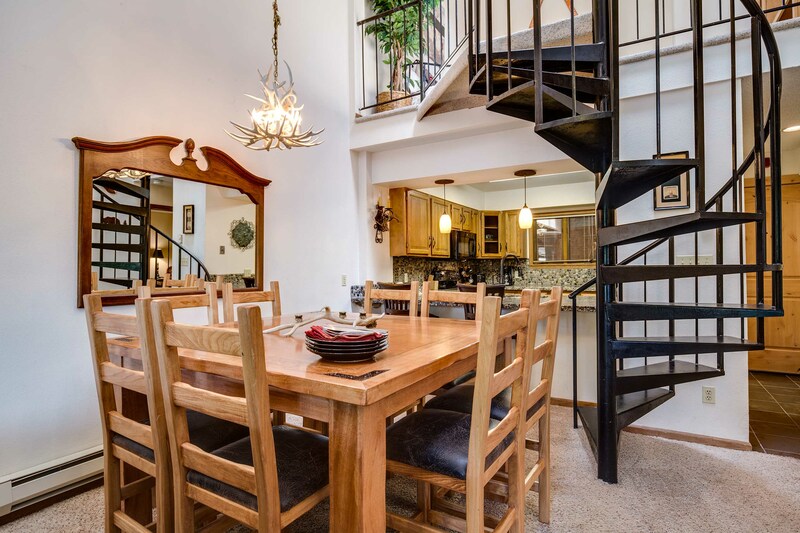 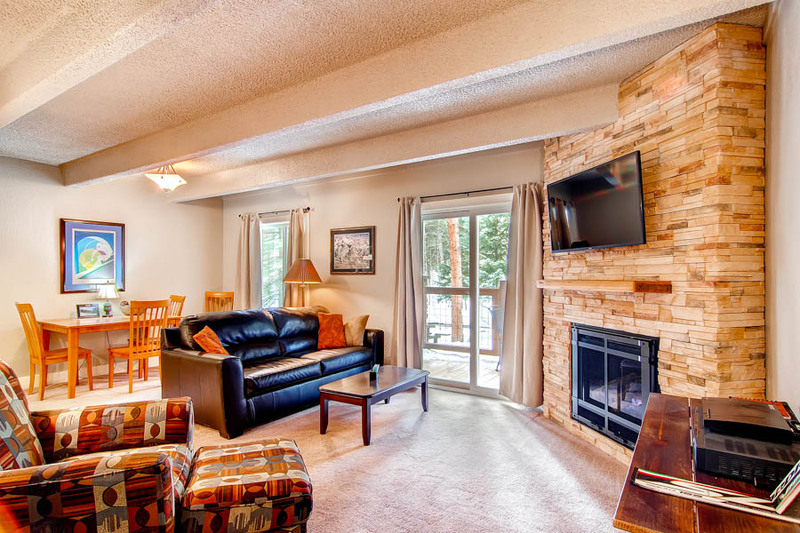 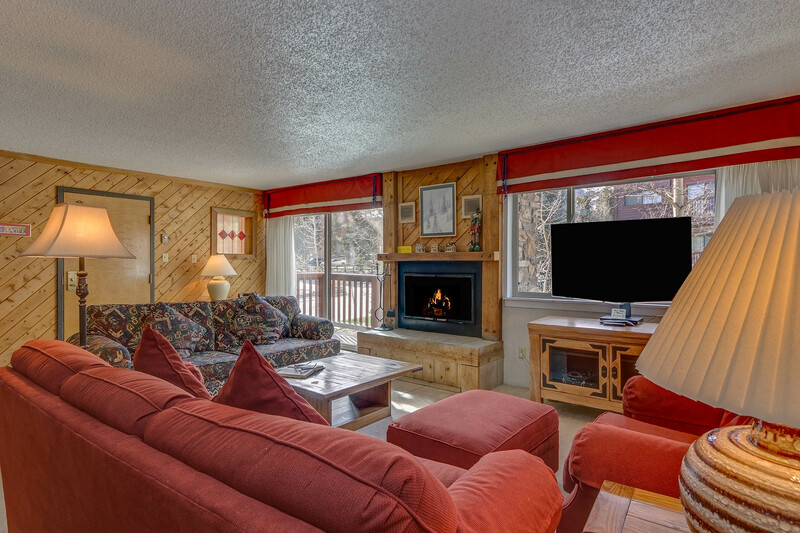 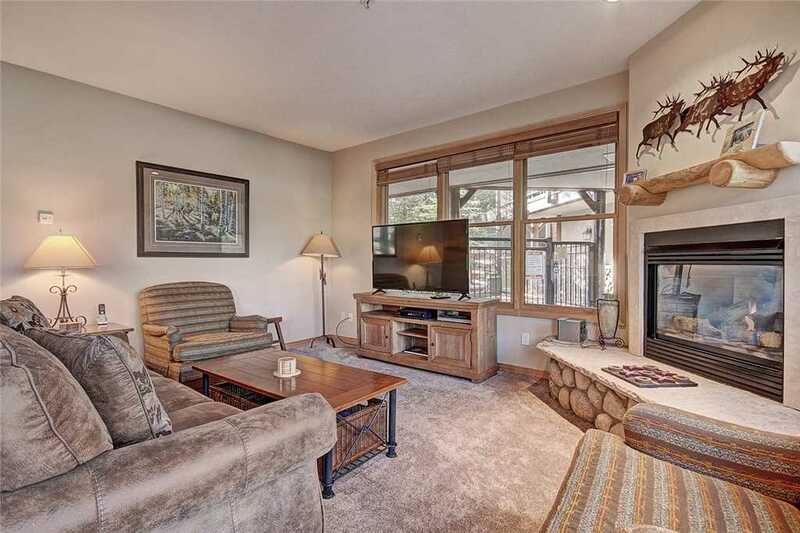 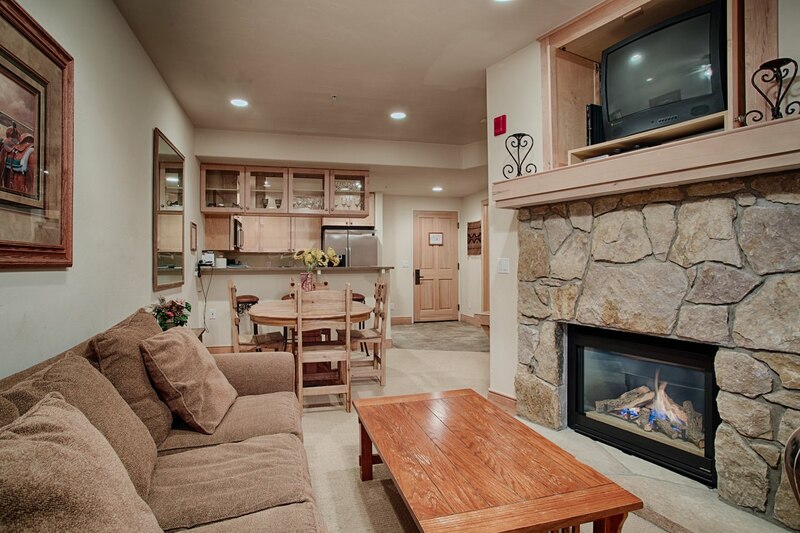 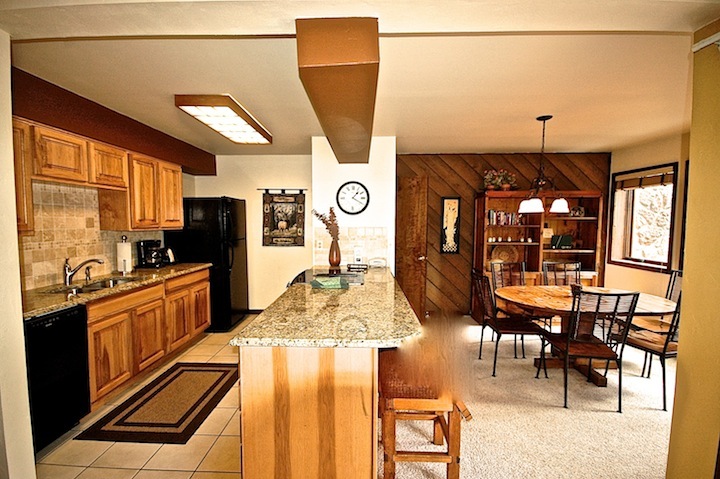 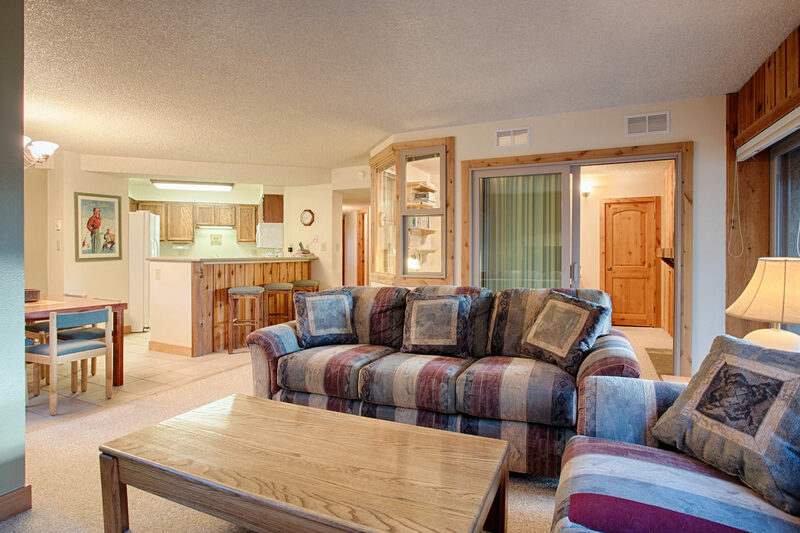 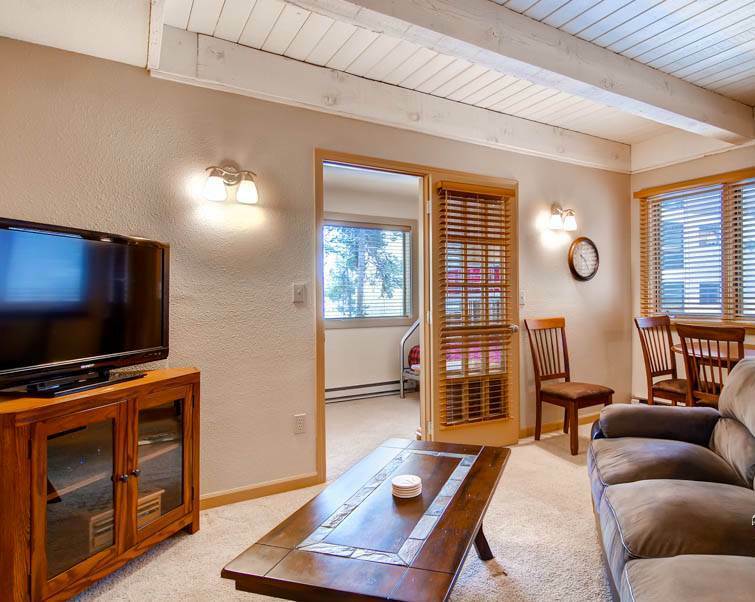 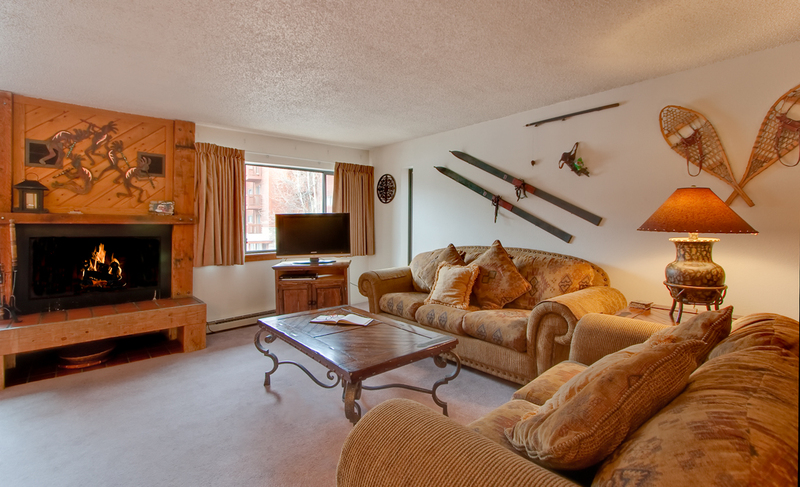 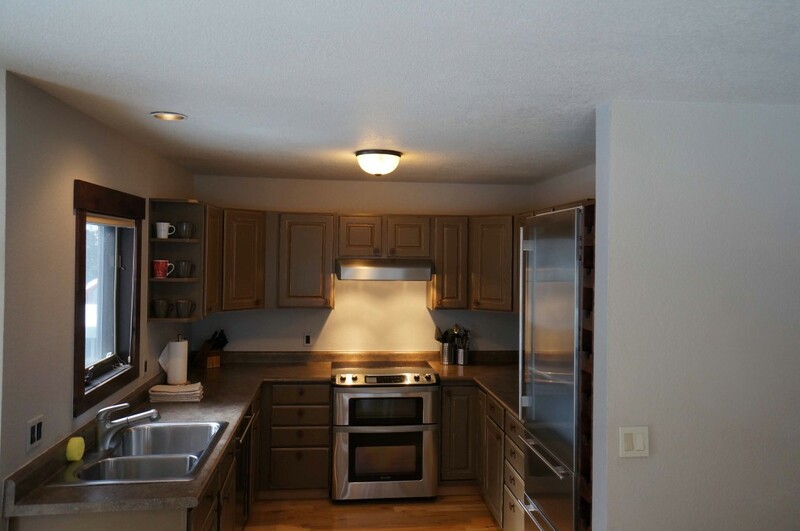 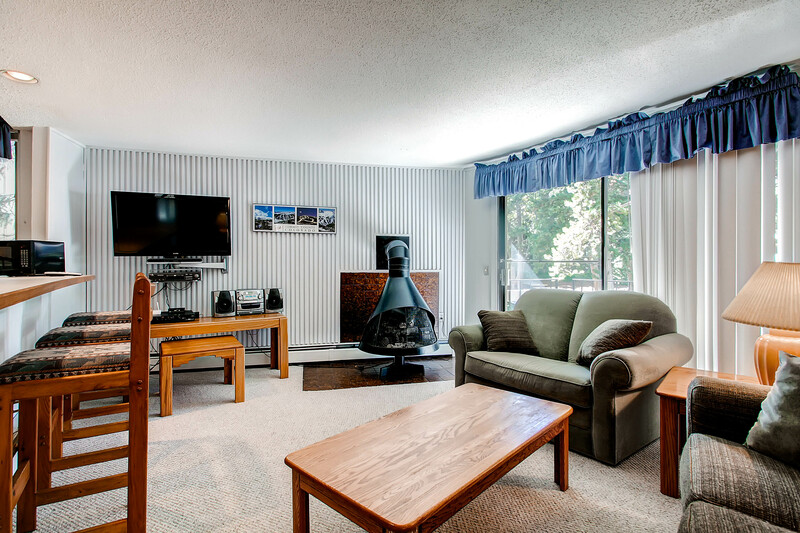 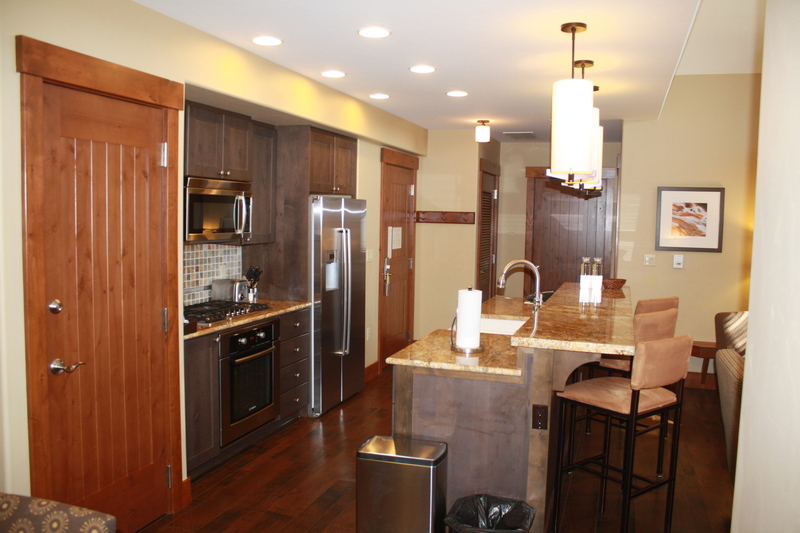 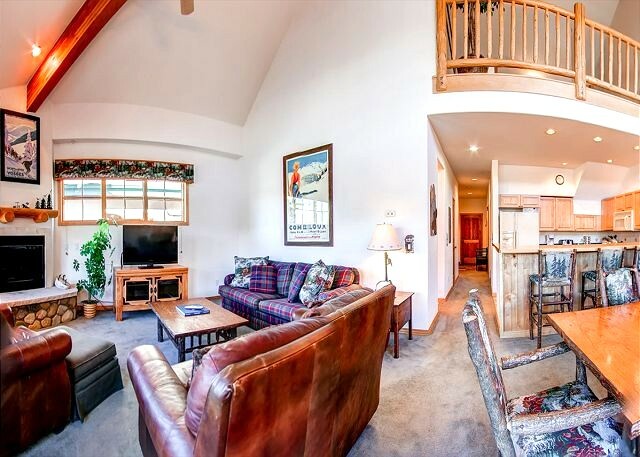 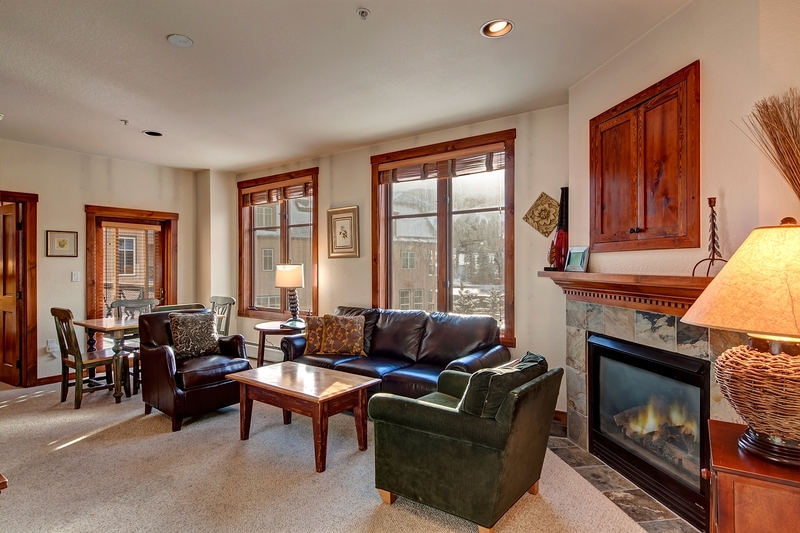 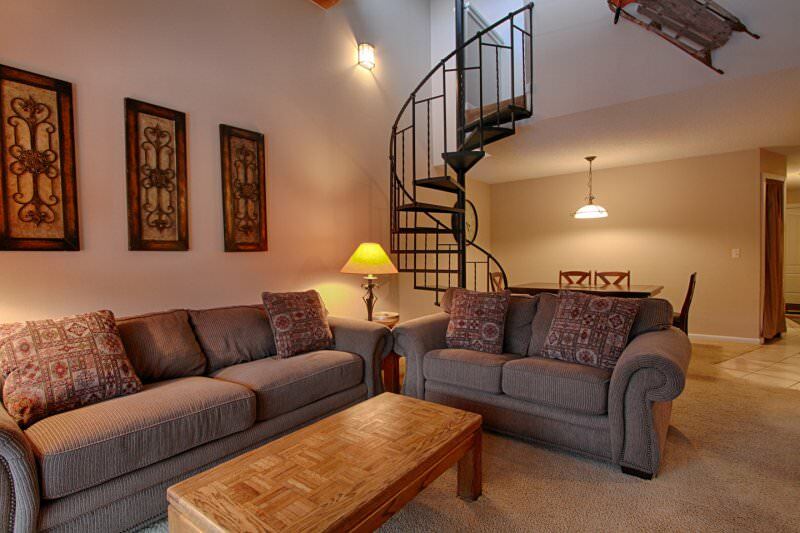 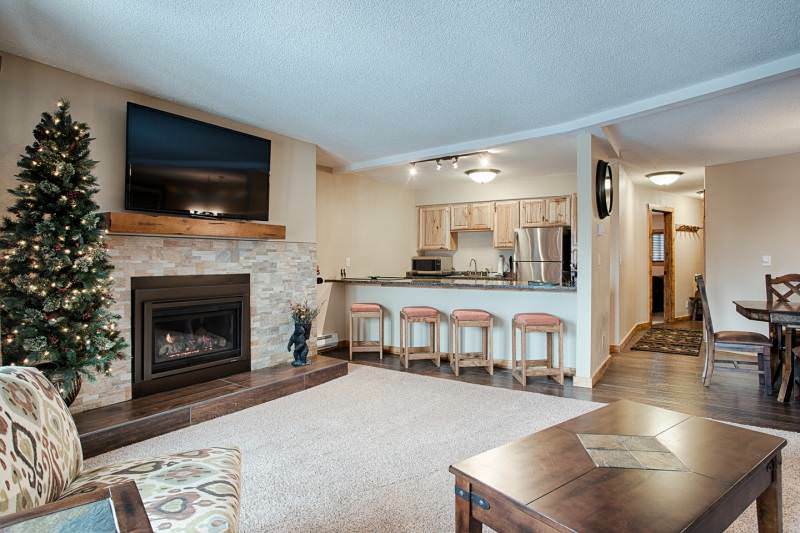 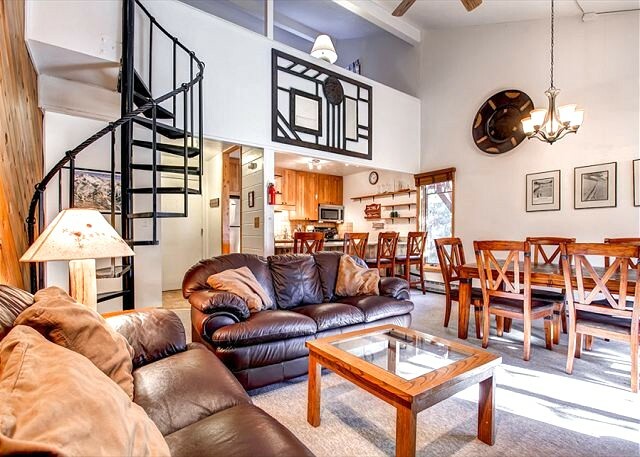 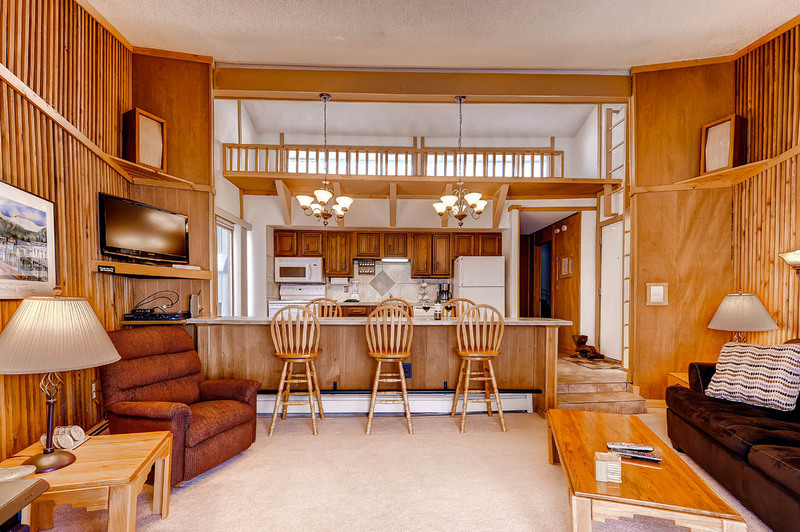 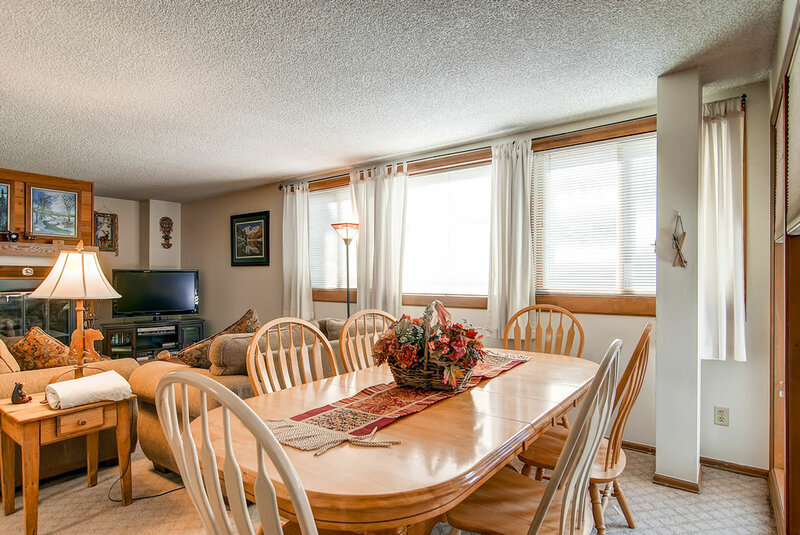 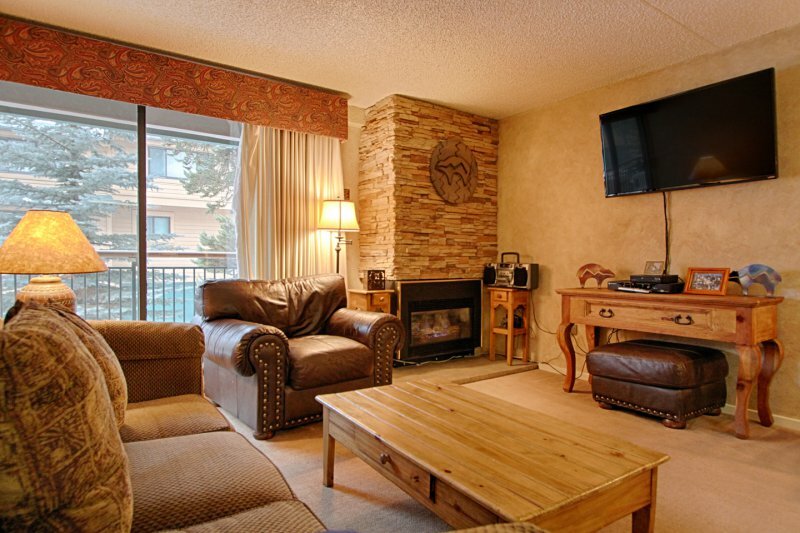 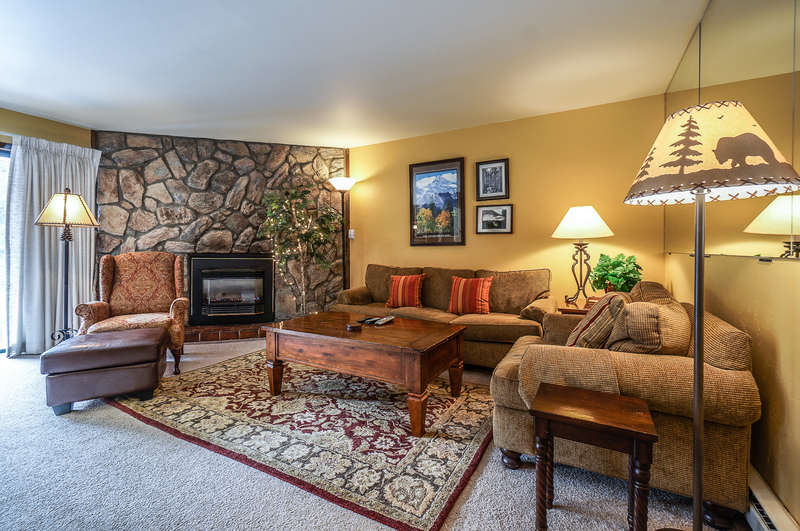 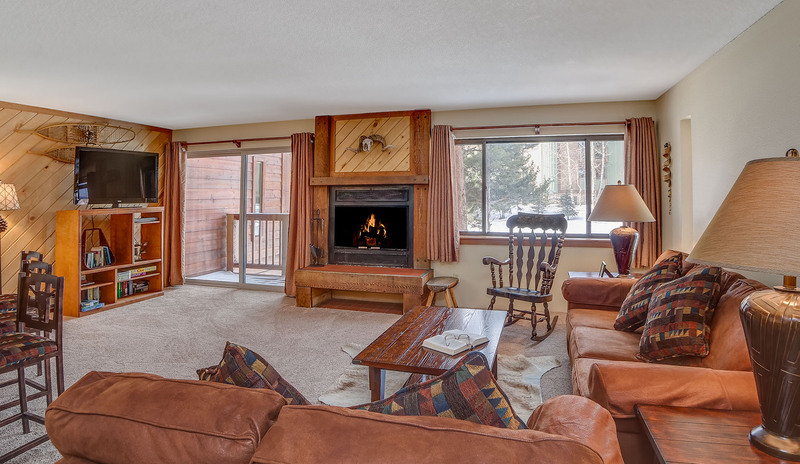 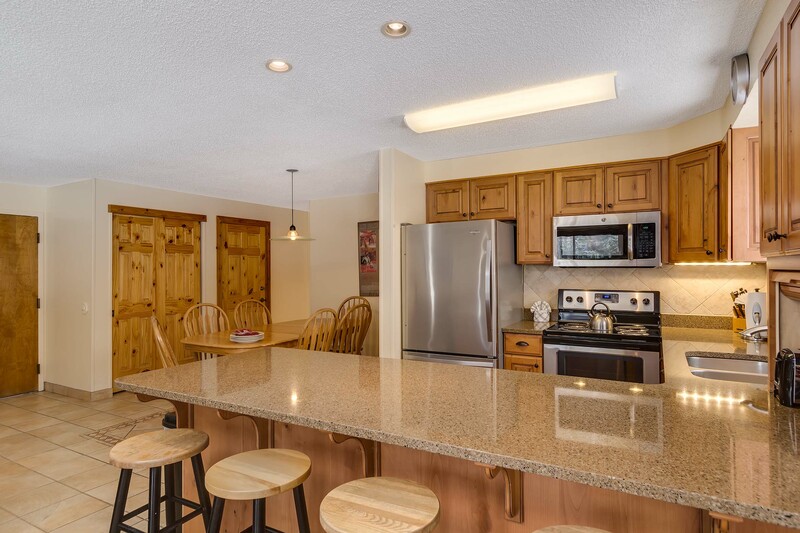 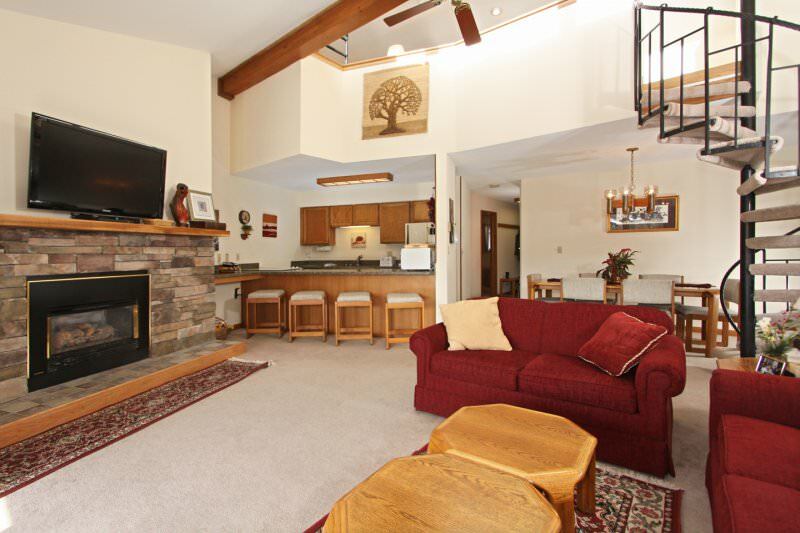 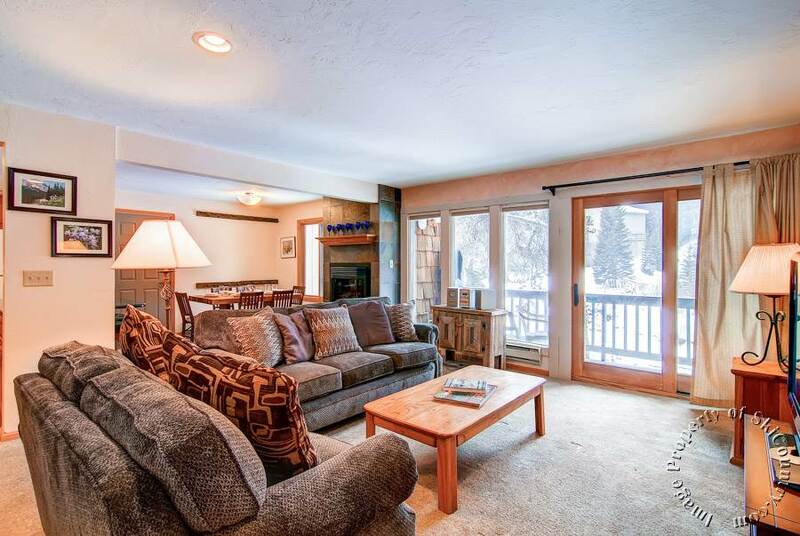 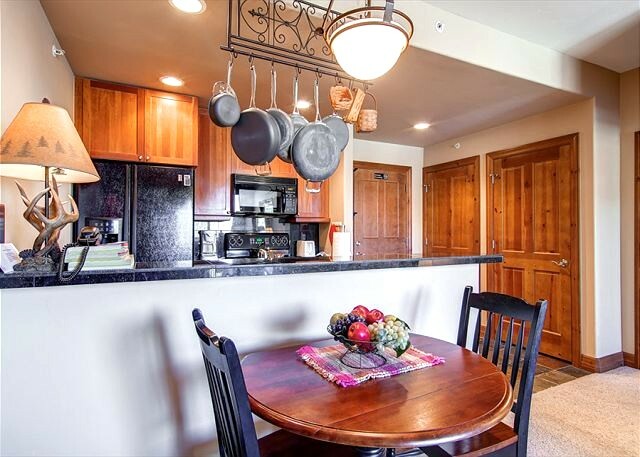 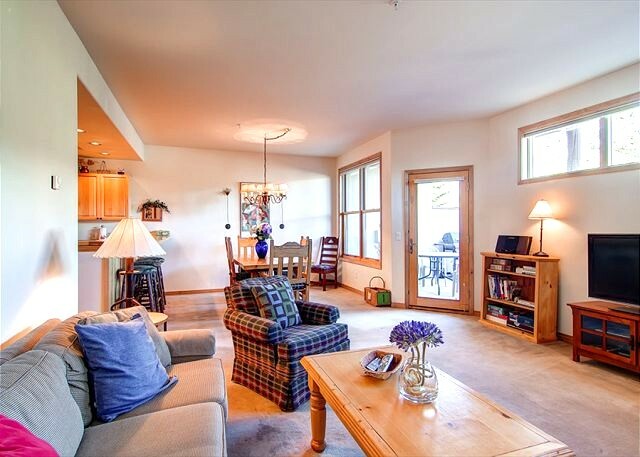 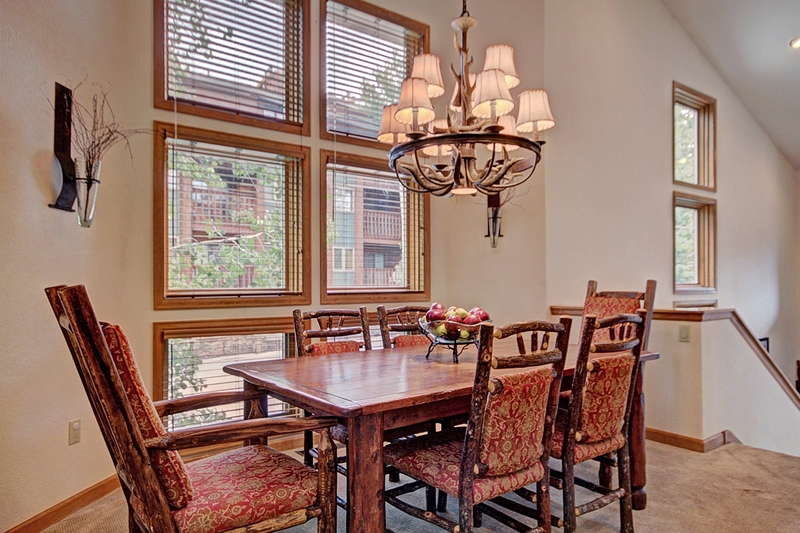 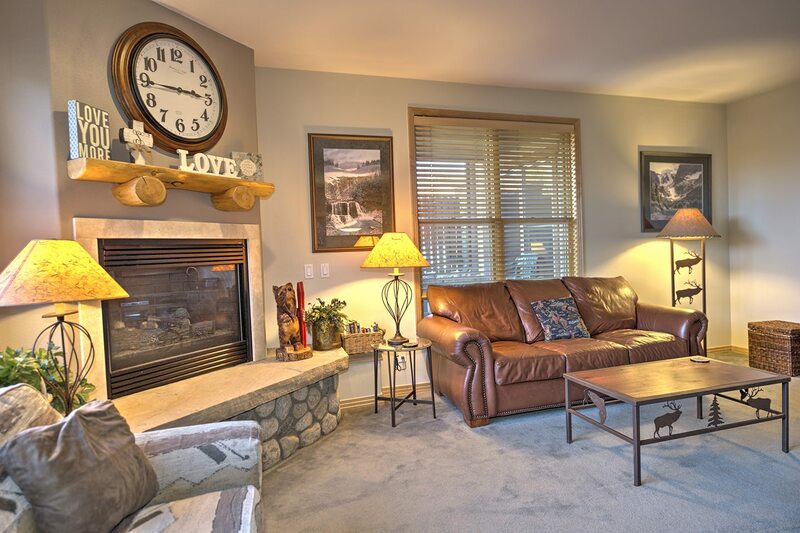 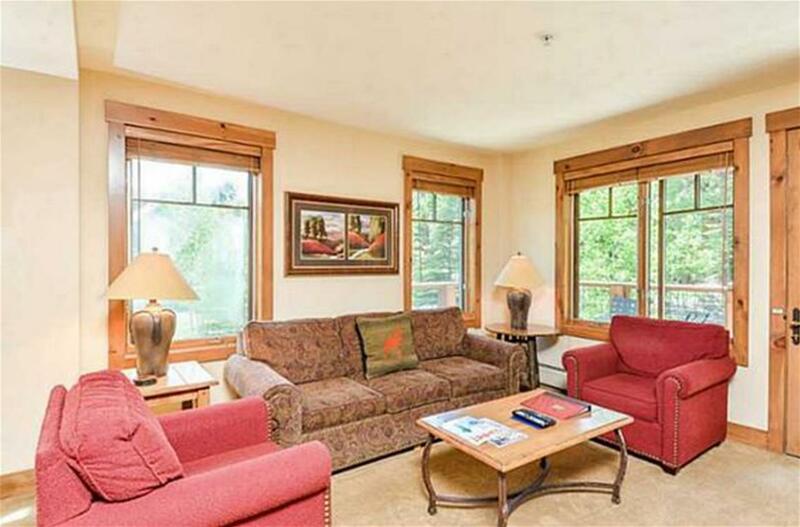 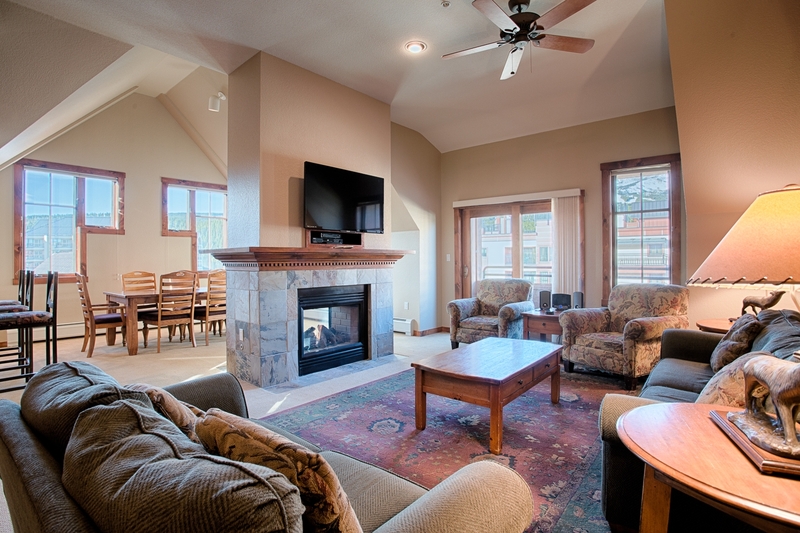 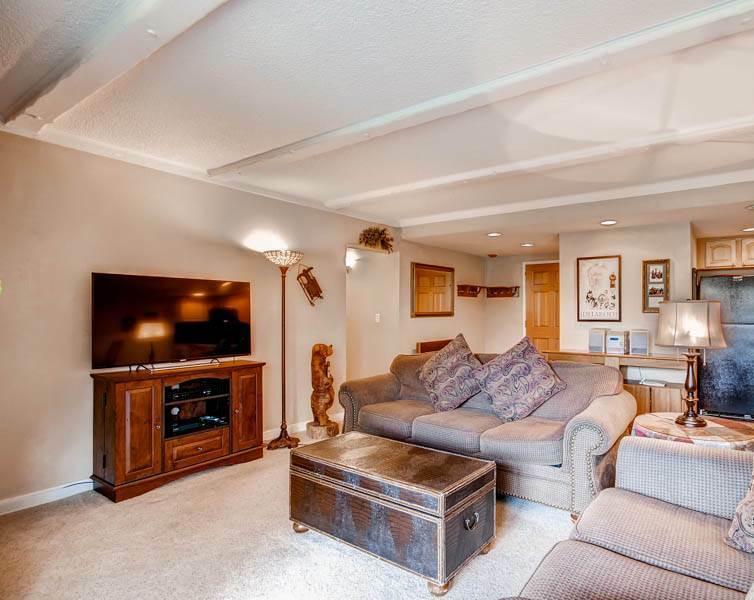 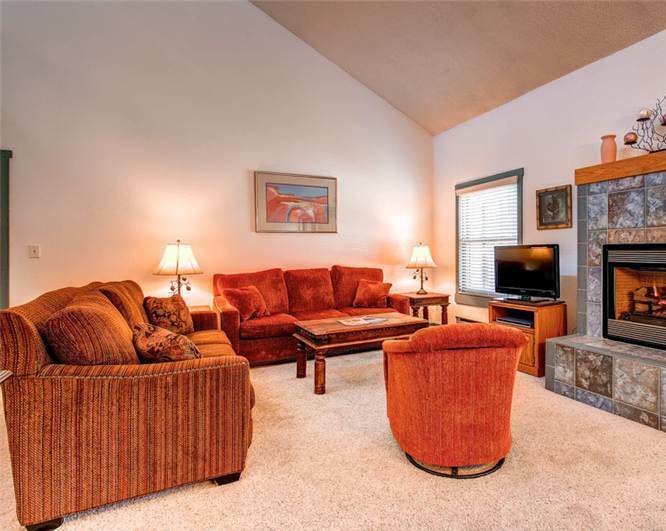 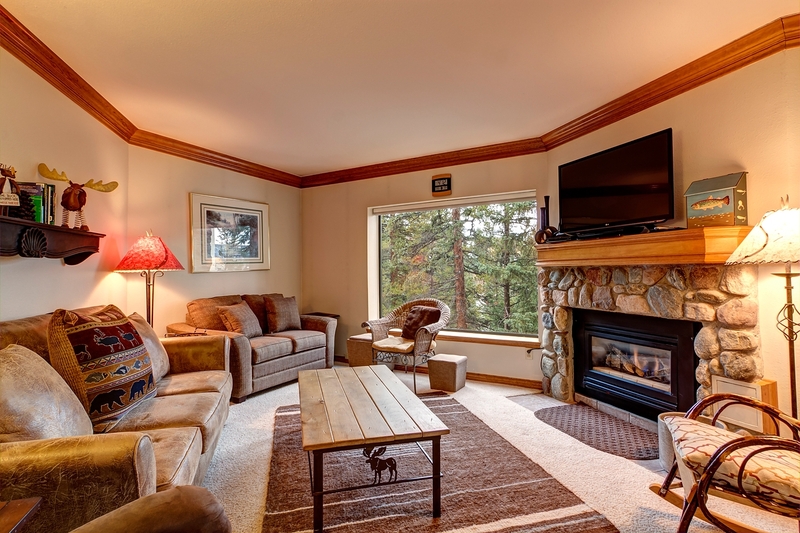 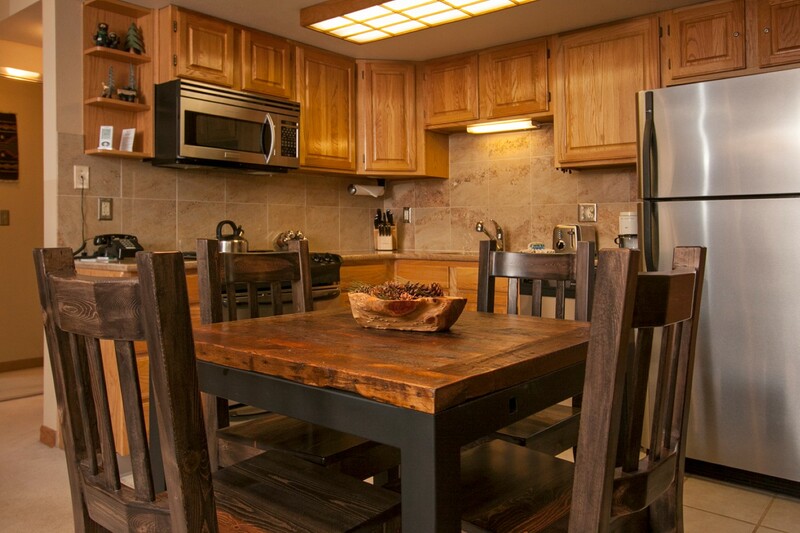 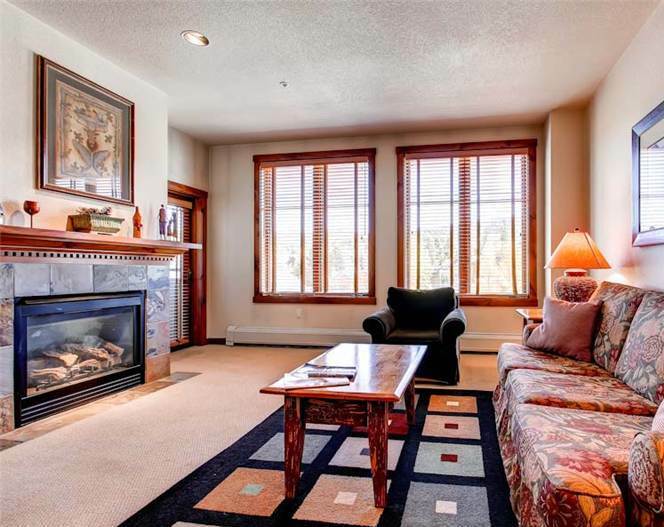 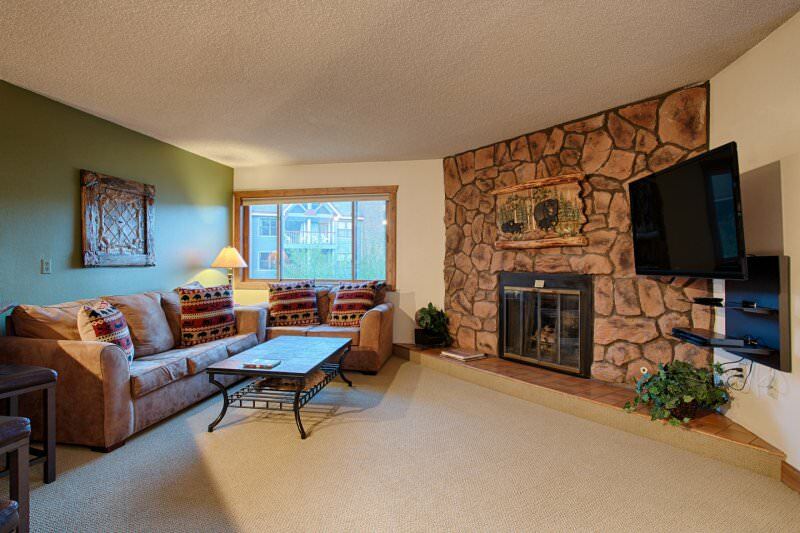 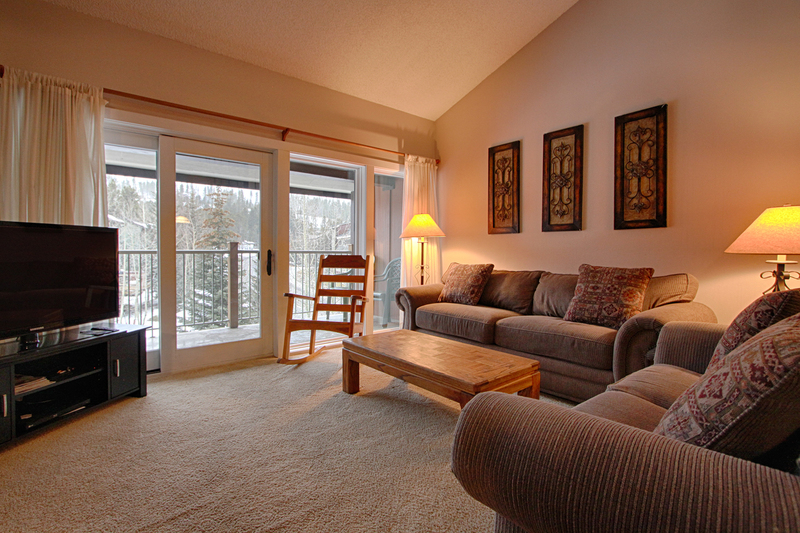 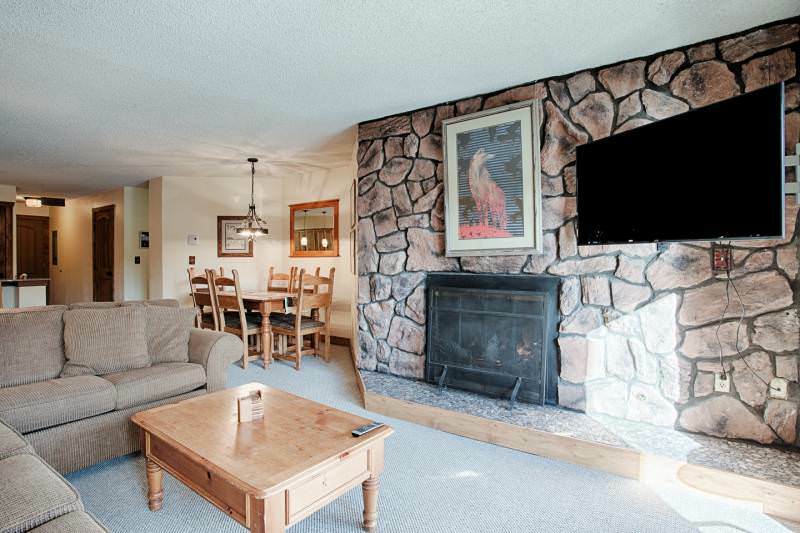 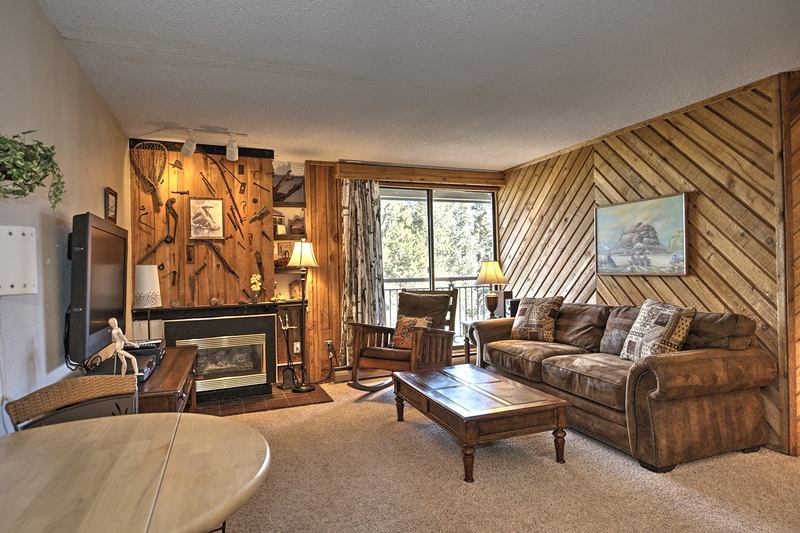 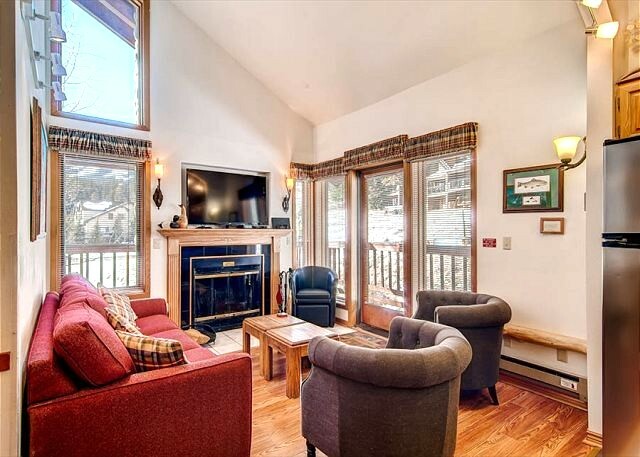 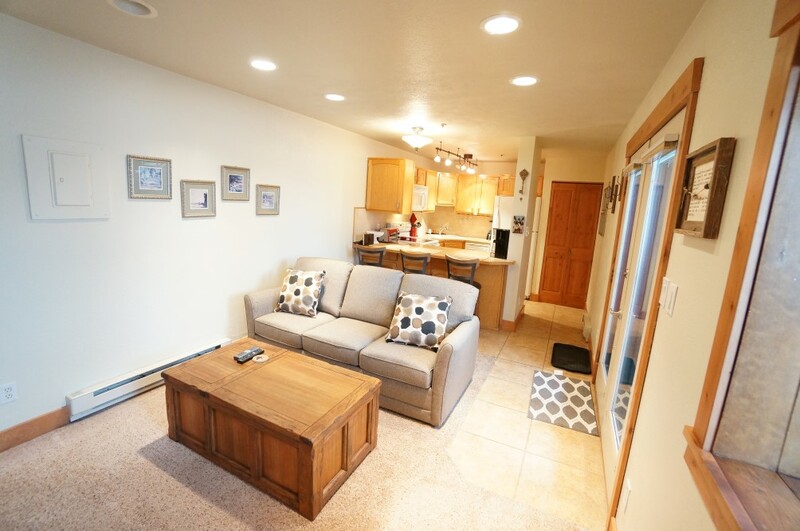 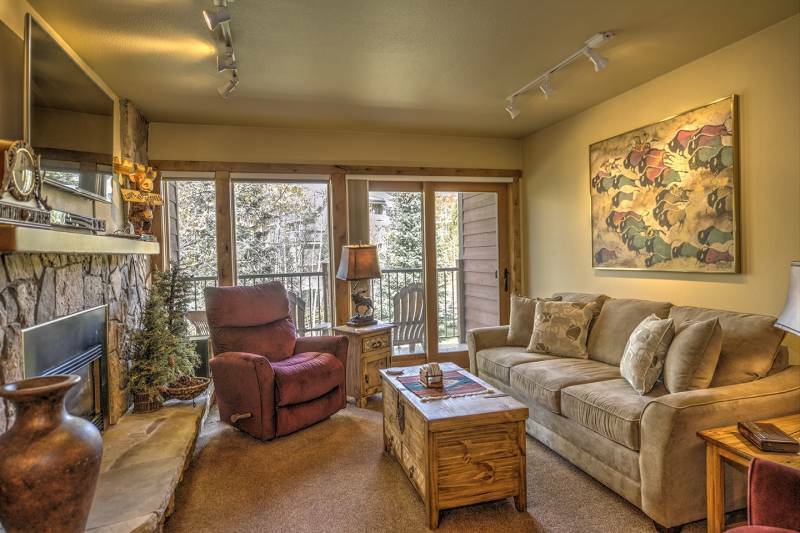 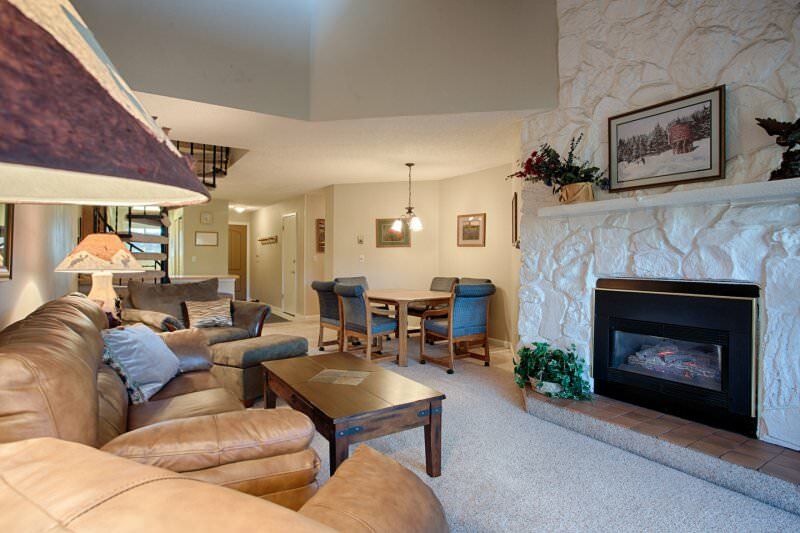 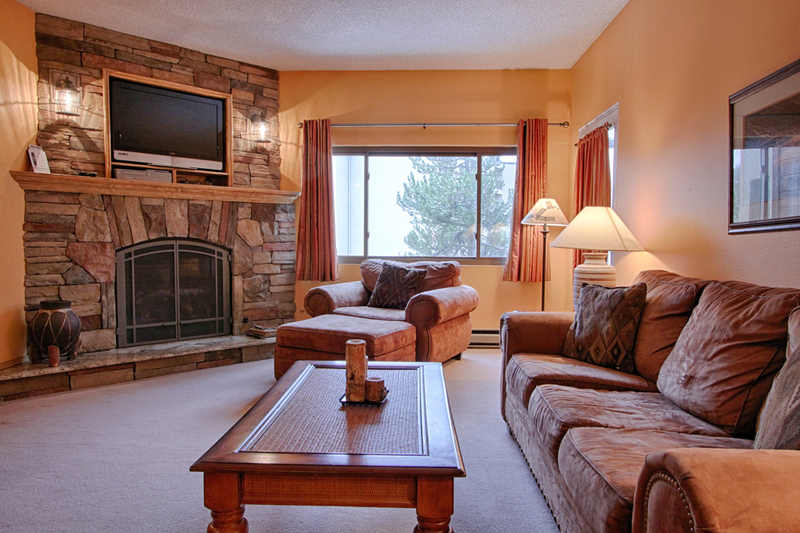 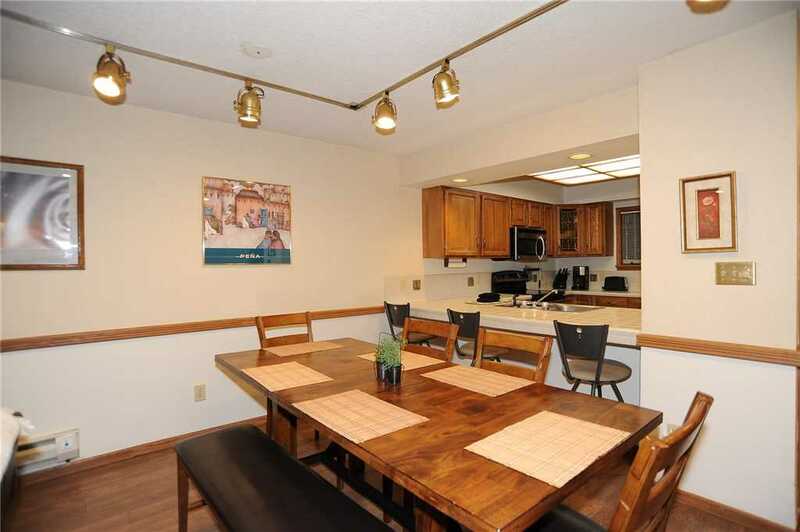 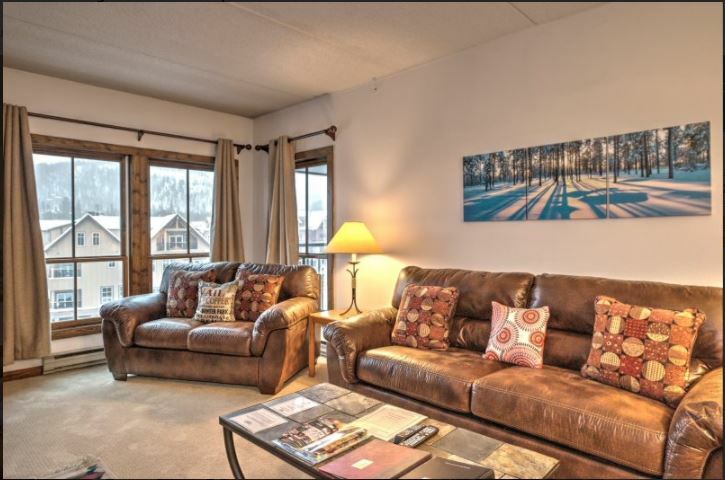 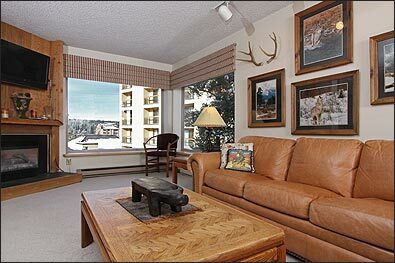 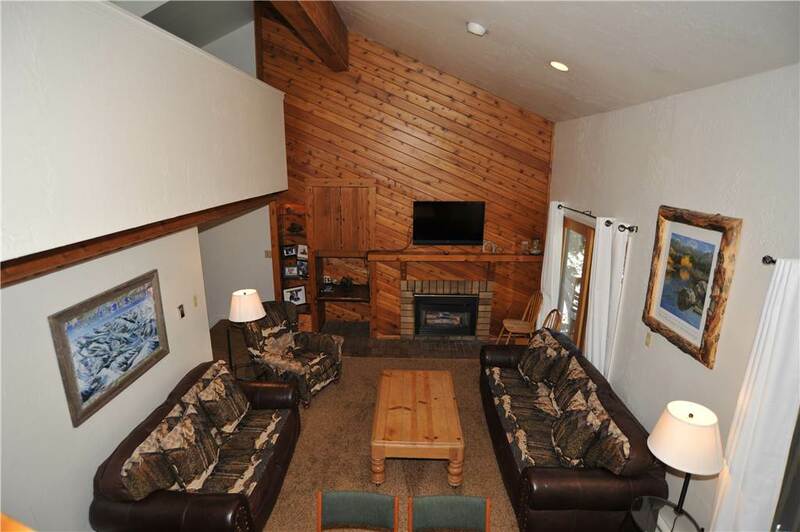 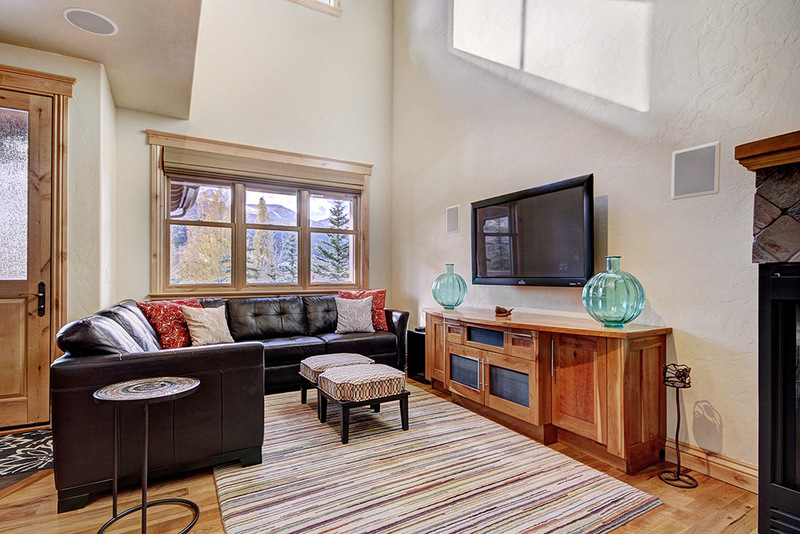 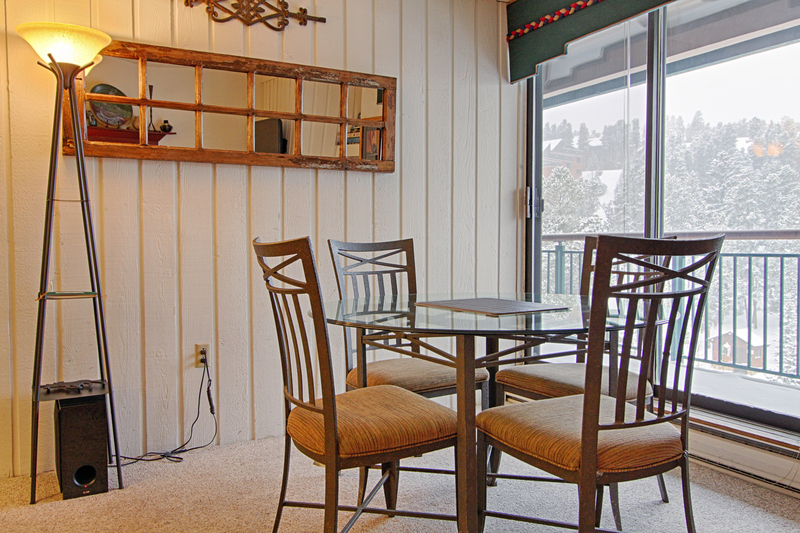 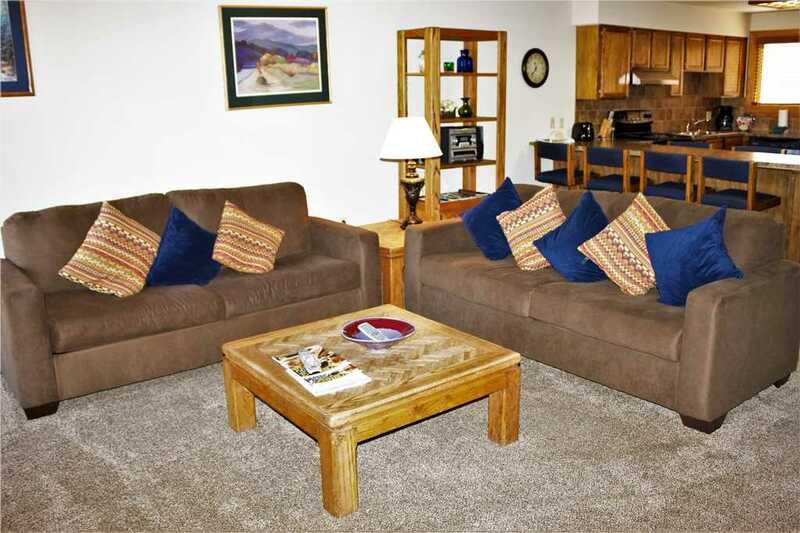 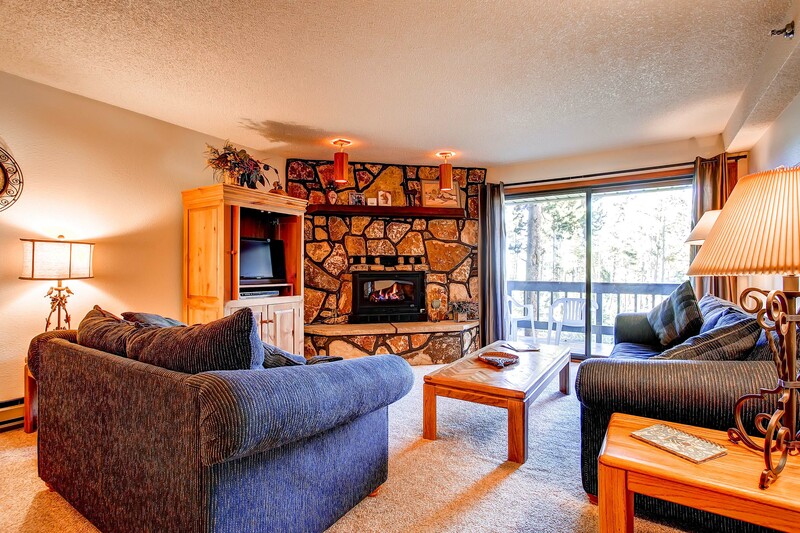 This two bedroom corner unit is our largest unit in the entire building, featuring 1288 square feet of living area. 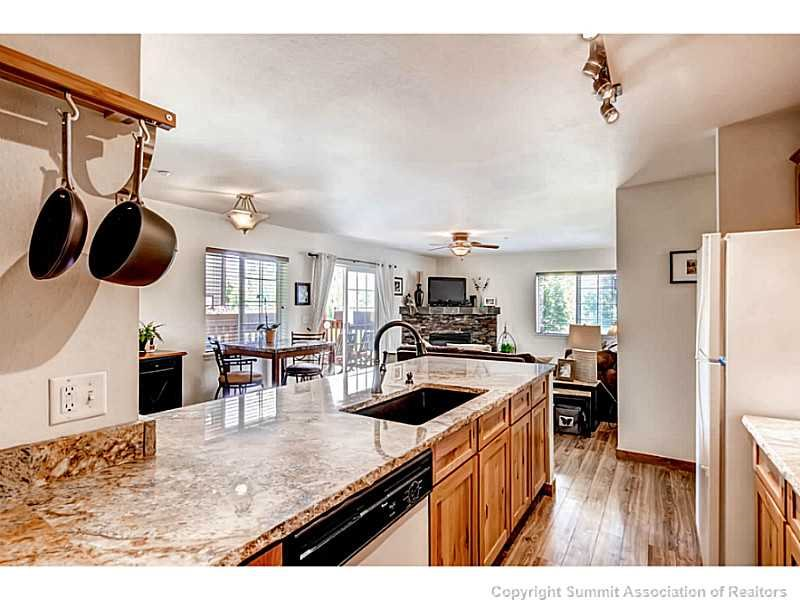 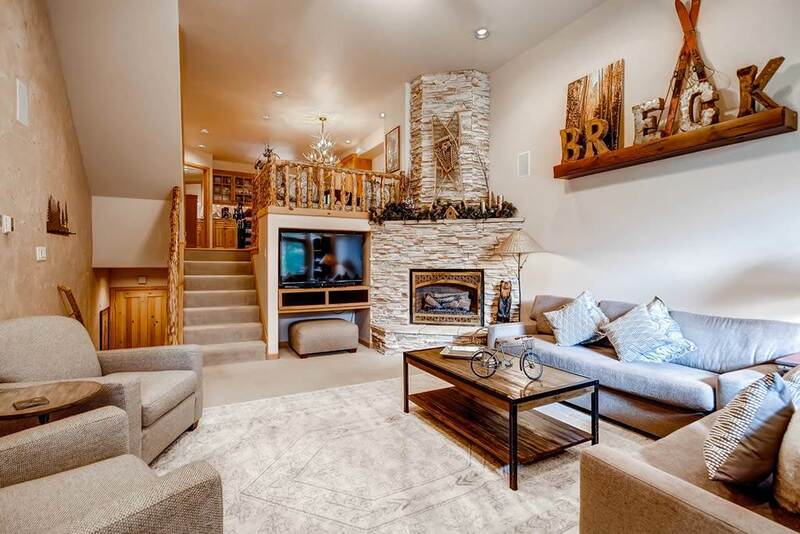 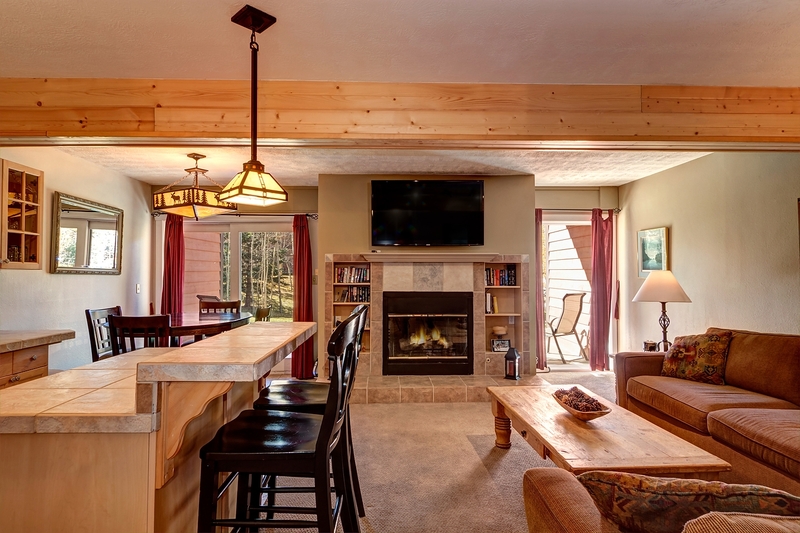 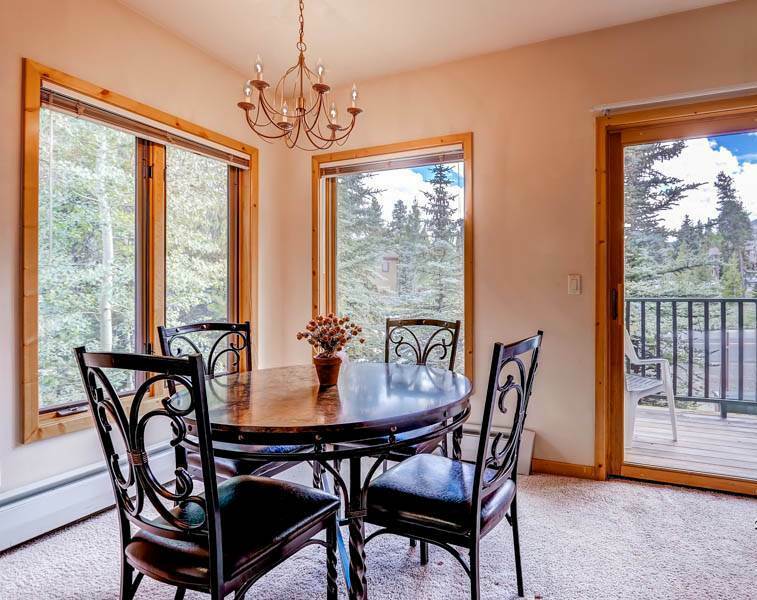 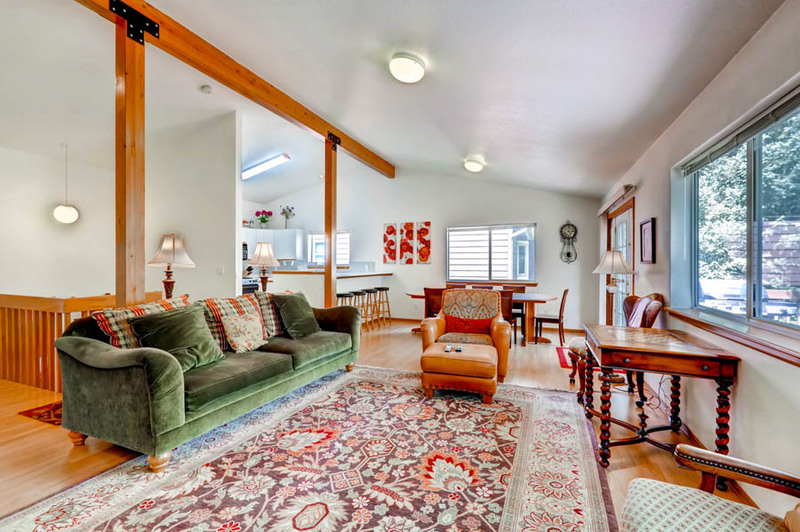 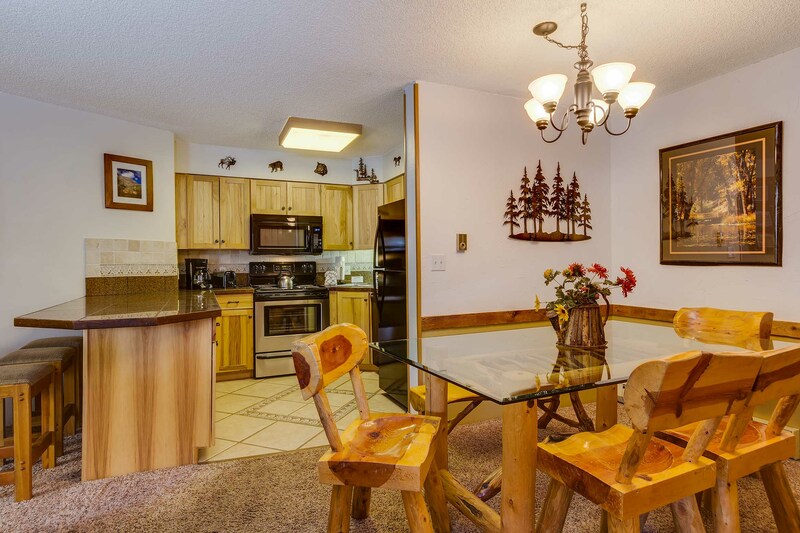 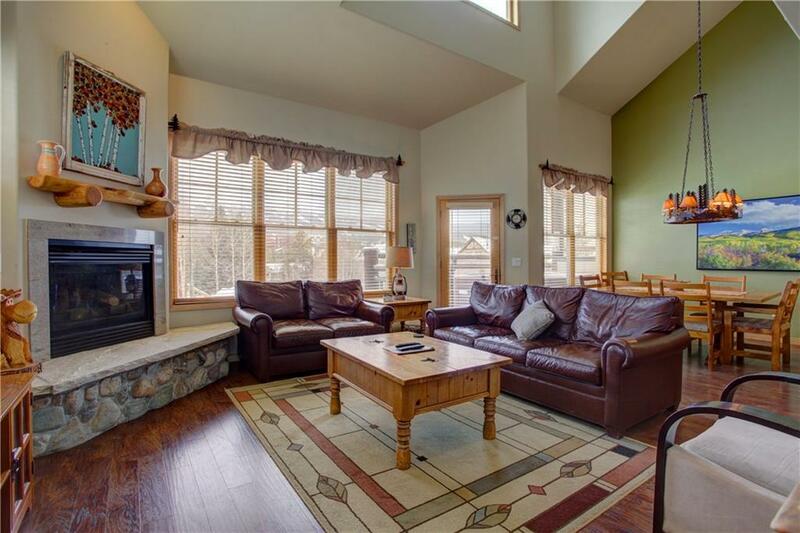 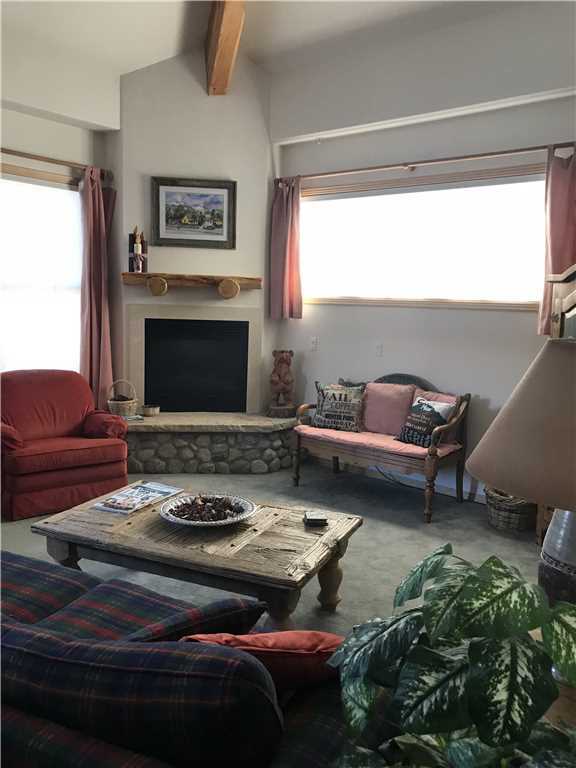 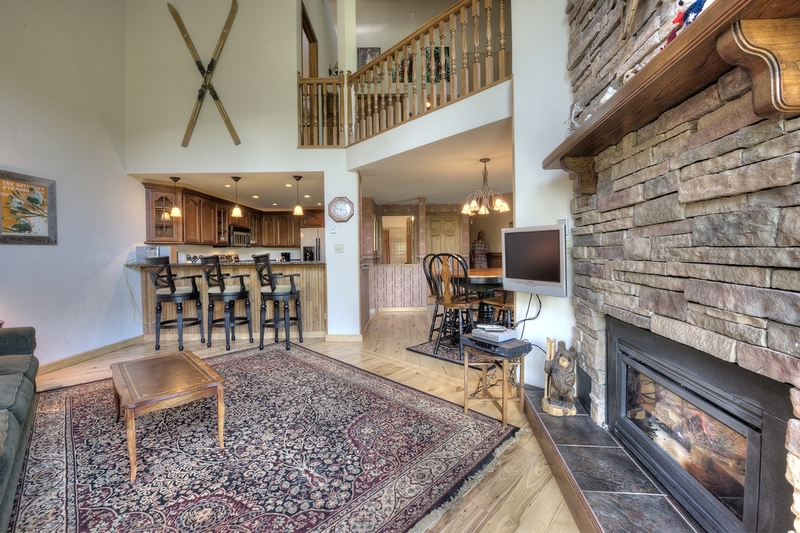 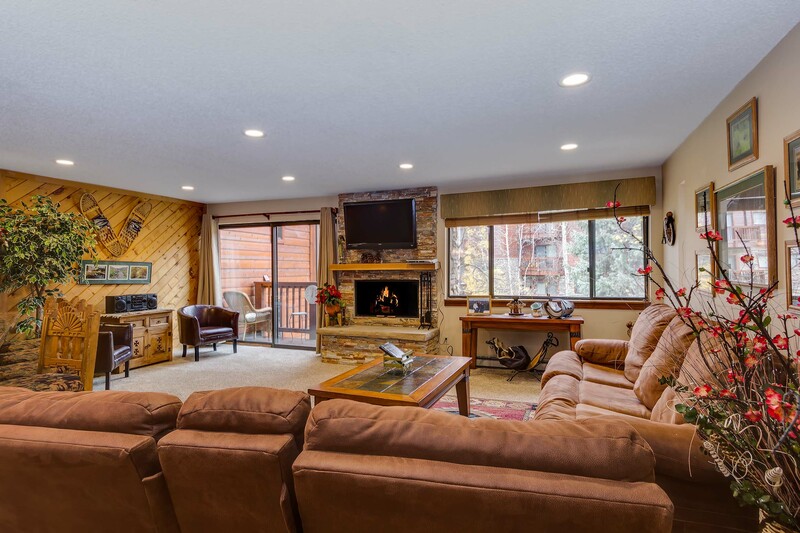 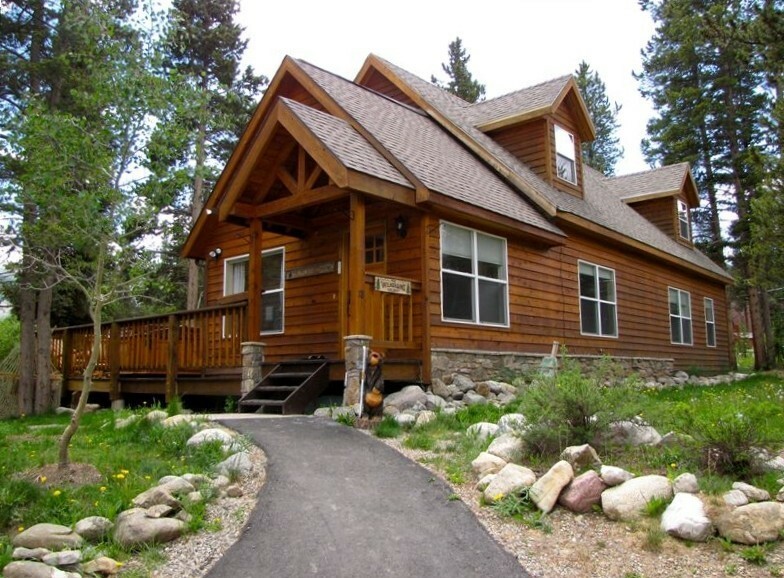 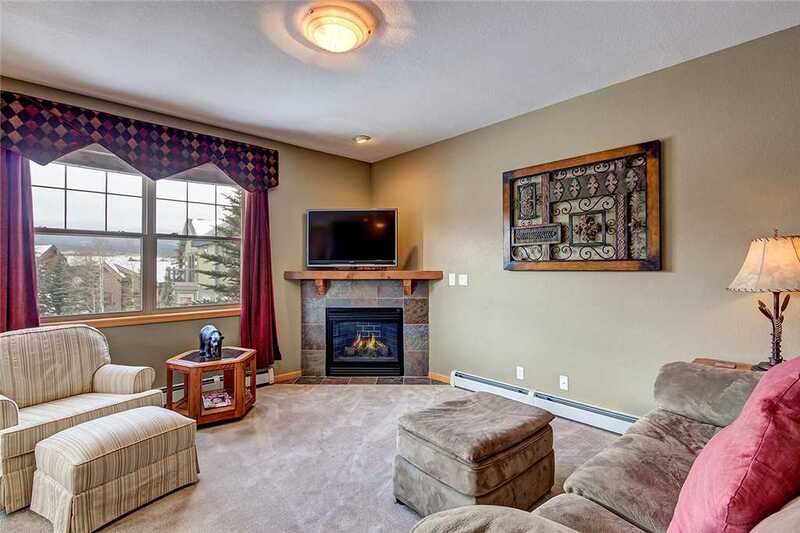 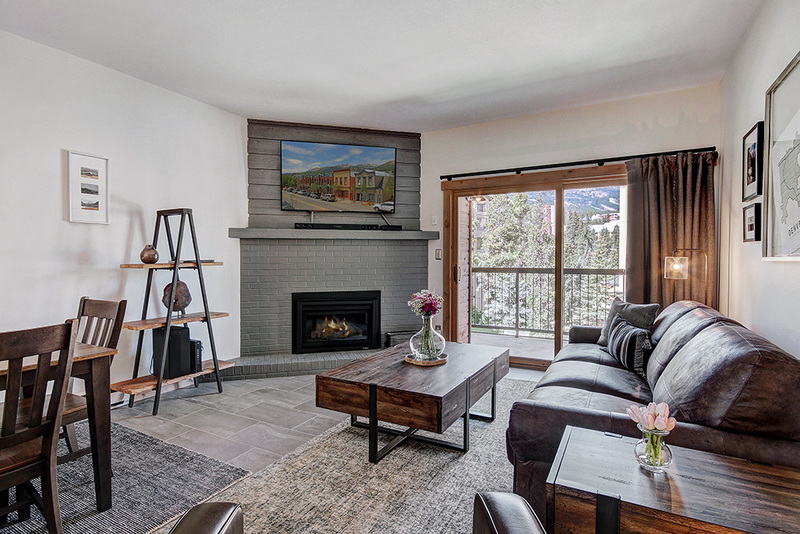 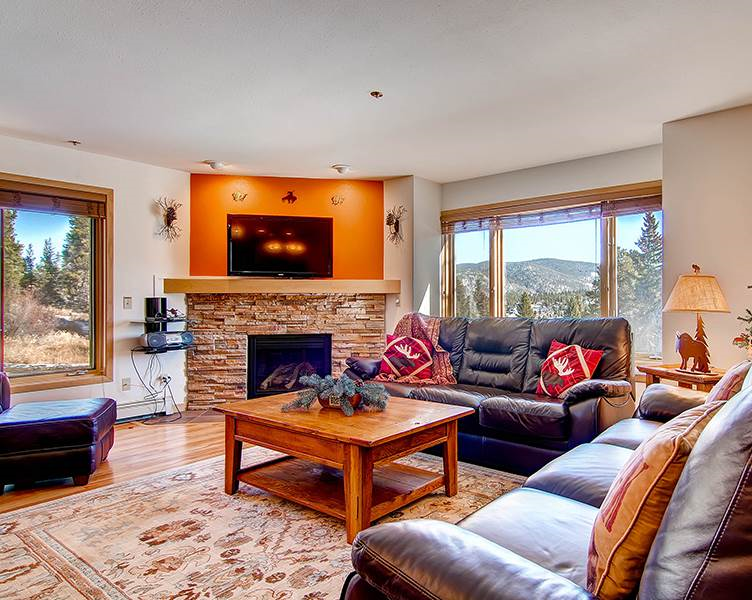 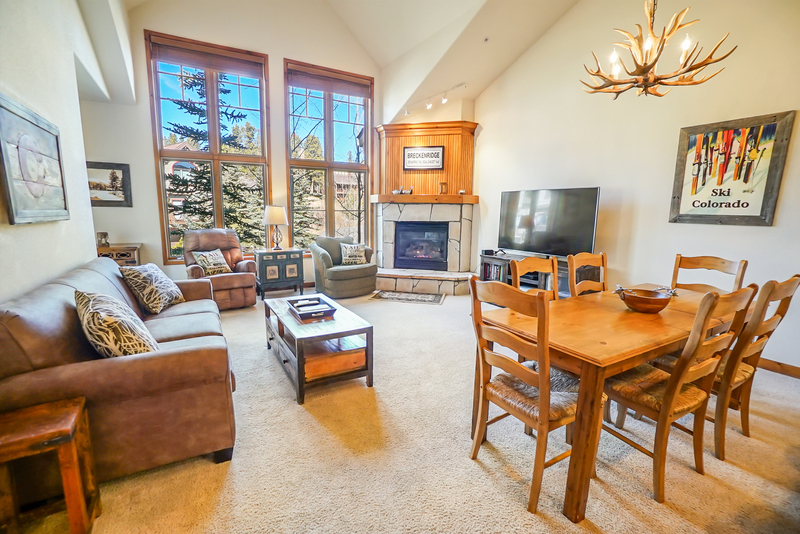 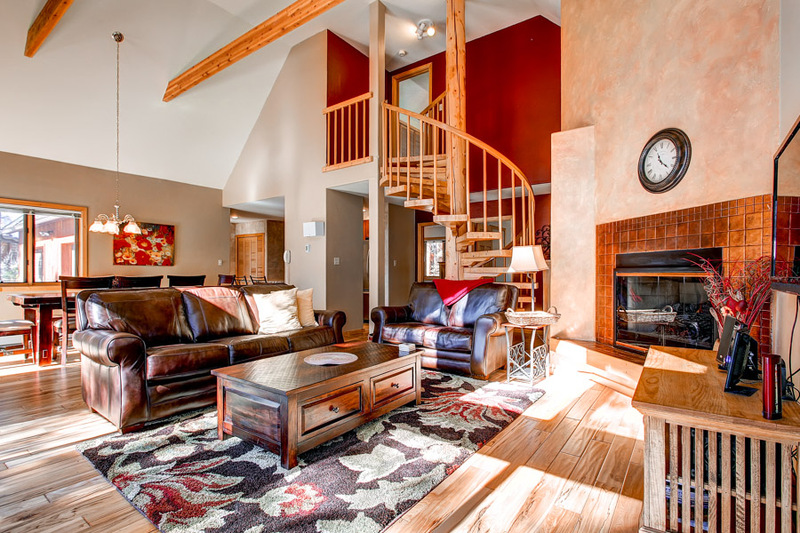 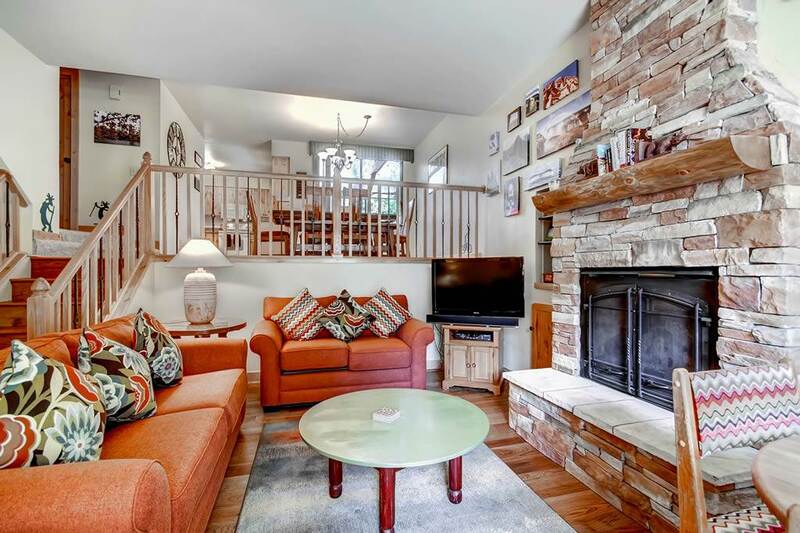 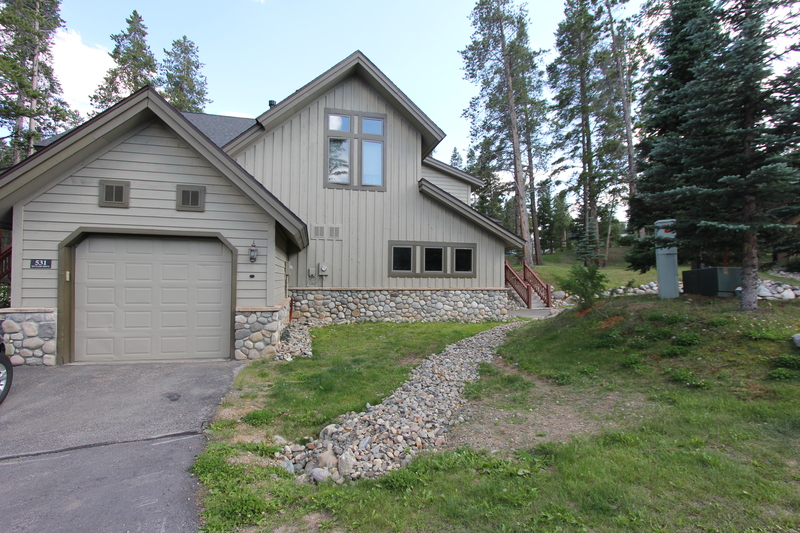 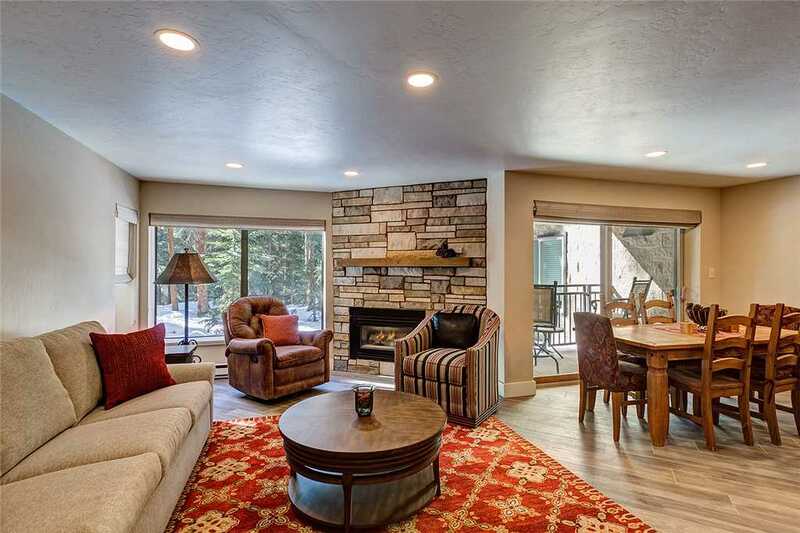 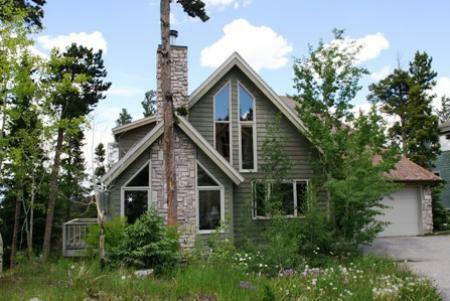 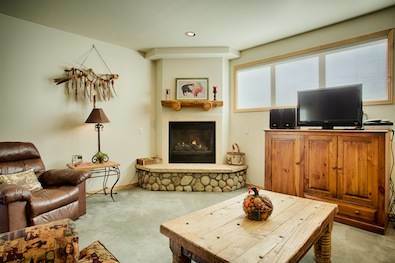 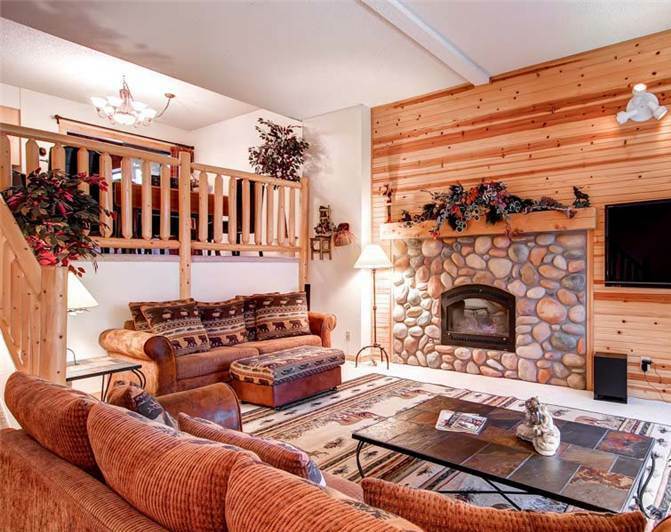 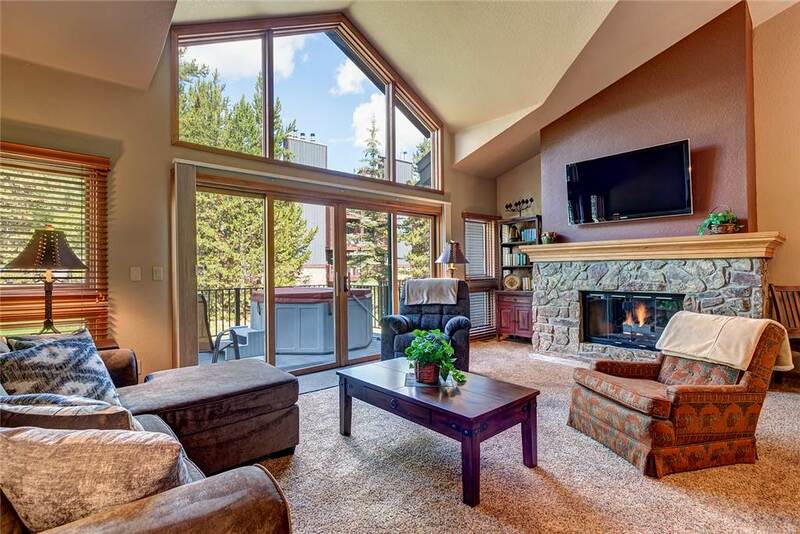 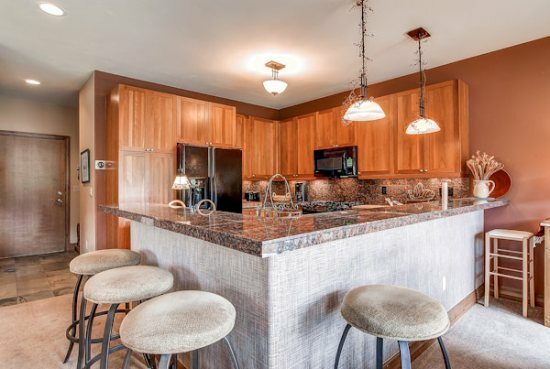 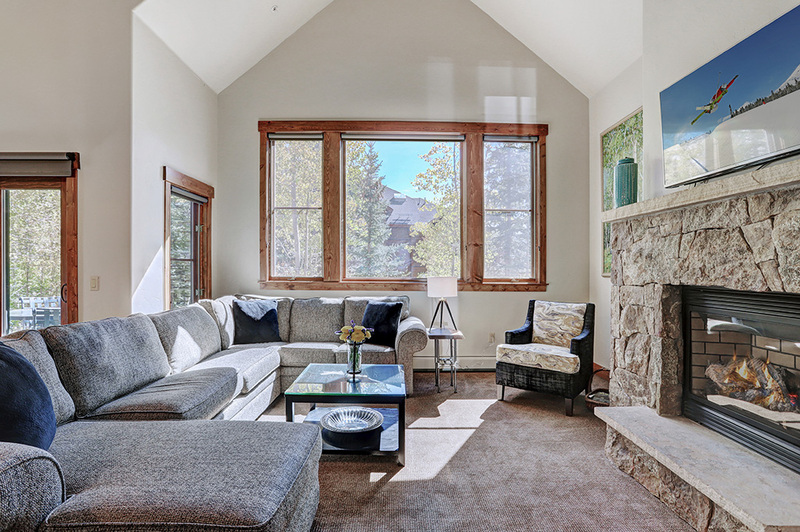 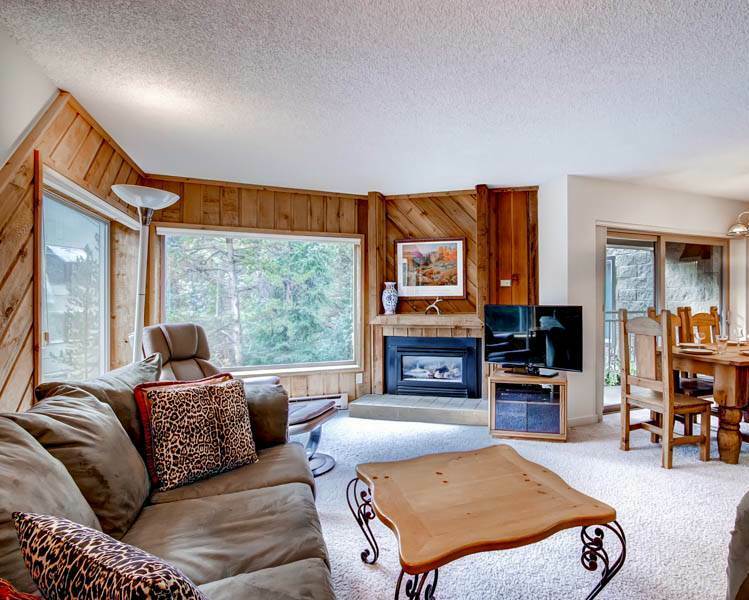 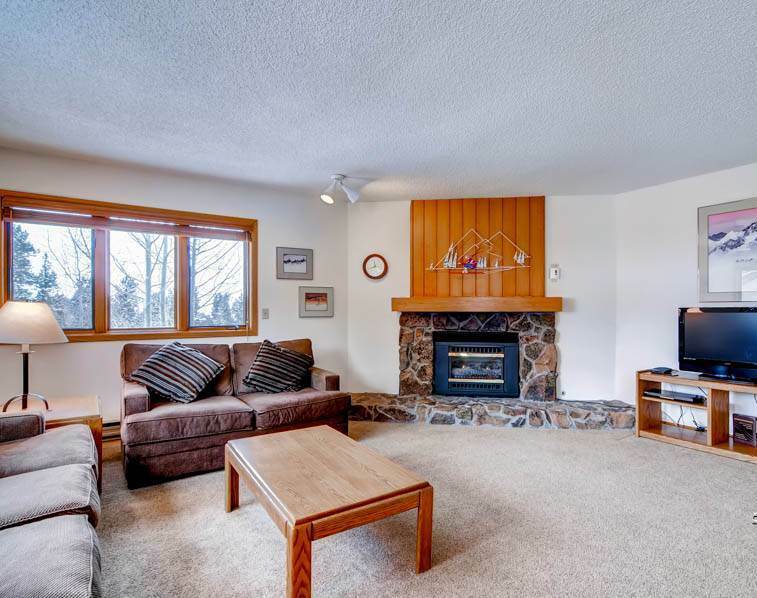 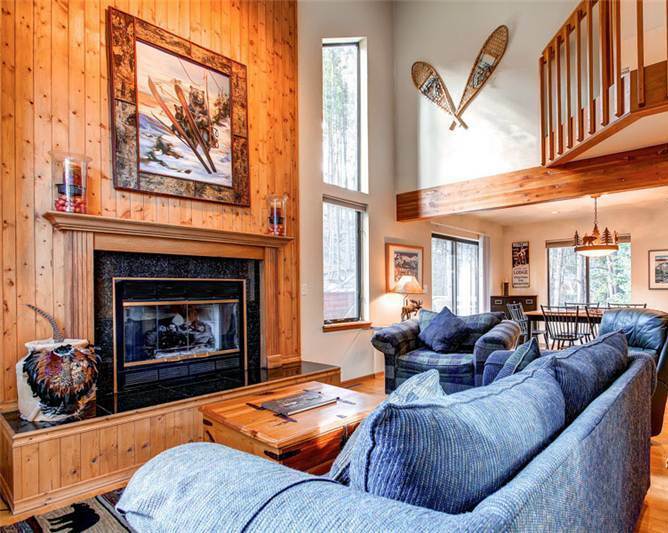 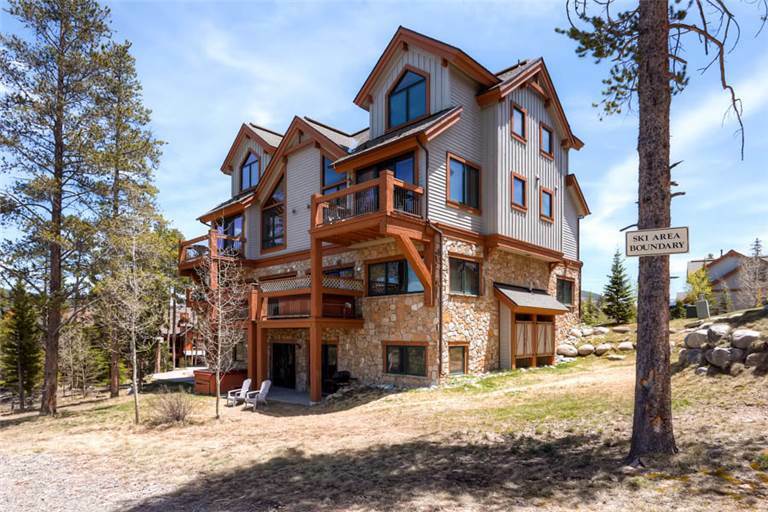 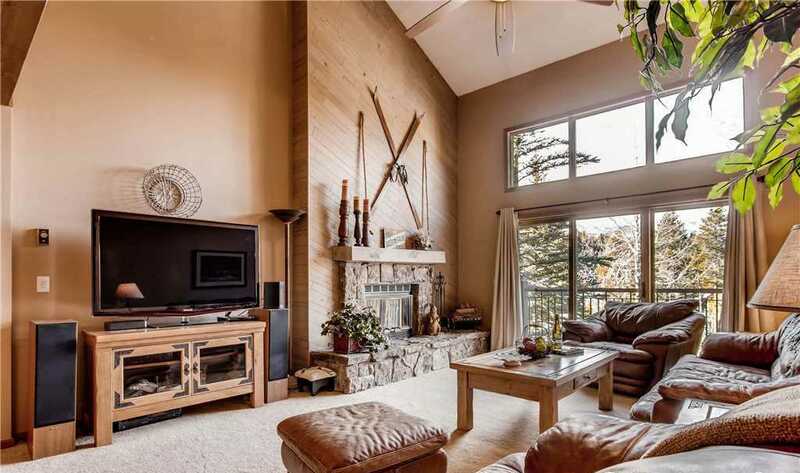 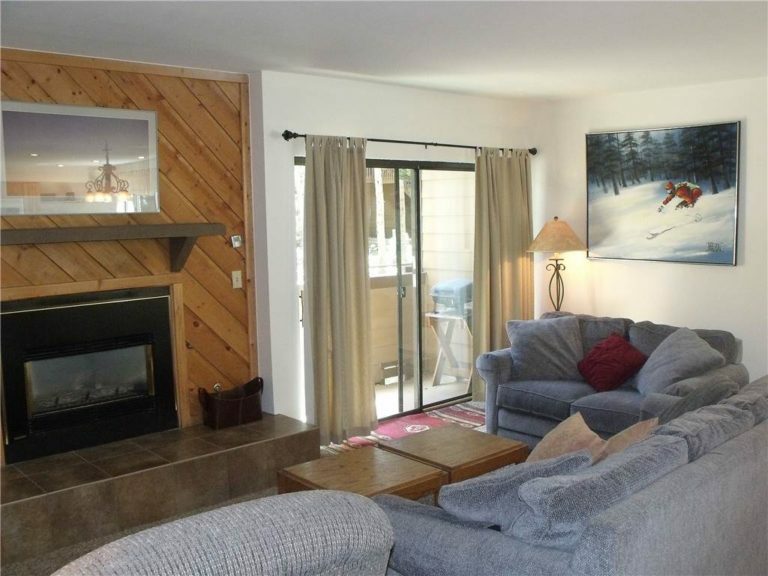 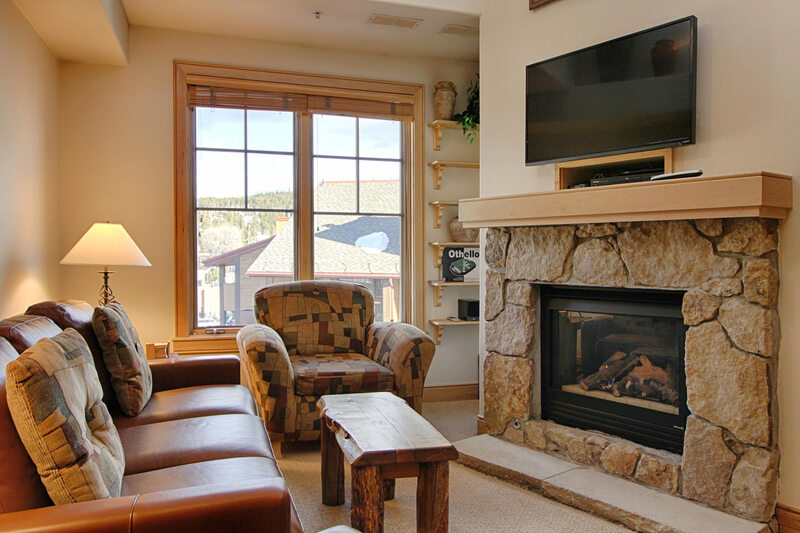 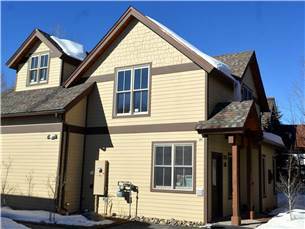 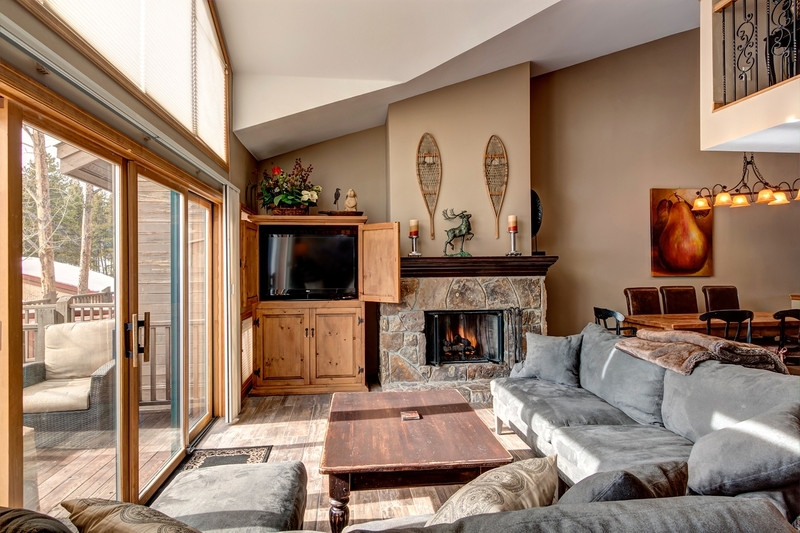 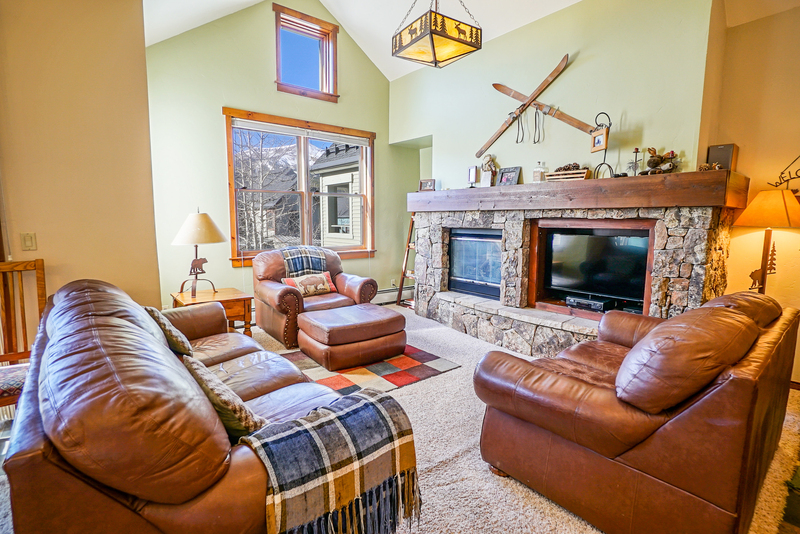 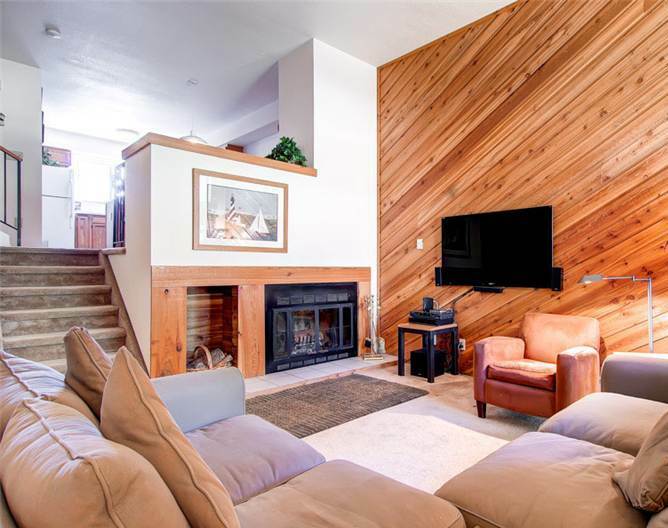 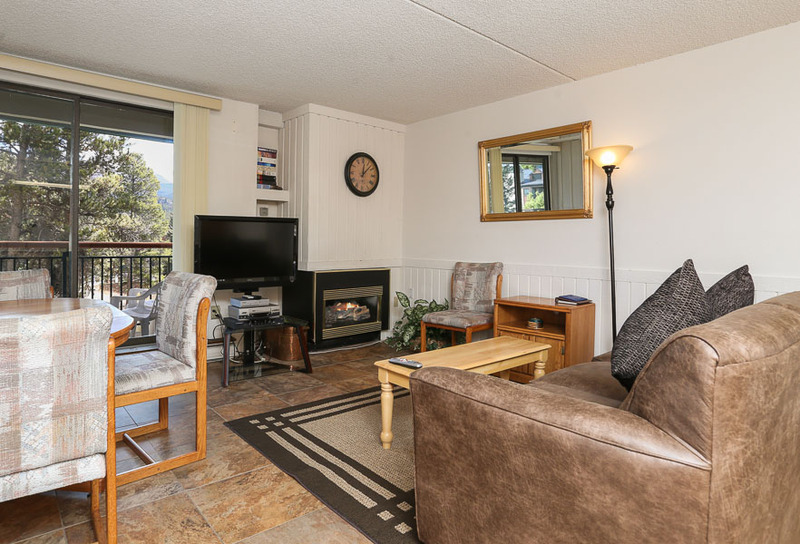 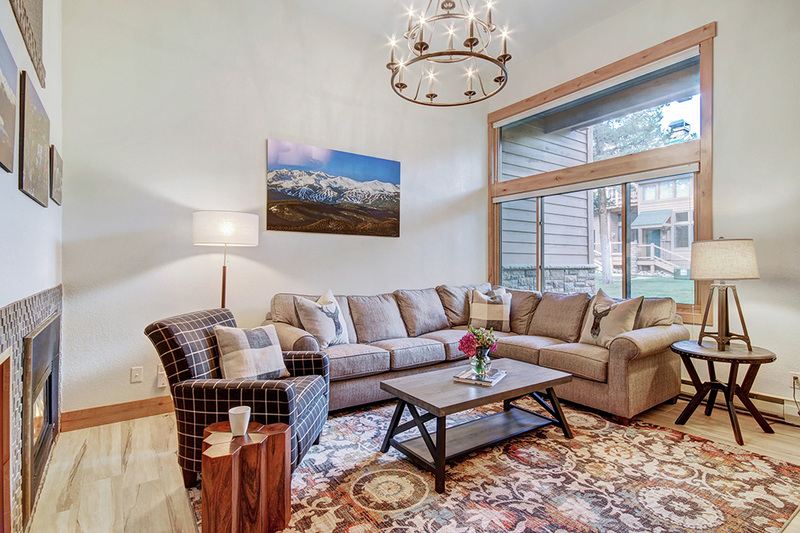 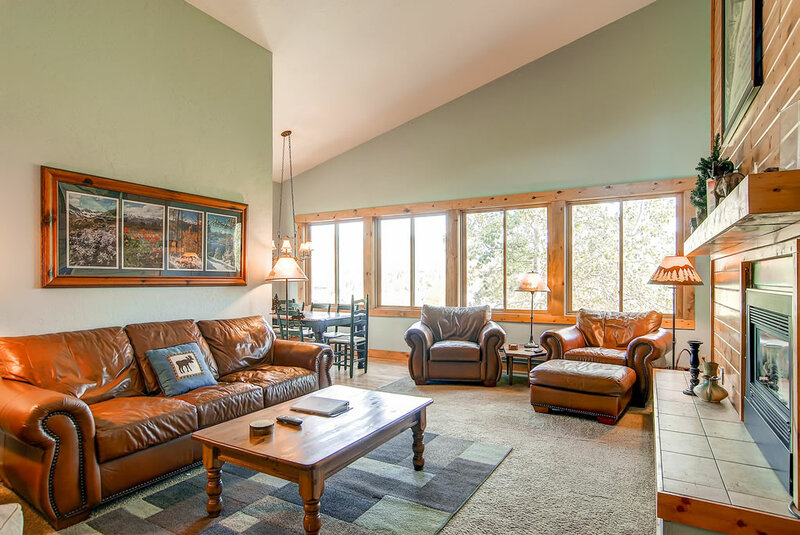 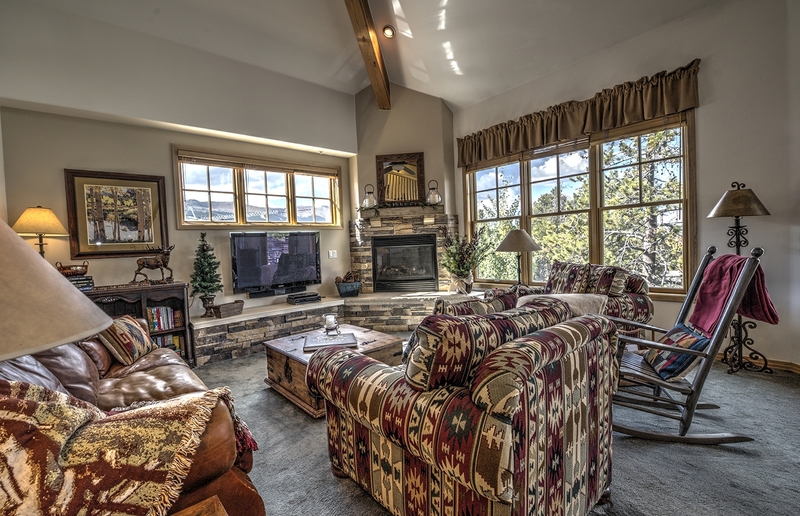 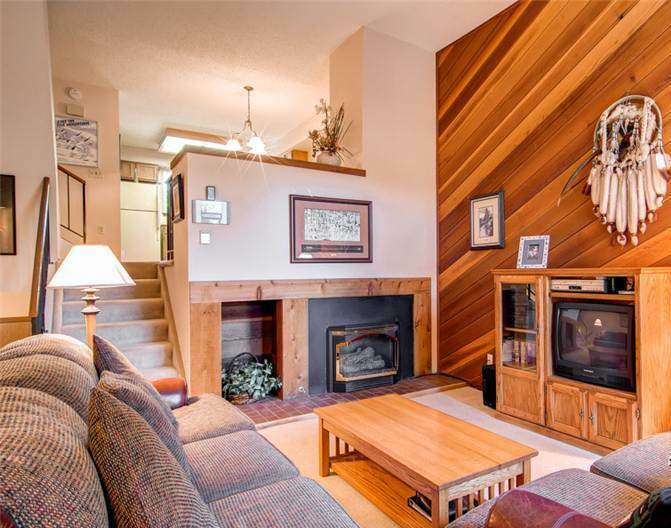 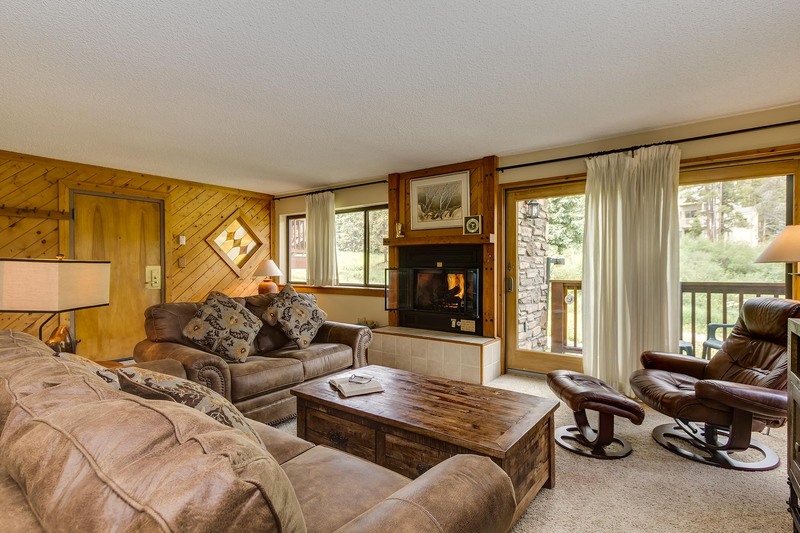 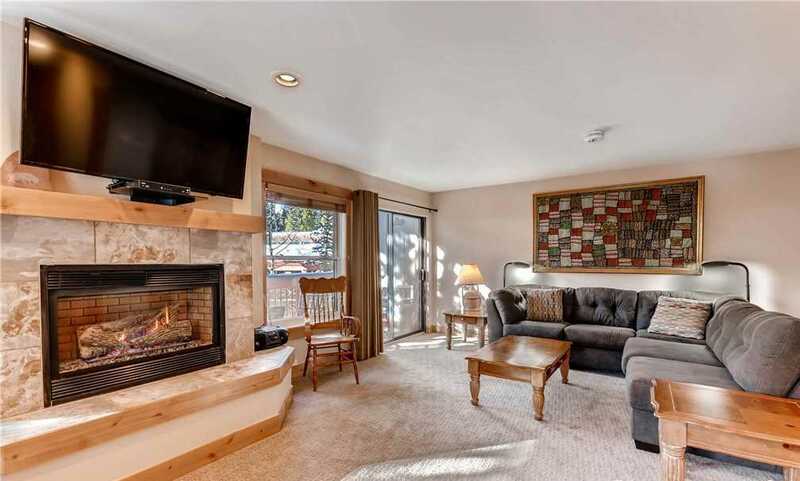 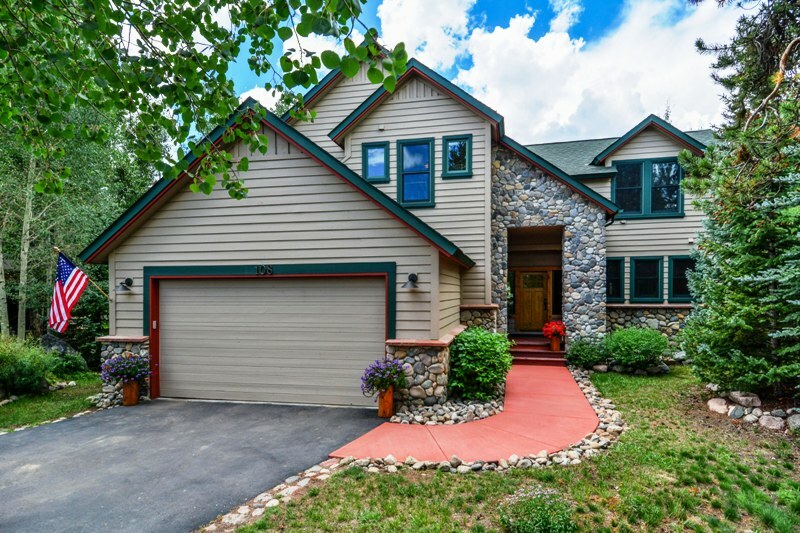 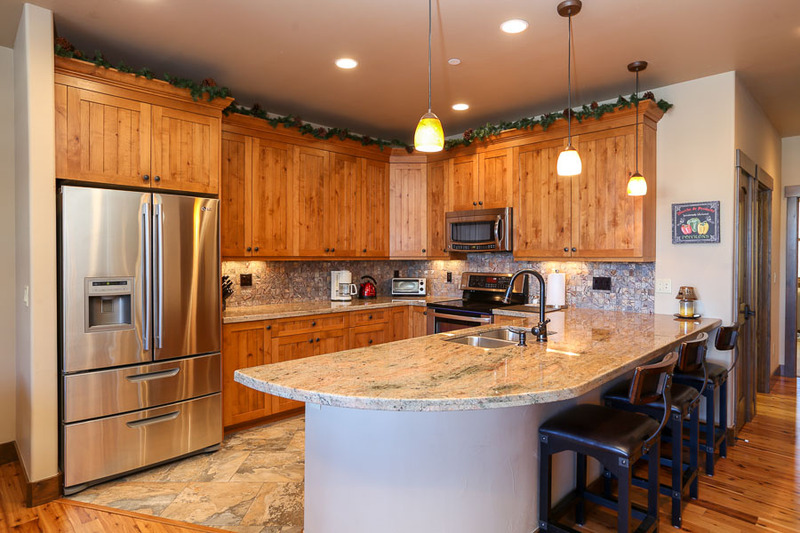 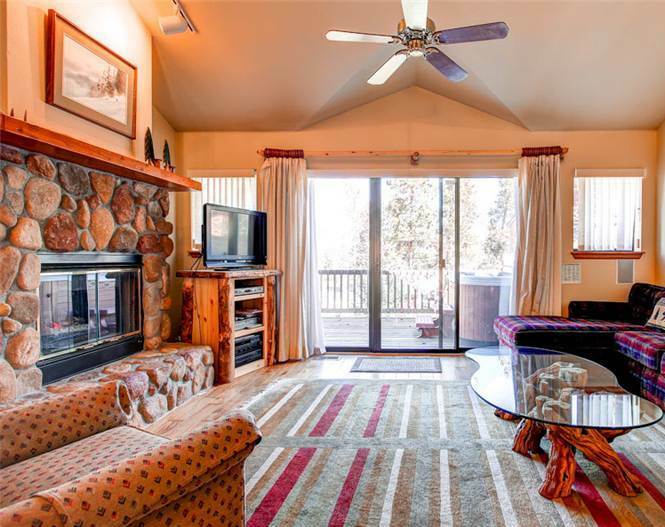 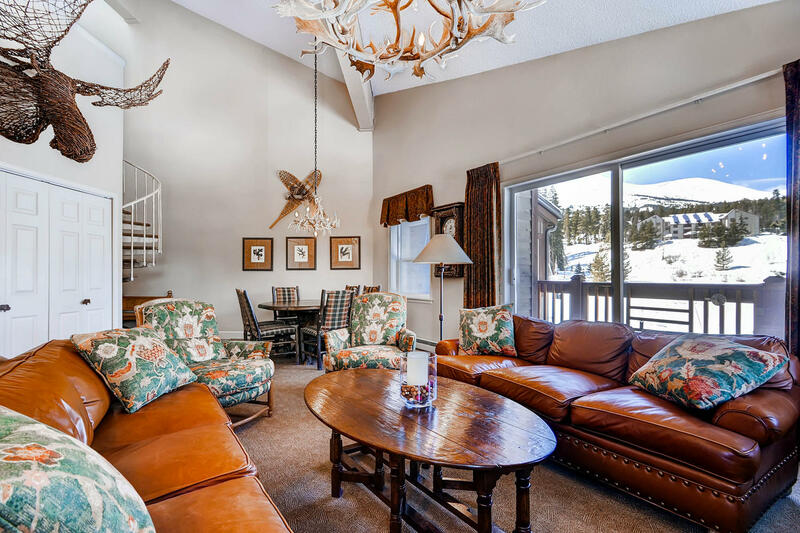 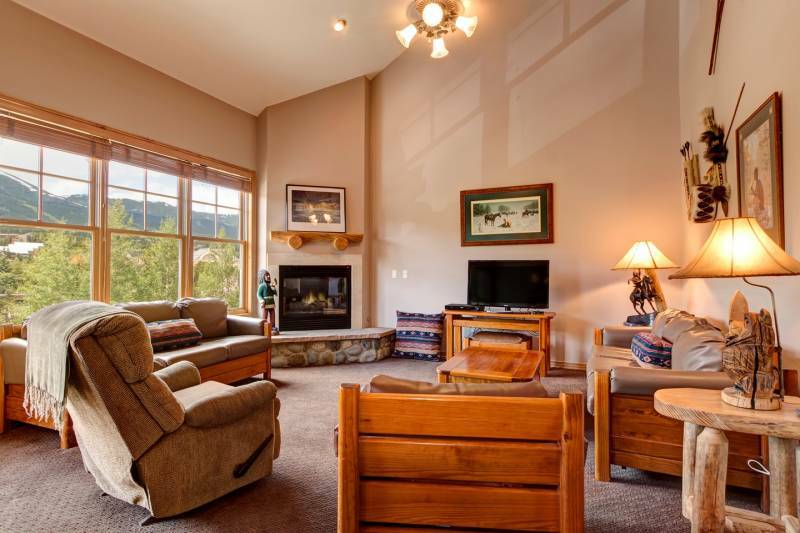 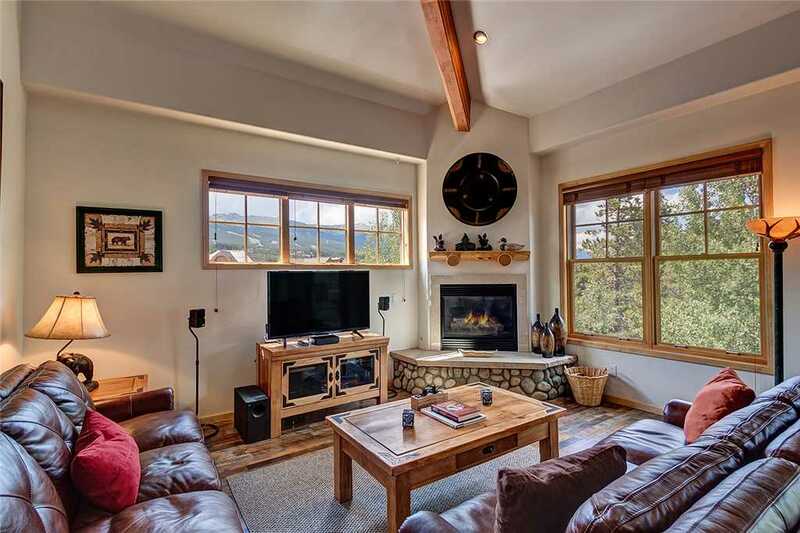 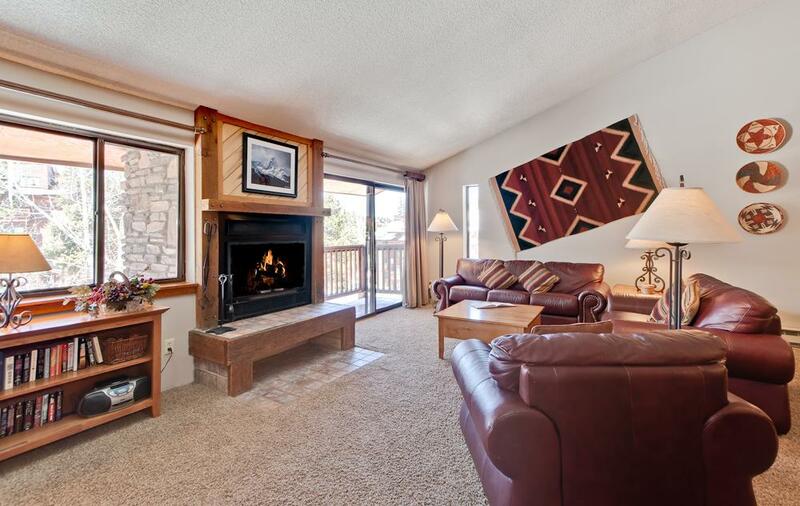 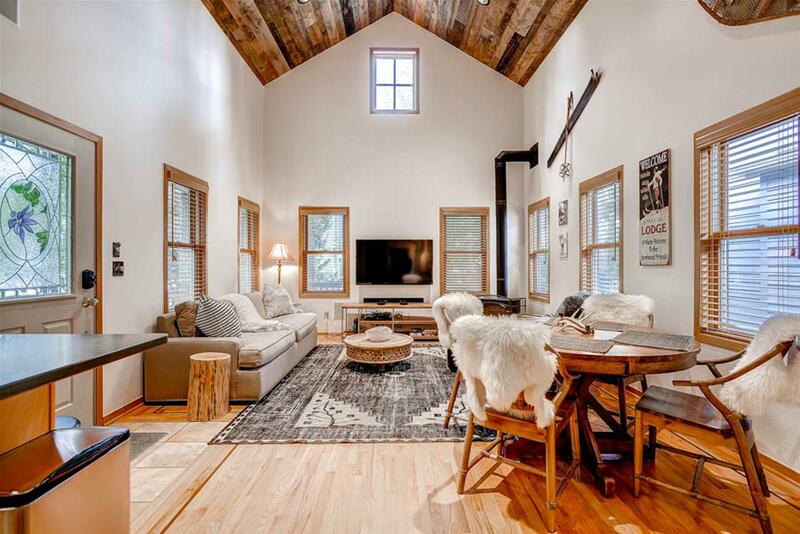 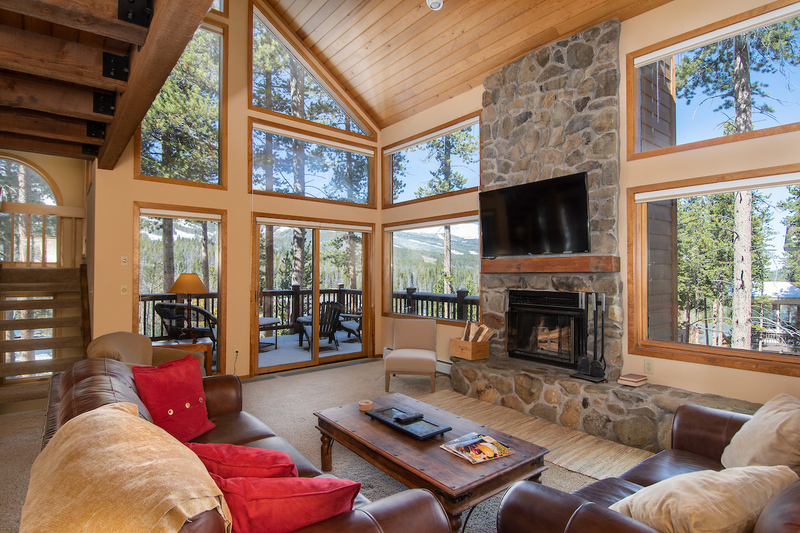 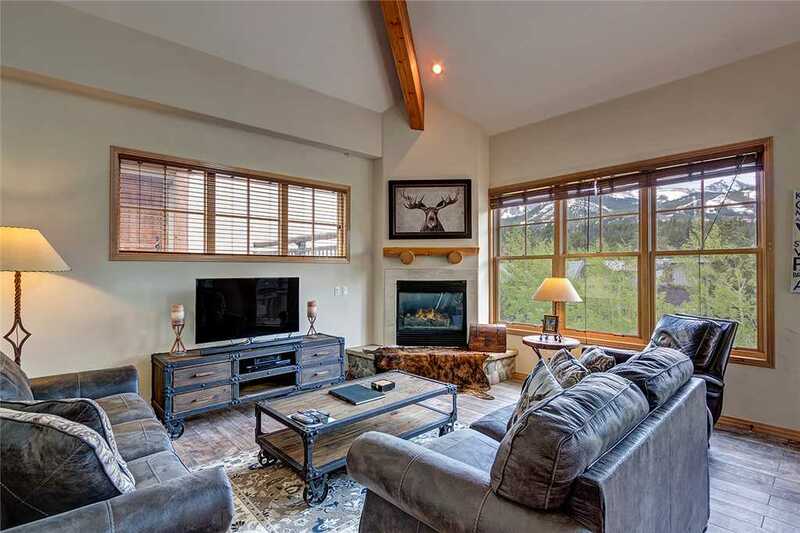 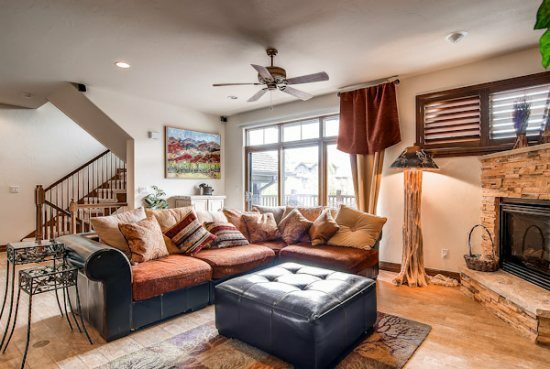 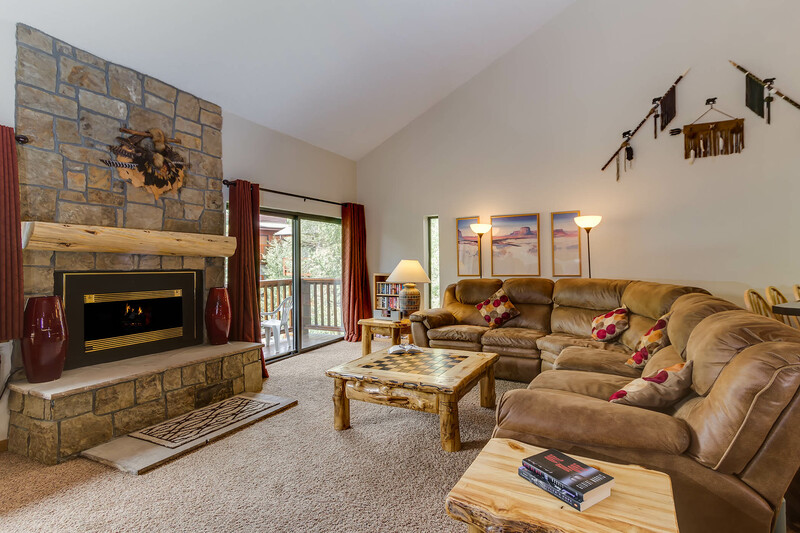 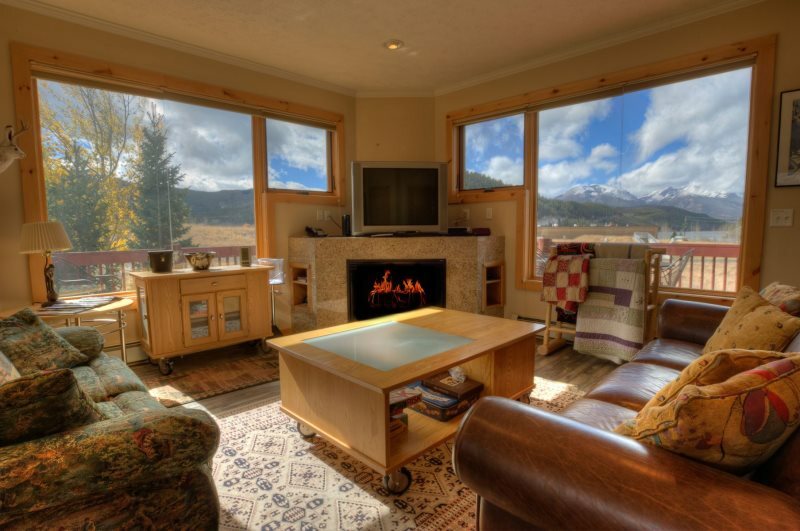 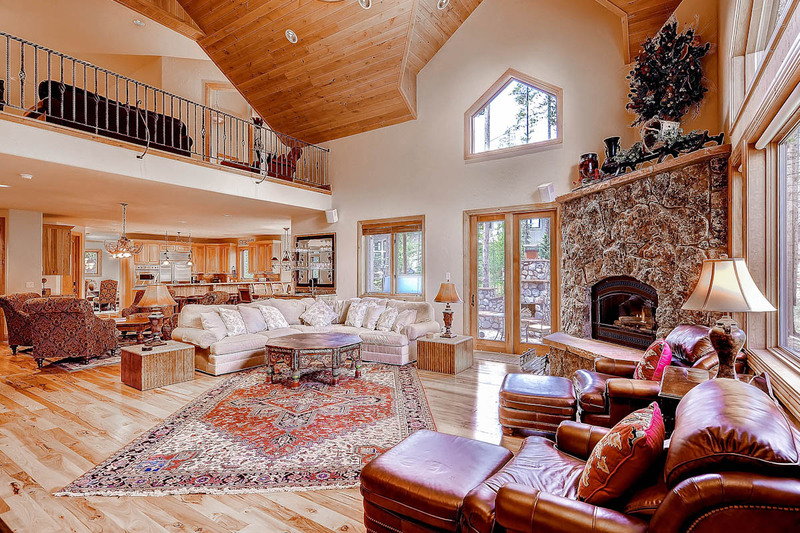 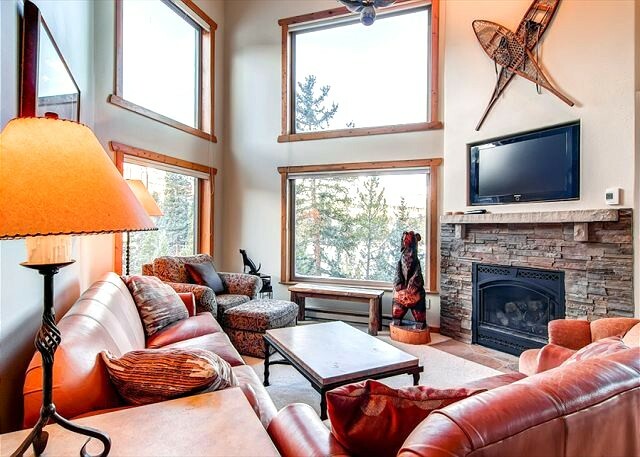 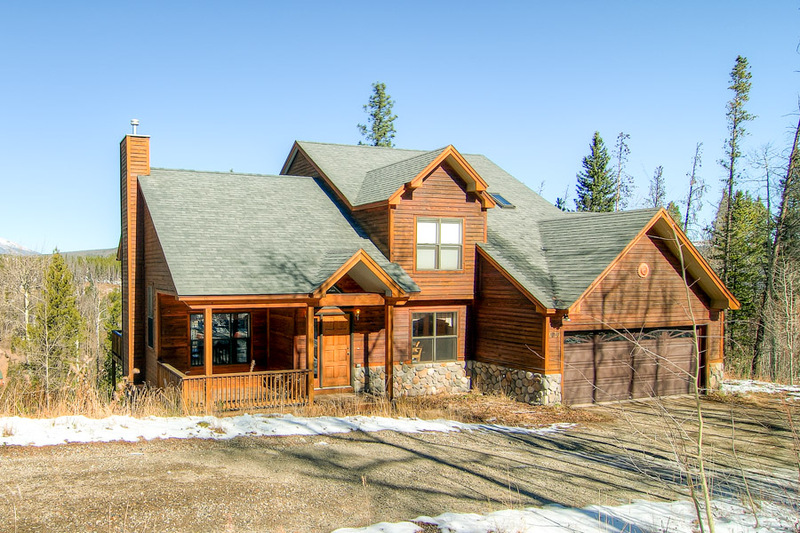 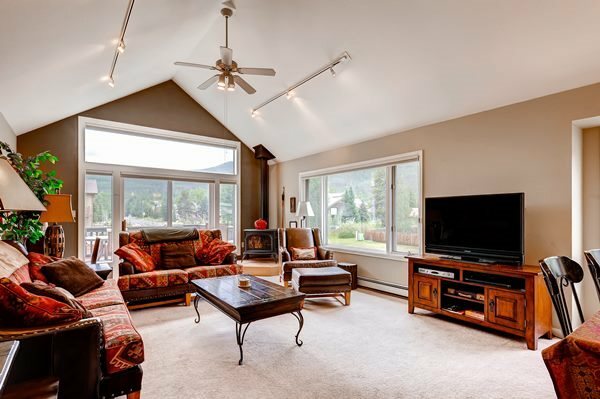 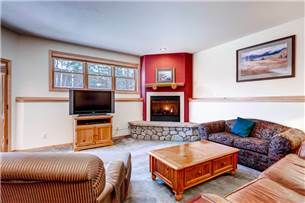 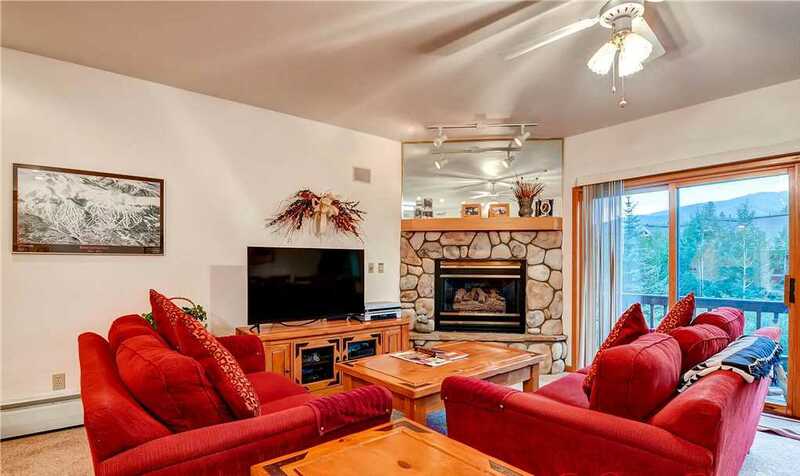 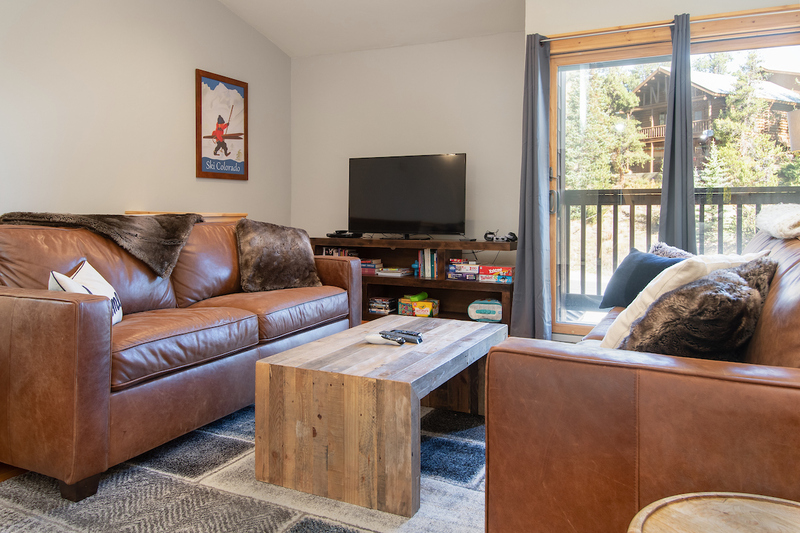 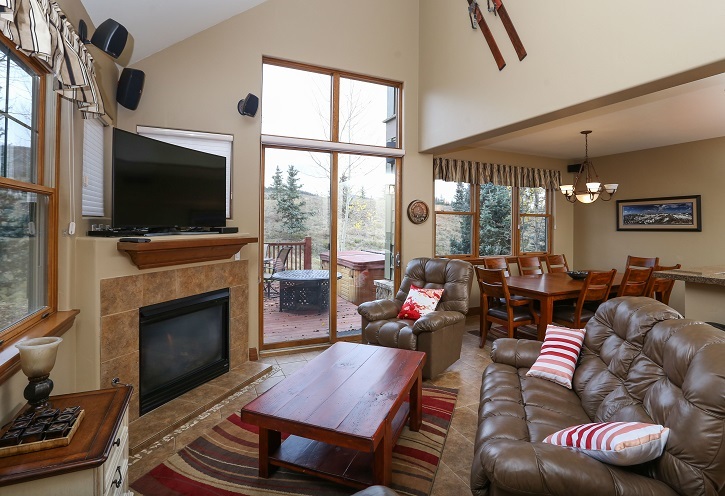 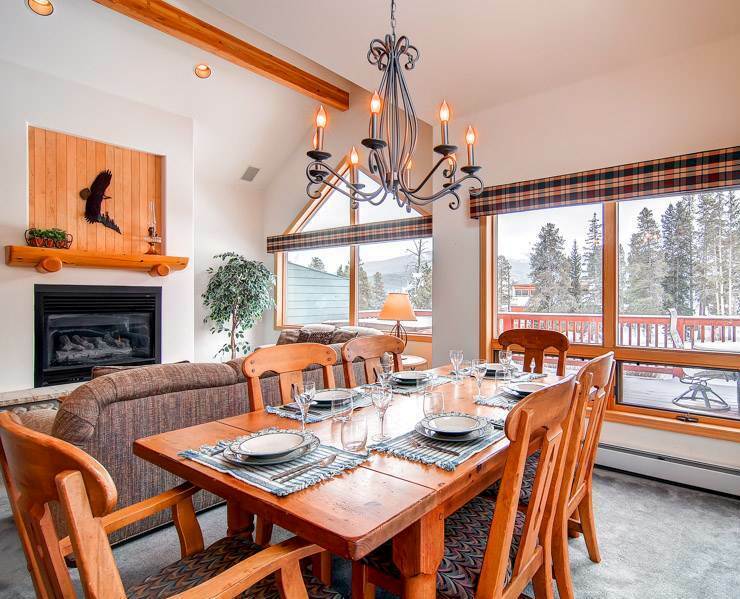 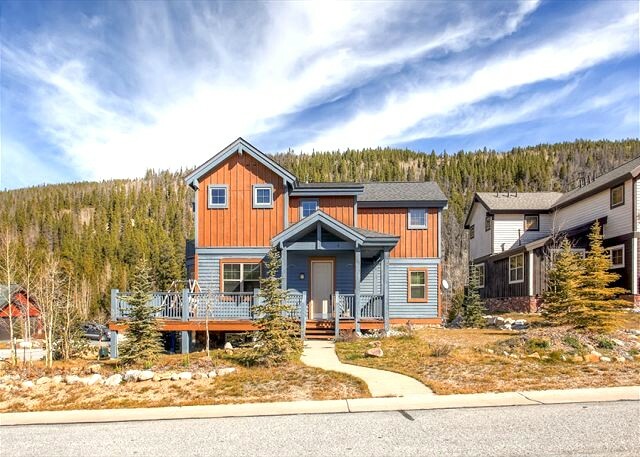 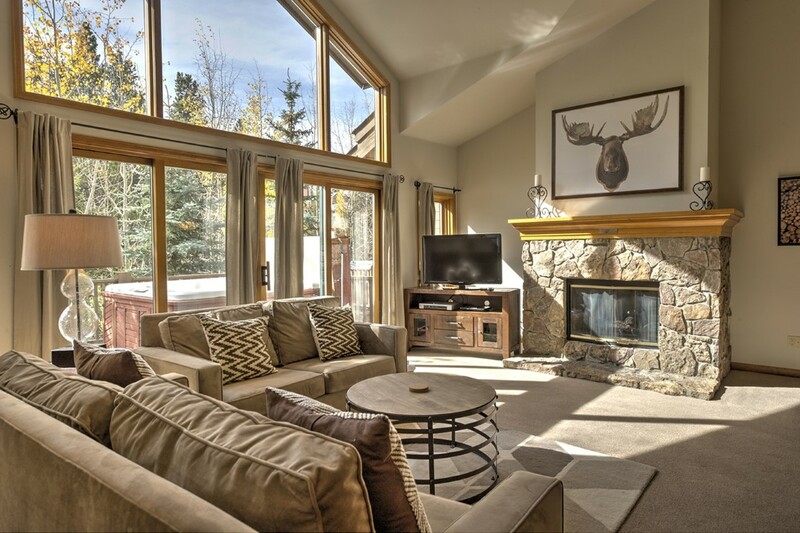 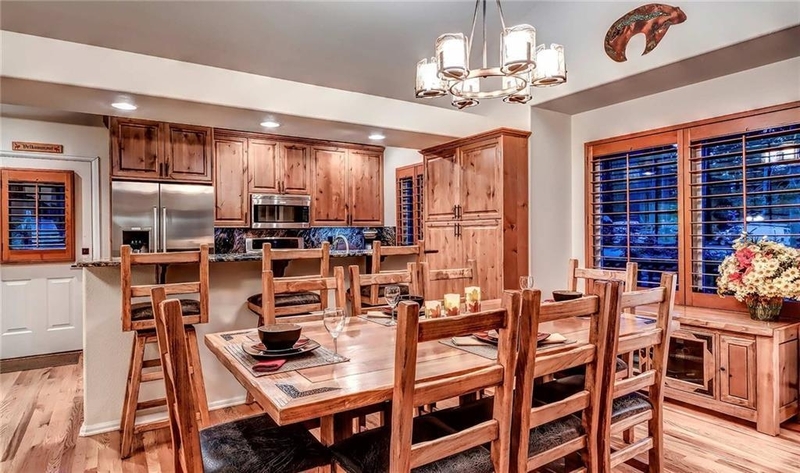 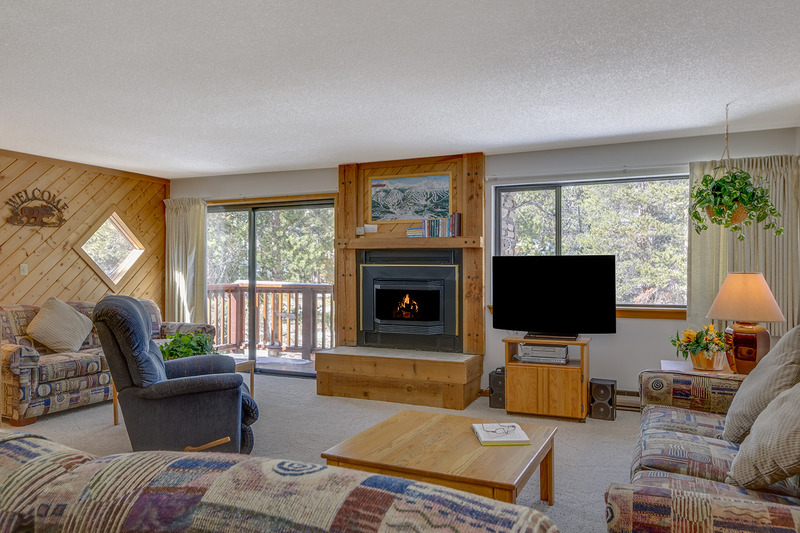 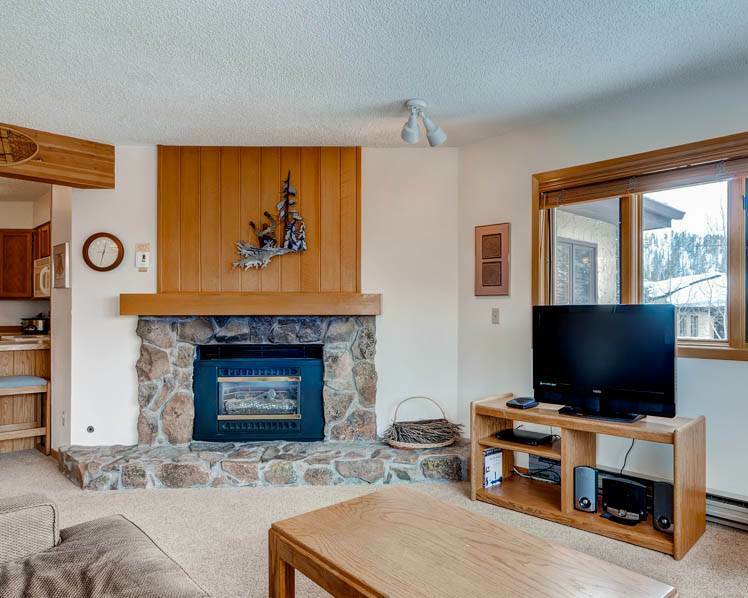 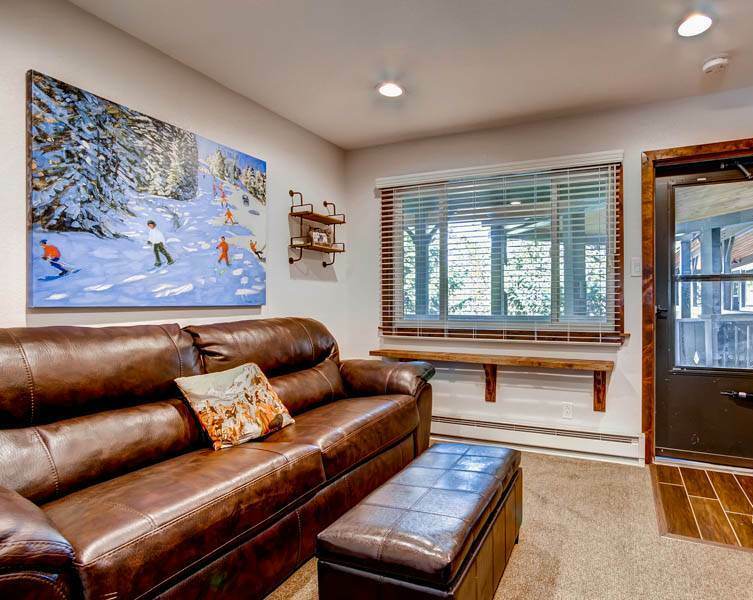 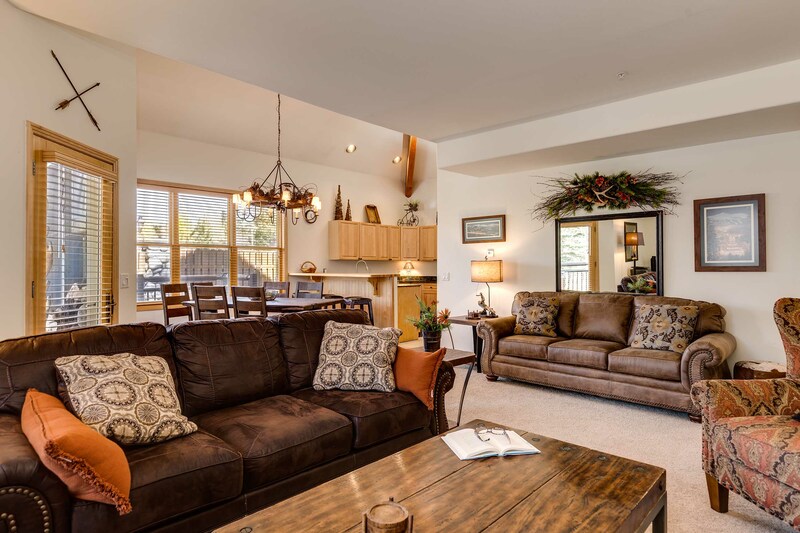 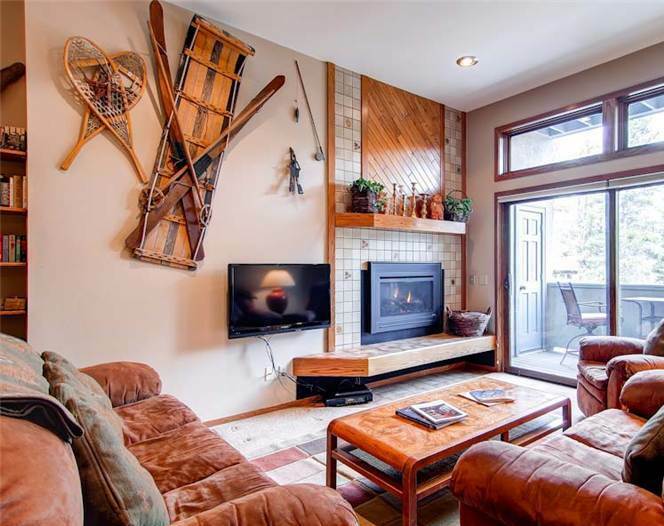 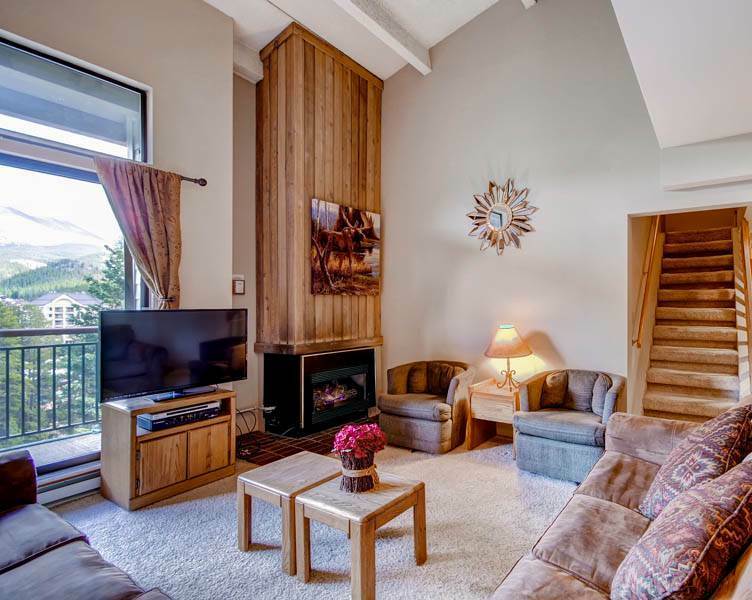 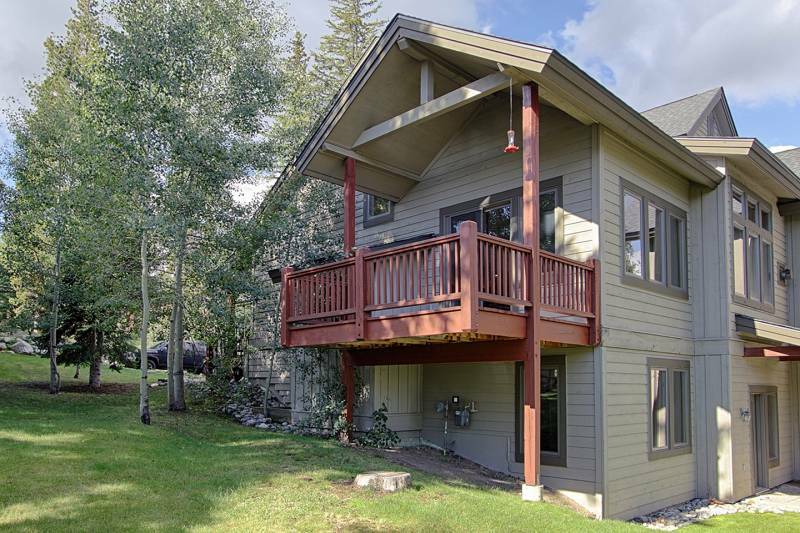 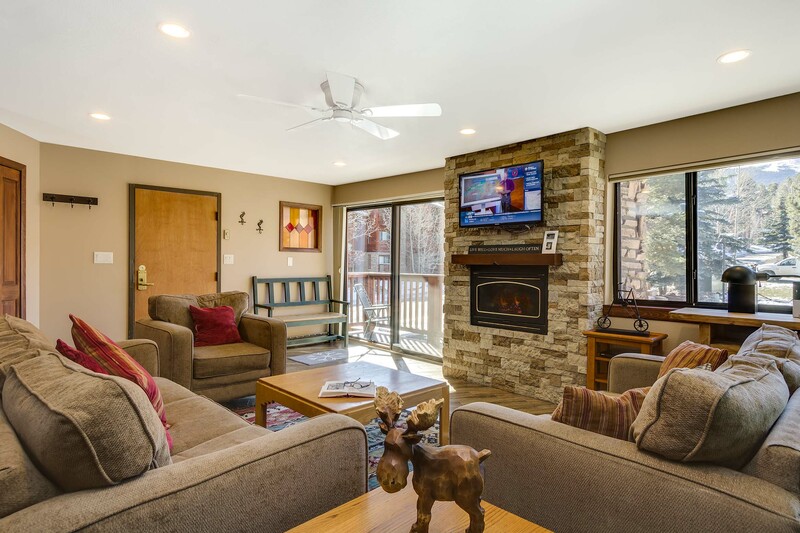 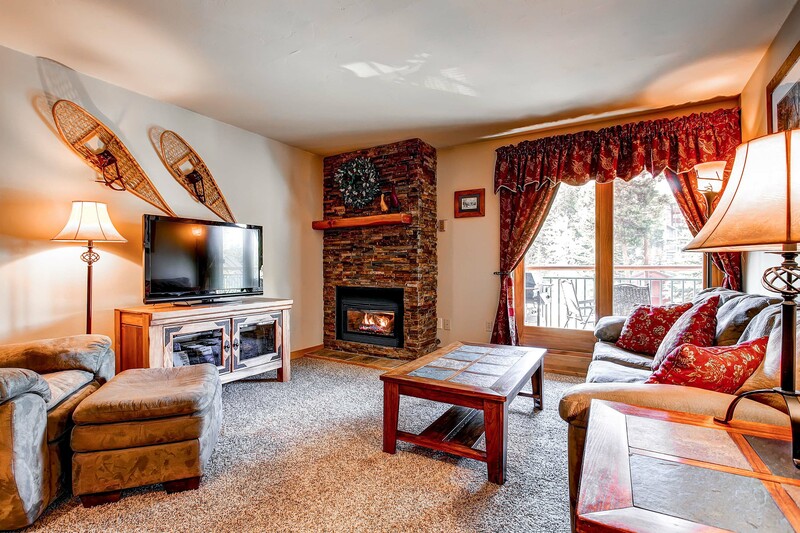 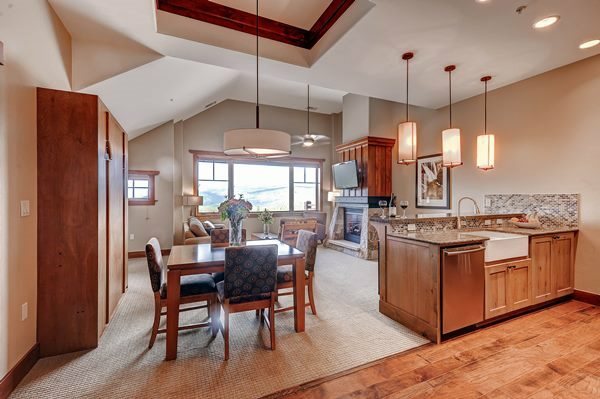 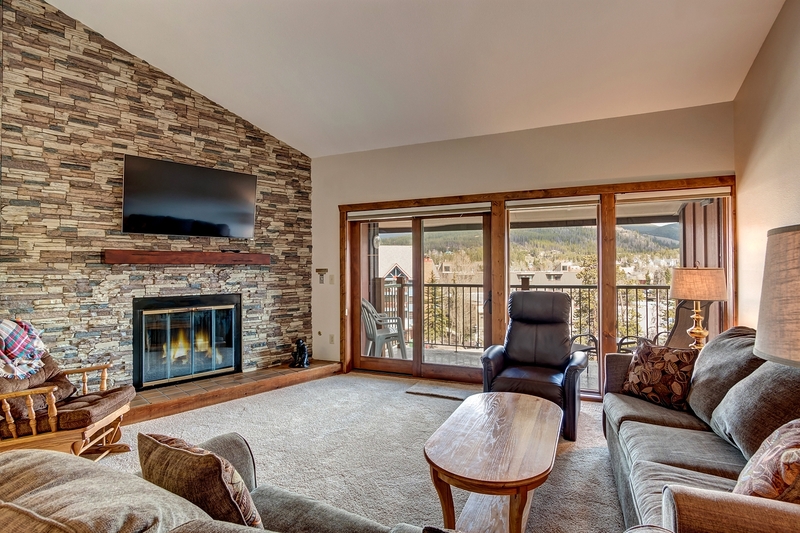 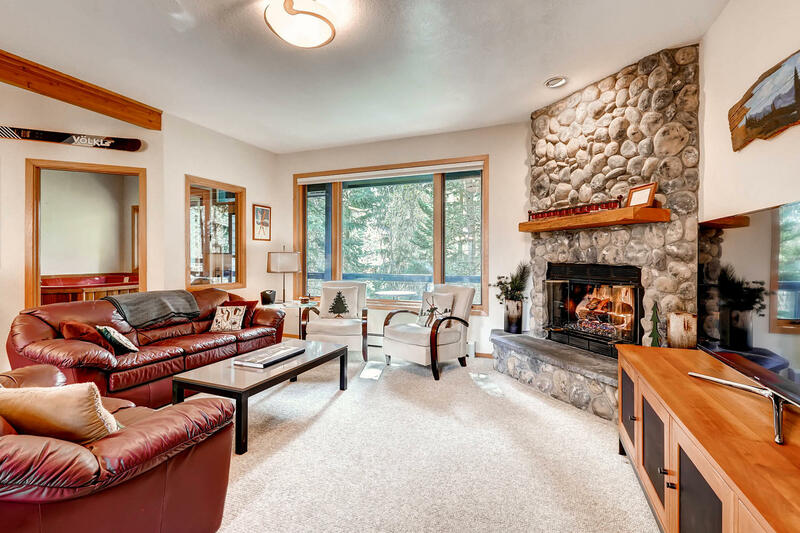 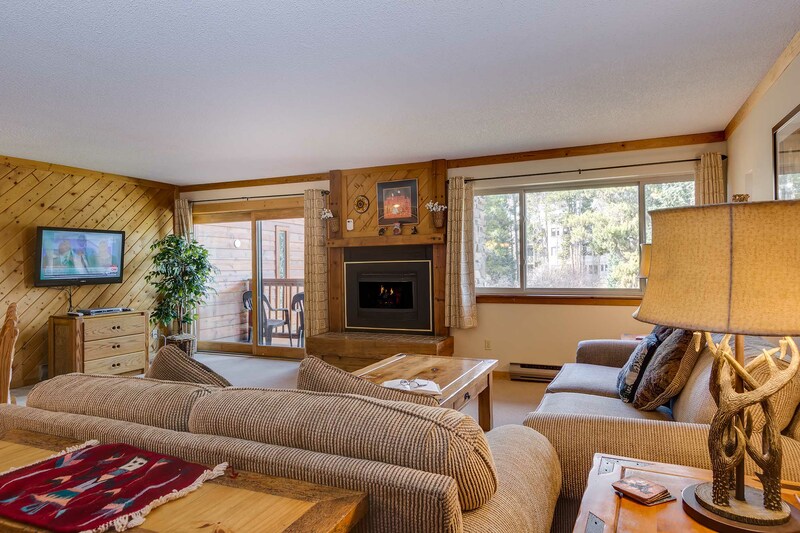 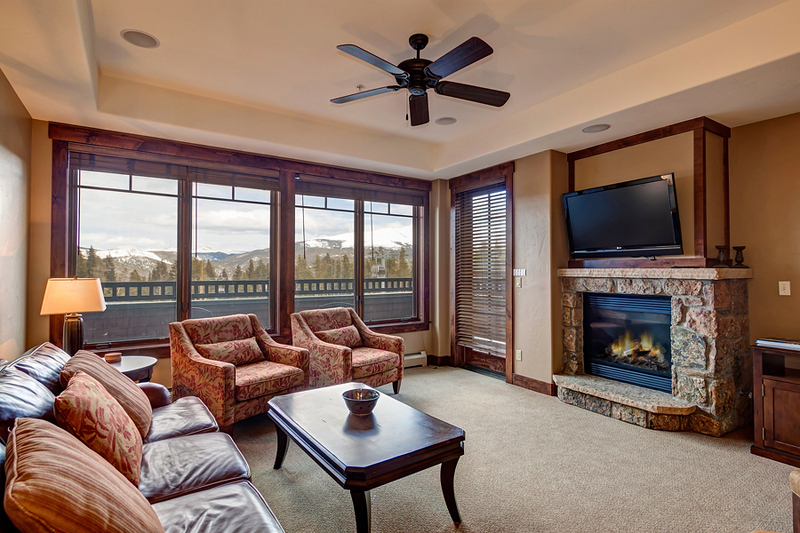 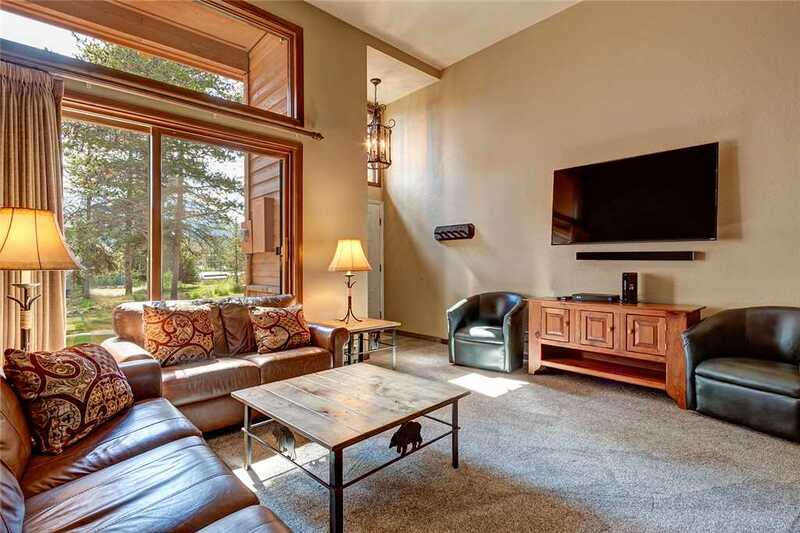 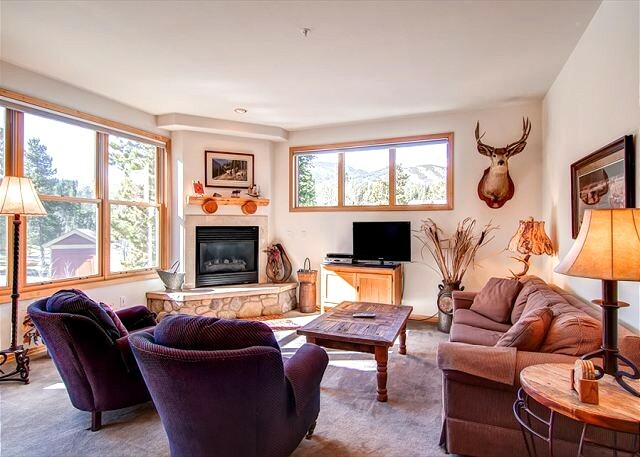 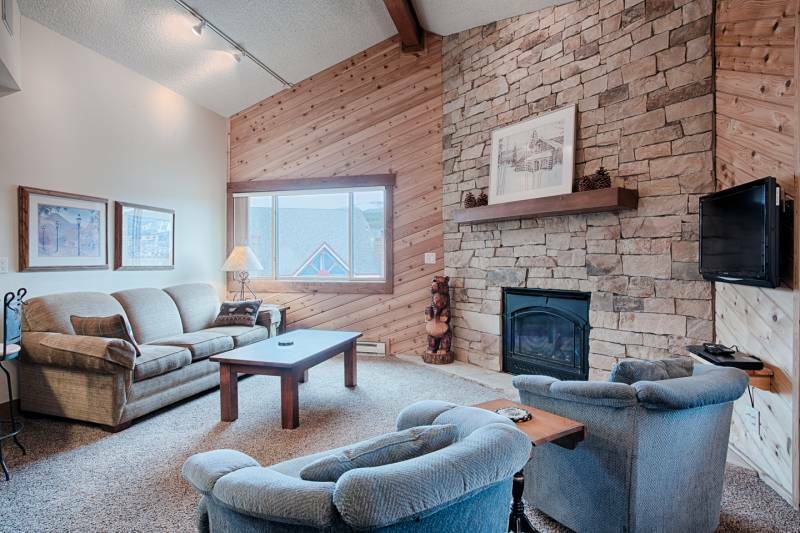 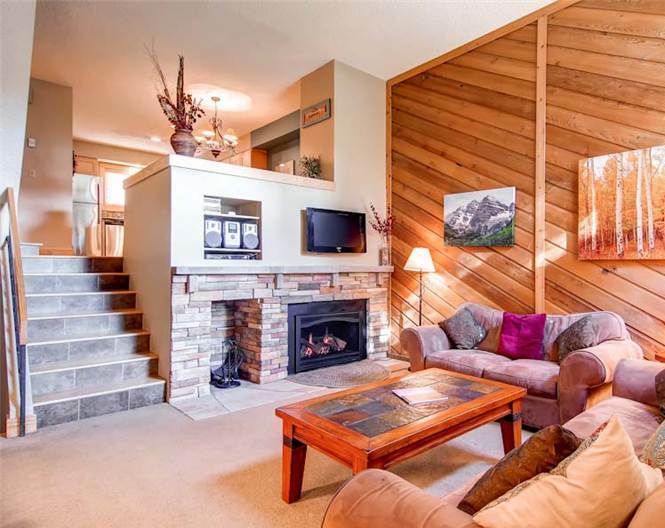 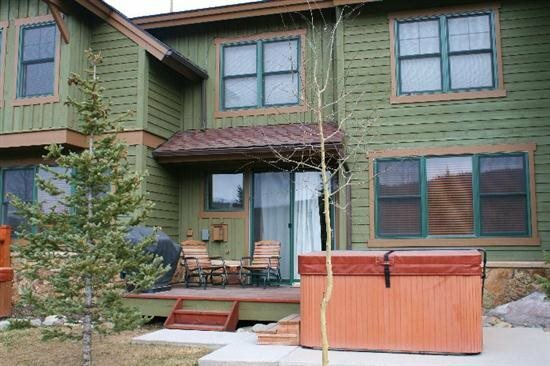 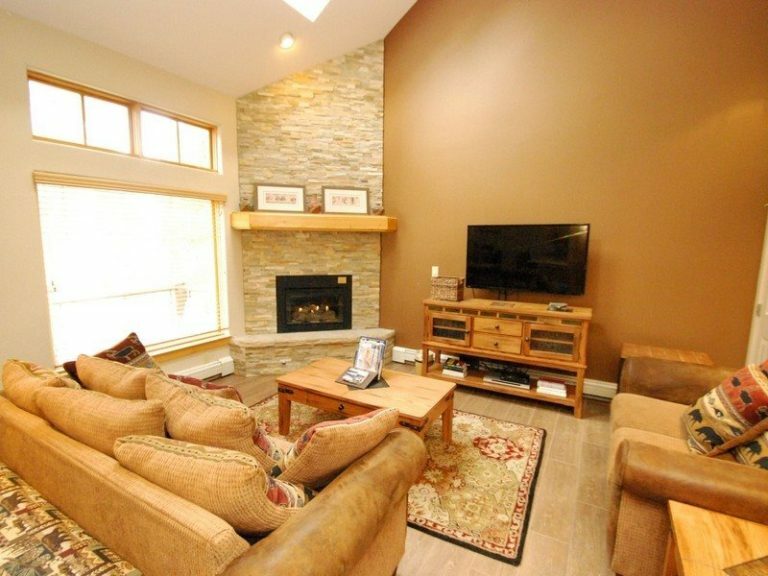 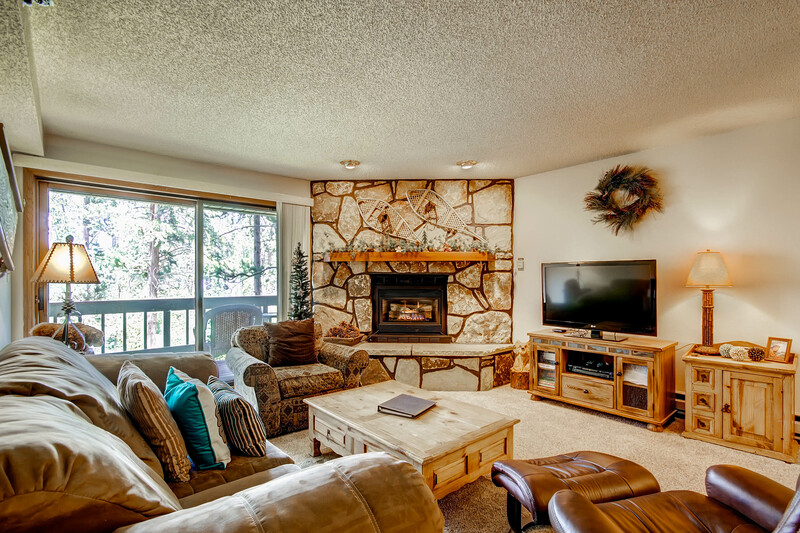 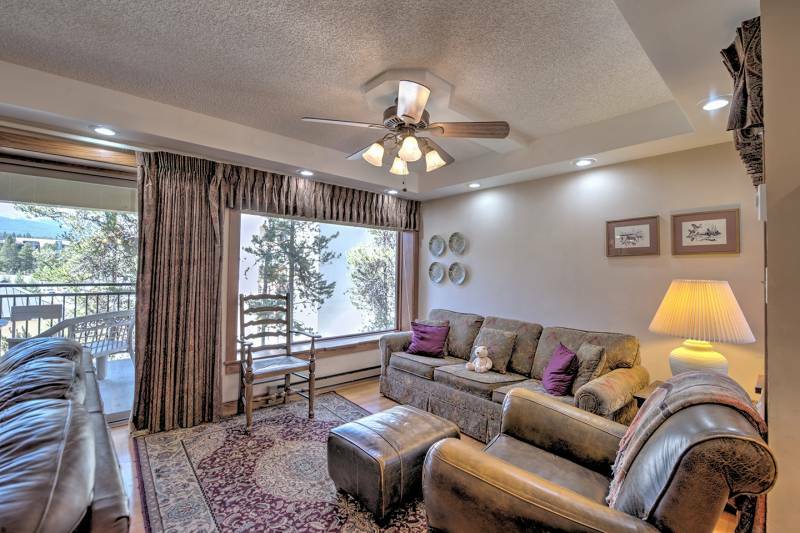 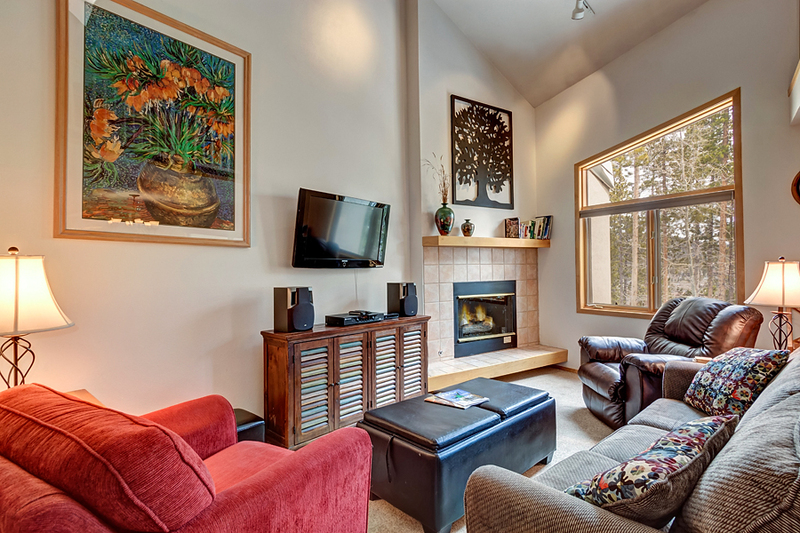 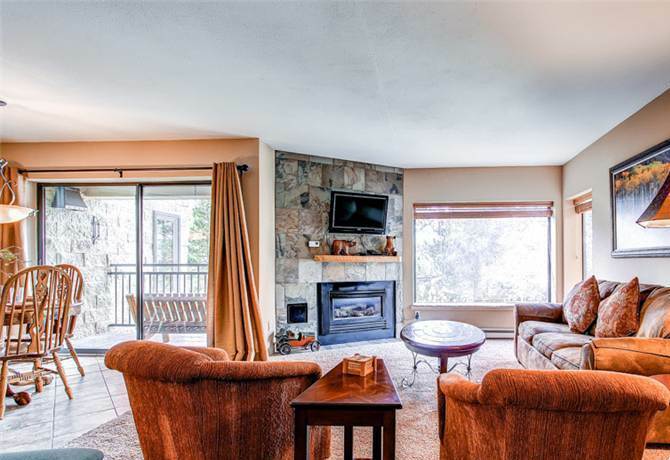 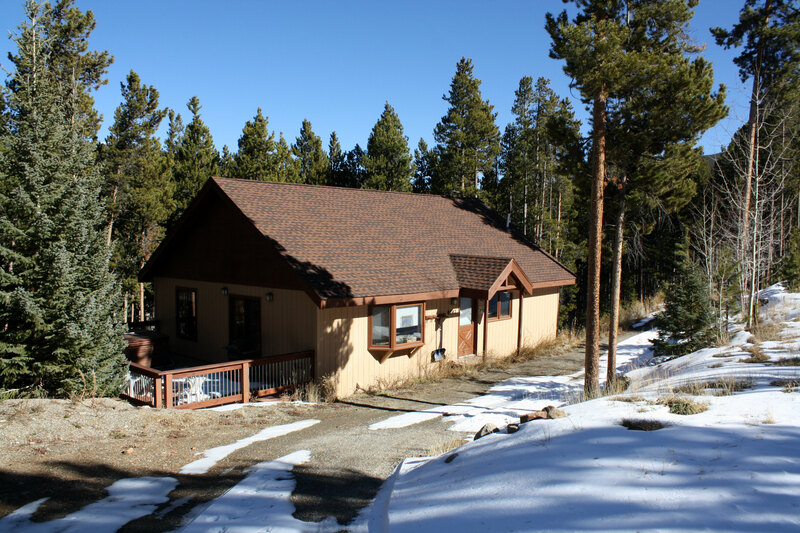 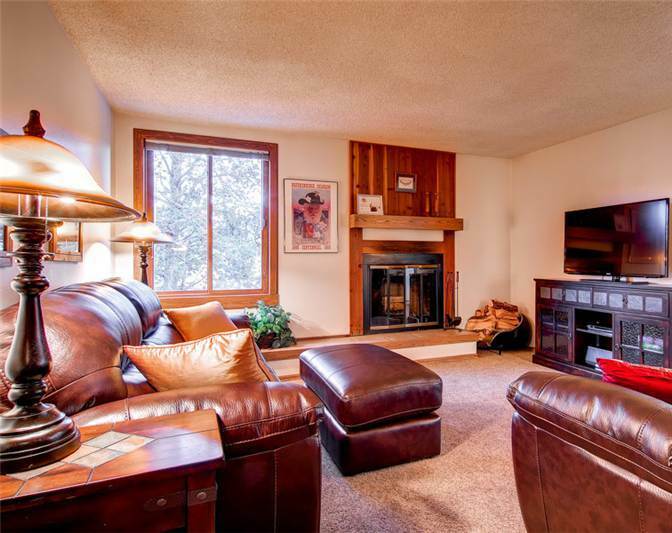 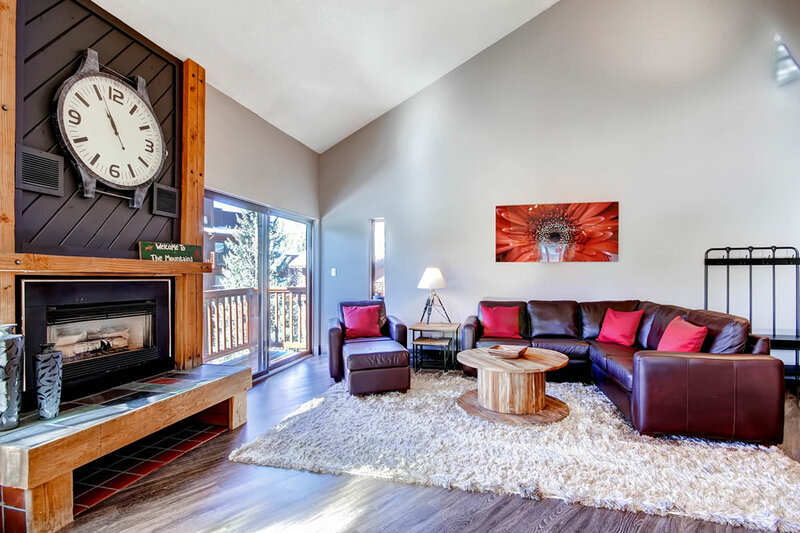 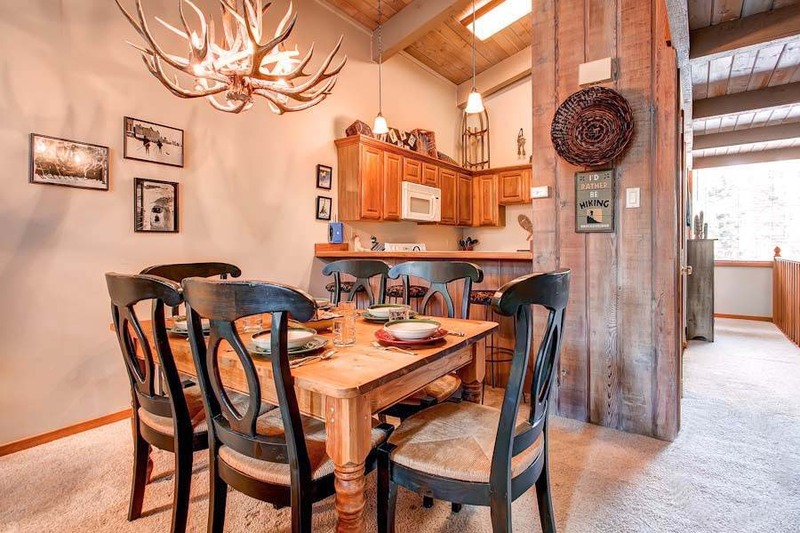 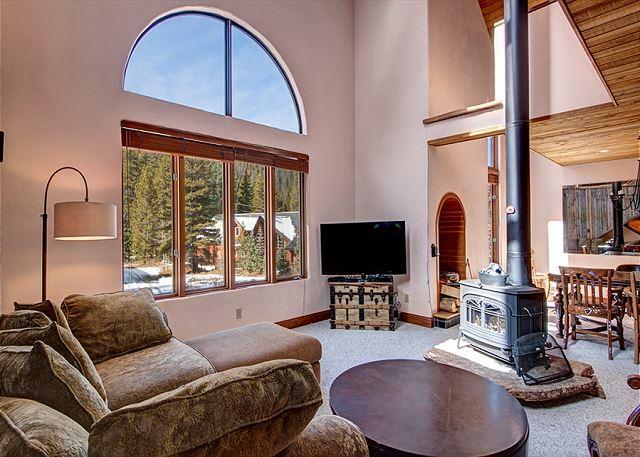 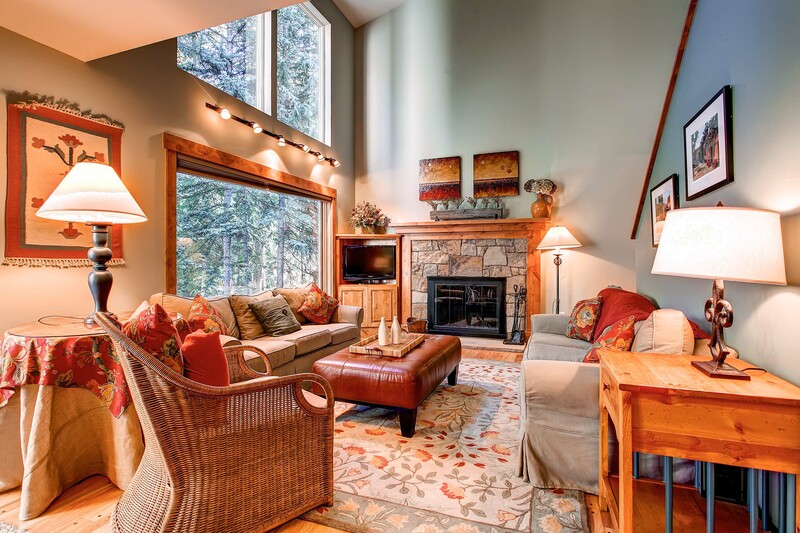 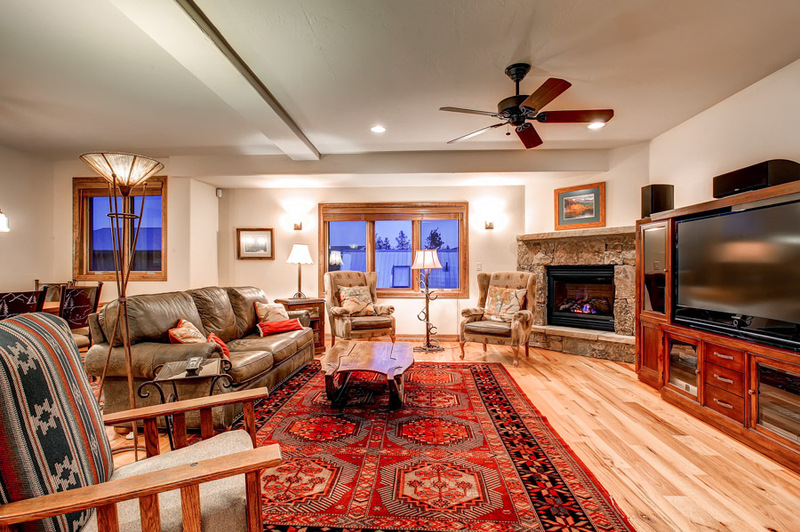 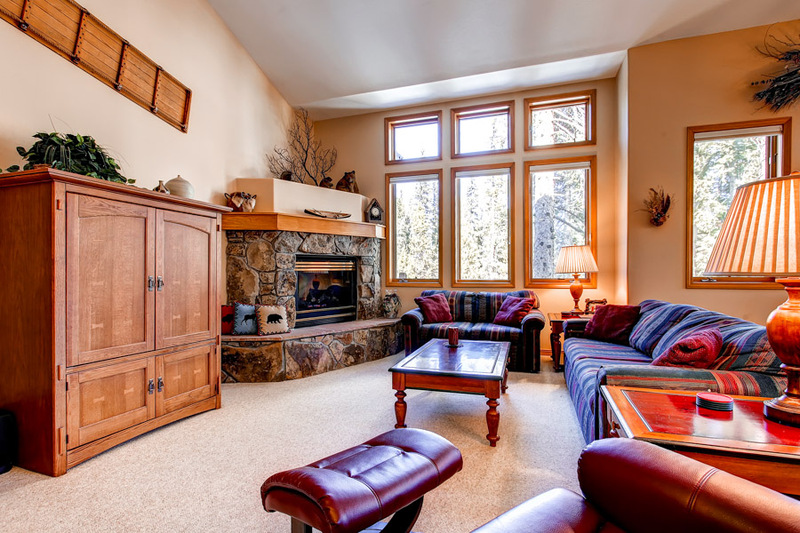 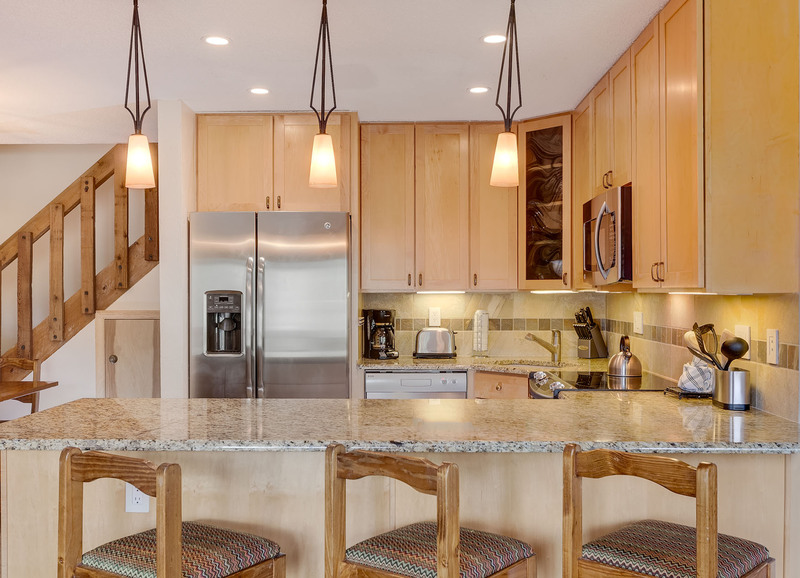 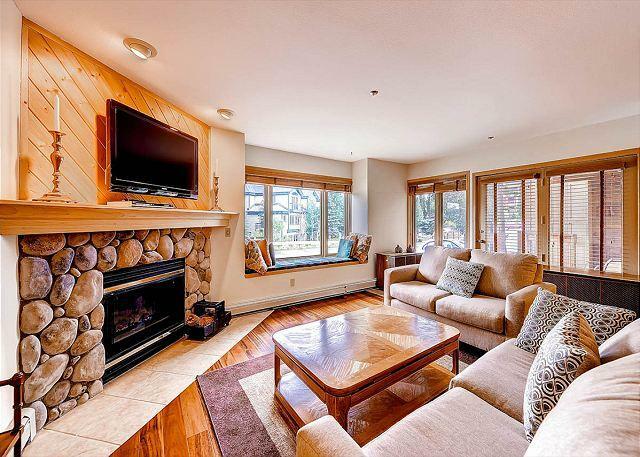 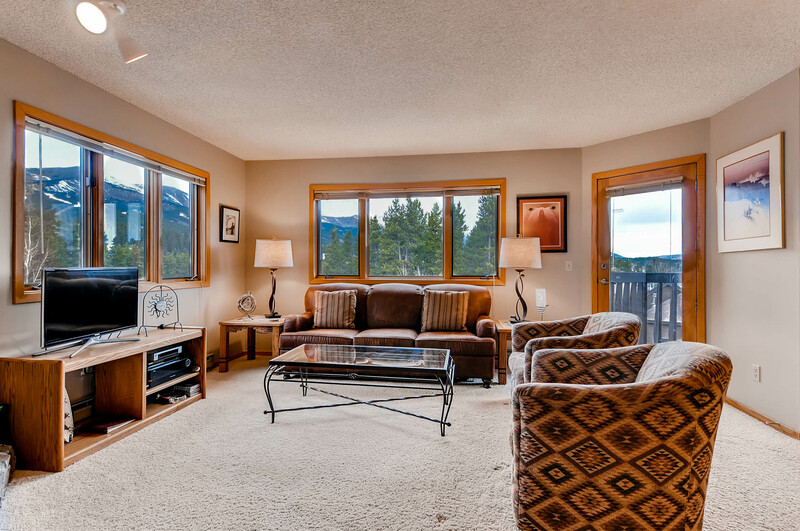 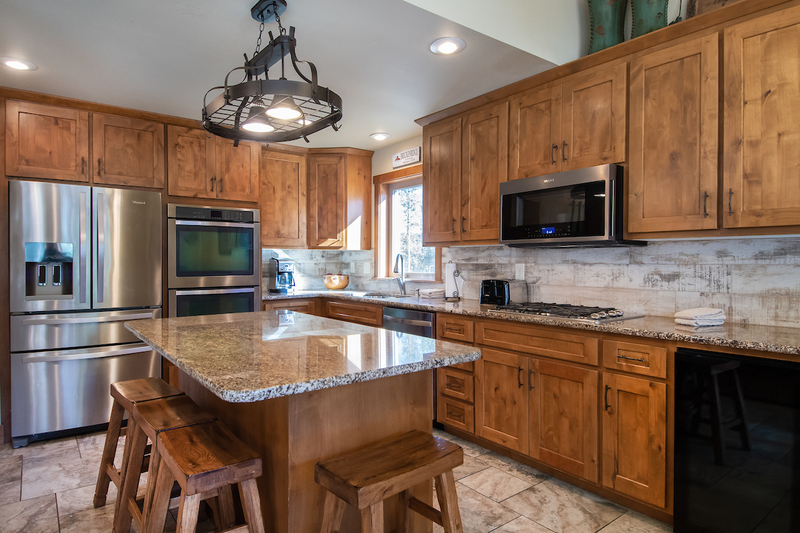 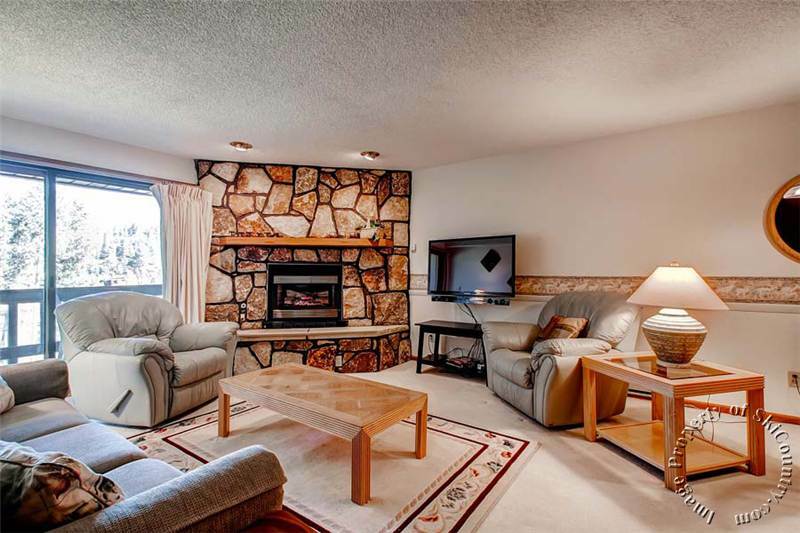 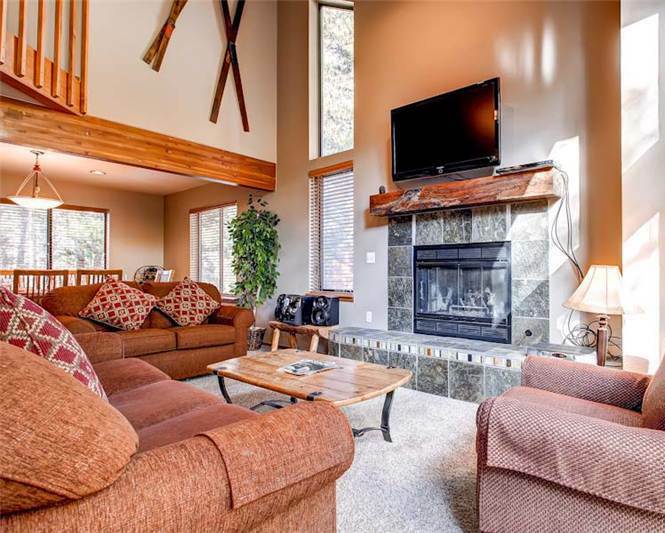 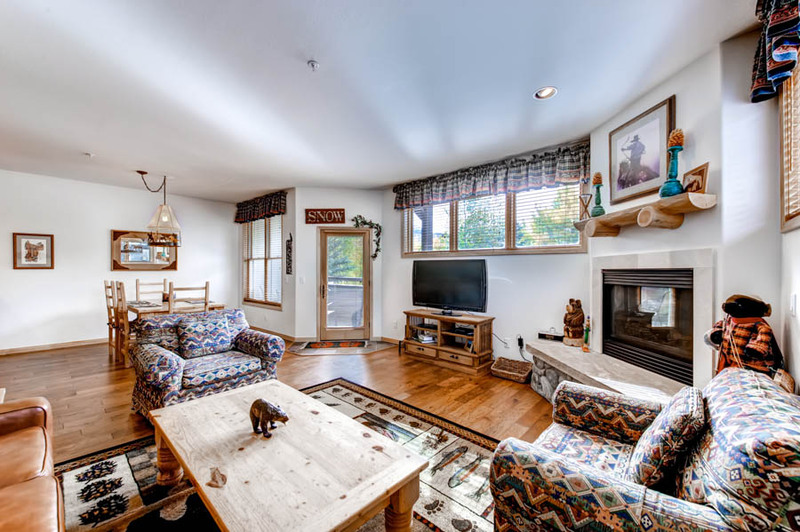 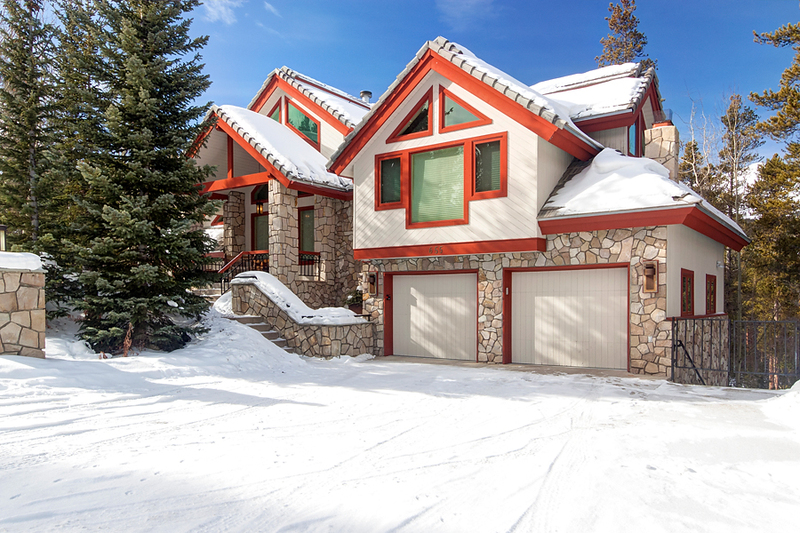 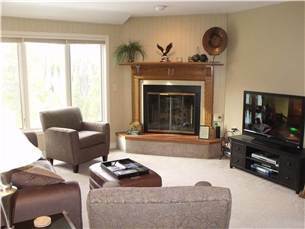 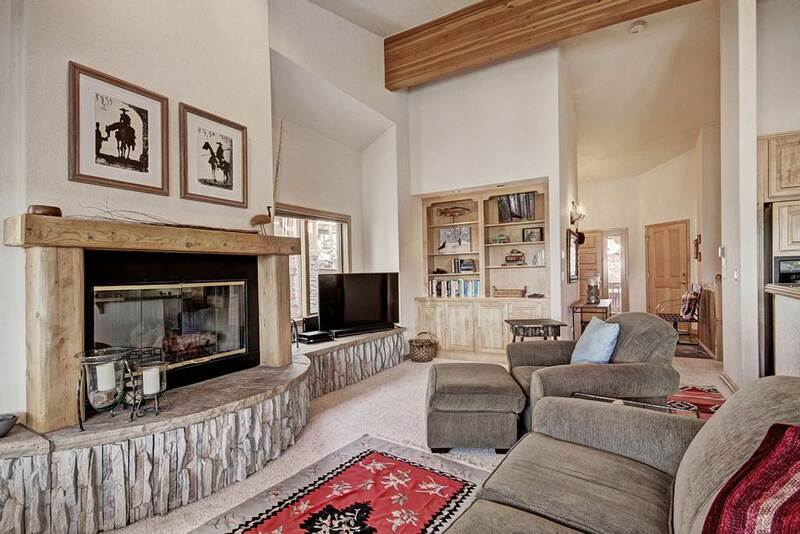 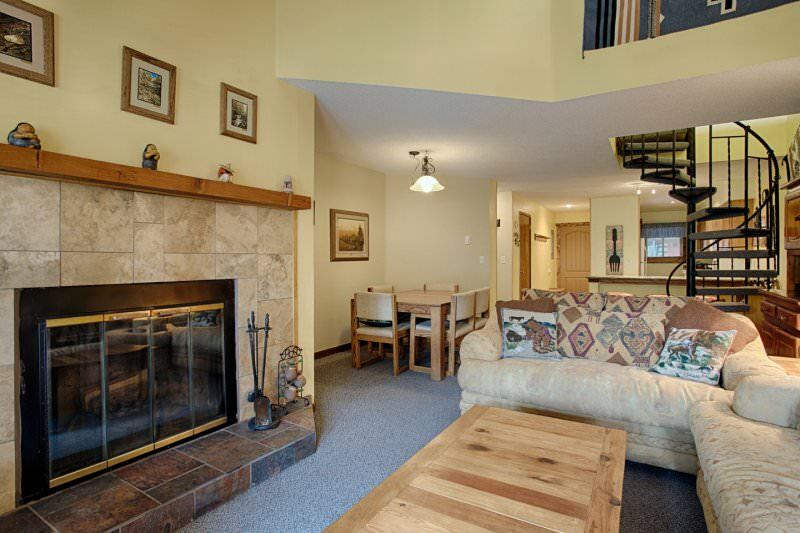 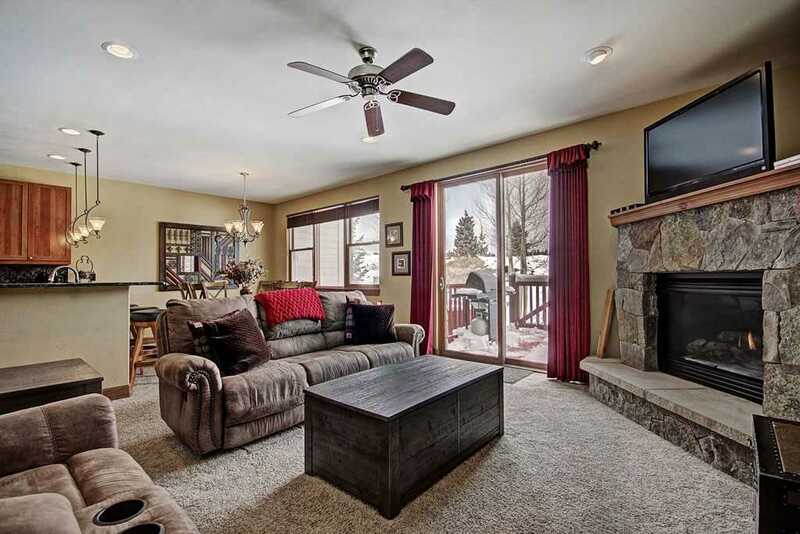 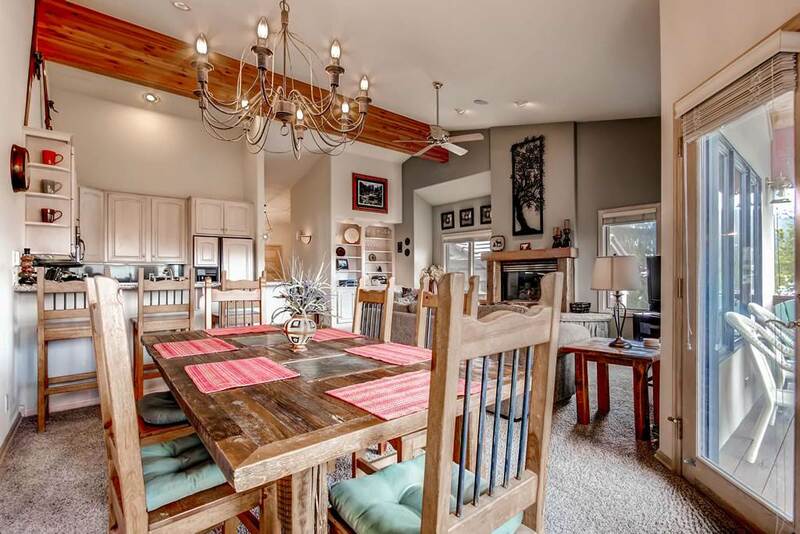 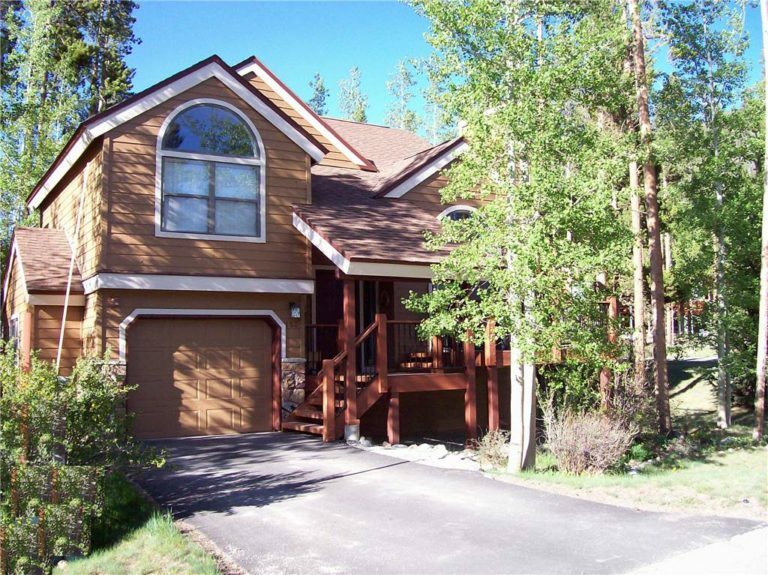 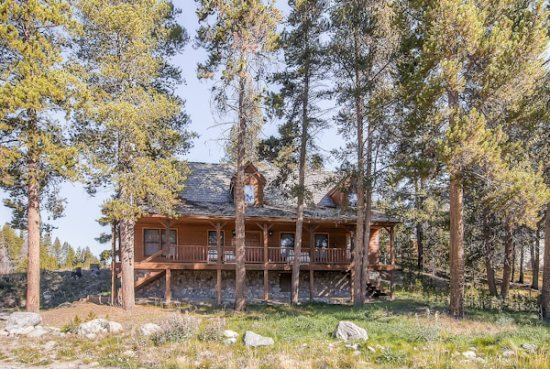 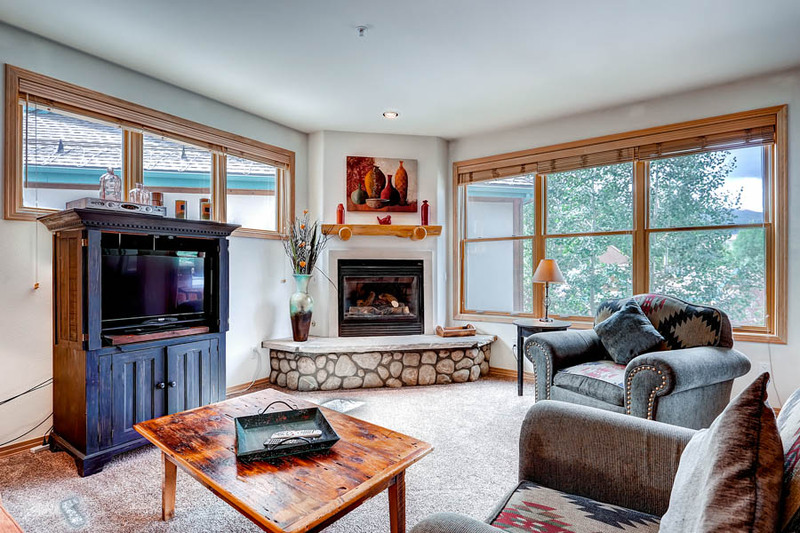 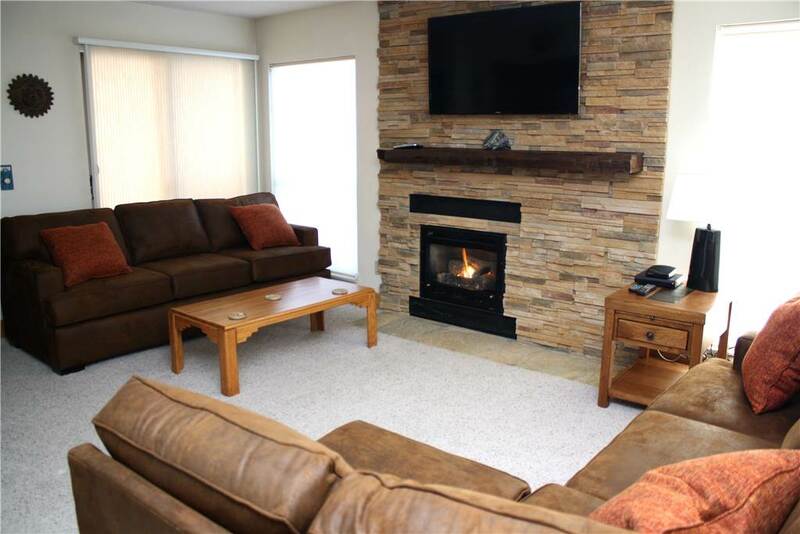 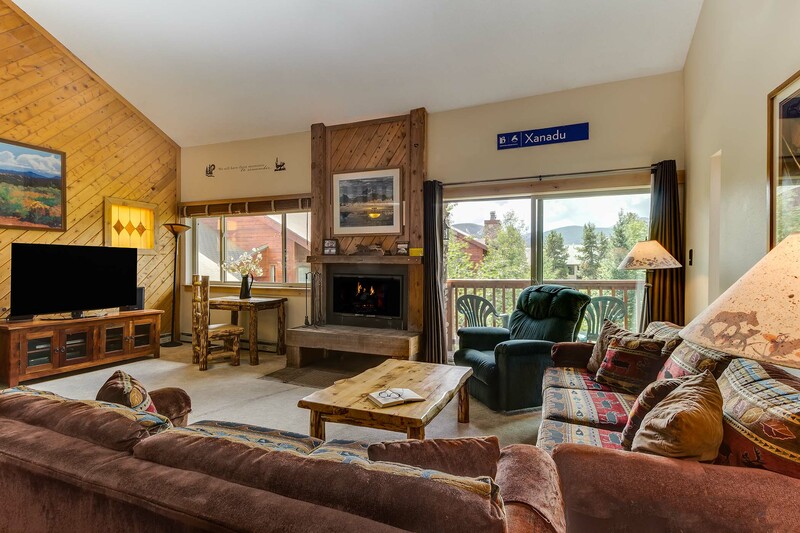 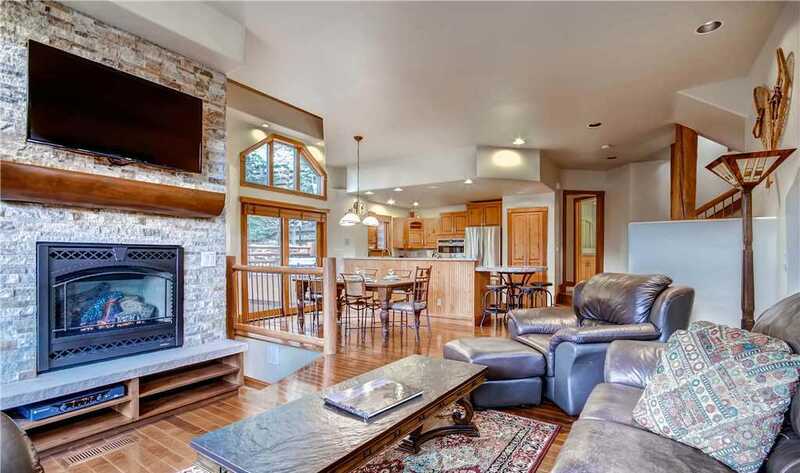 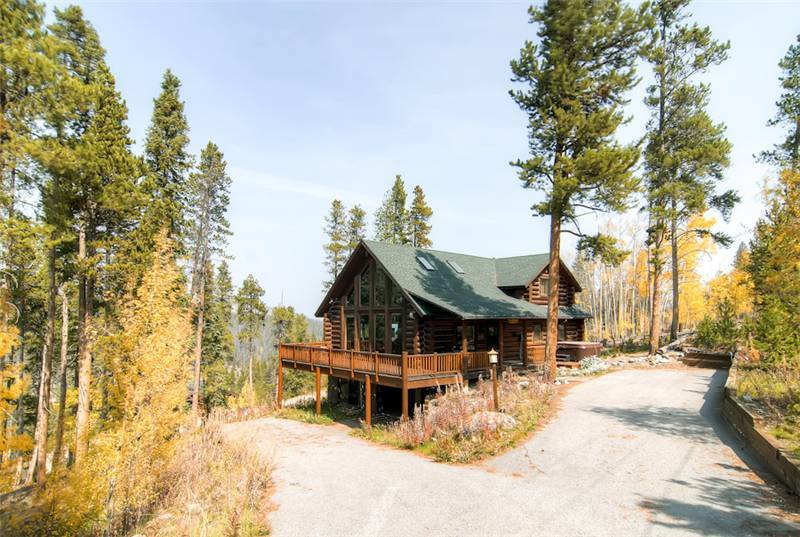 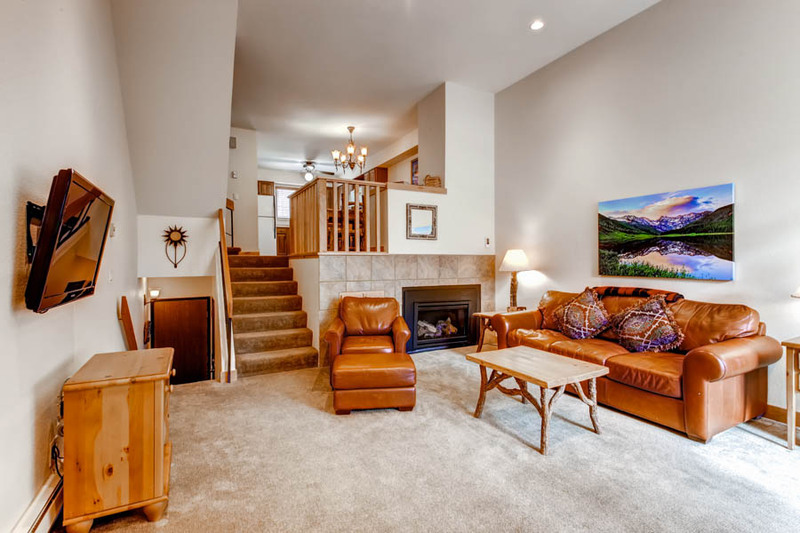 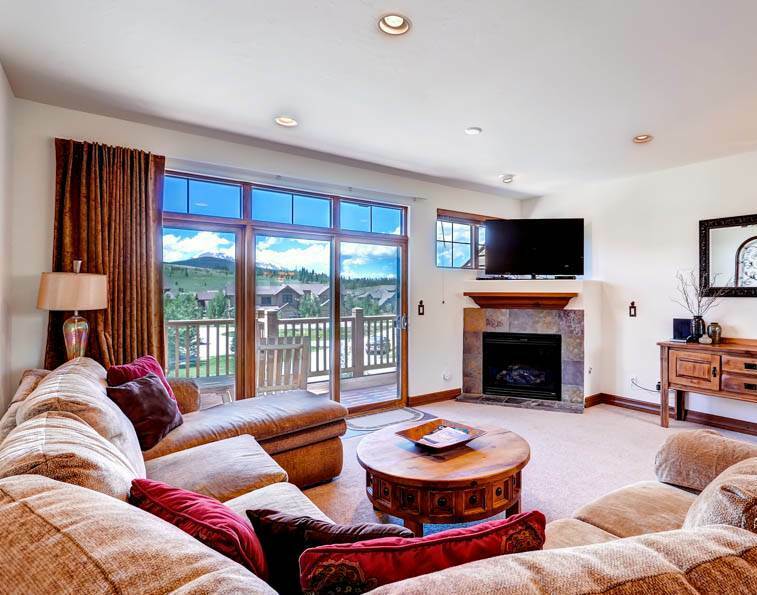 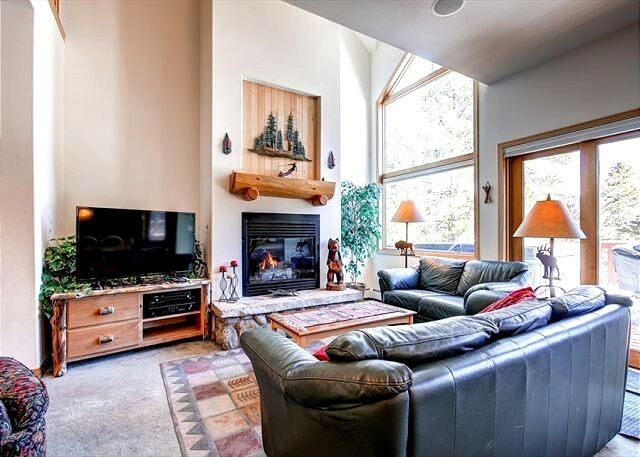 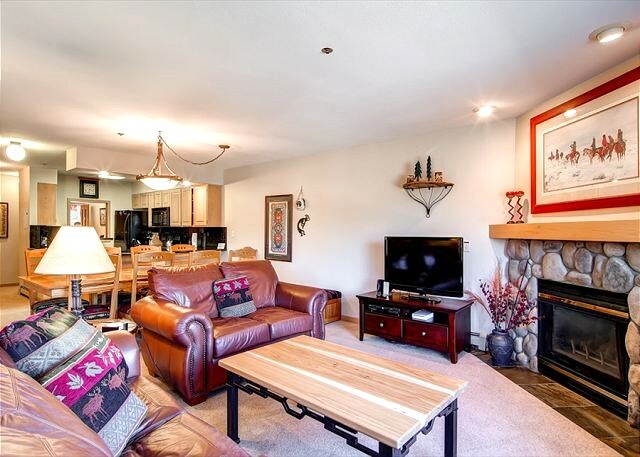 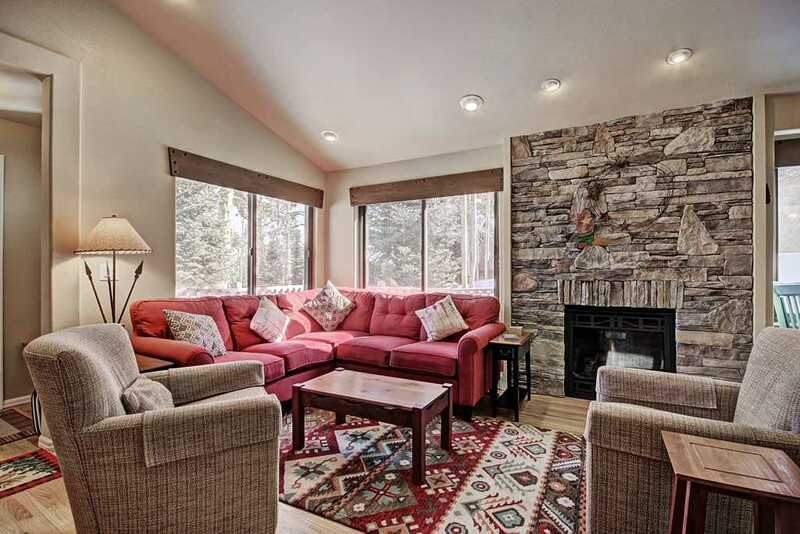 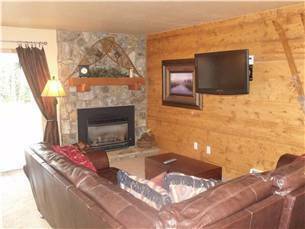 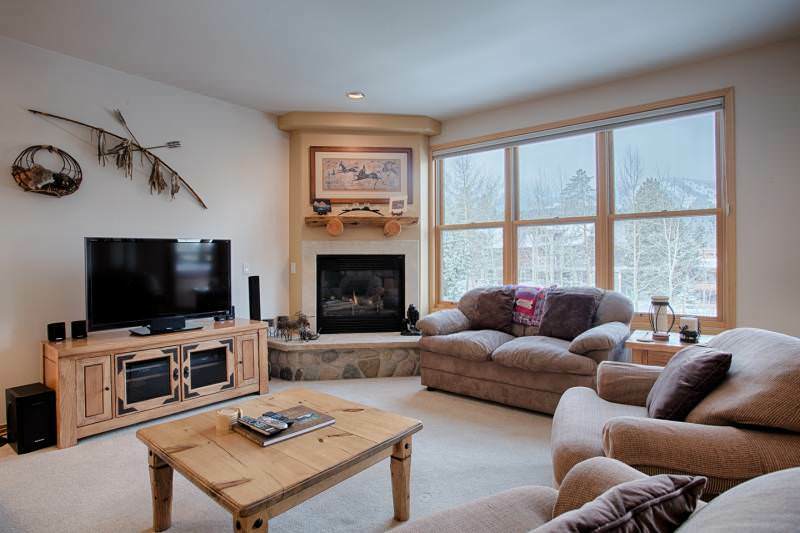 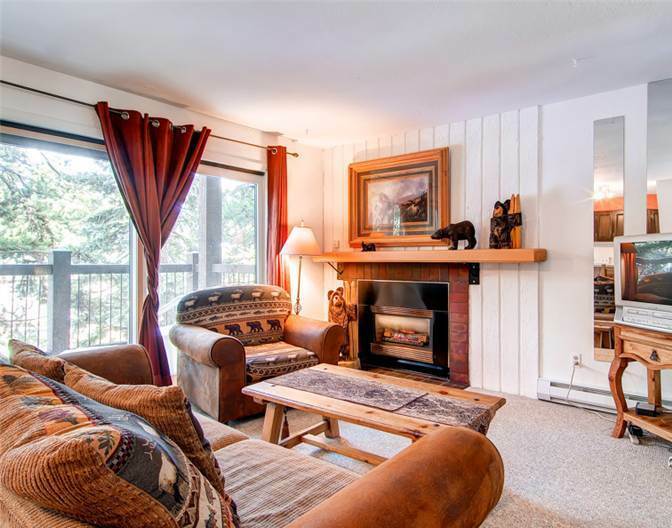 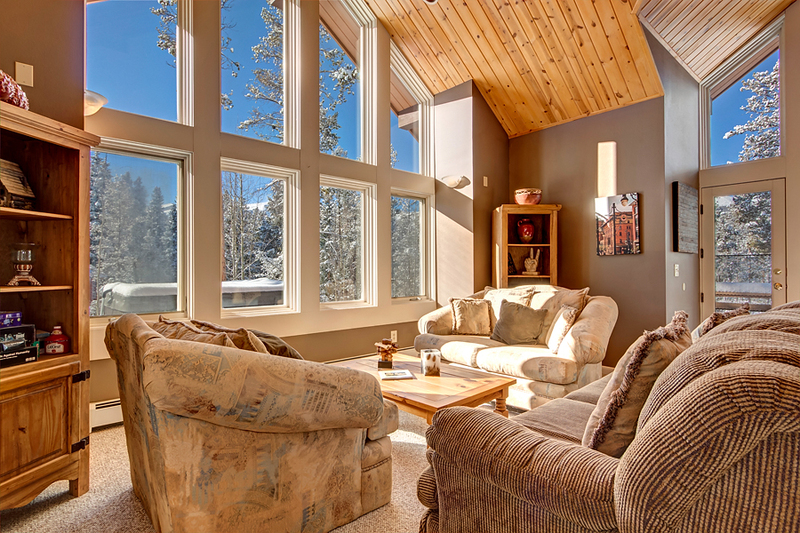 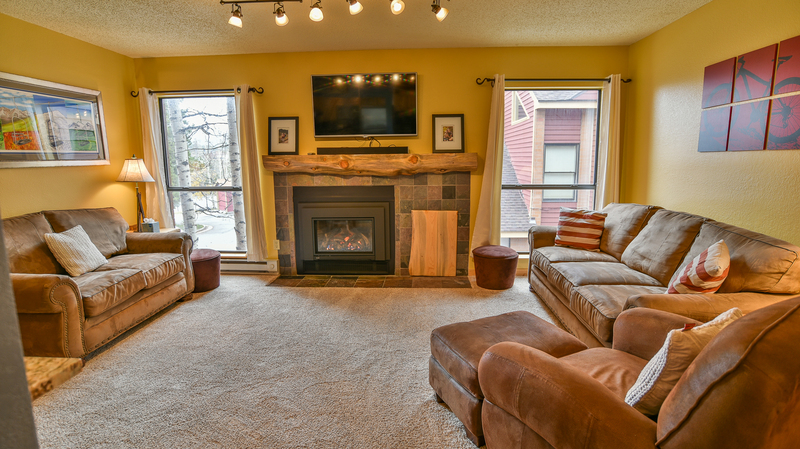 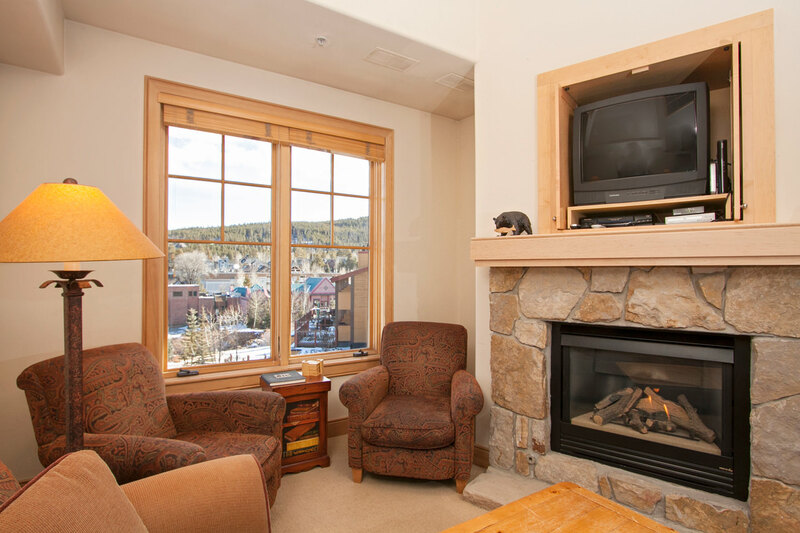 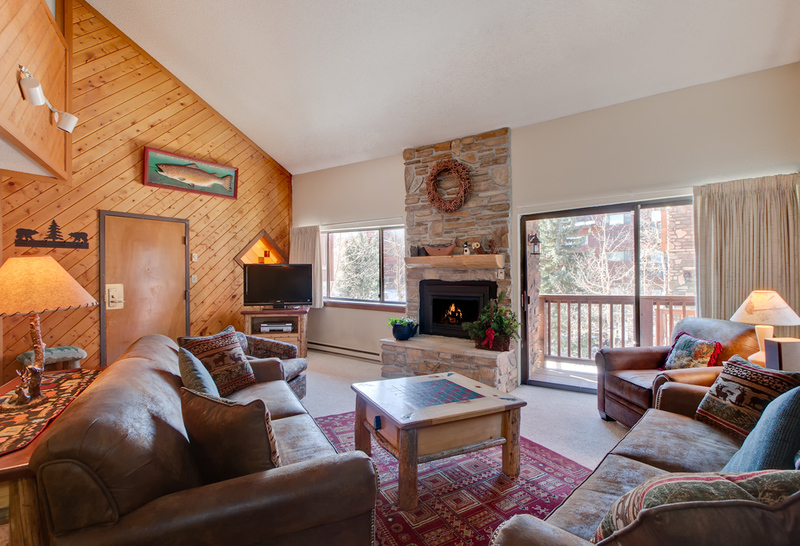 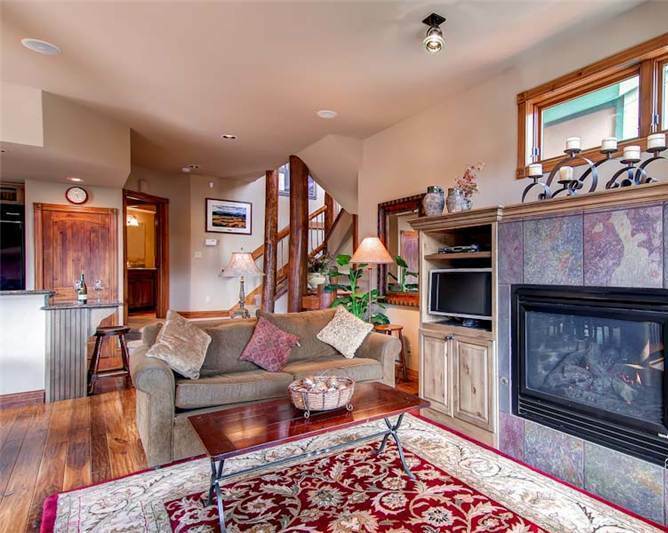 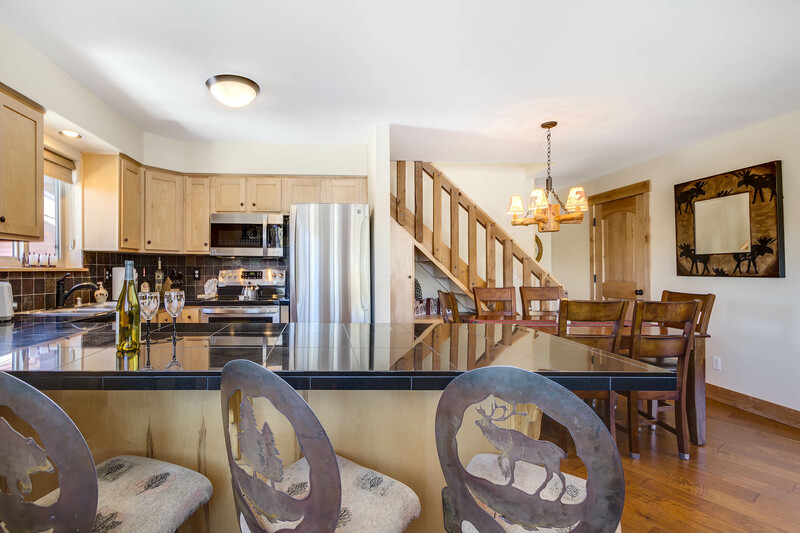 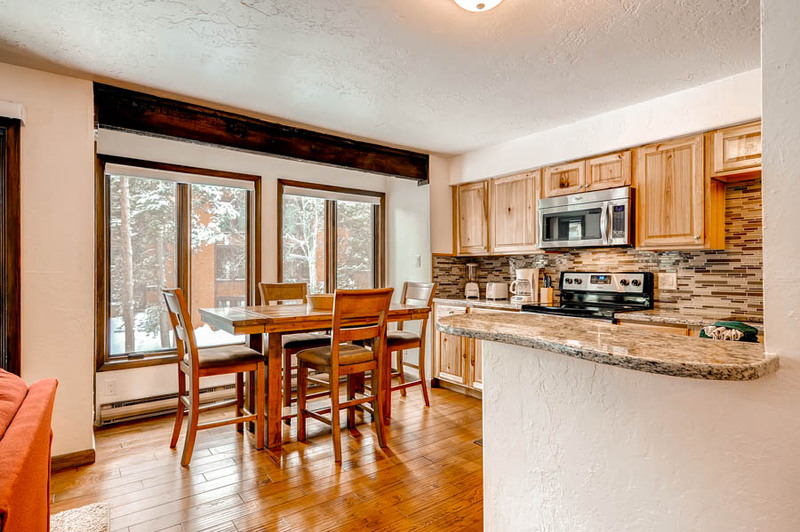 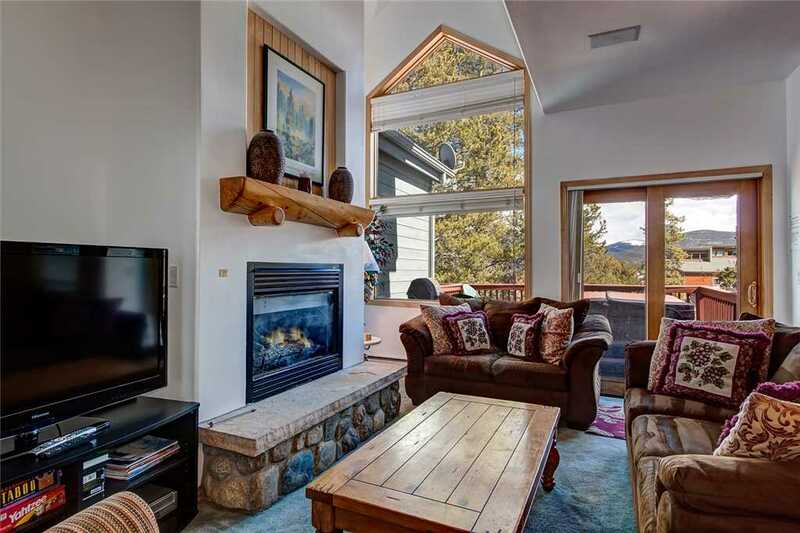 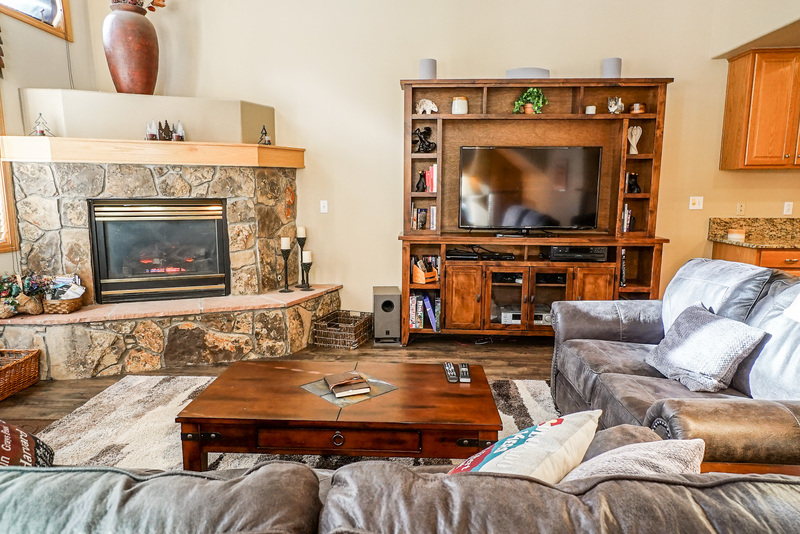 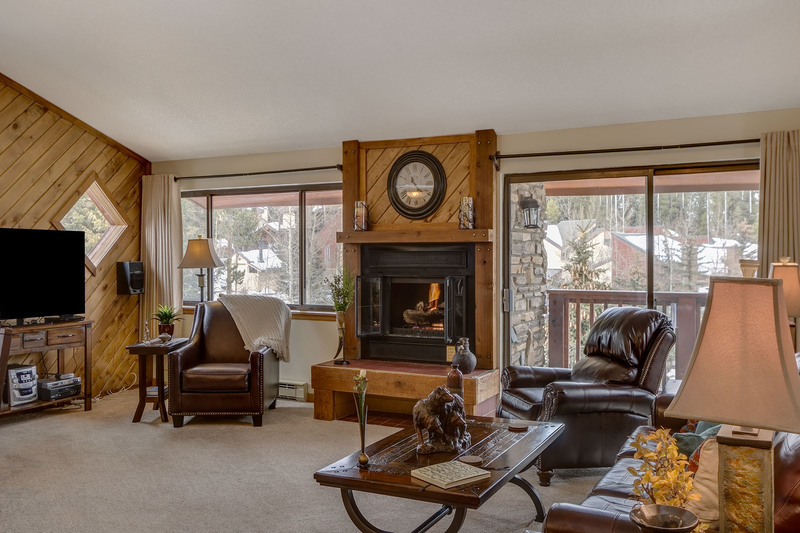 The floor plan offers tiled flooring, a cozy two-sided gas fireplace in the living area & master bedroom, nice dining area, and a mountain view from the balcony. 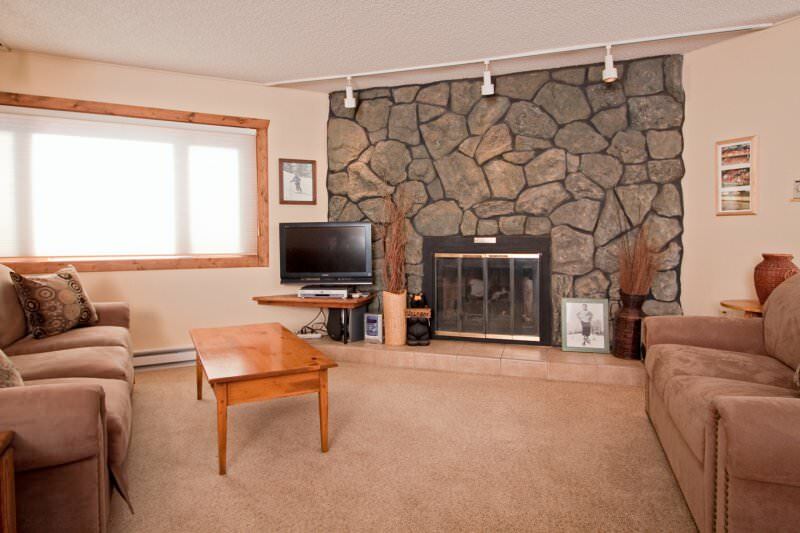 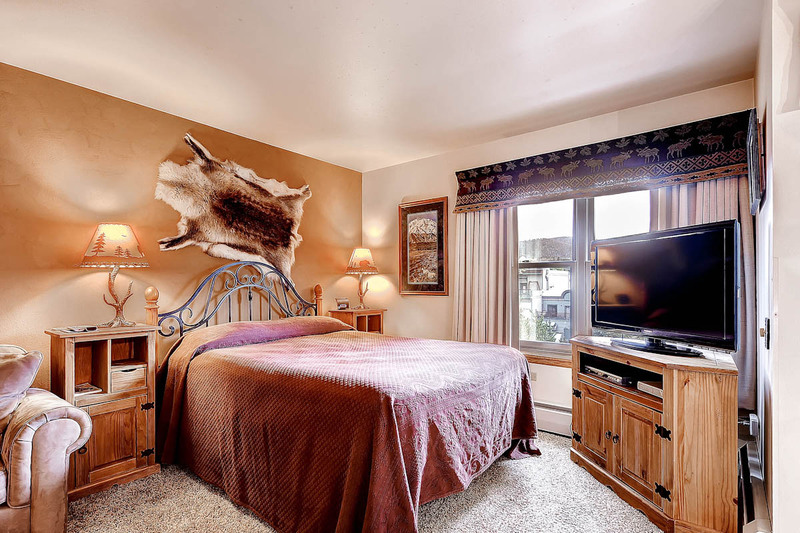 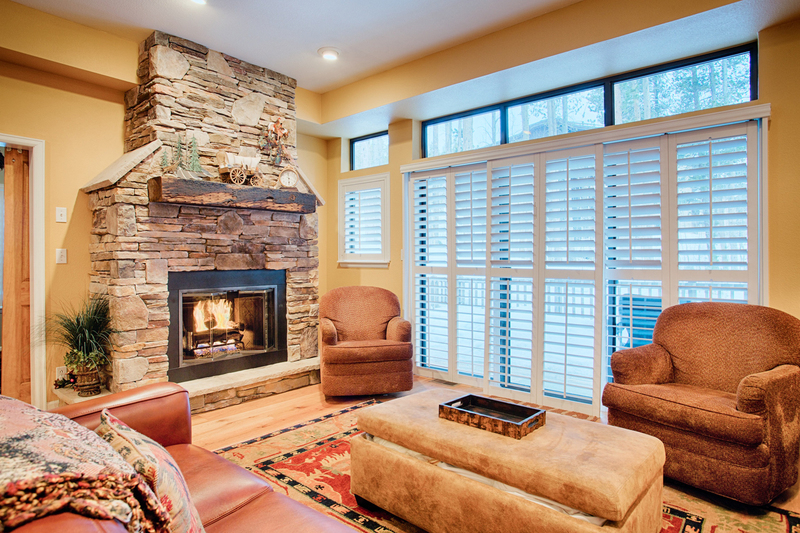 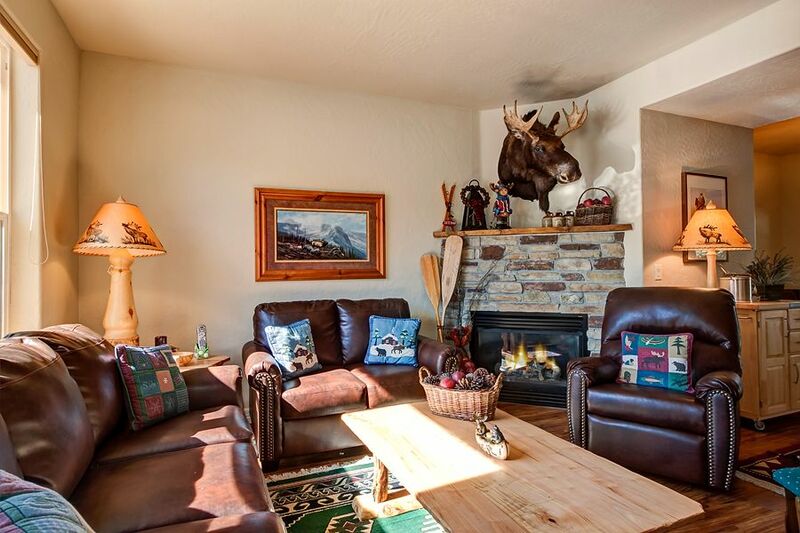 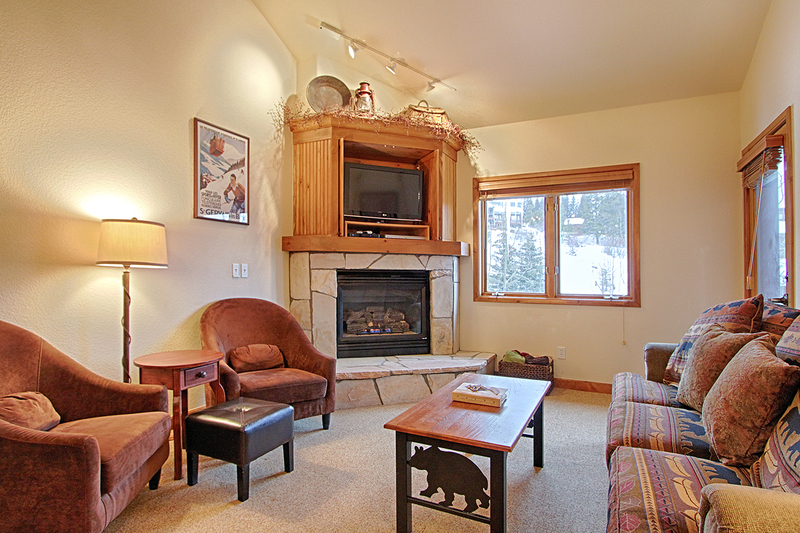 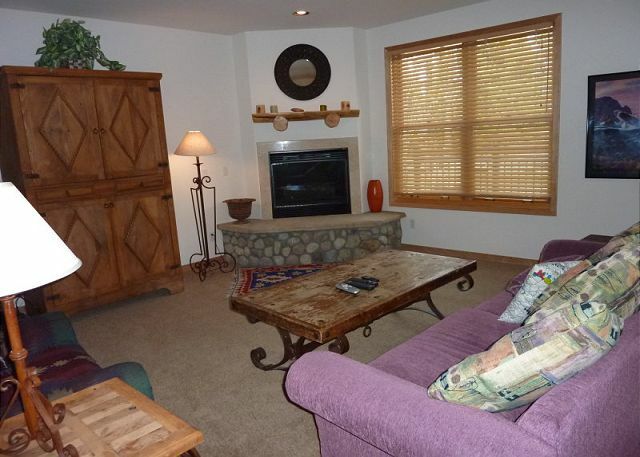 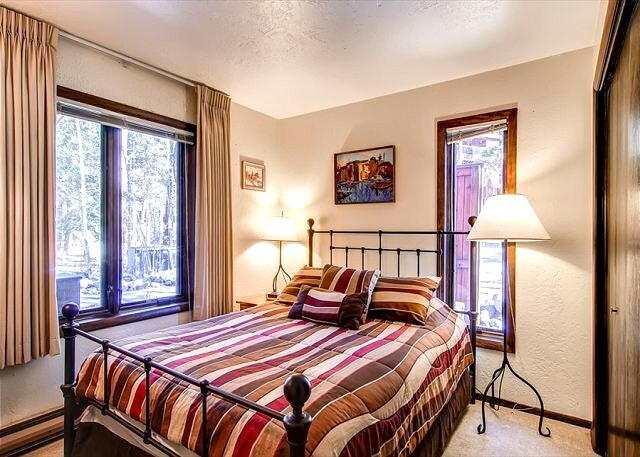 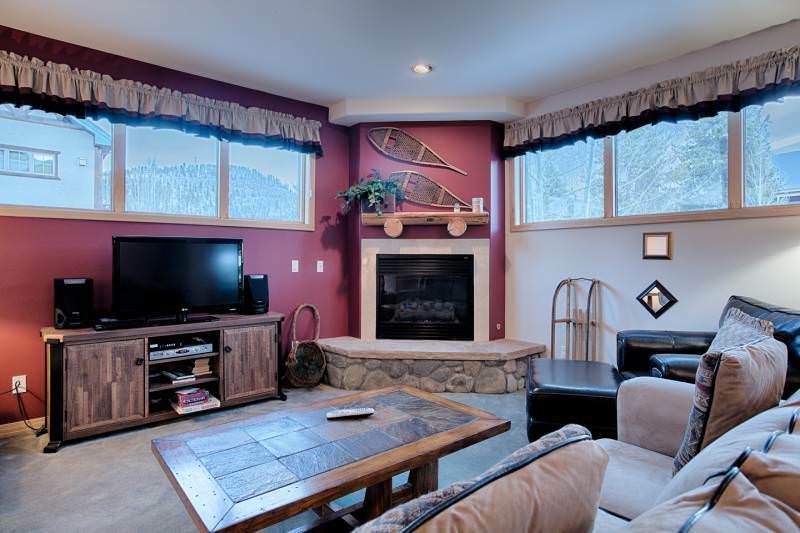 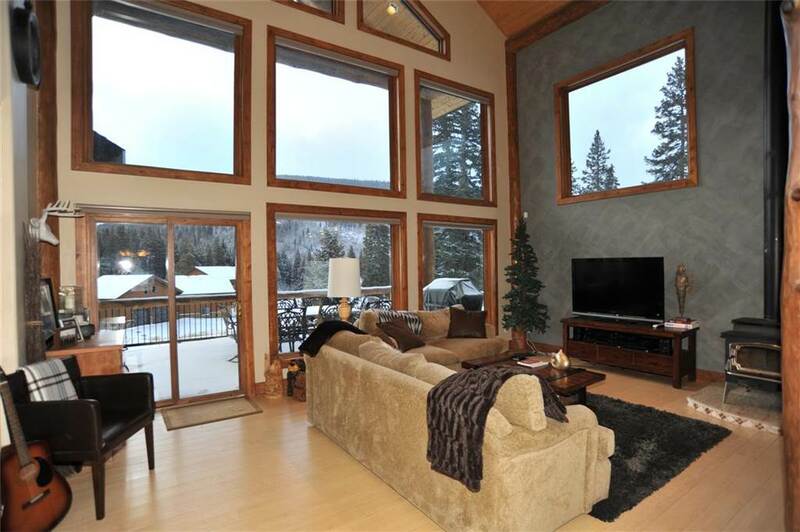 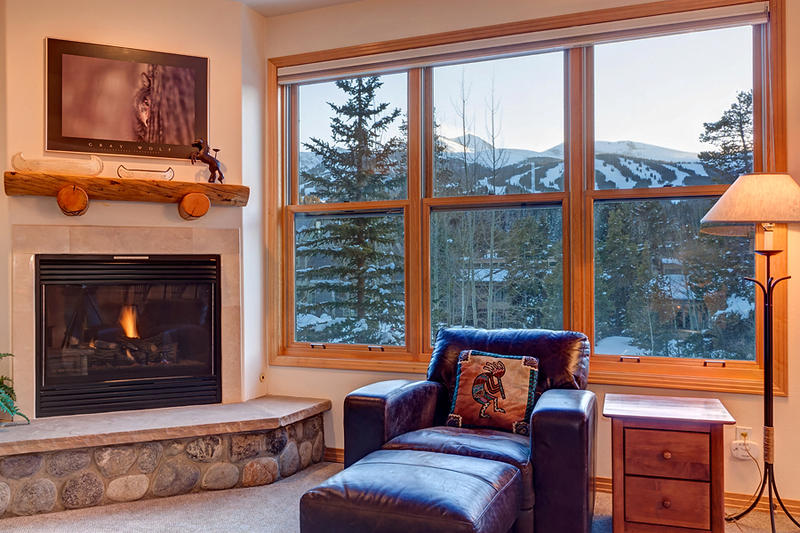 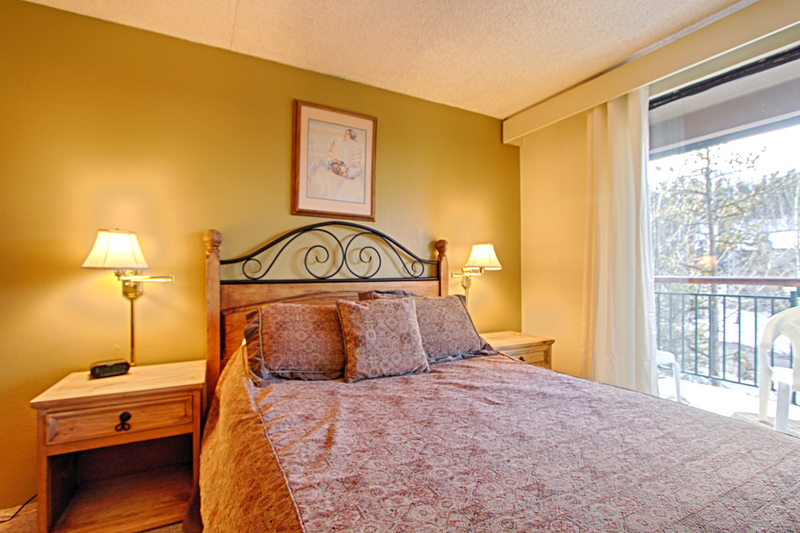 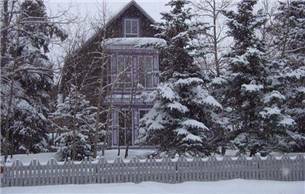 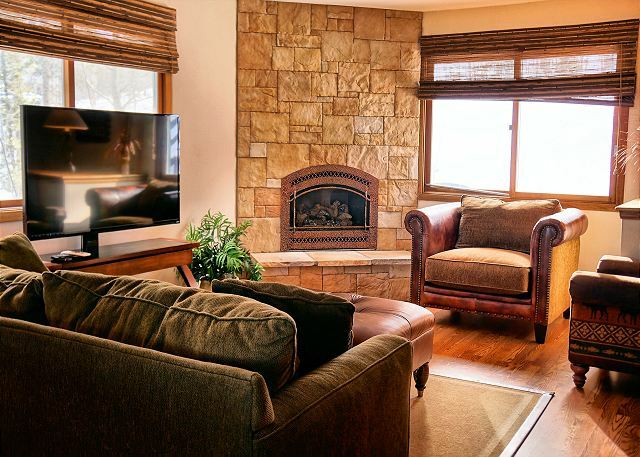 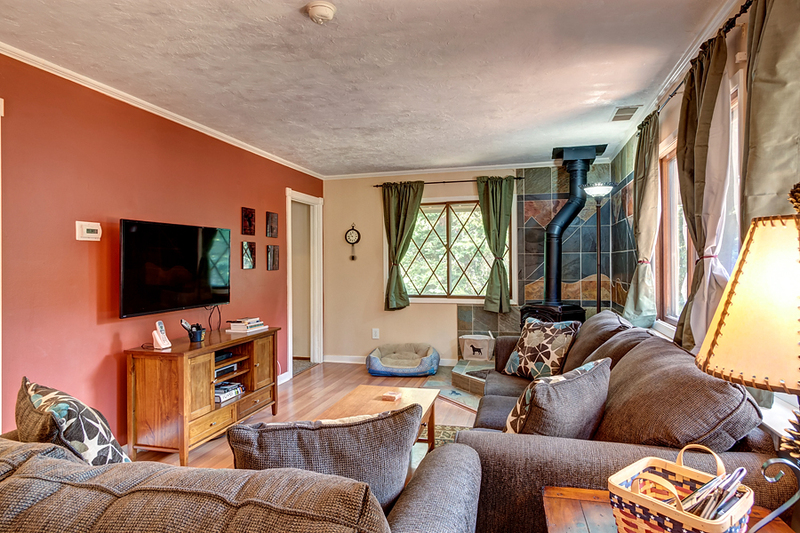 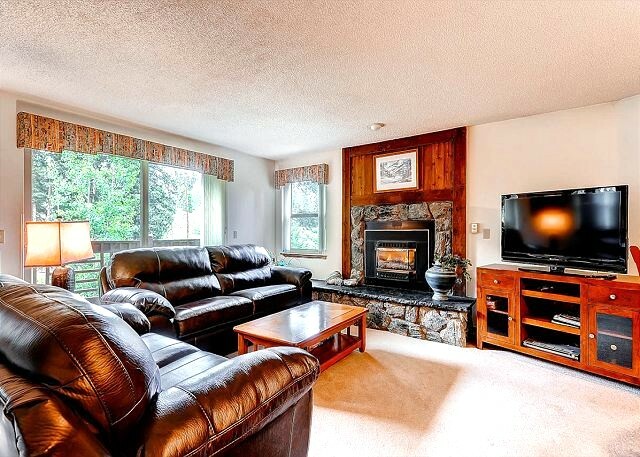 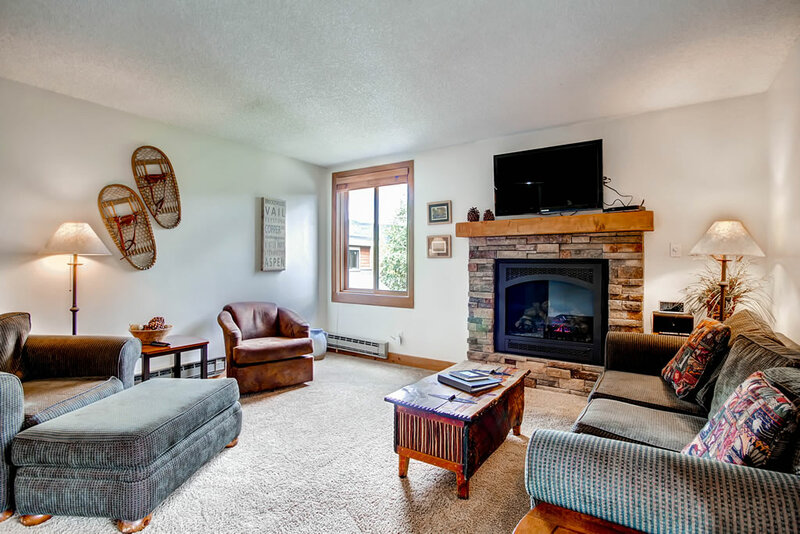 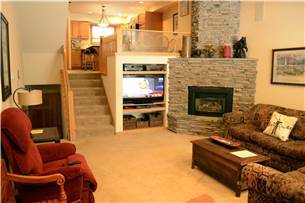 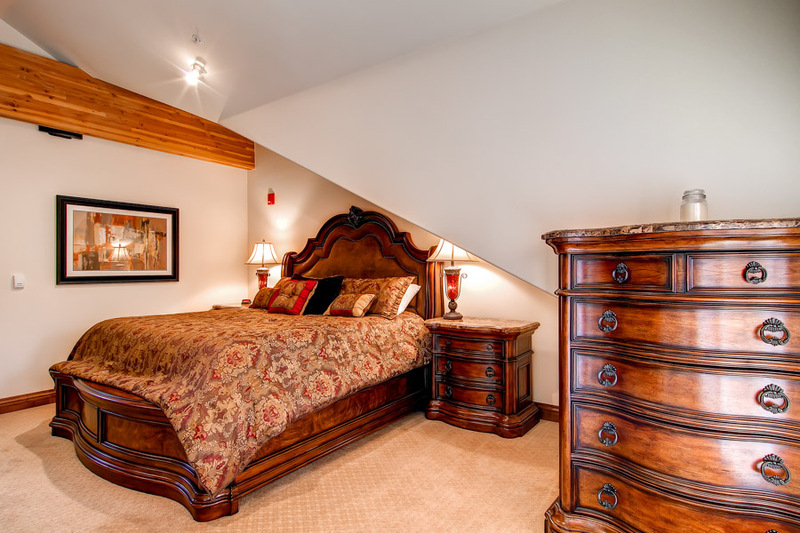 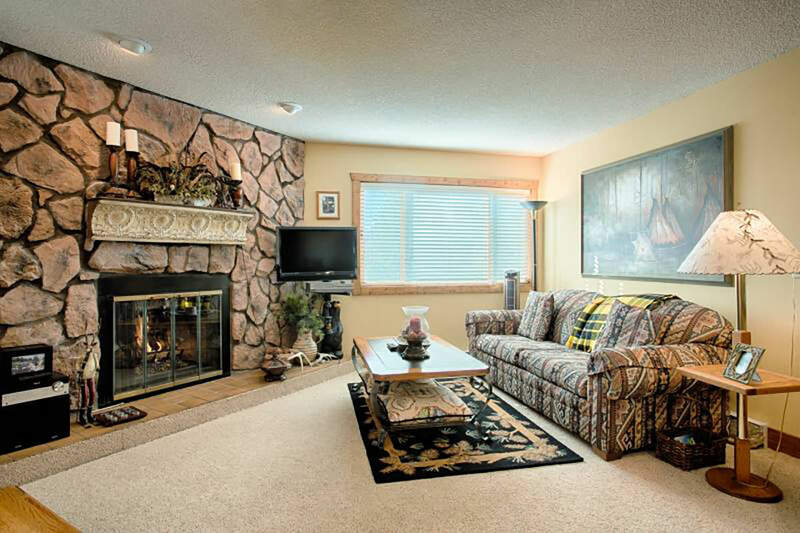 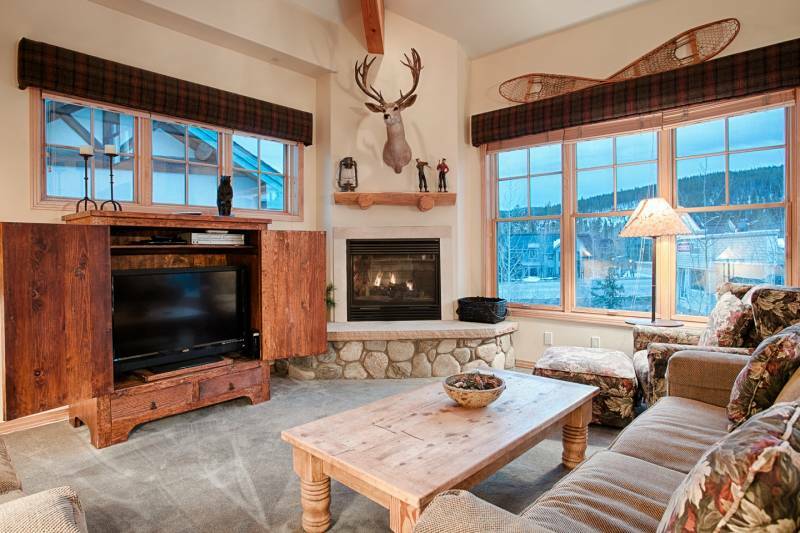 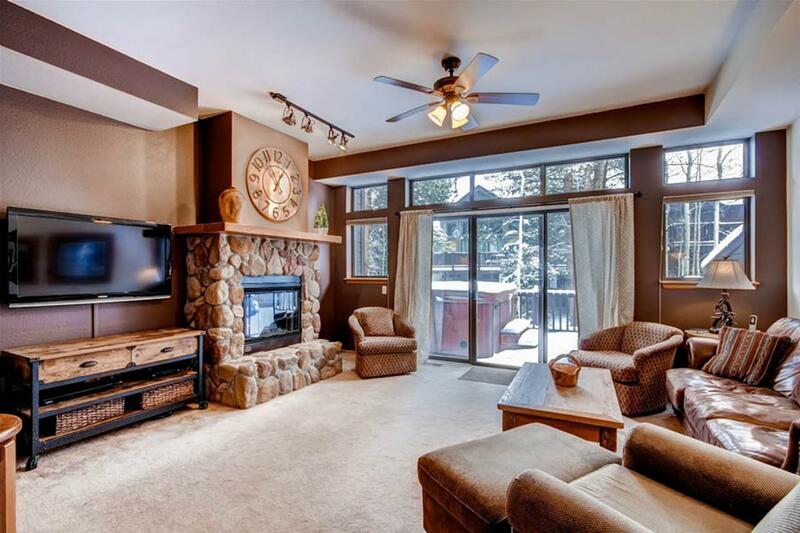 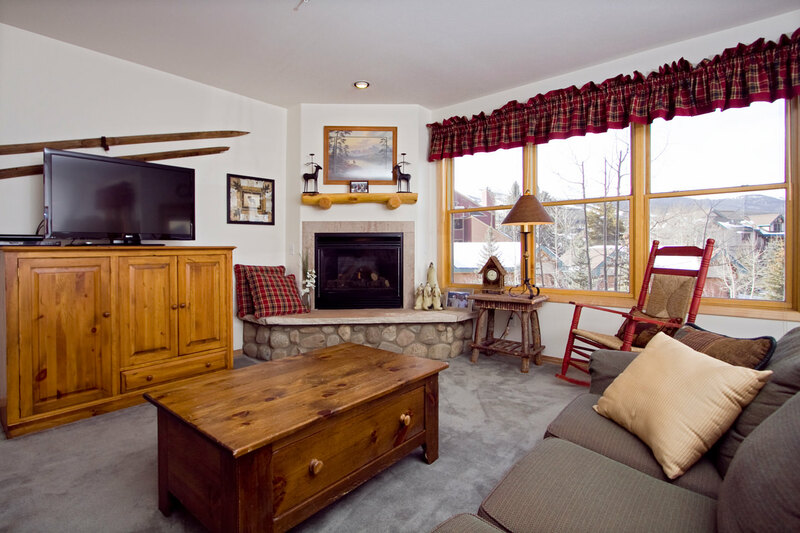 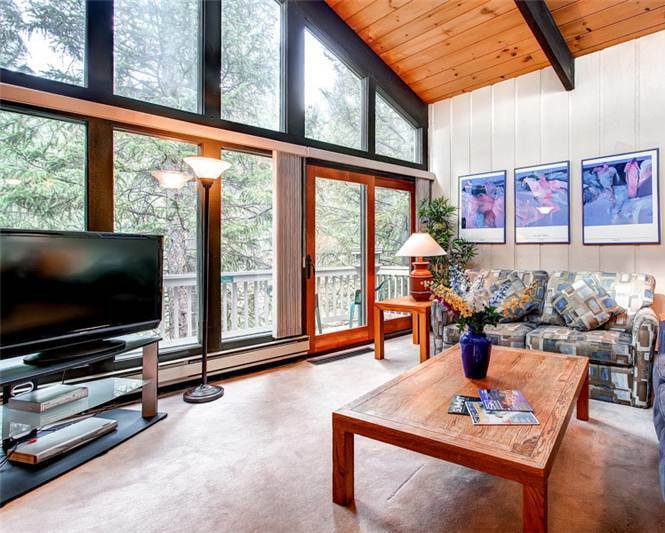 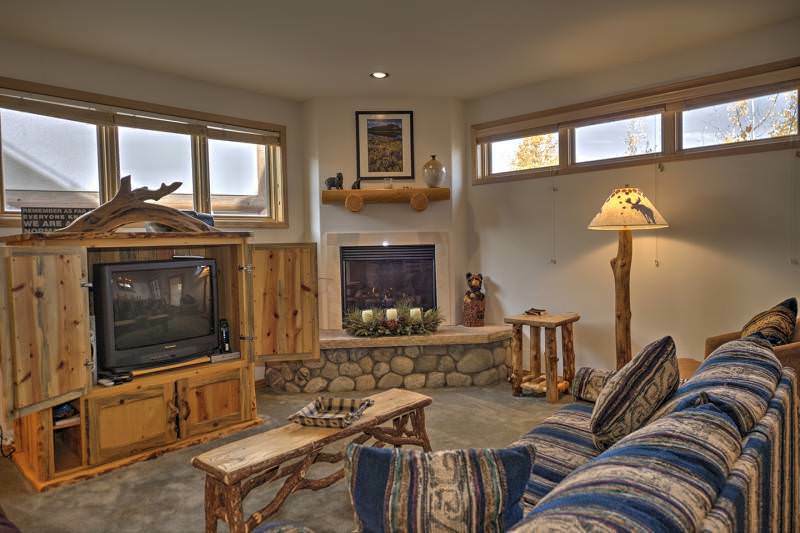 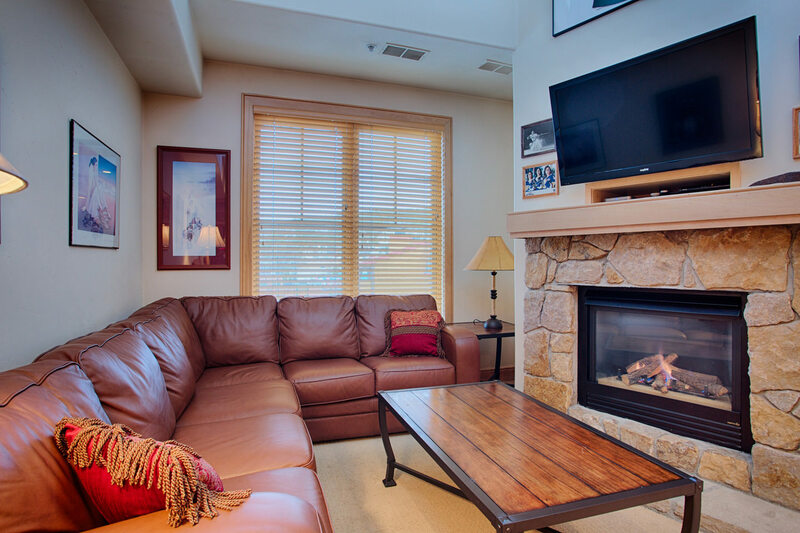 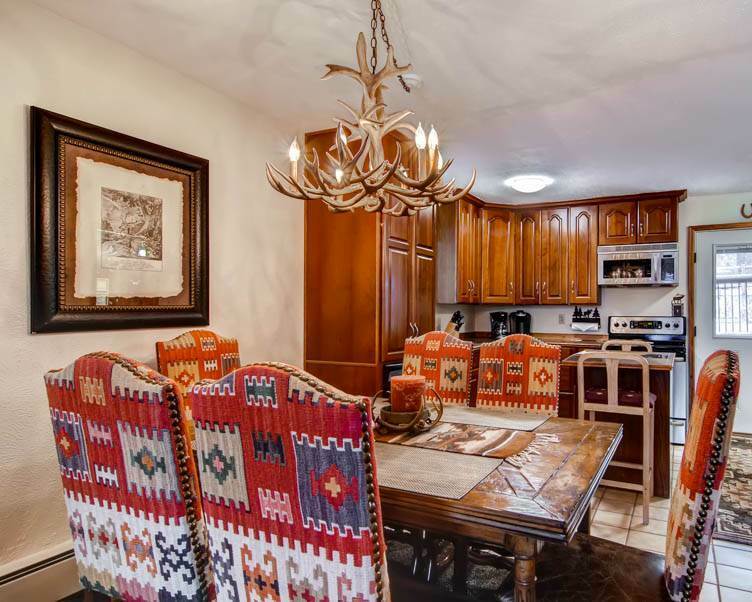 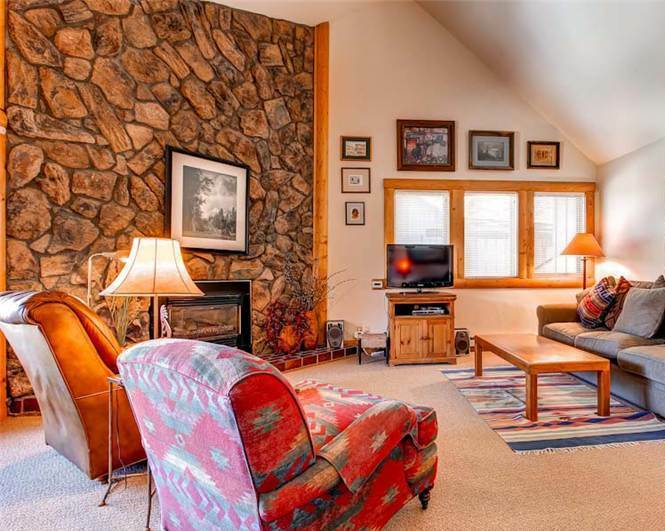 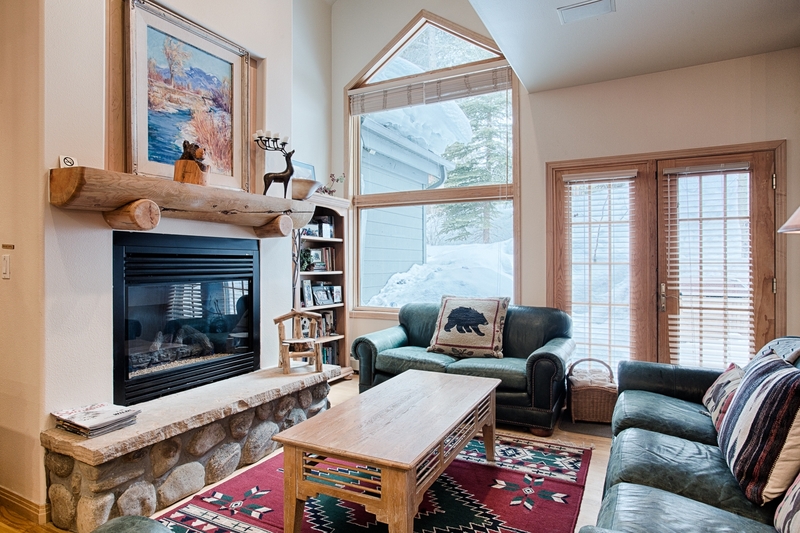 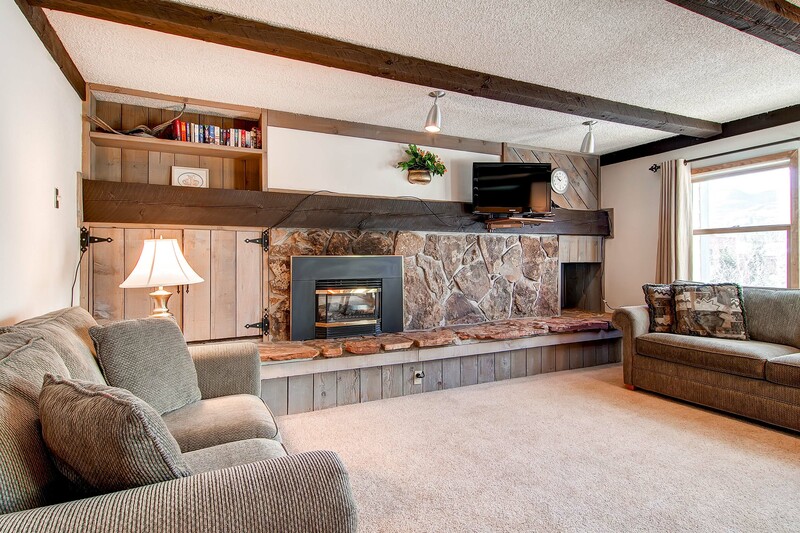 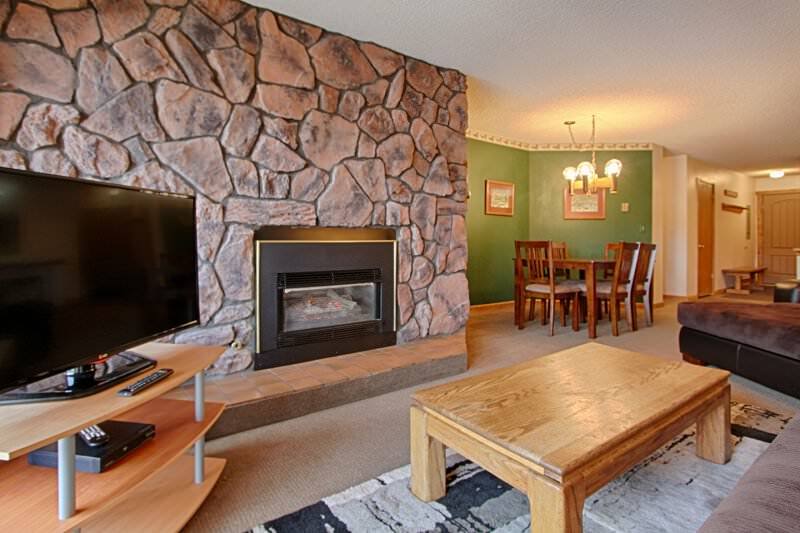 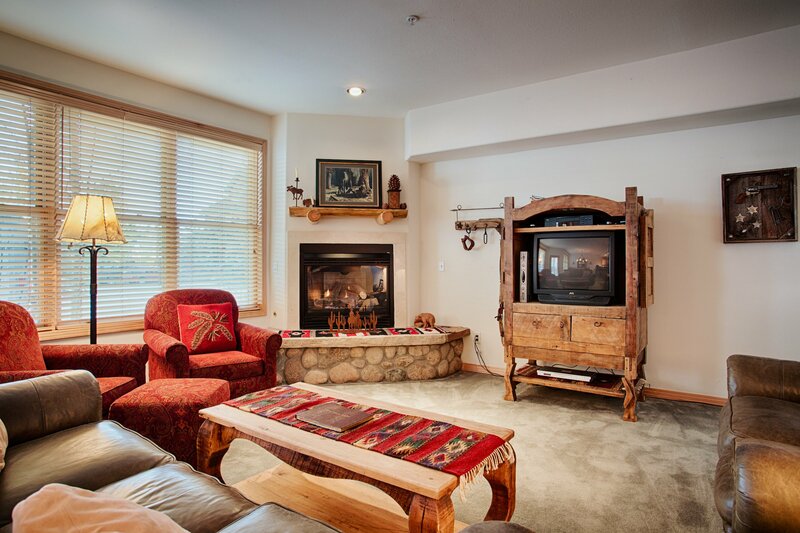 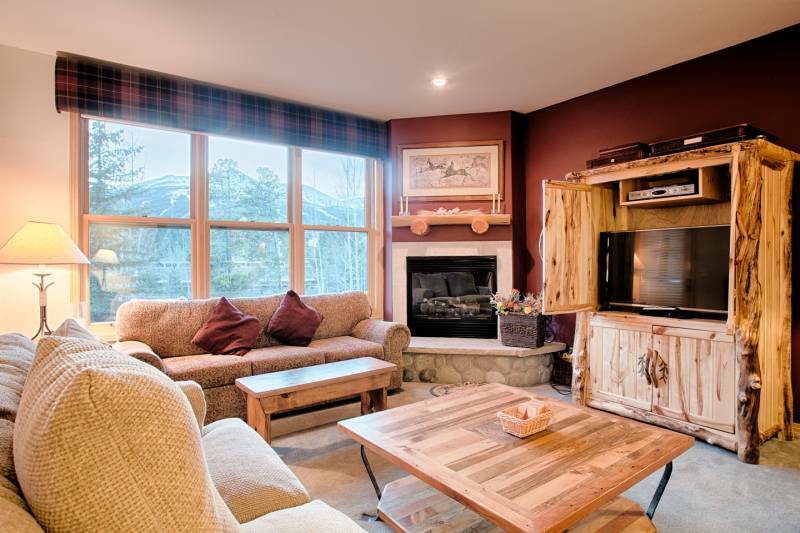 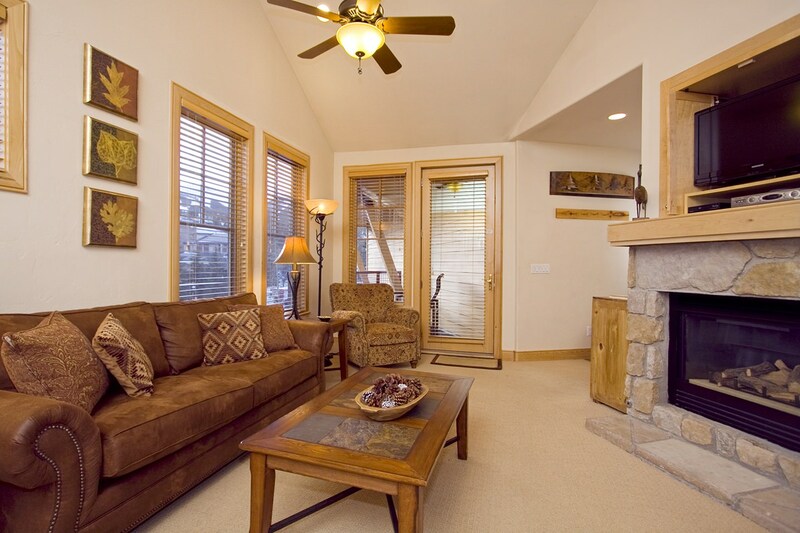 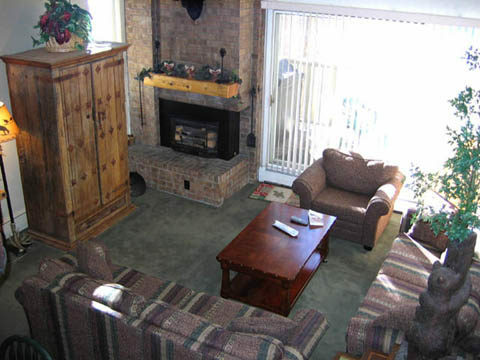 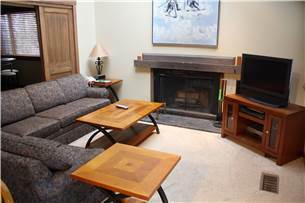 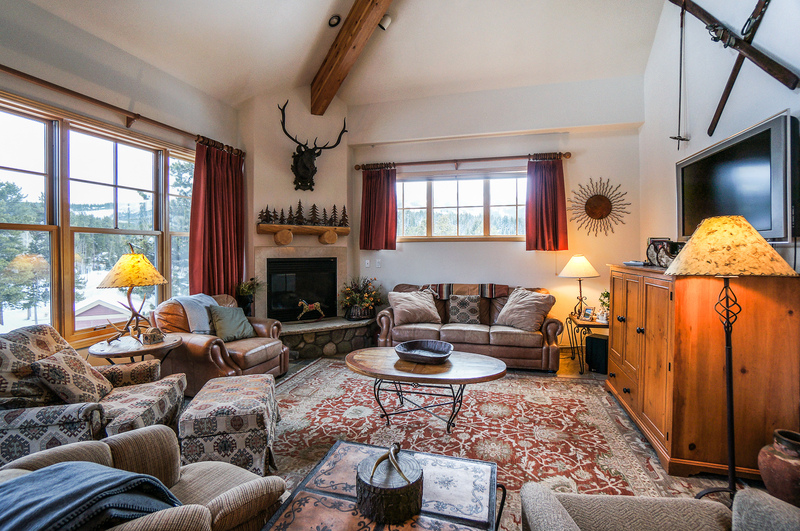 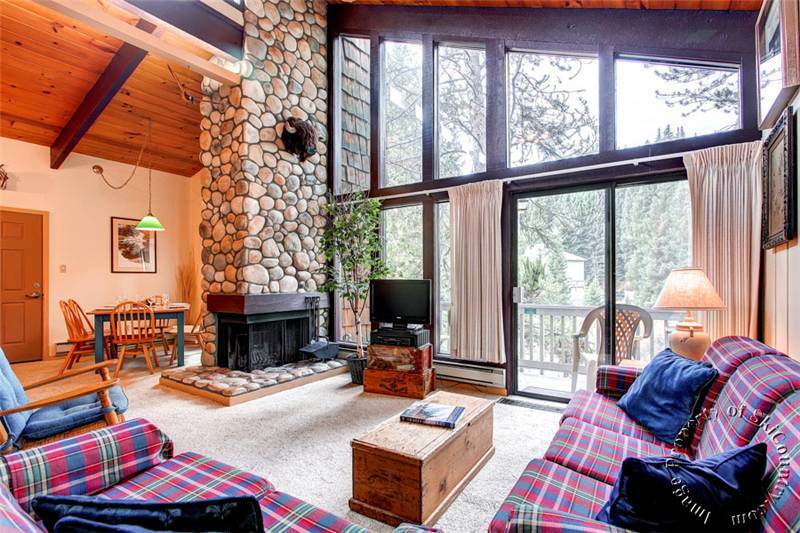 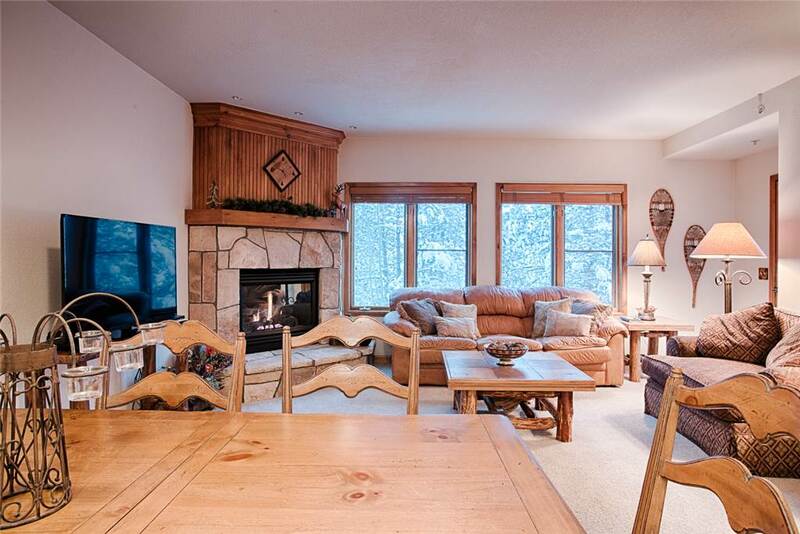 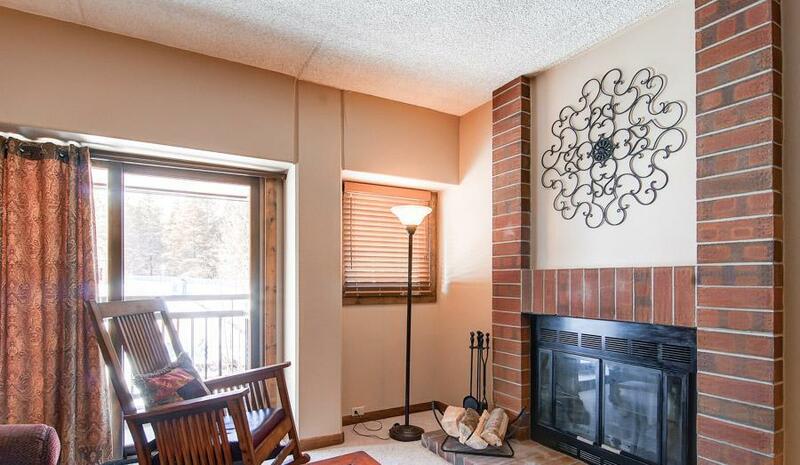 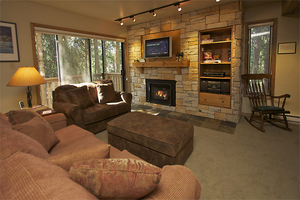 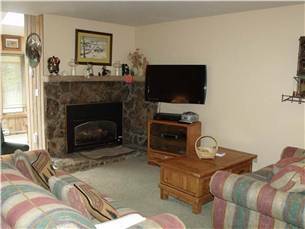 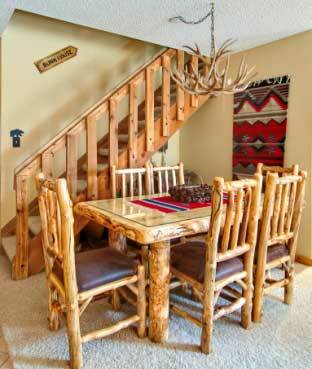 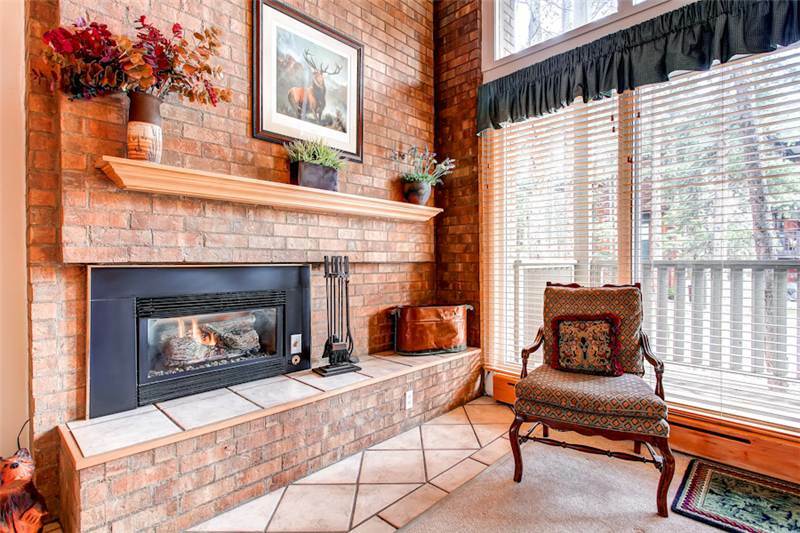 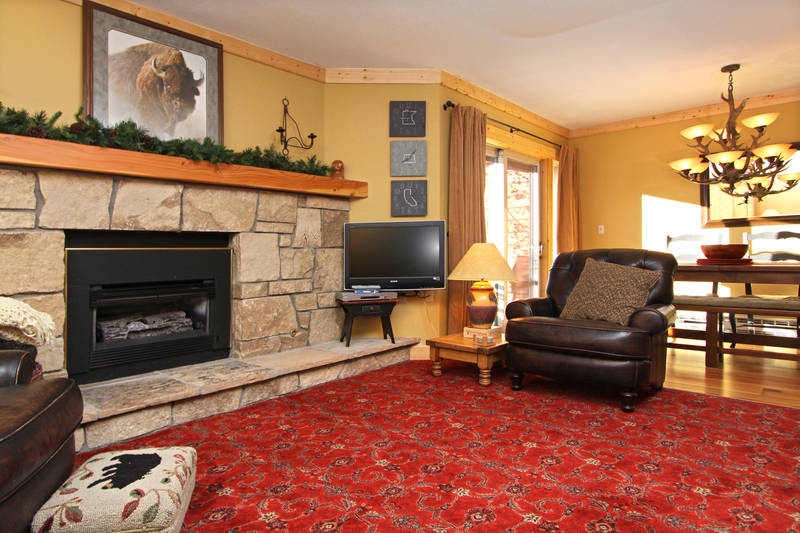 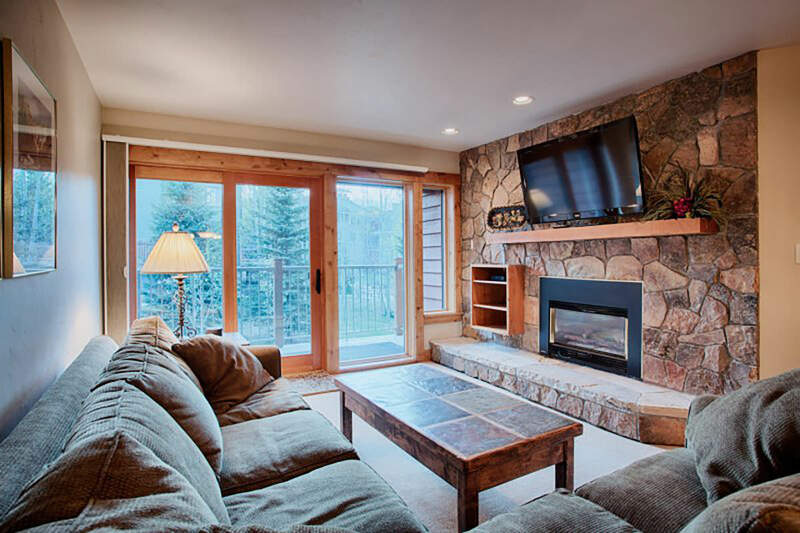 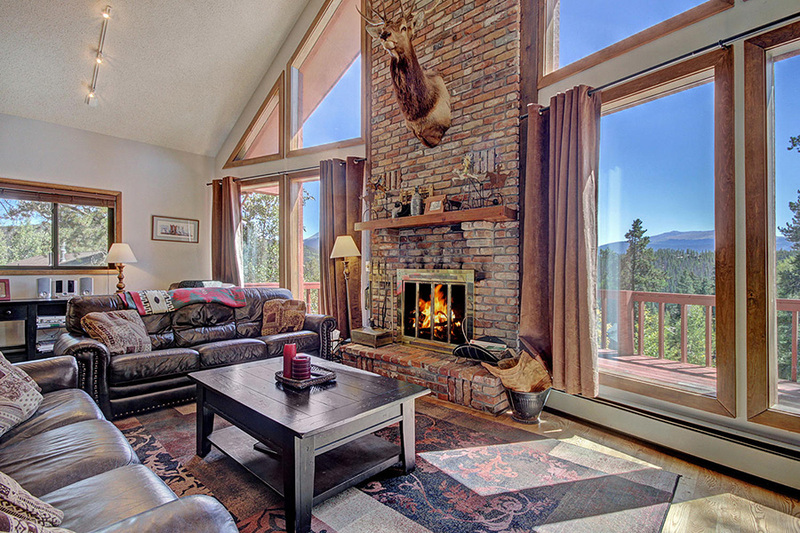 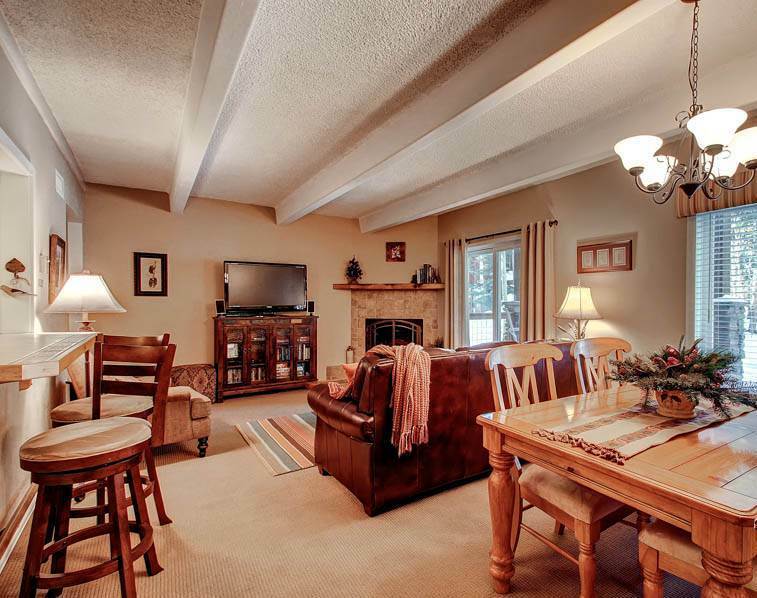 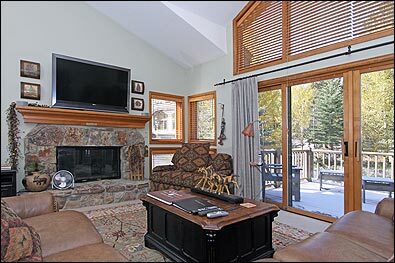 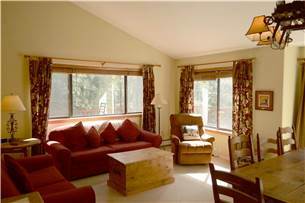 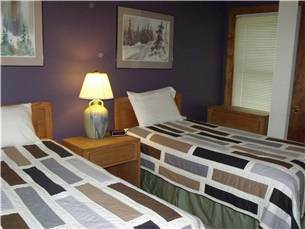 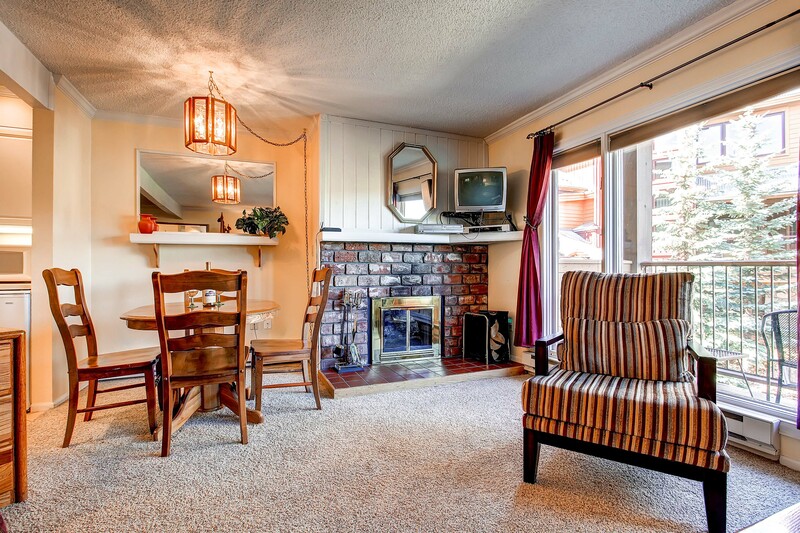 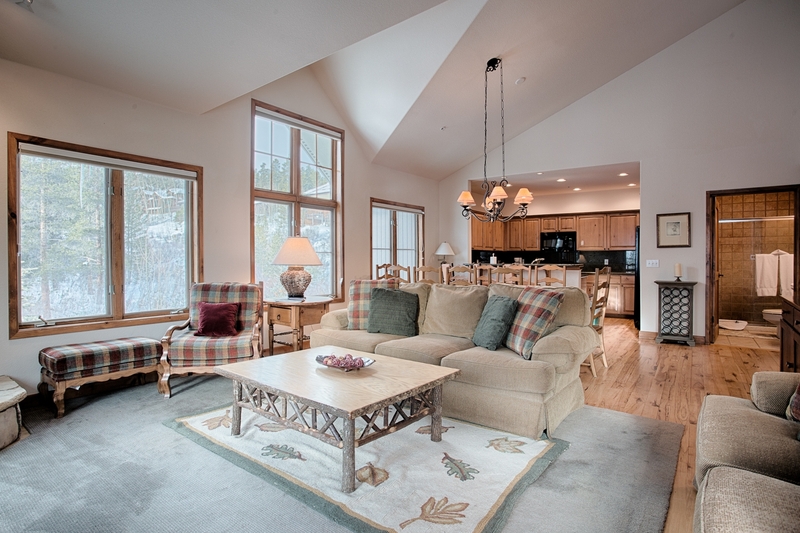 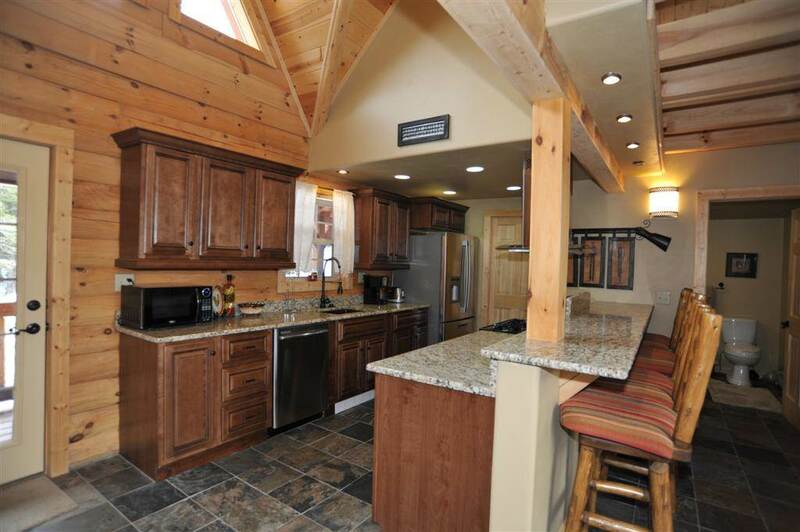 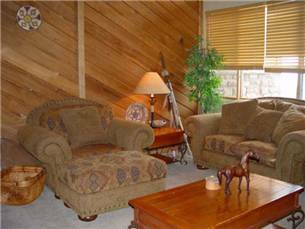 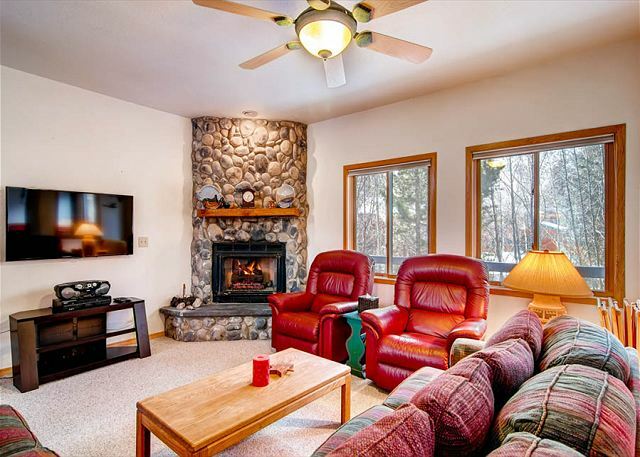 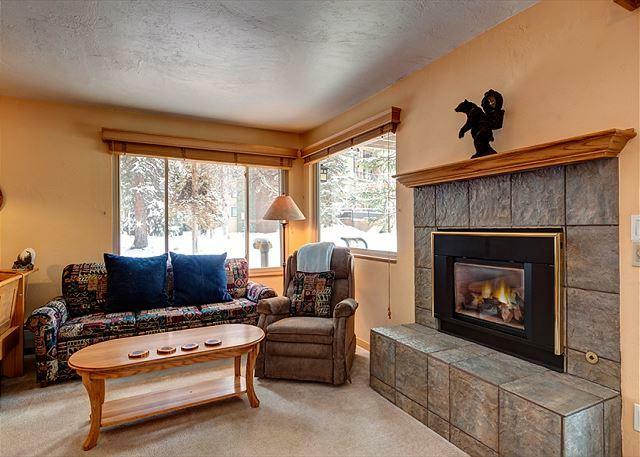 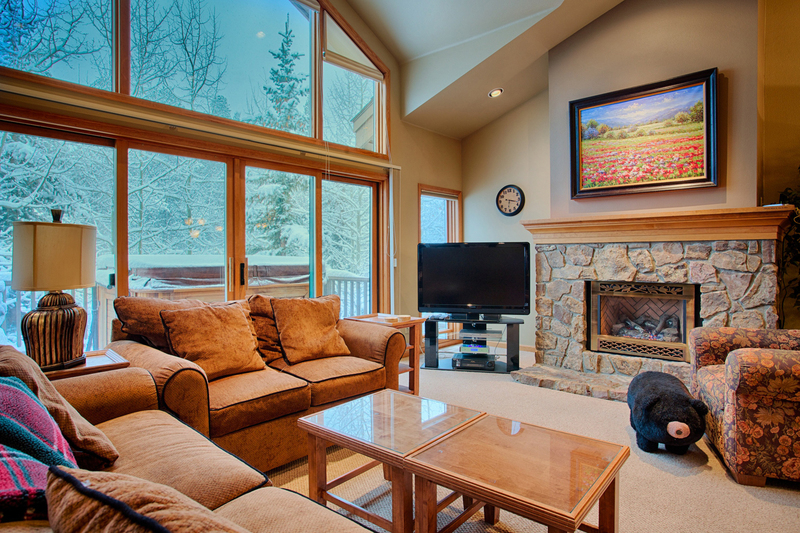 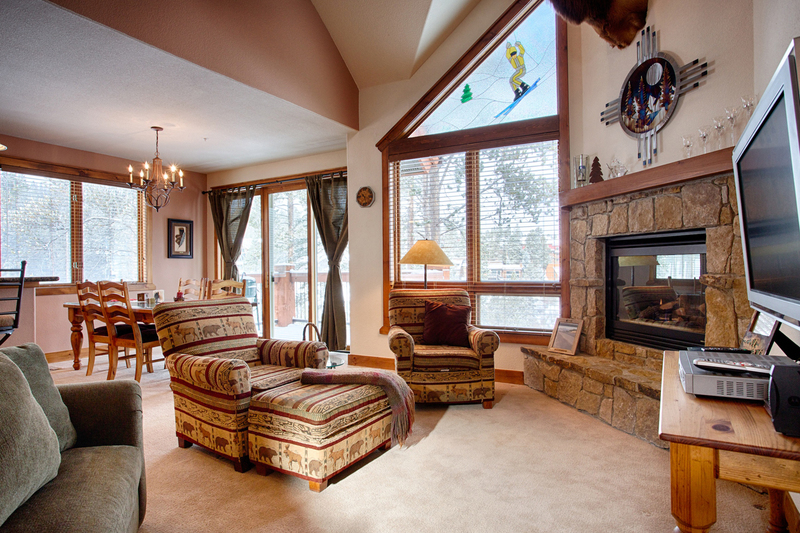 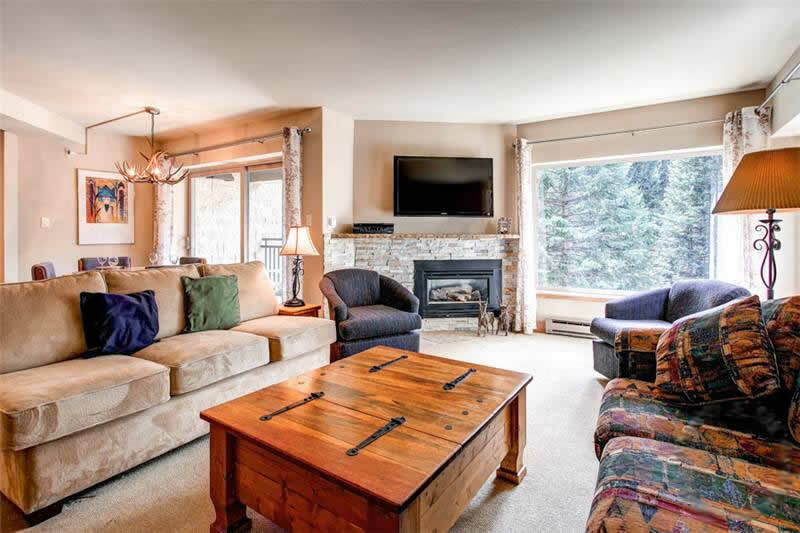 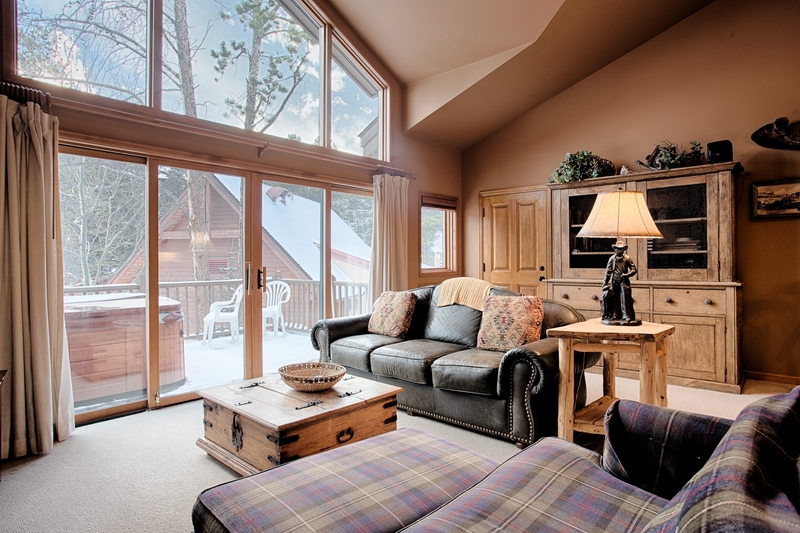 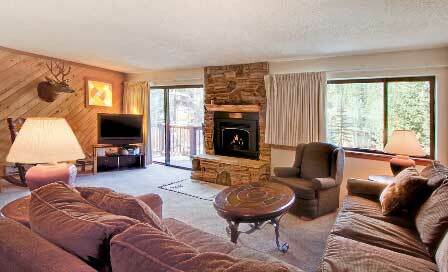 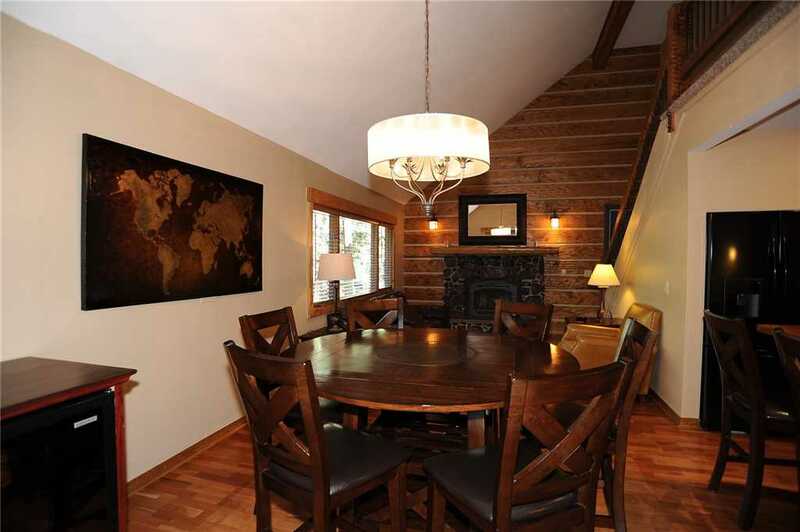 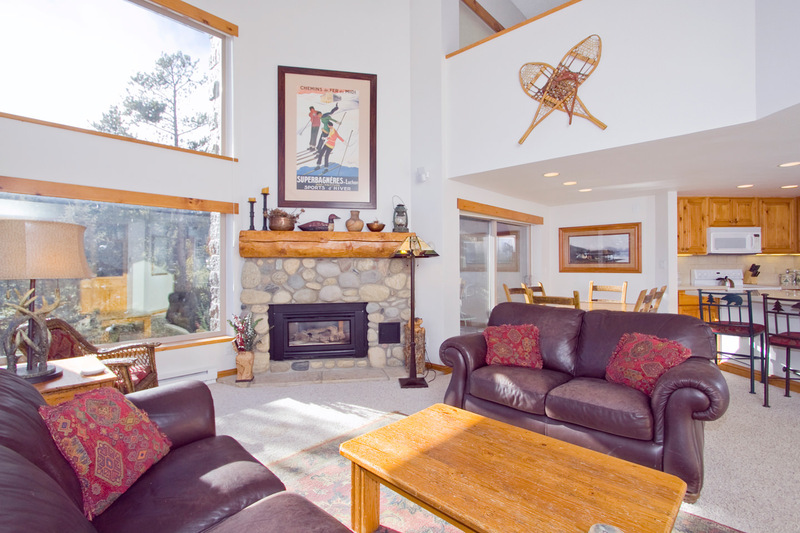 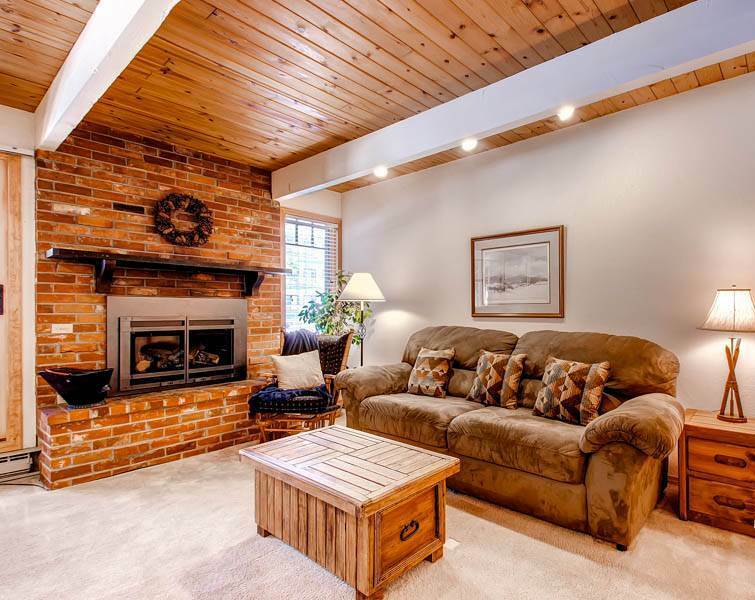 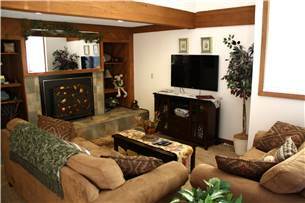 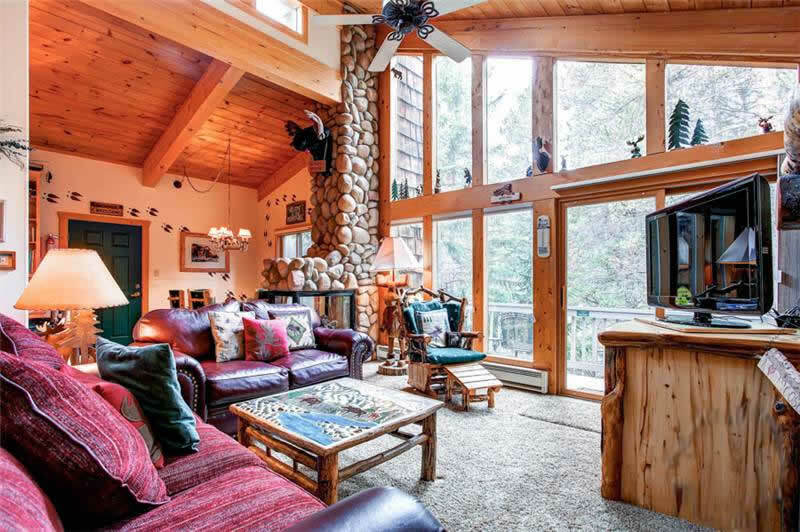 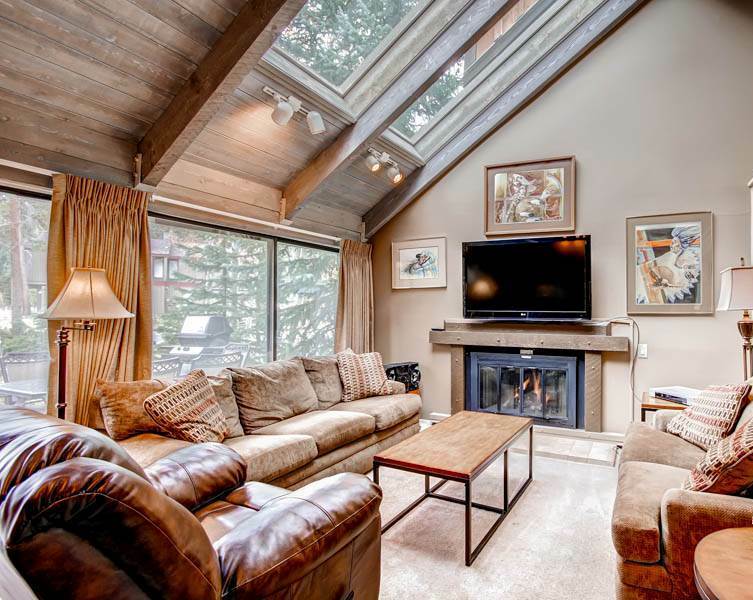 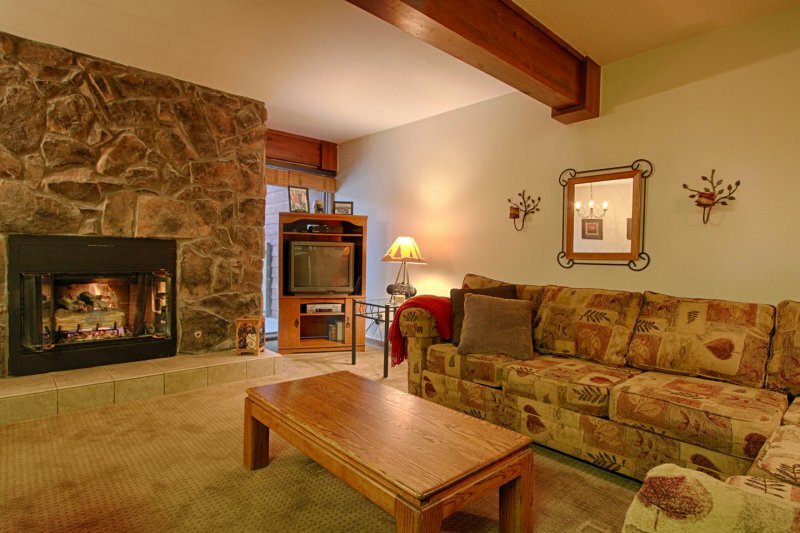 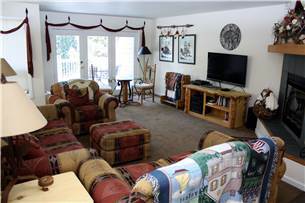 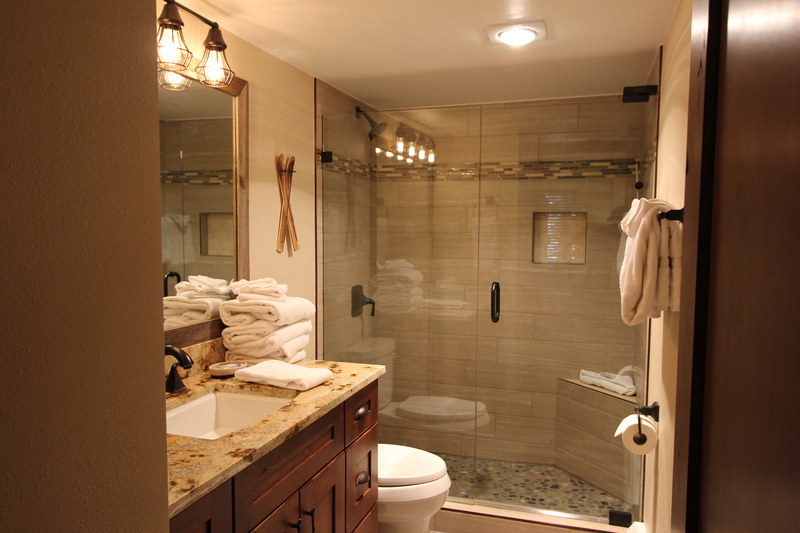 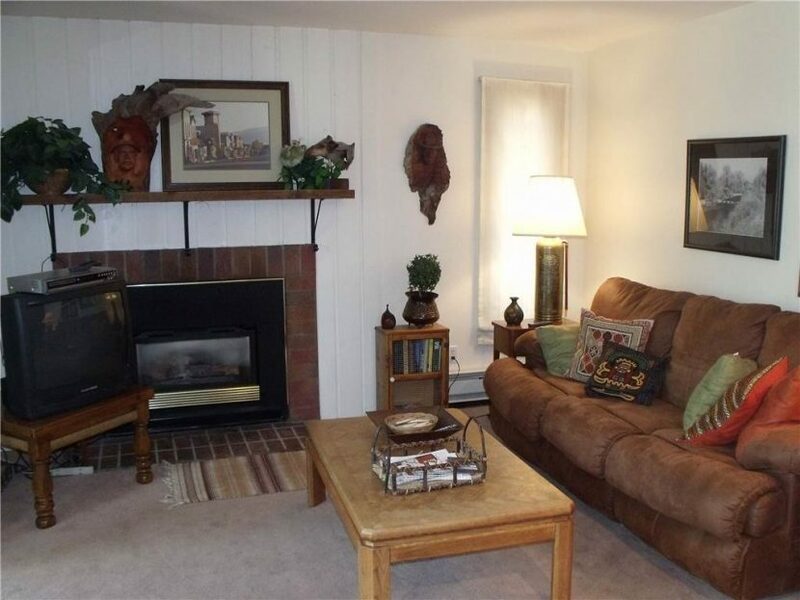 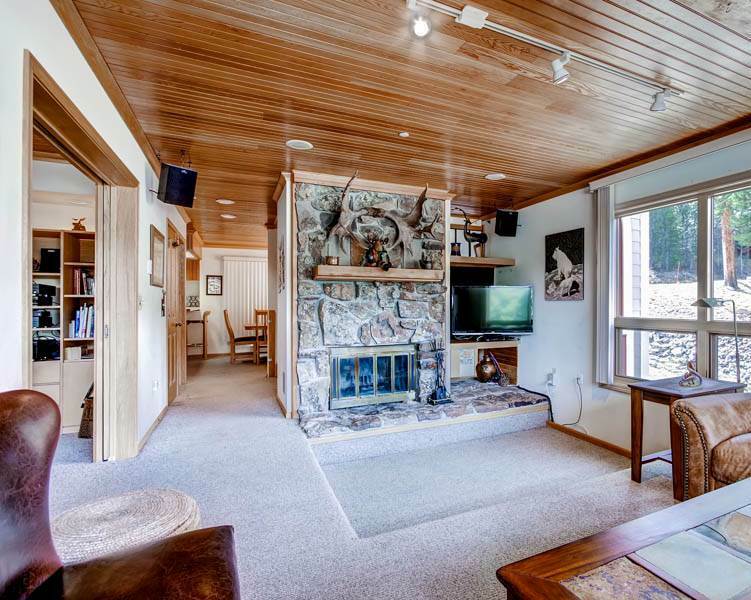 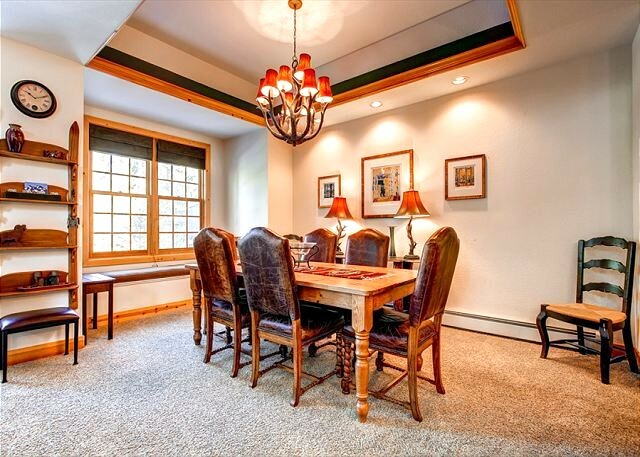 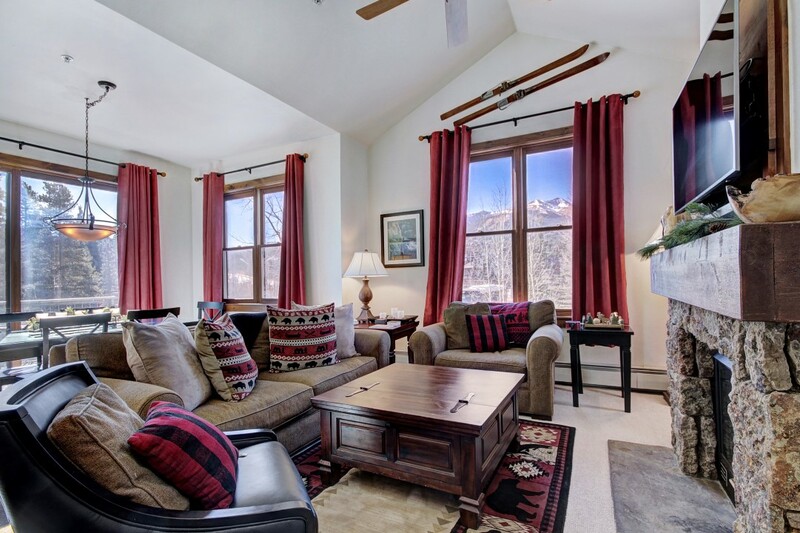 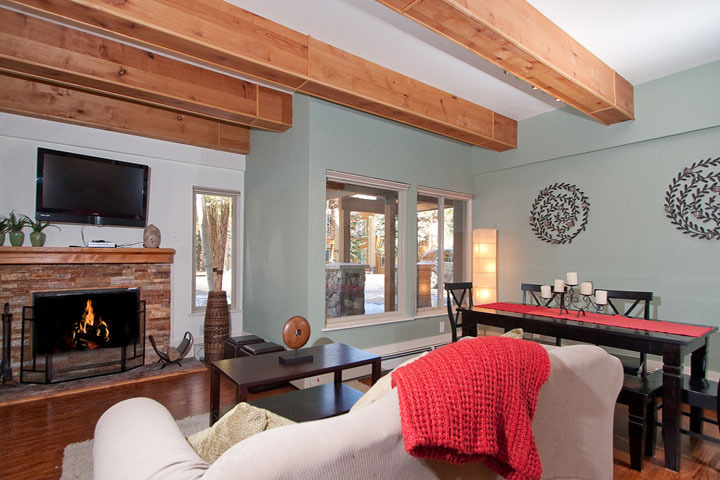 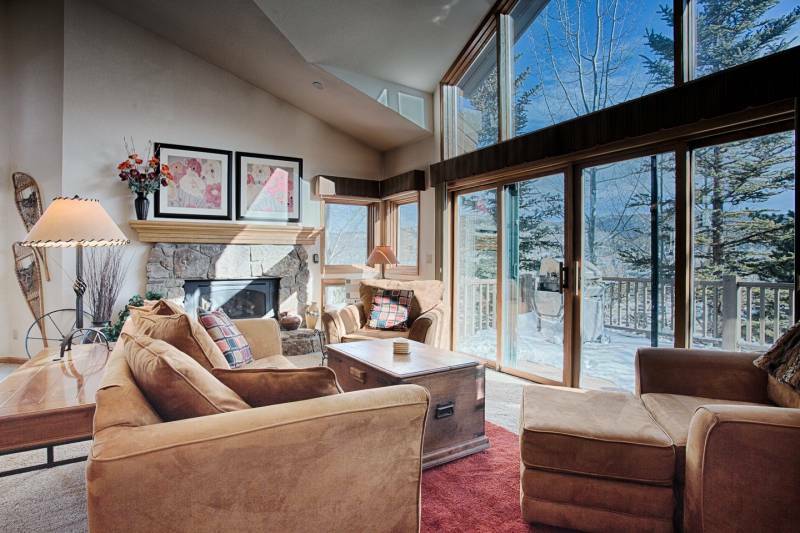 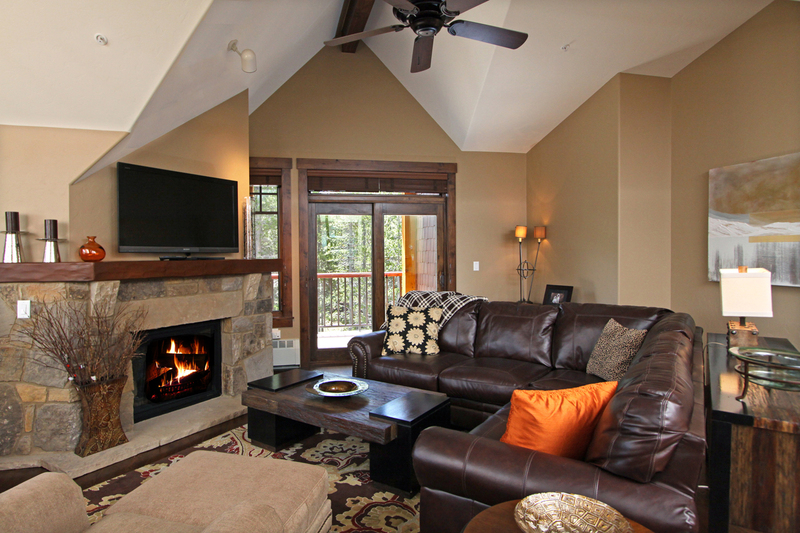 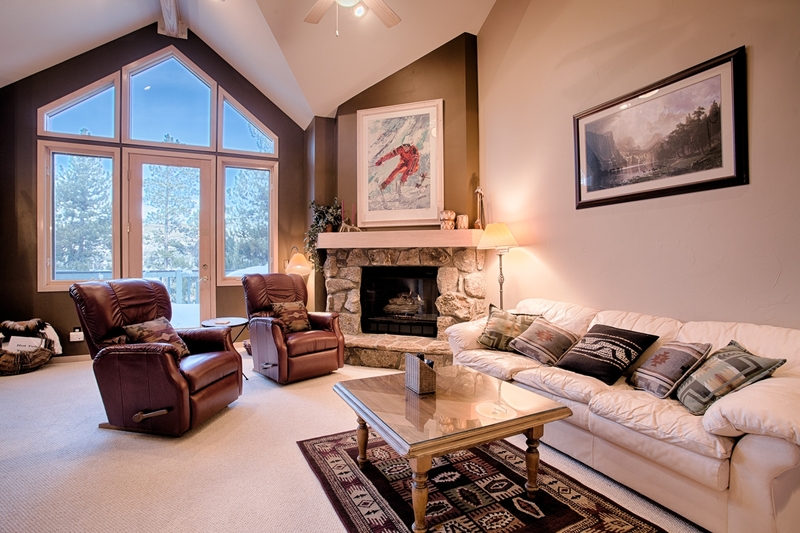 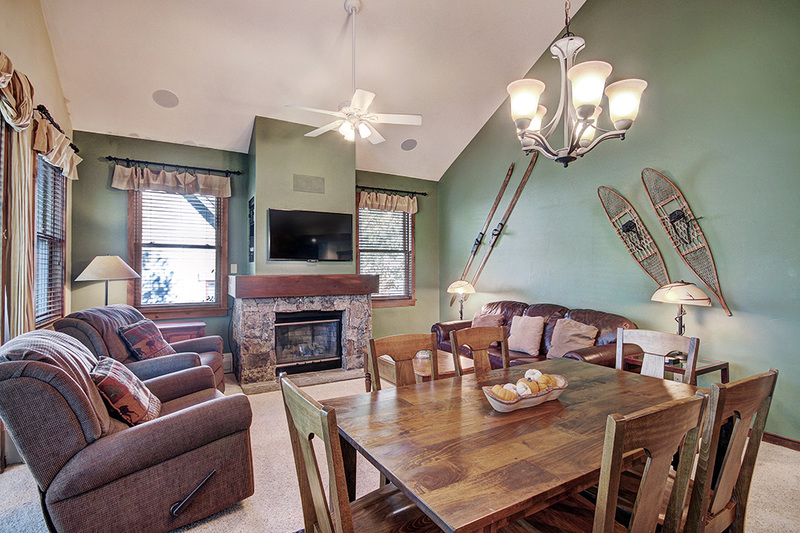 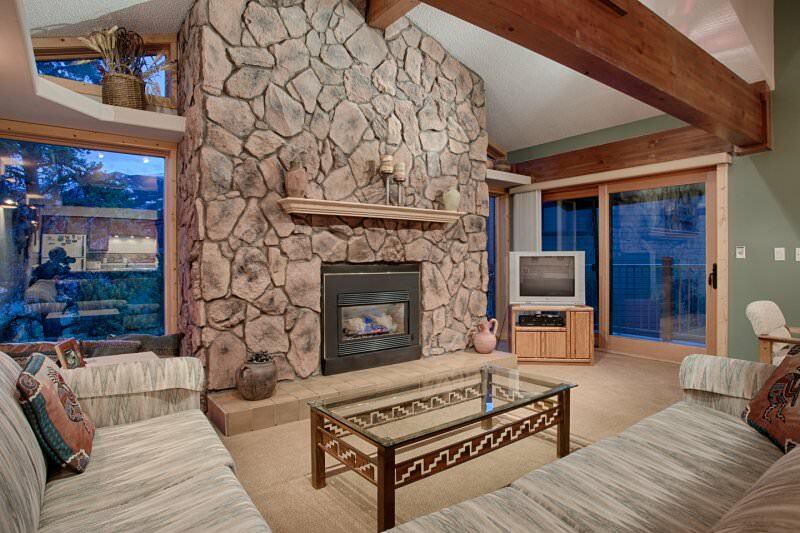 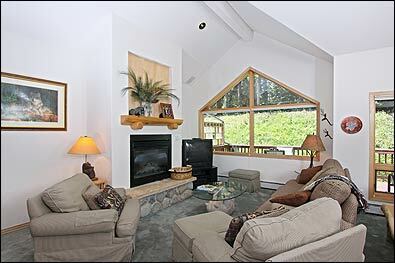 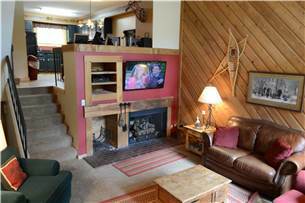 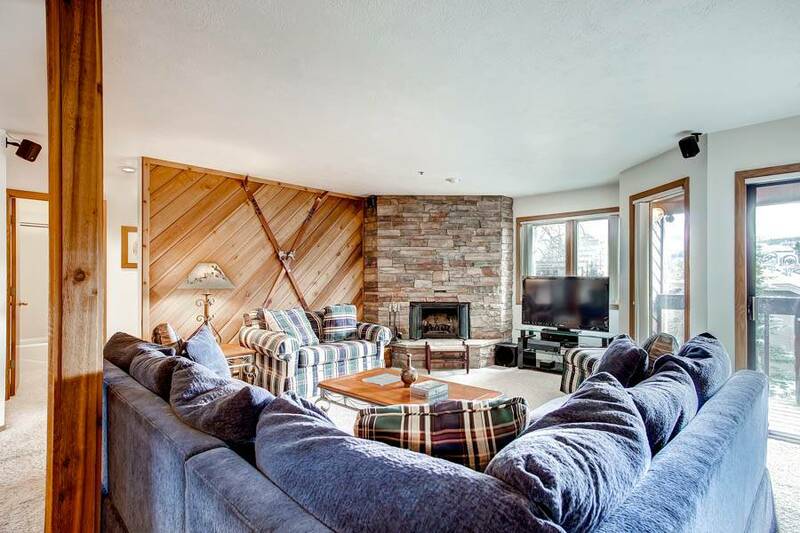 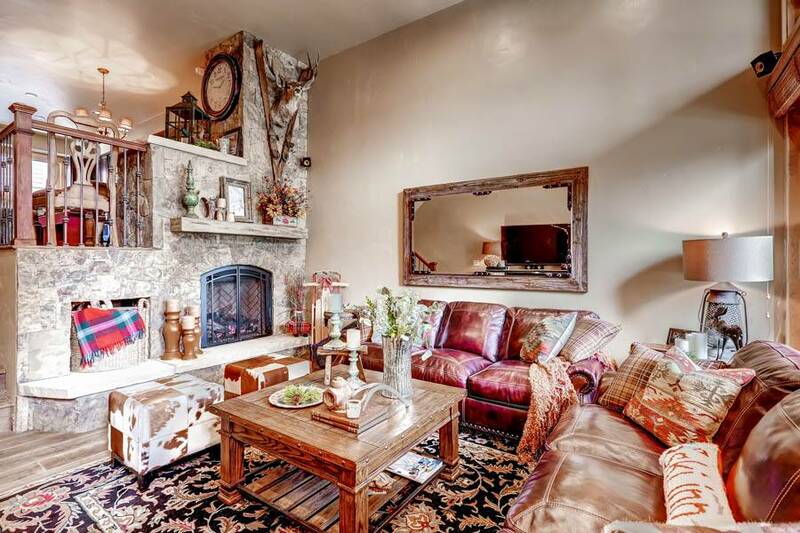 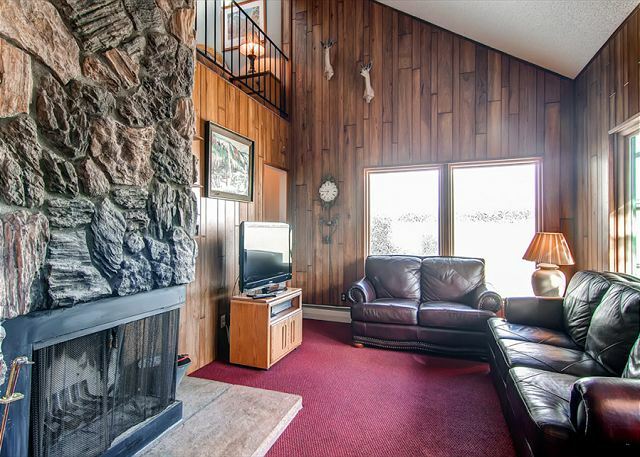 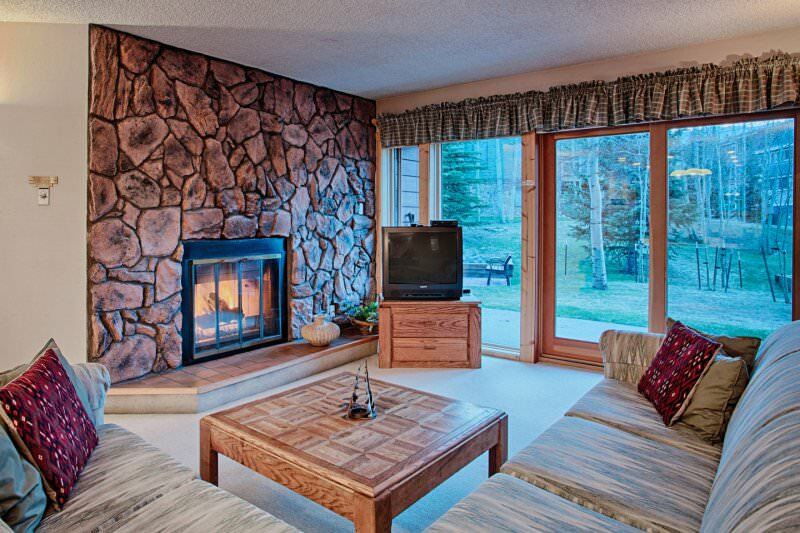 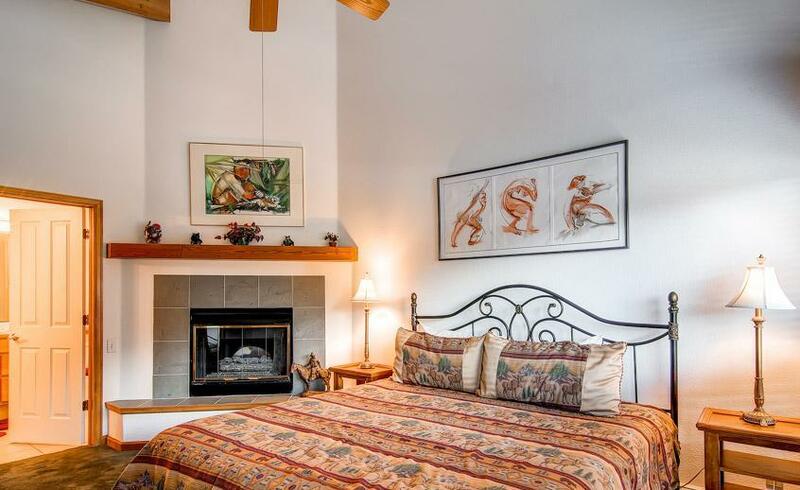 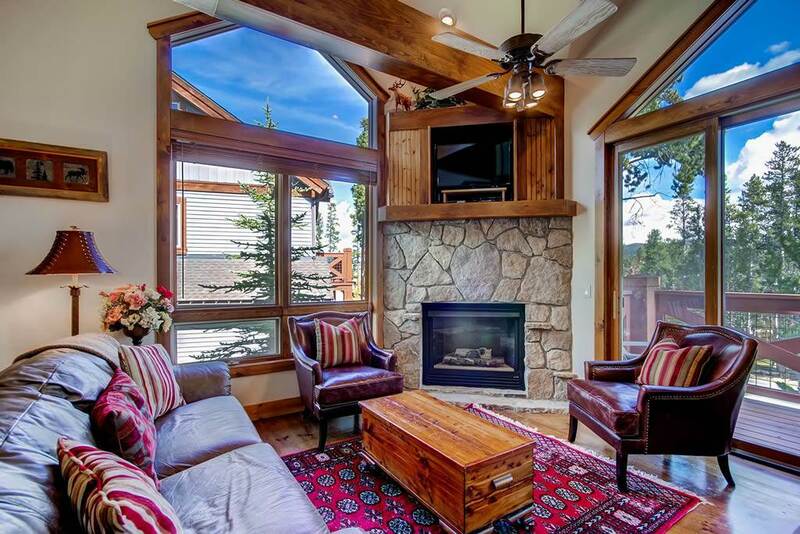 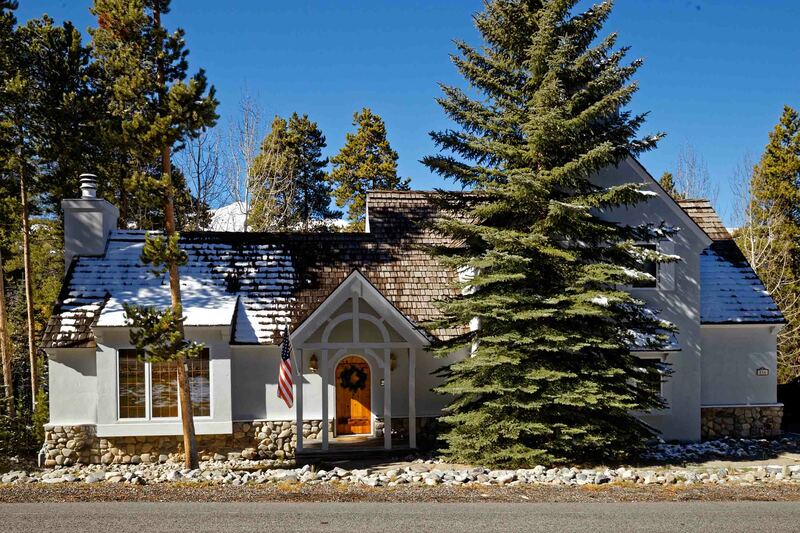 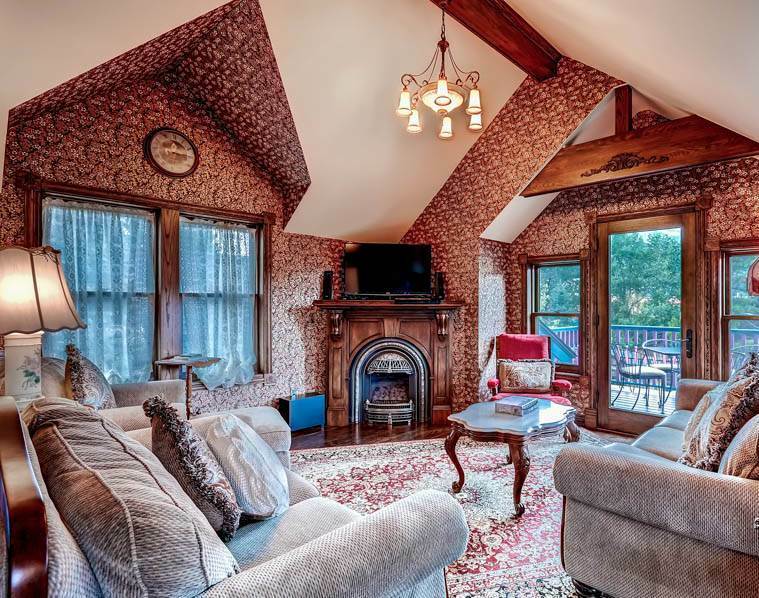 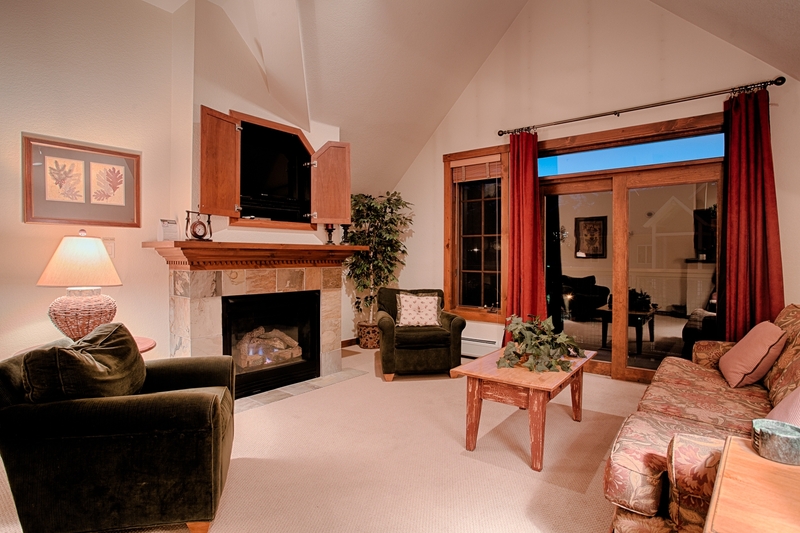 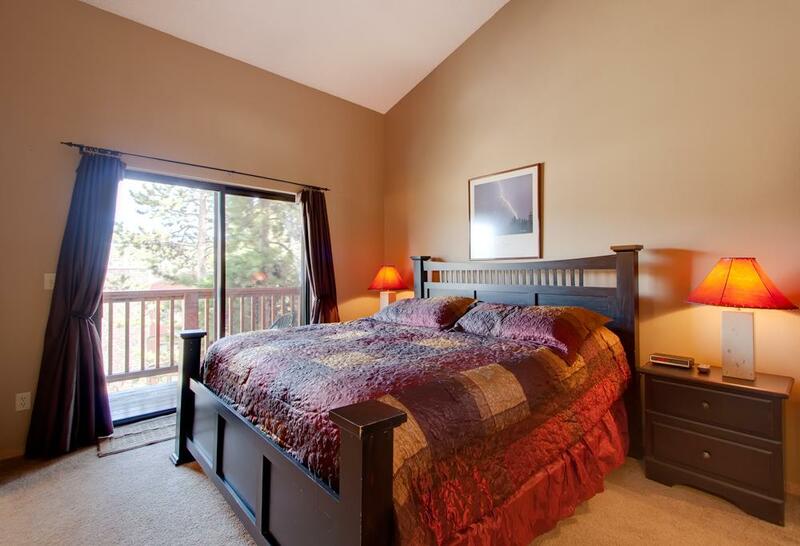 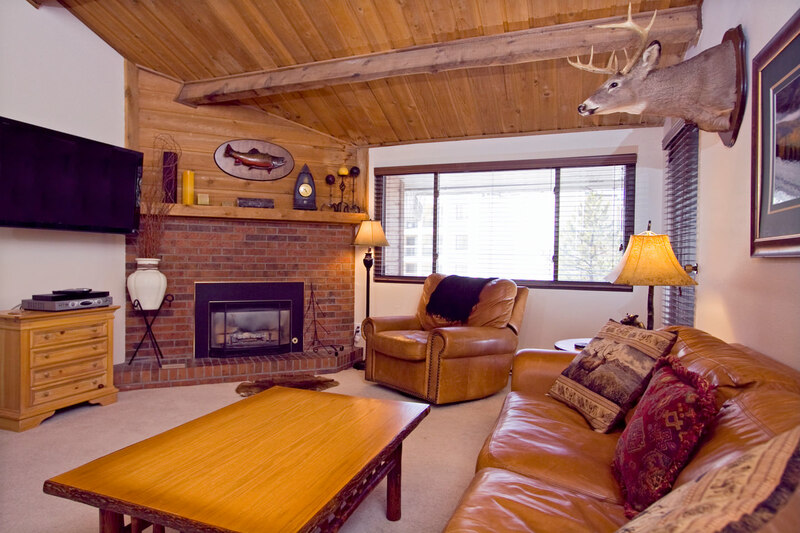 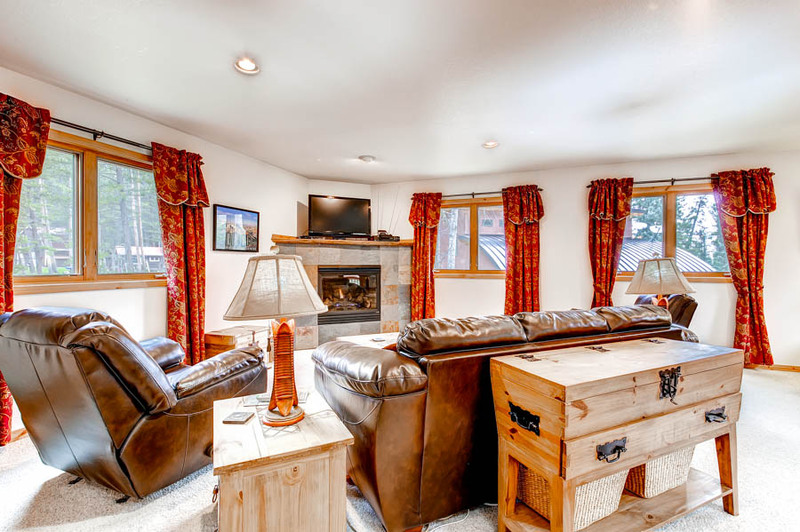 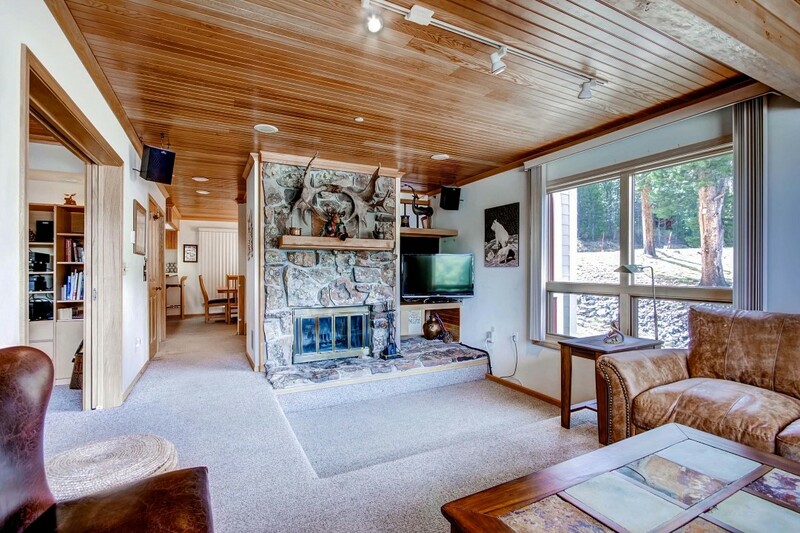 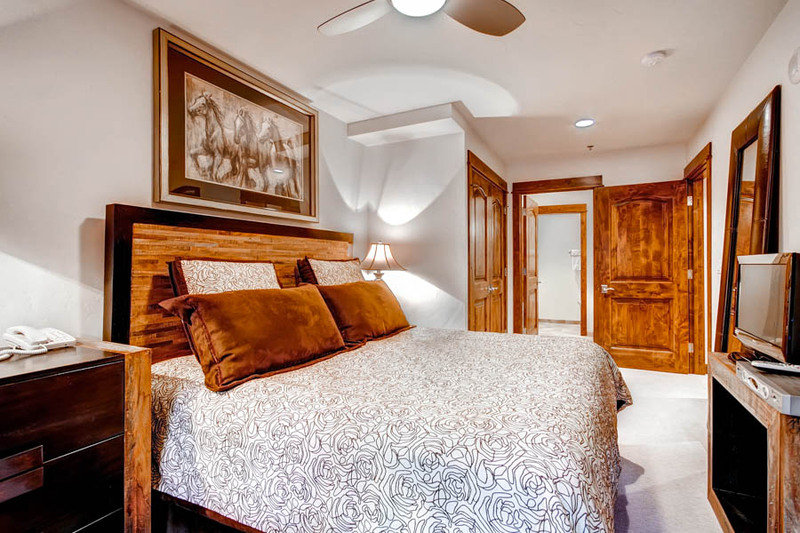 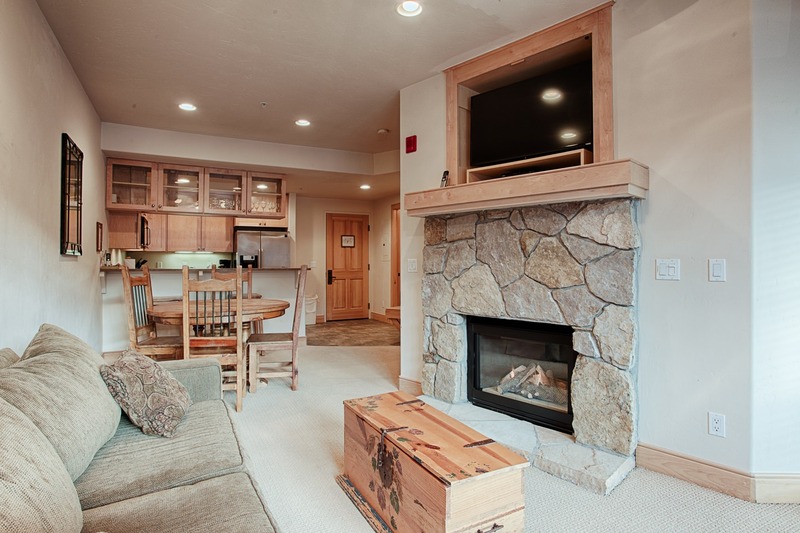 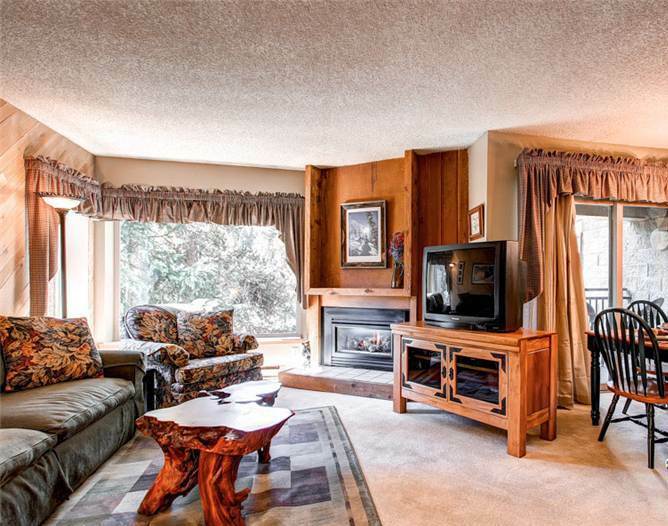 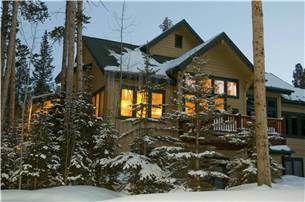 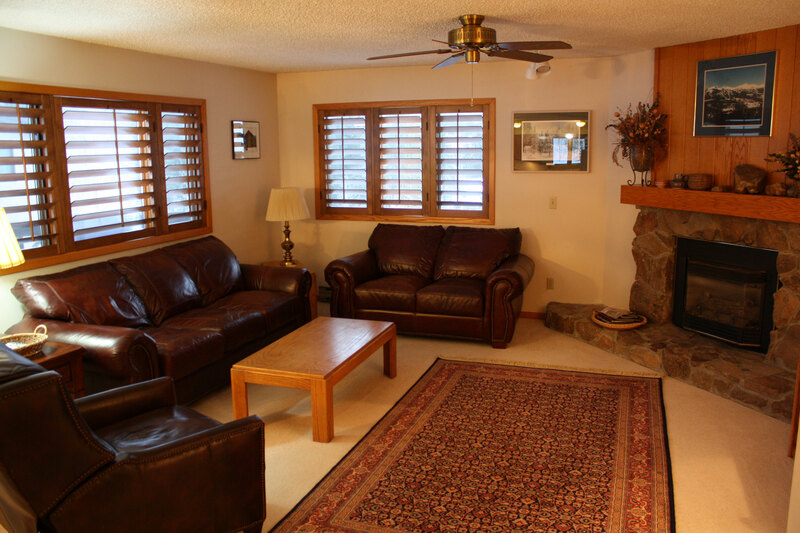 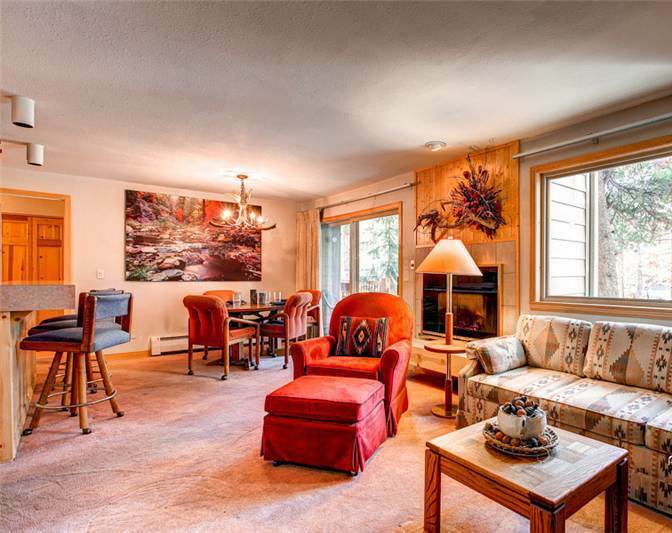 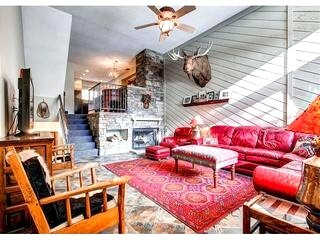 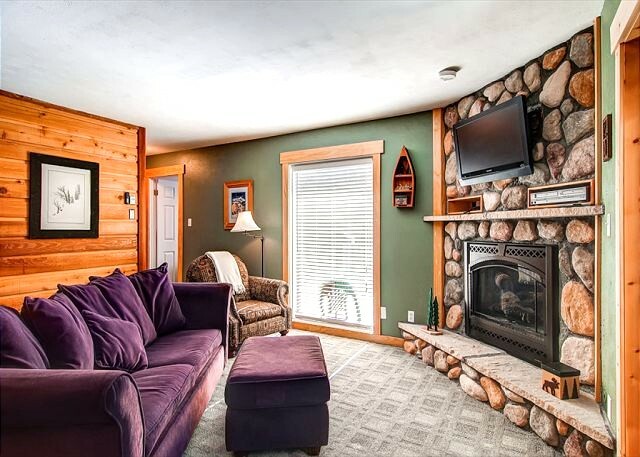 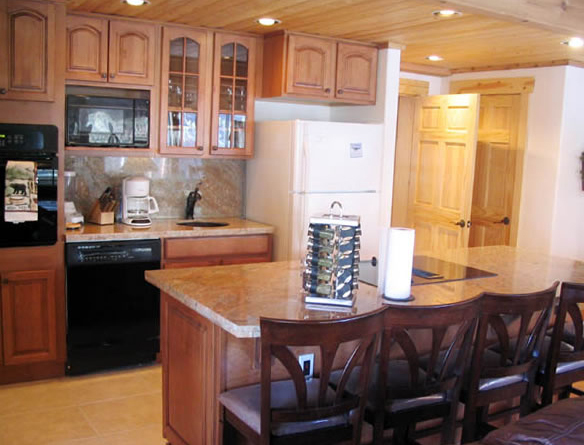 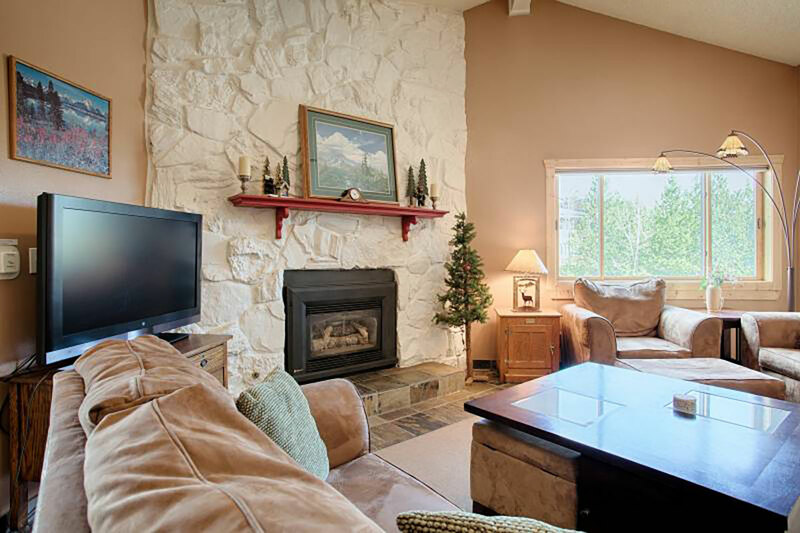 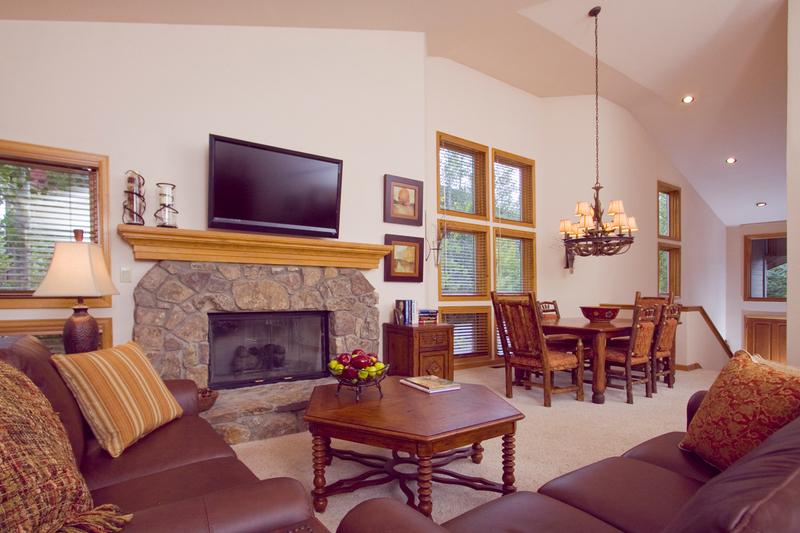 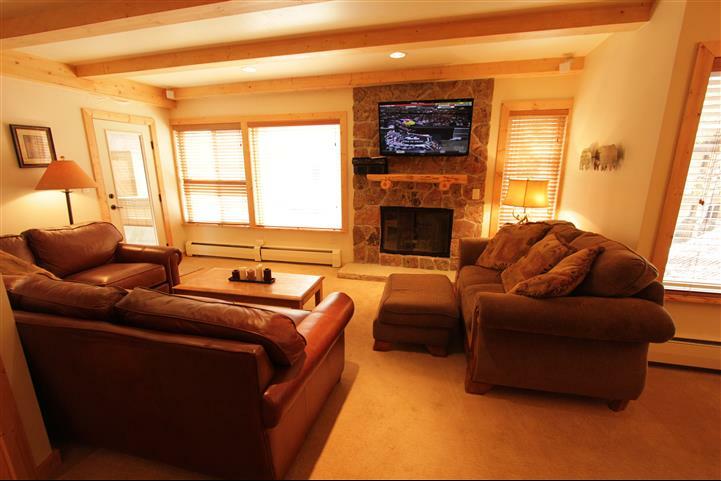 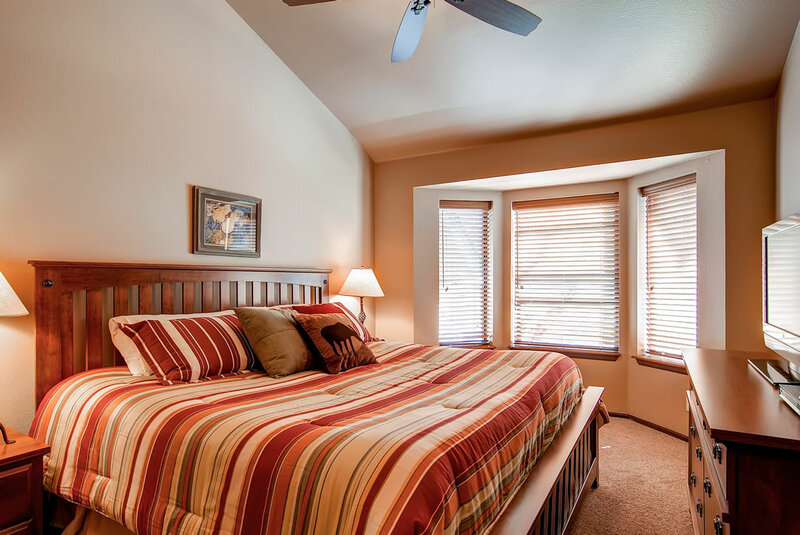 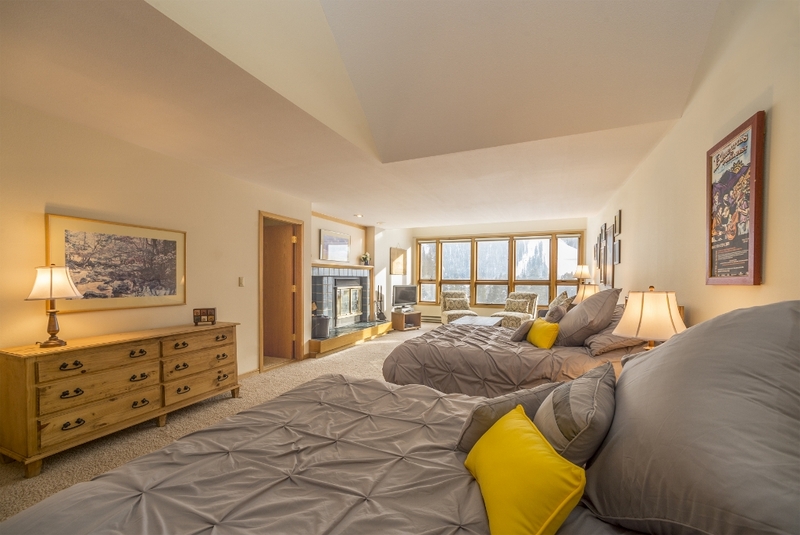 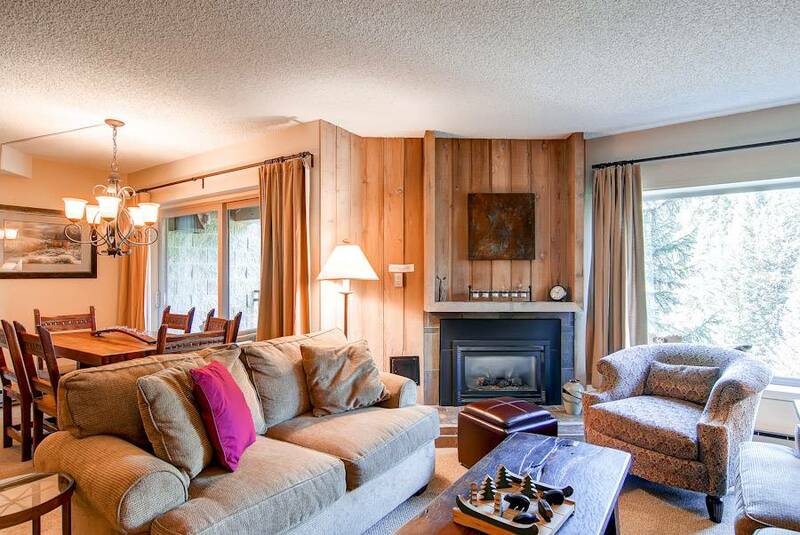 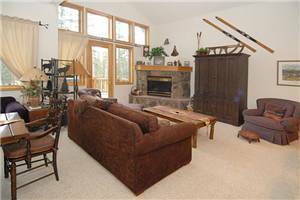 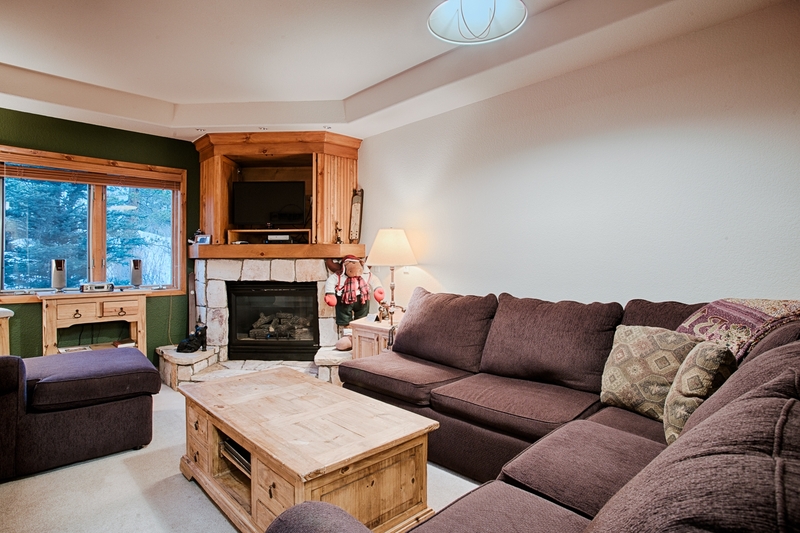 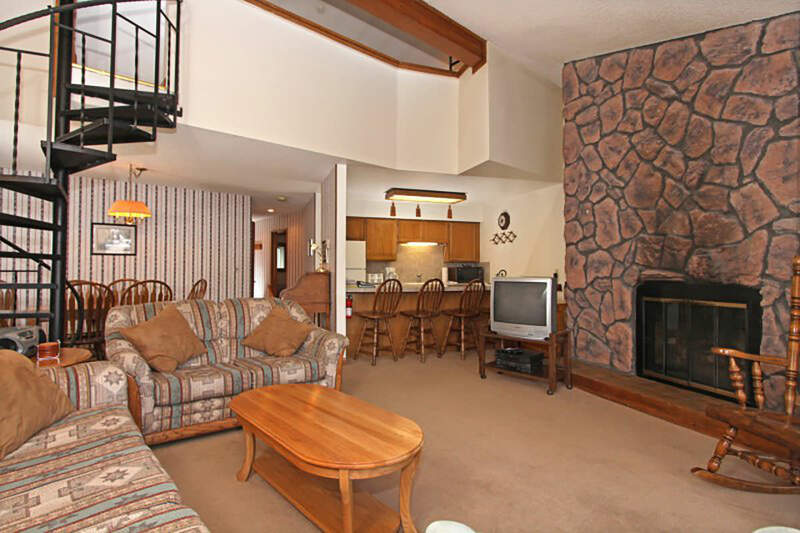 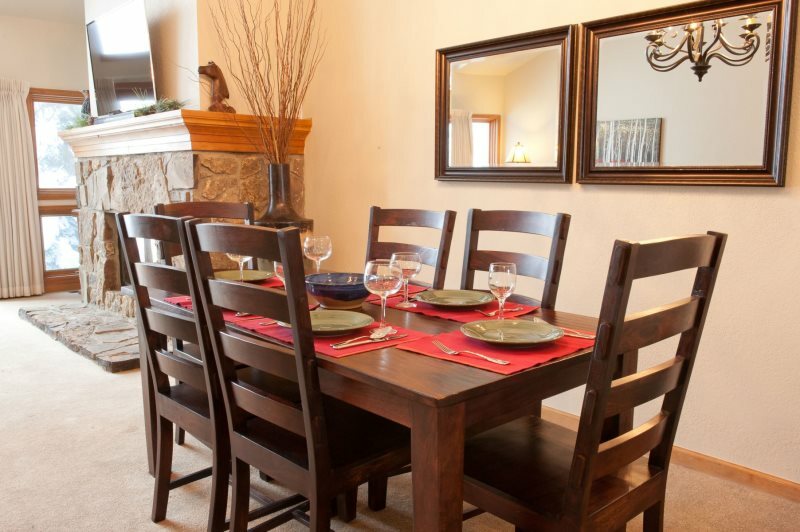 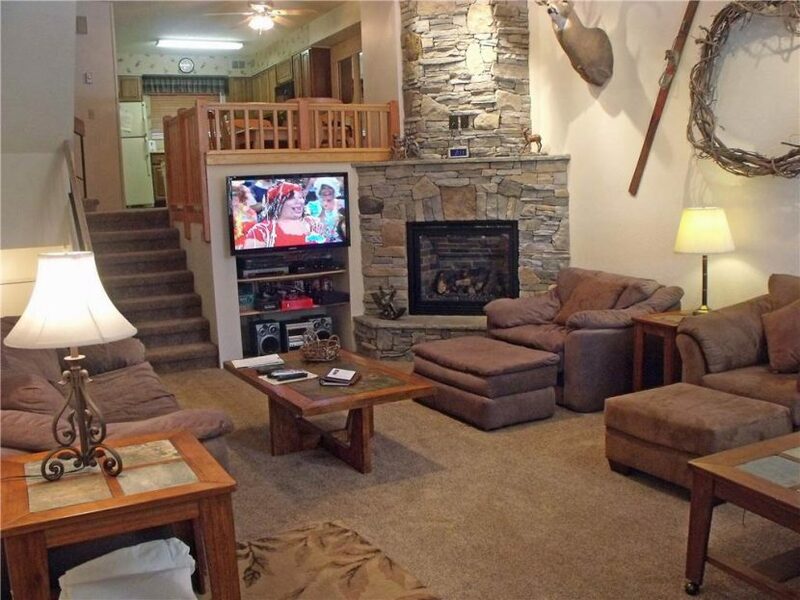 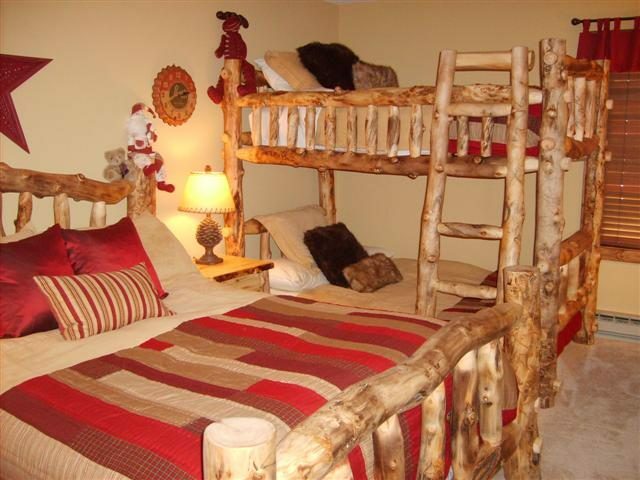 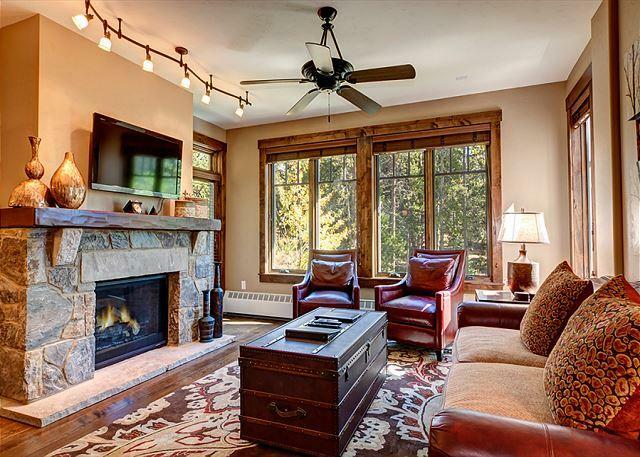 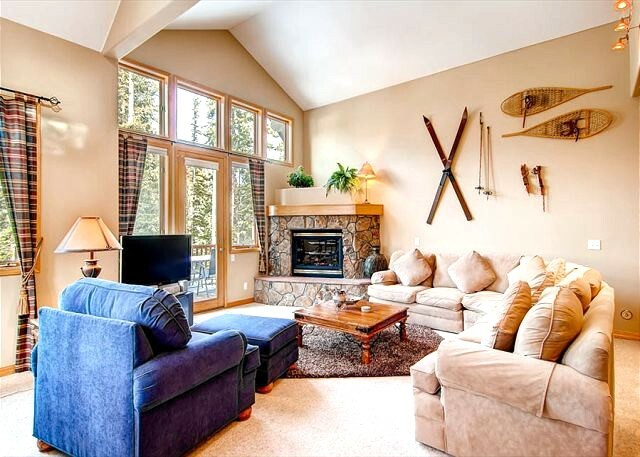 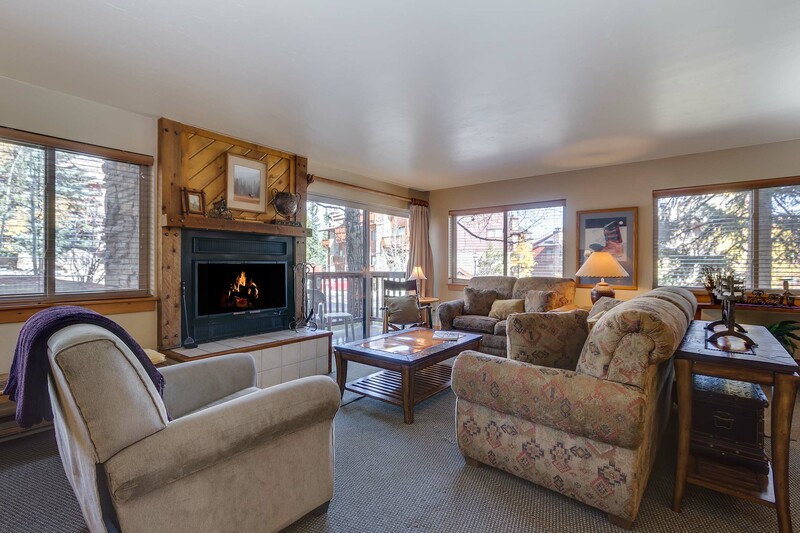 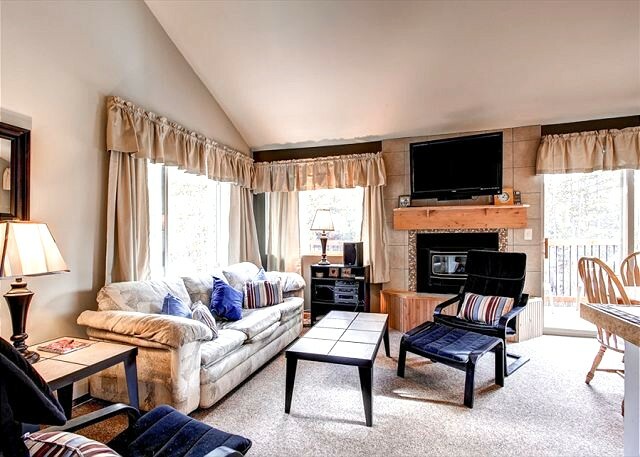 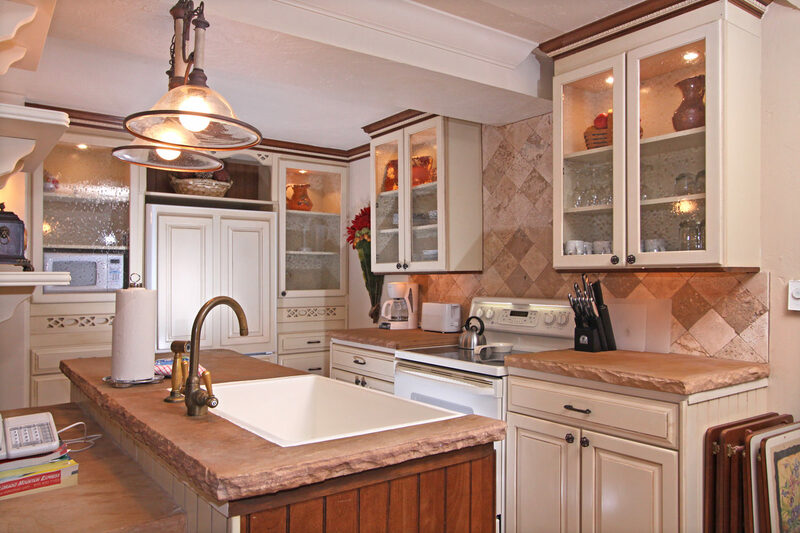 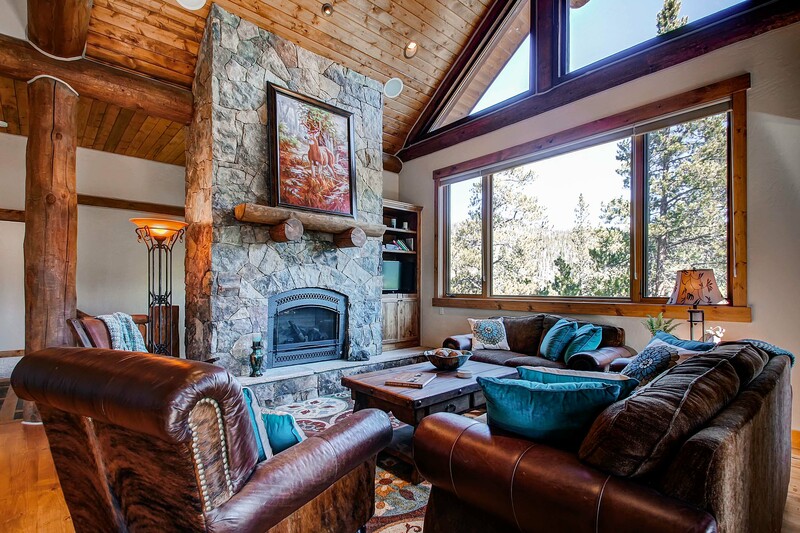 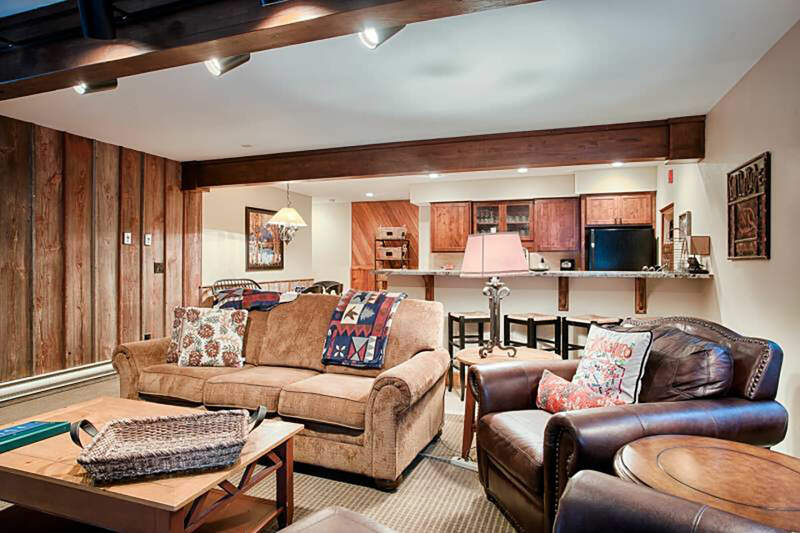 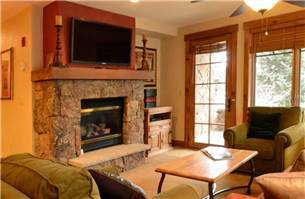 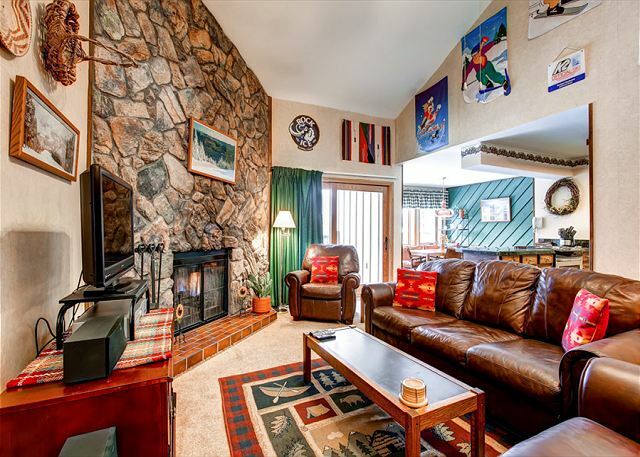 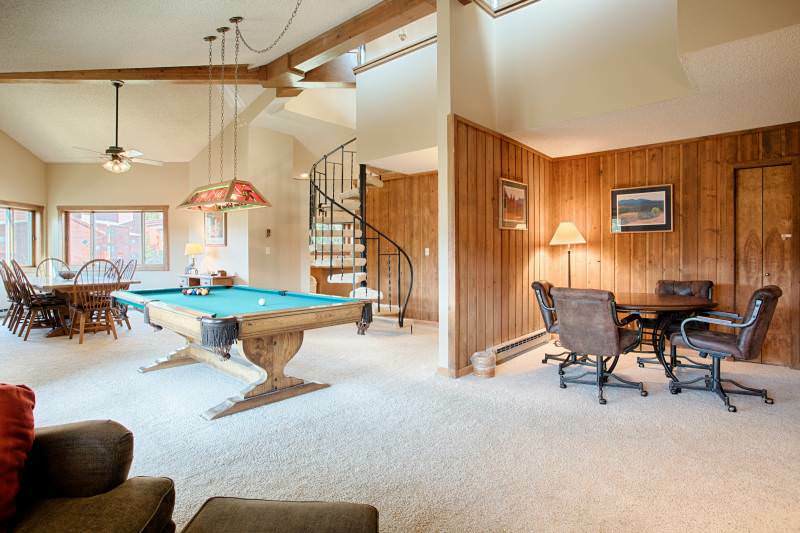 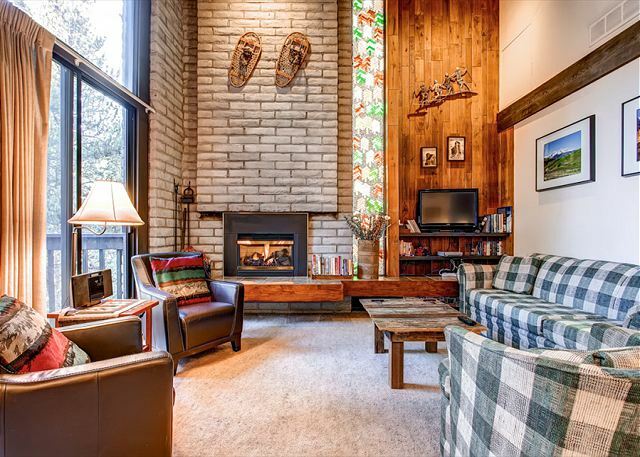 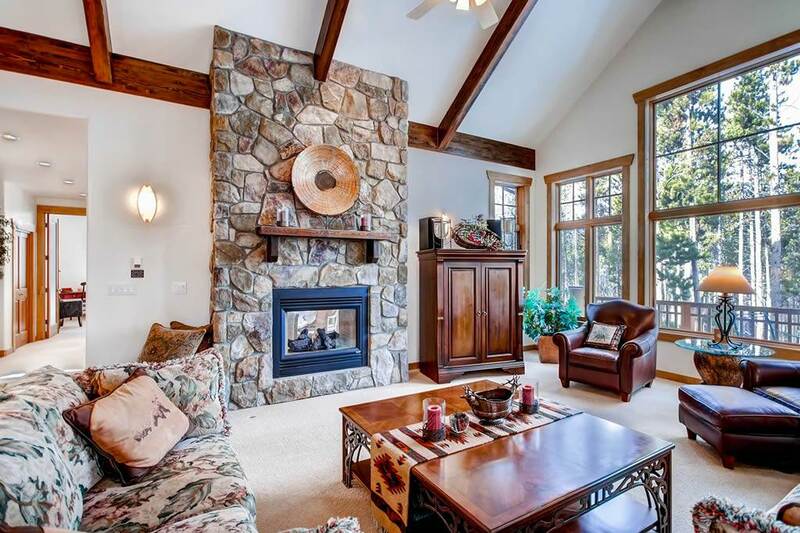 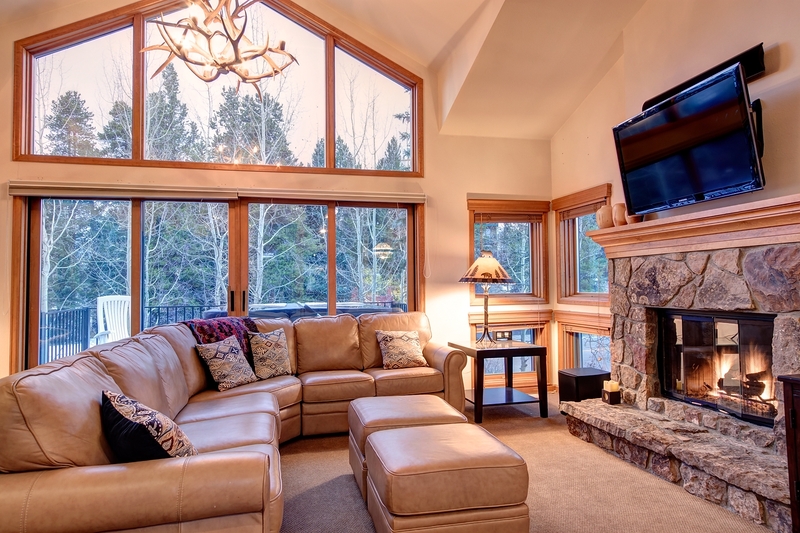 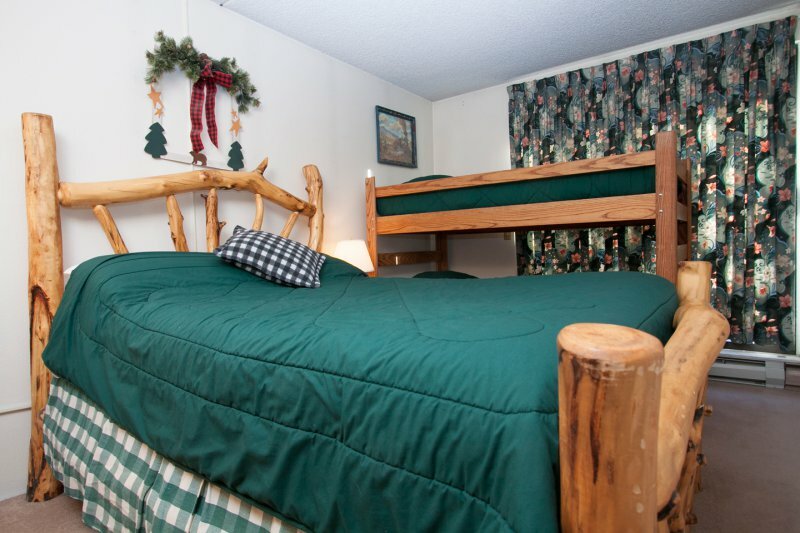 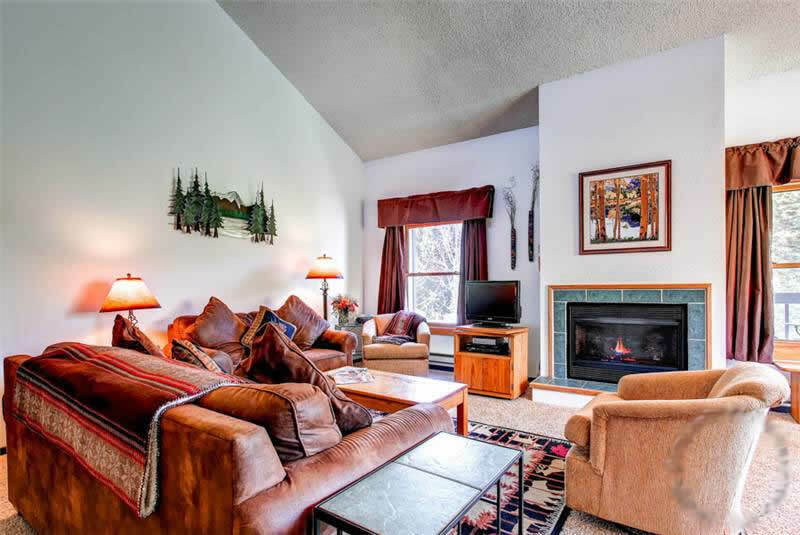 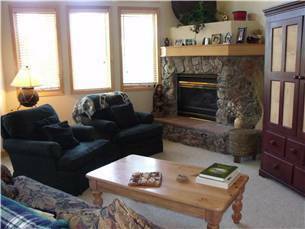 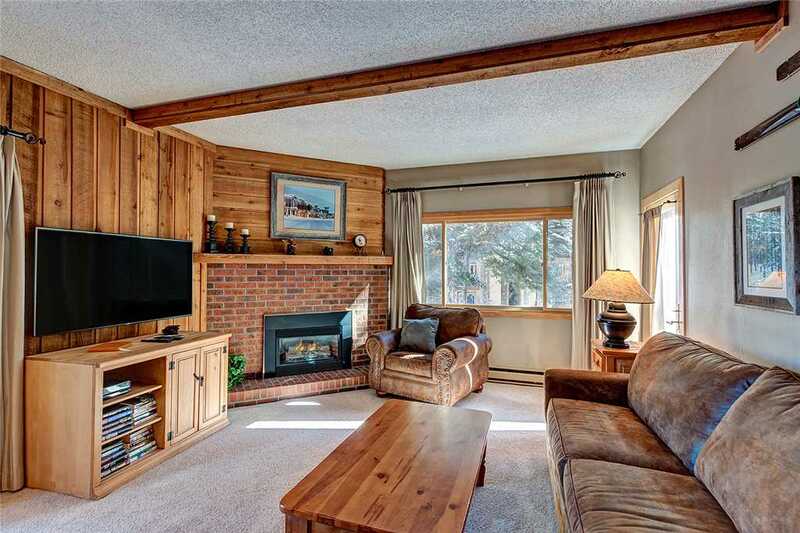 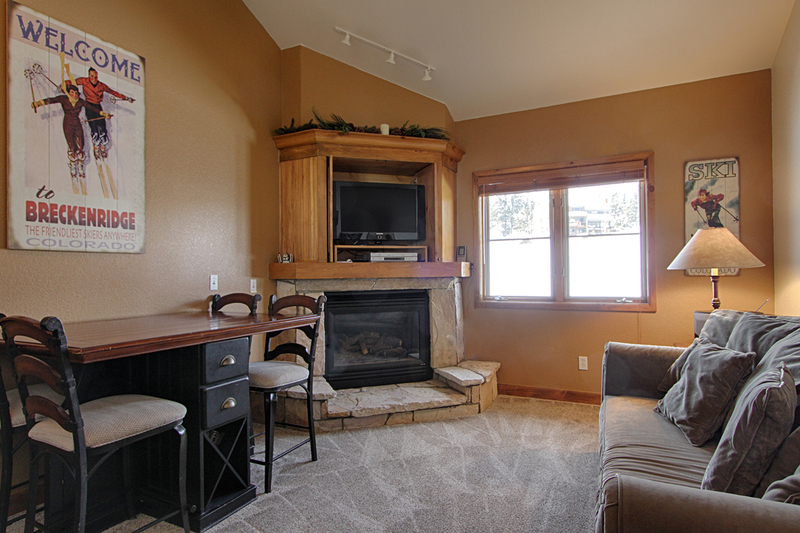 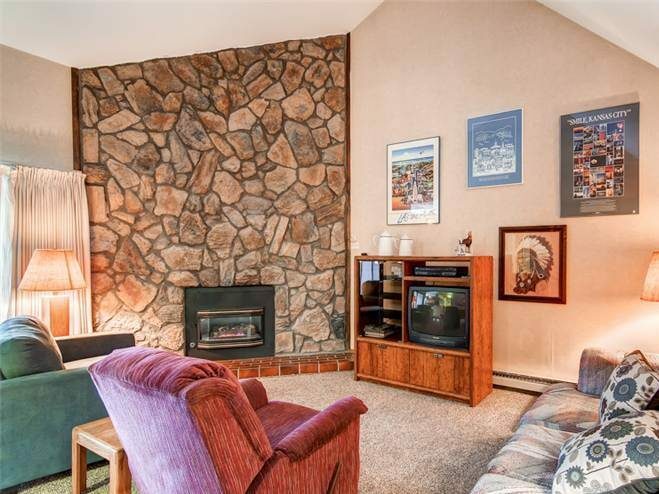 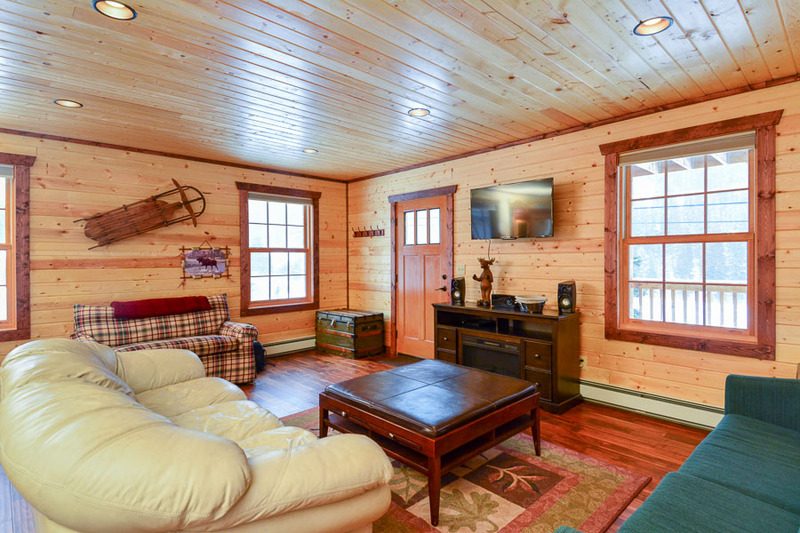 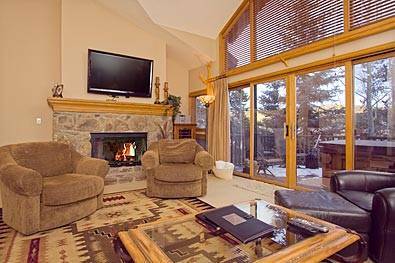 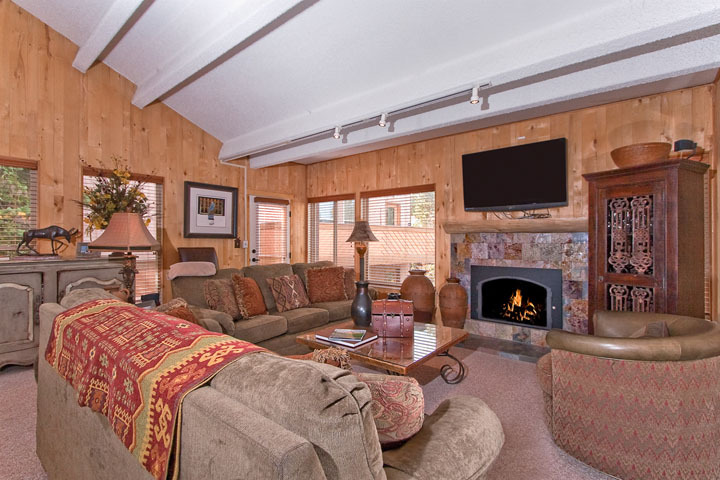 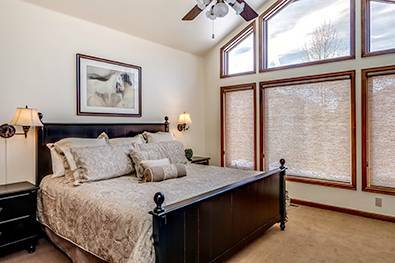 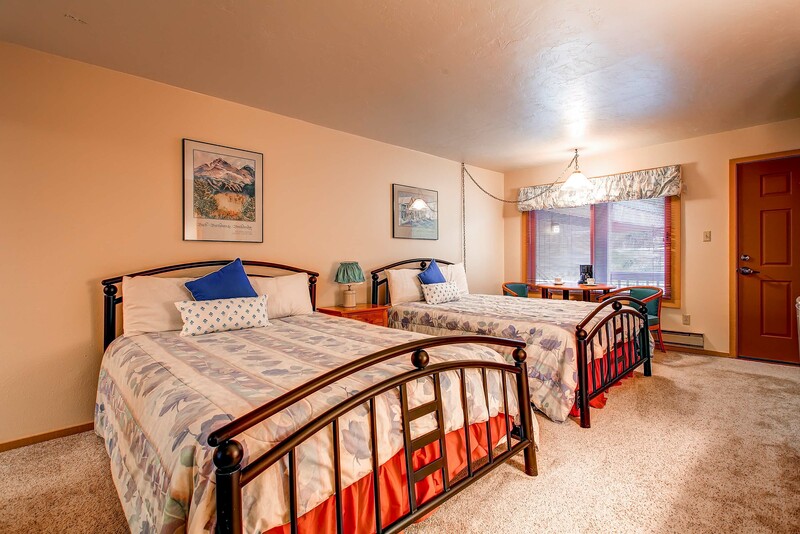 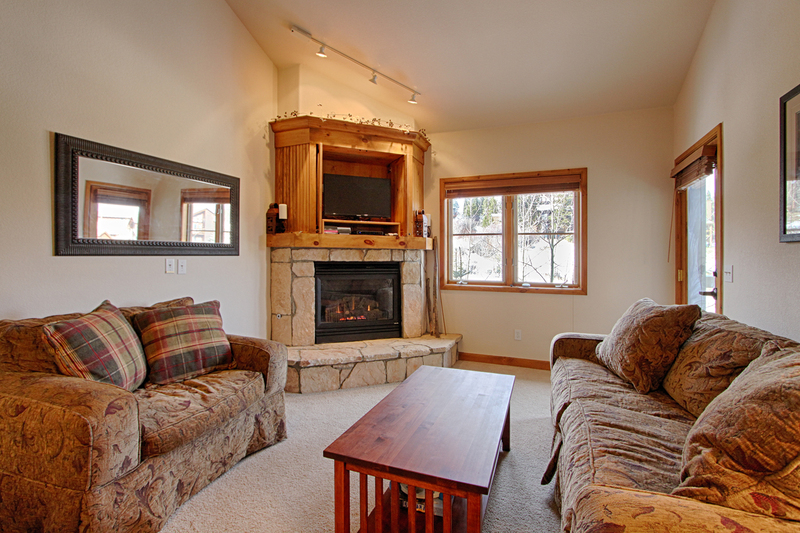 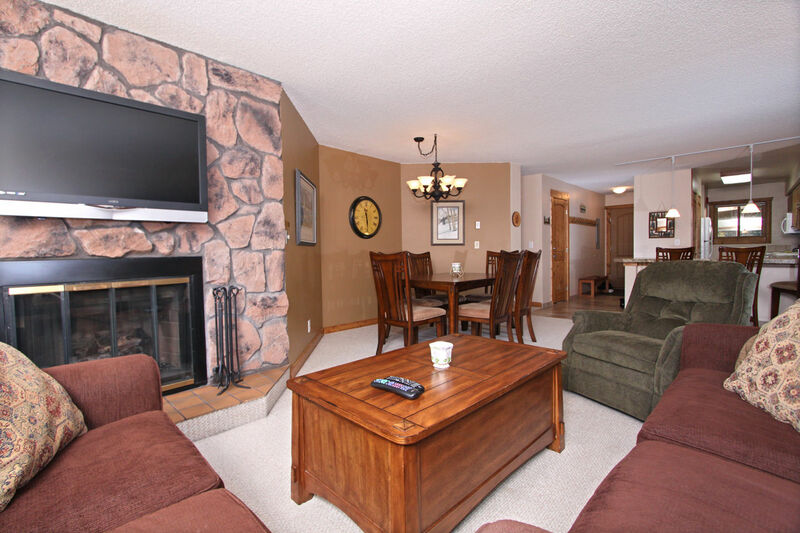 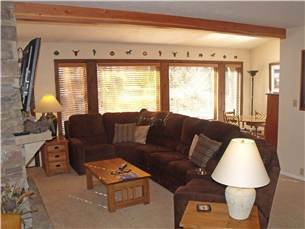 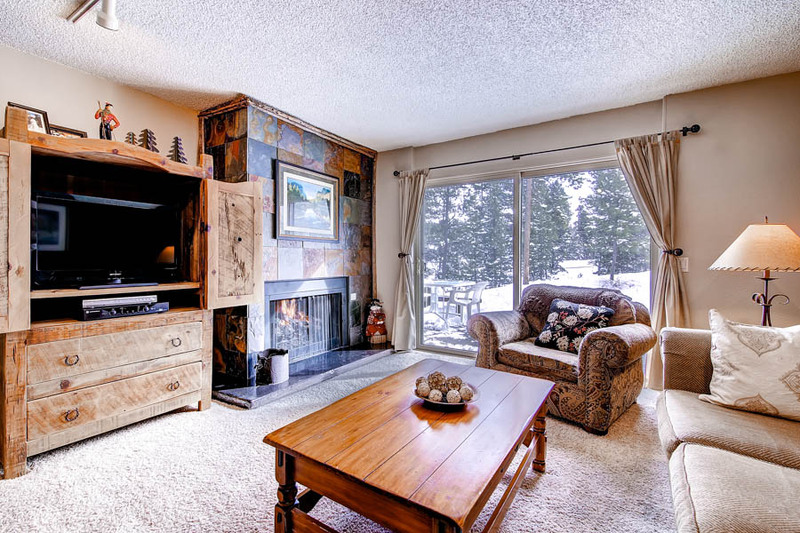 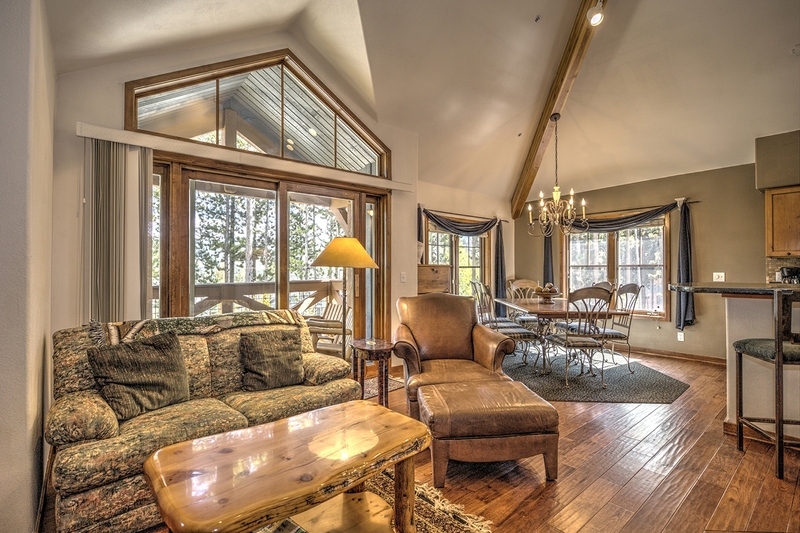 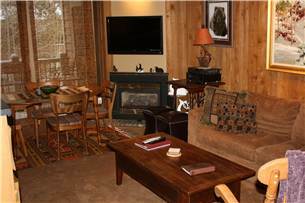 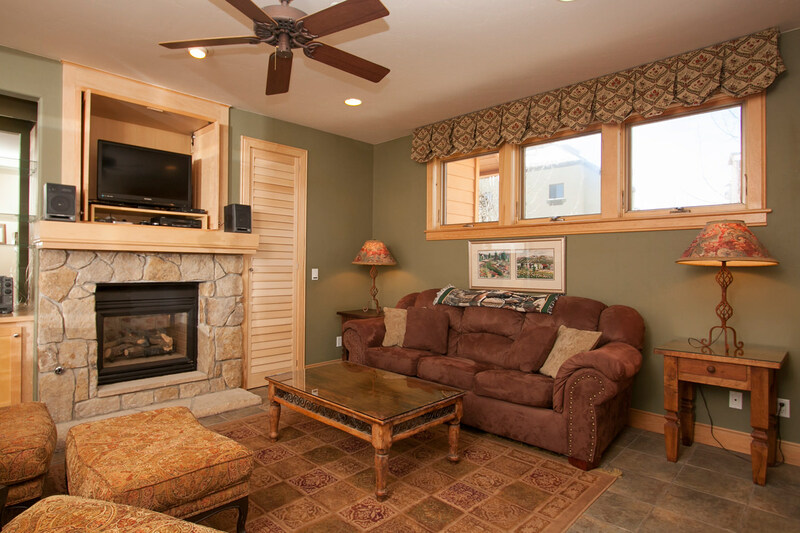 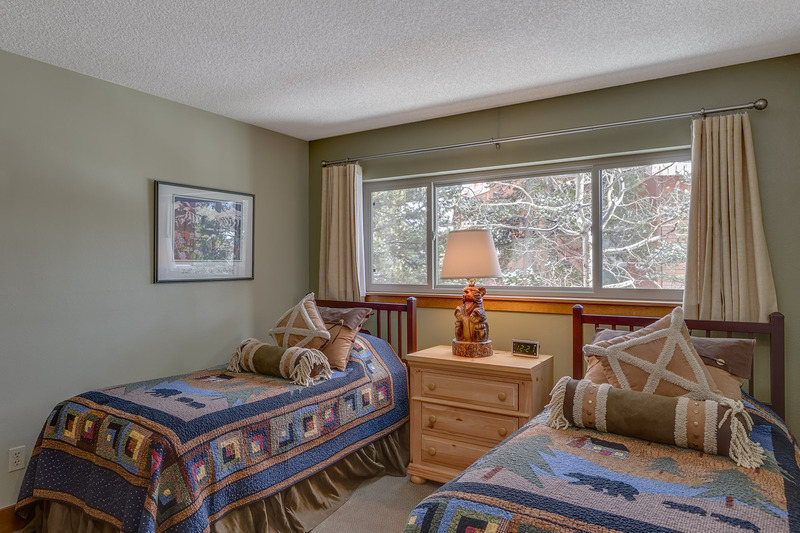 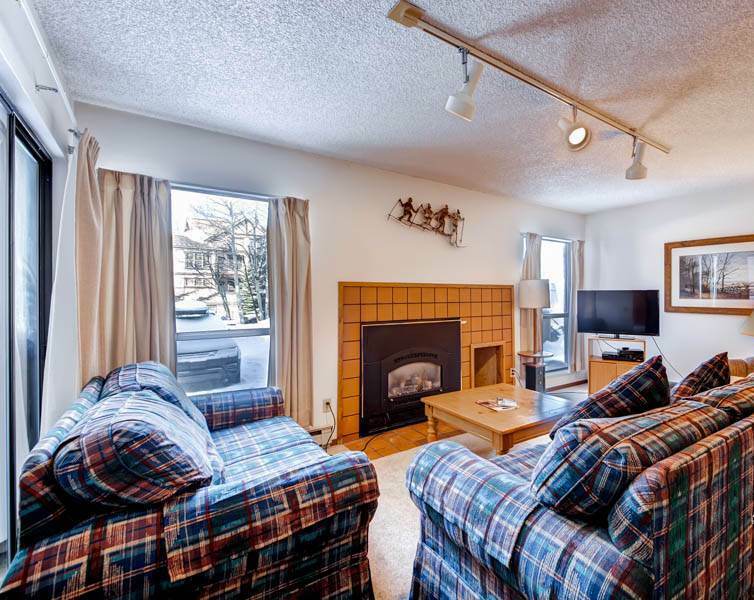 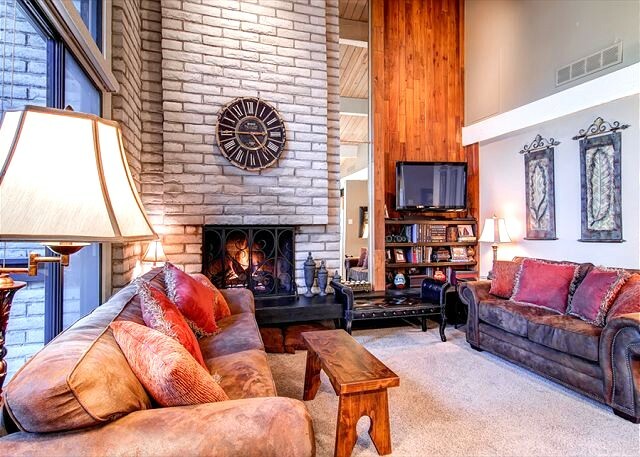 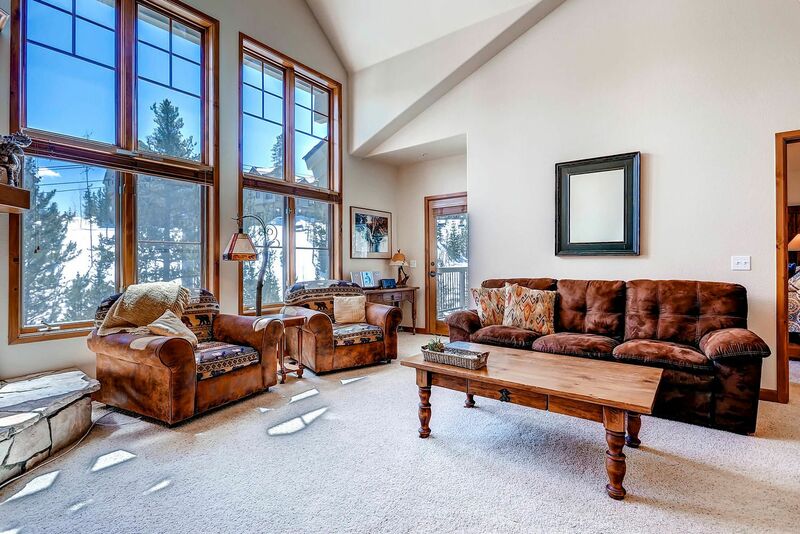 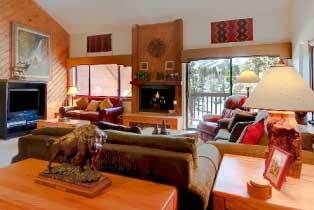 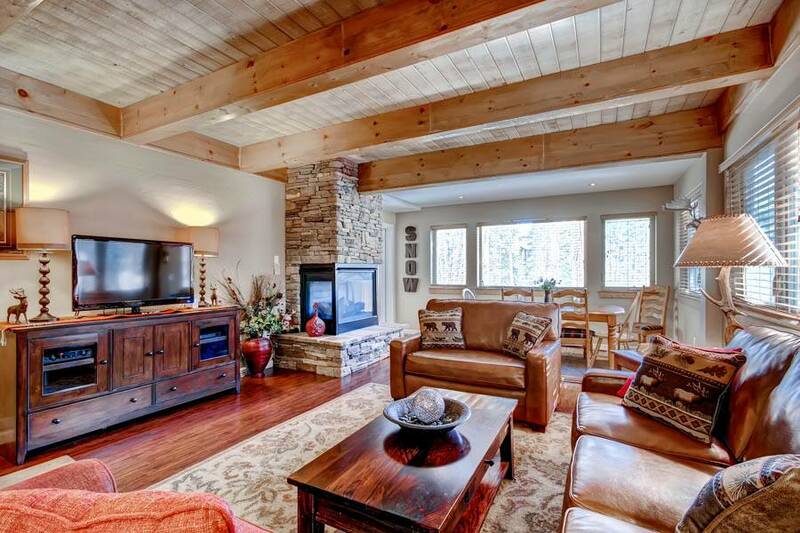 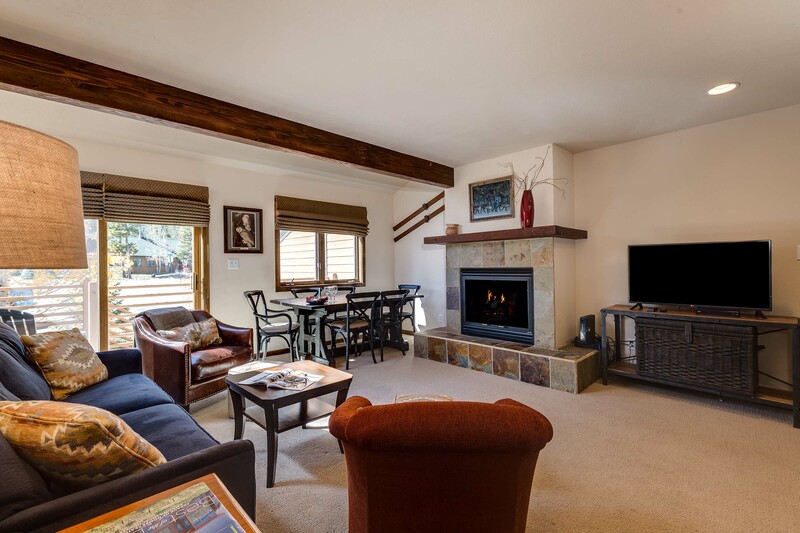 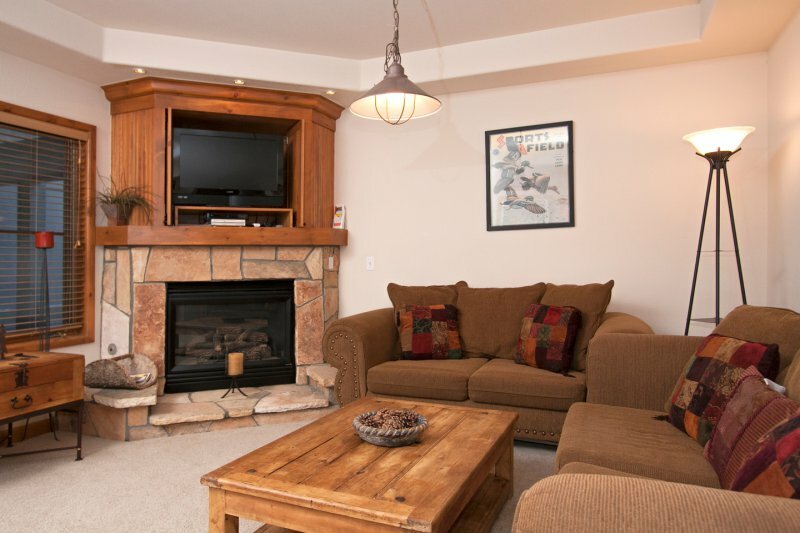 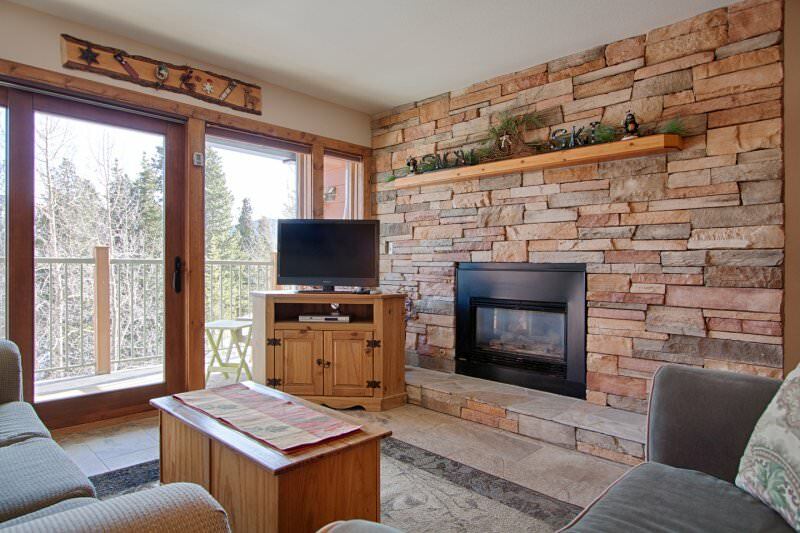 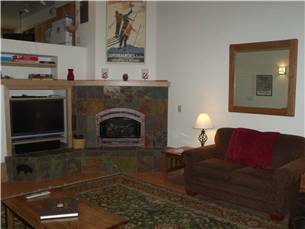 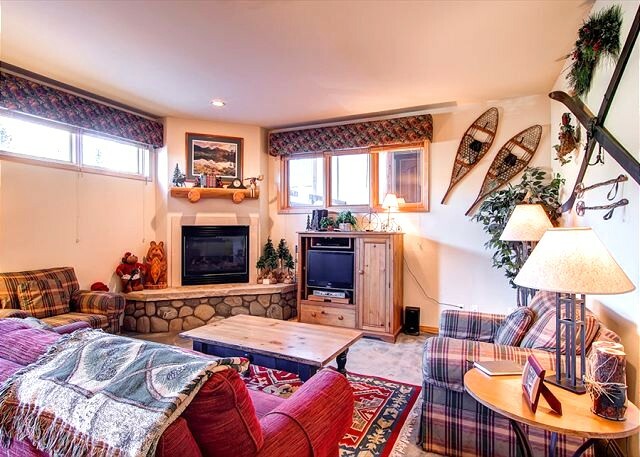 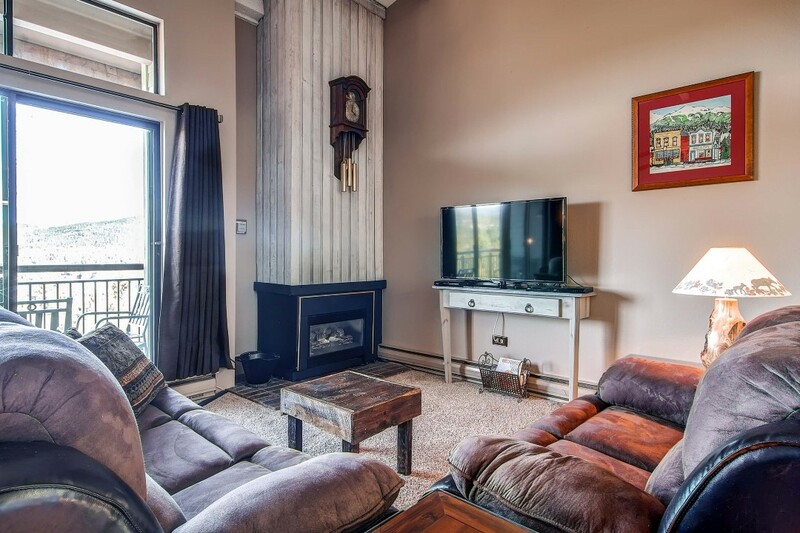 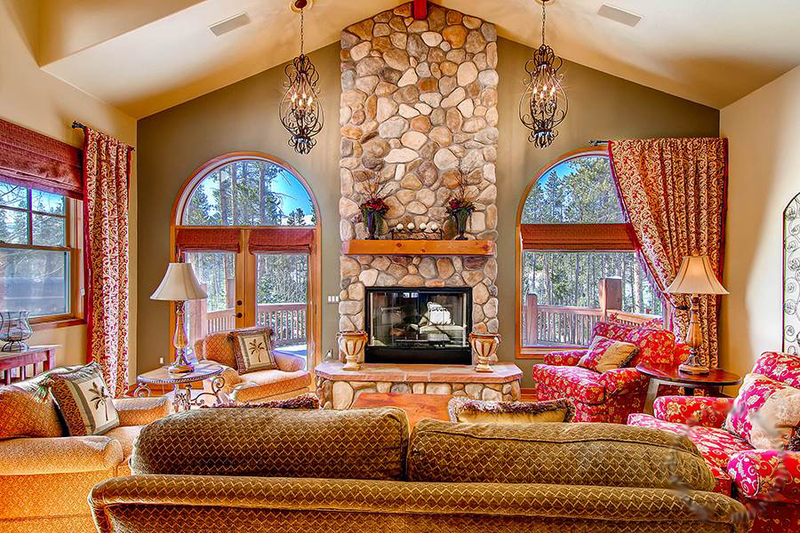 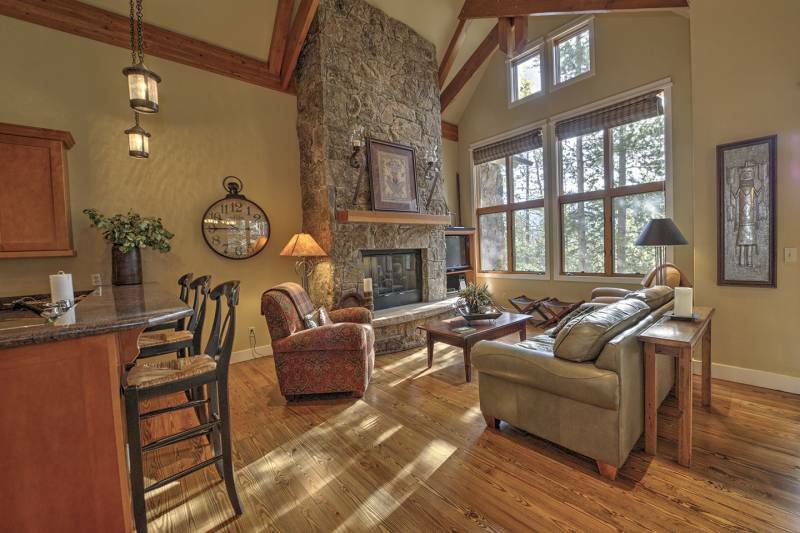 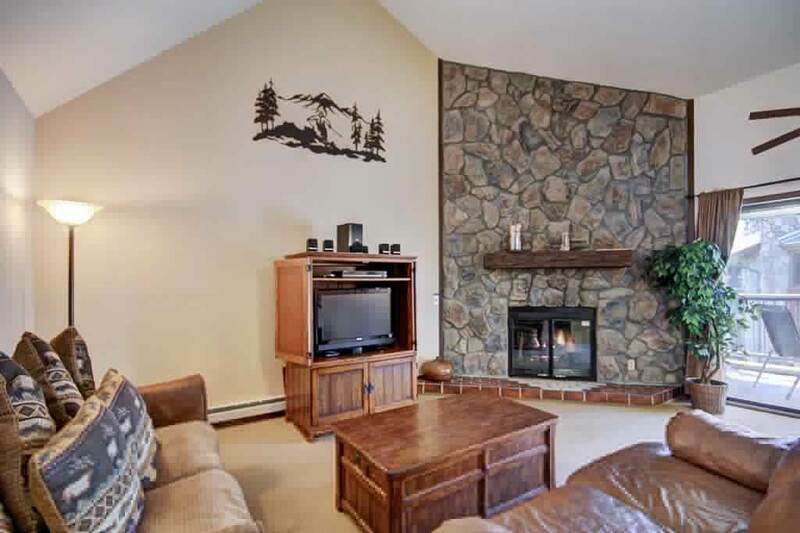 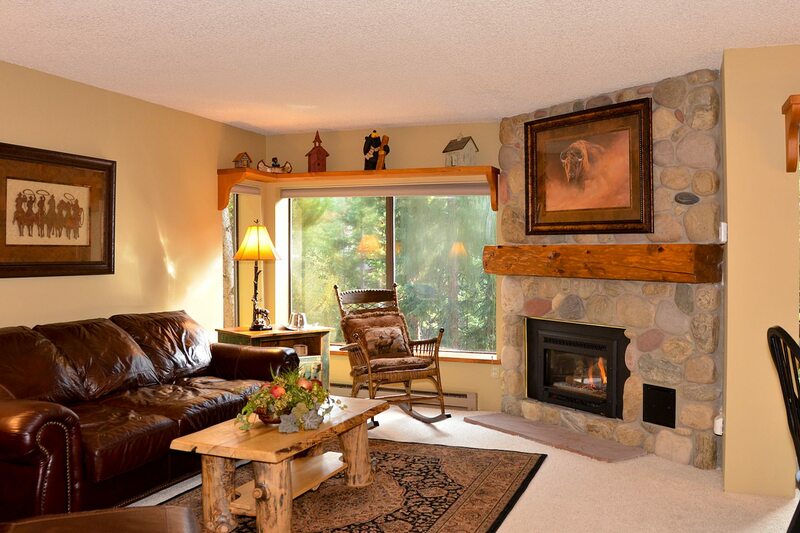 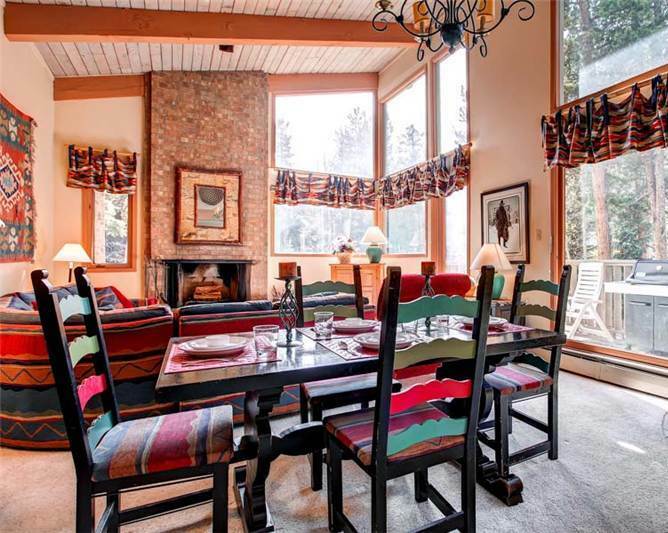 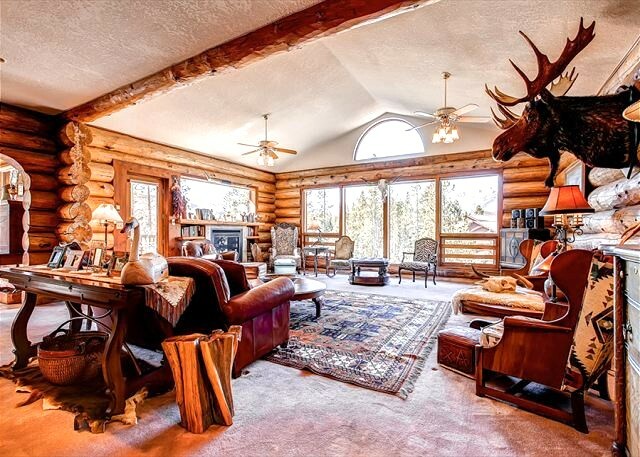 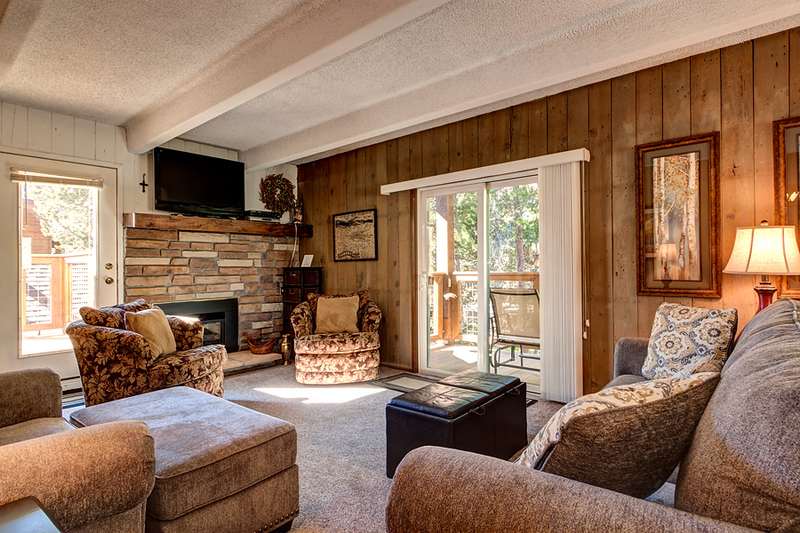 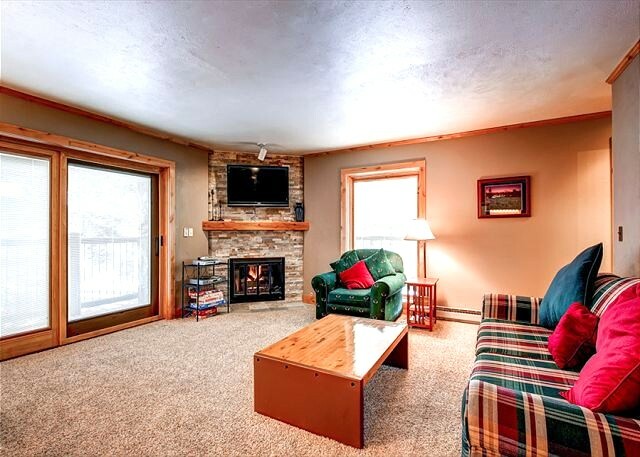 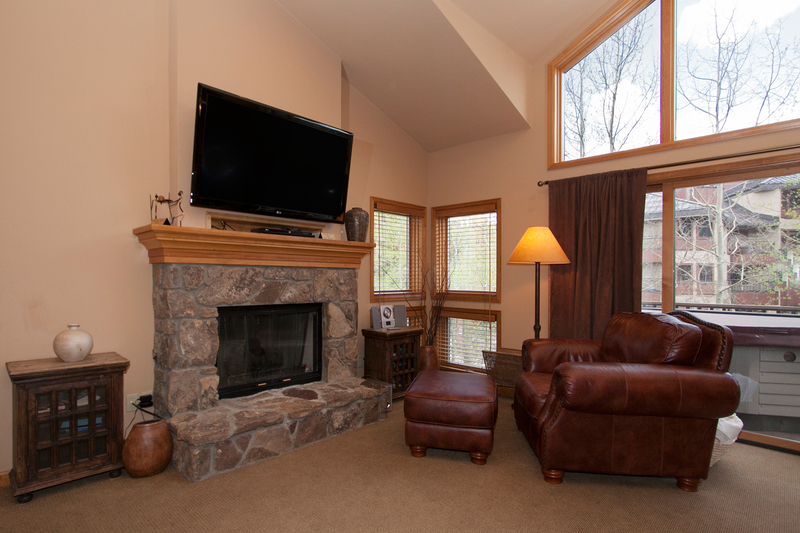 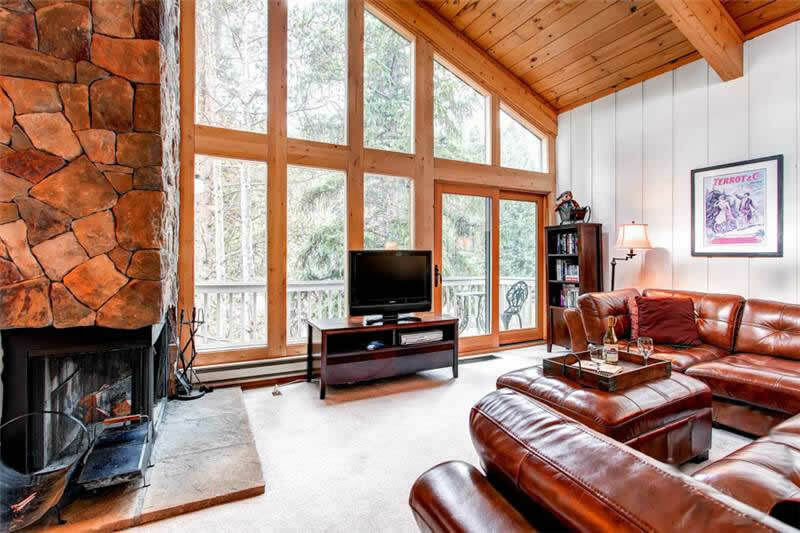 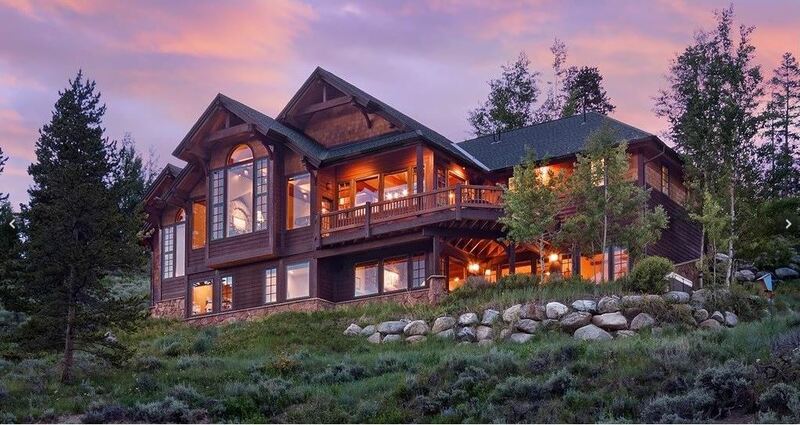 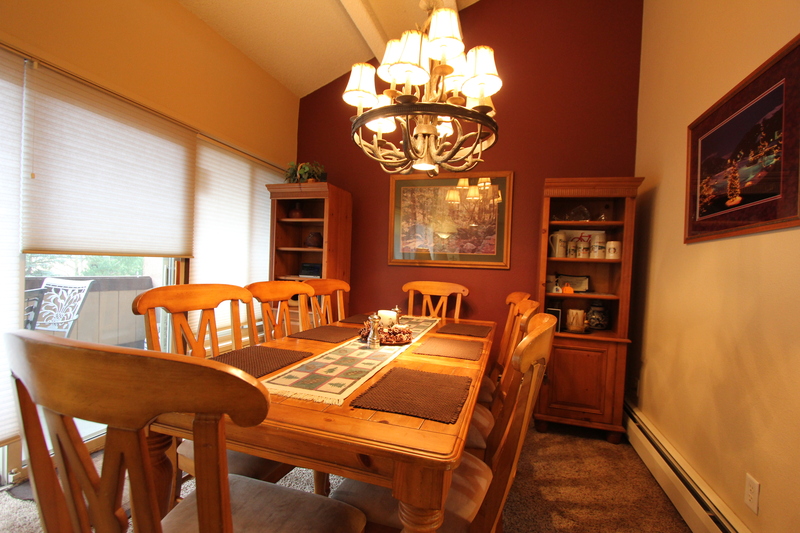 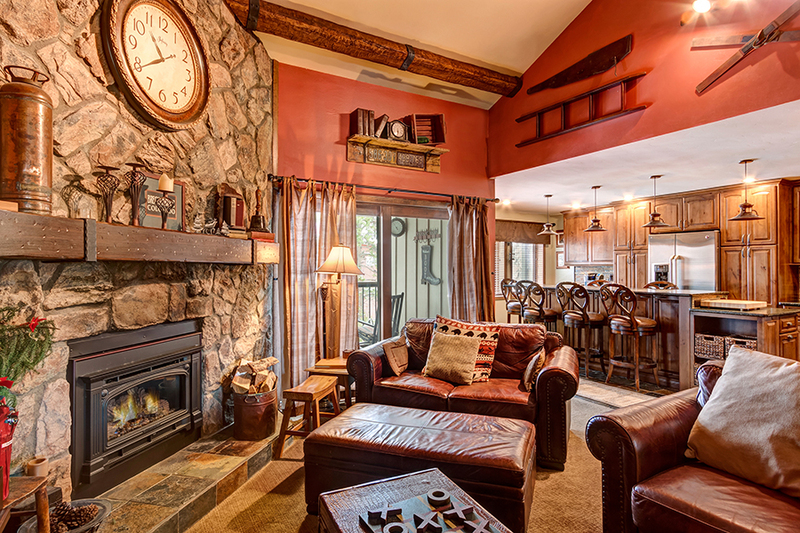 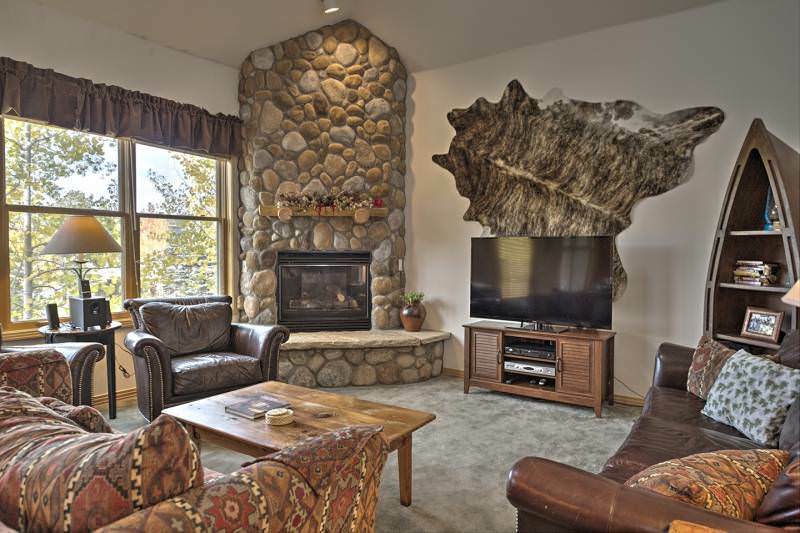 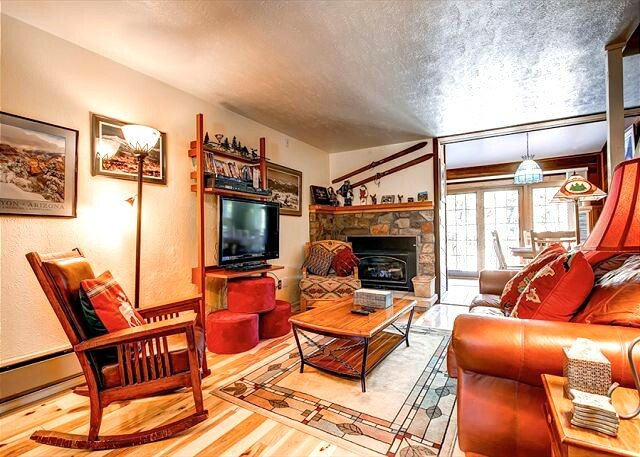 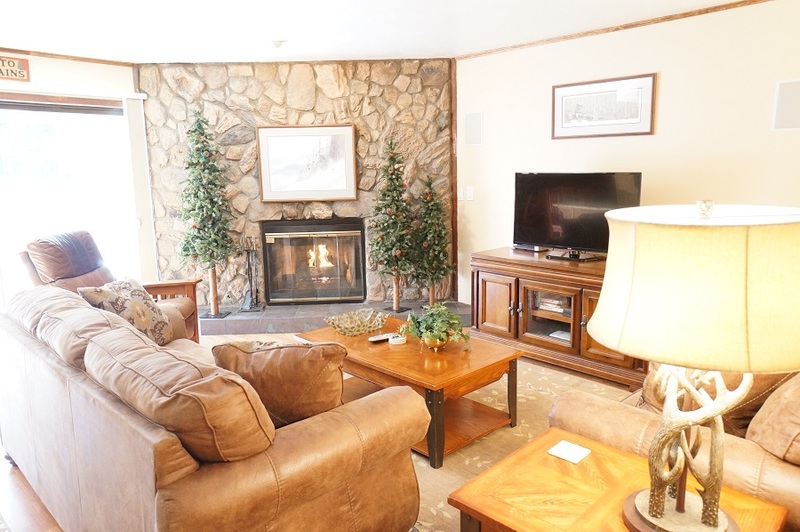 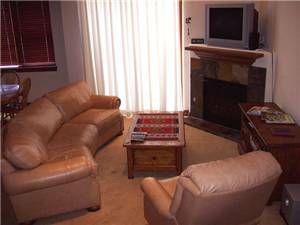 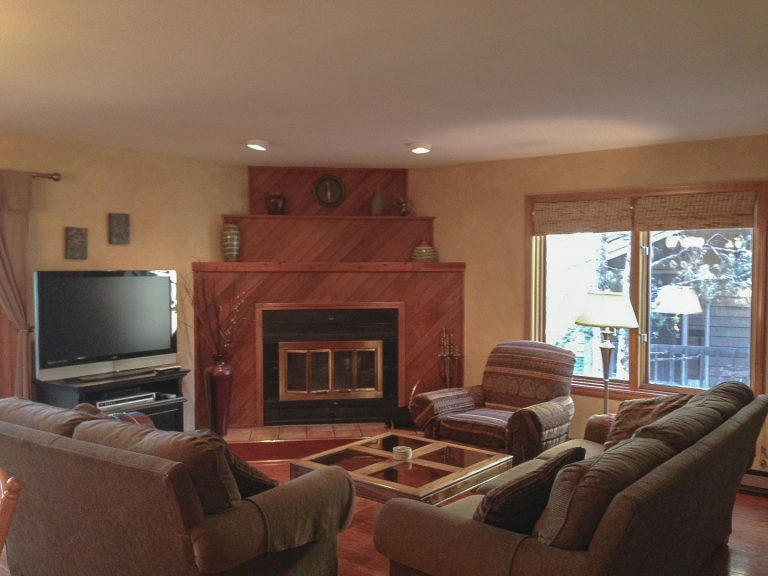 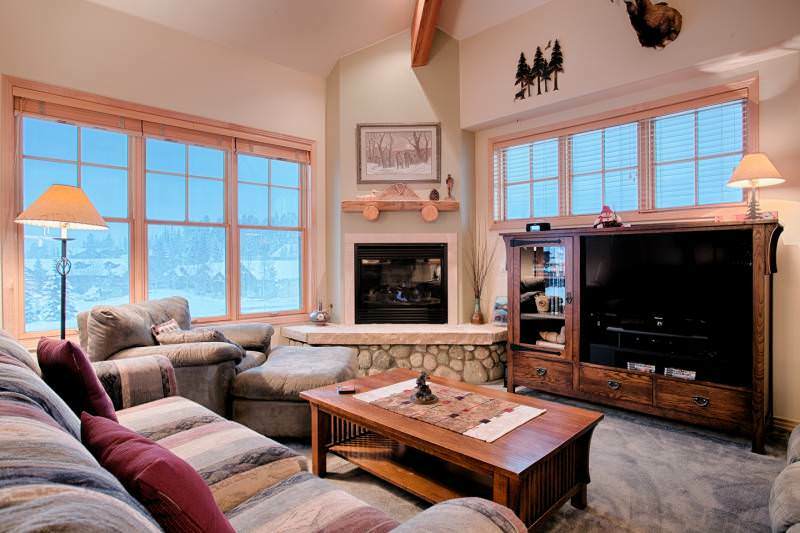 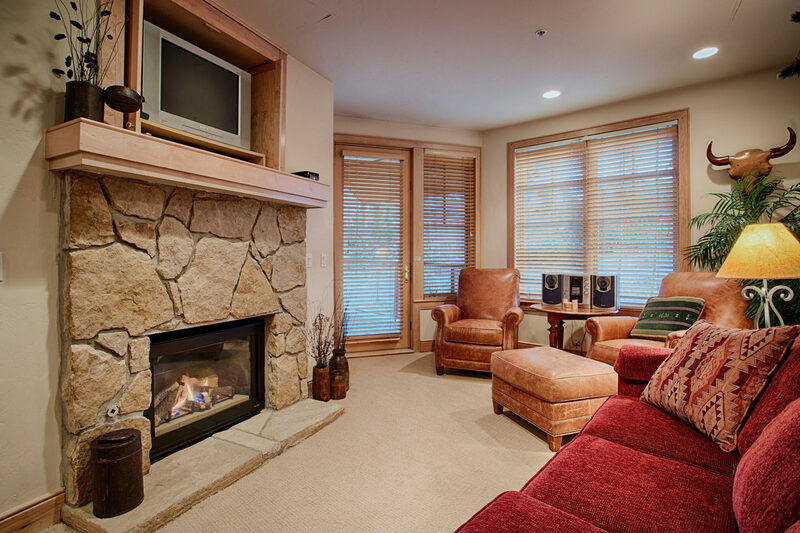 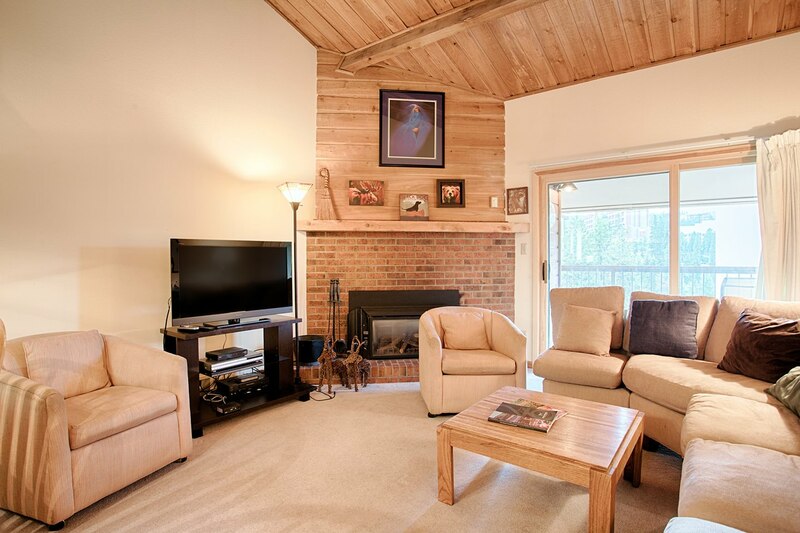 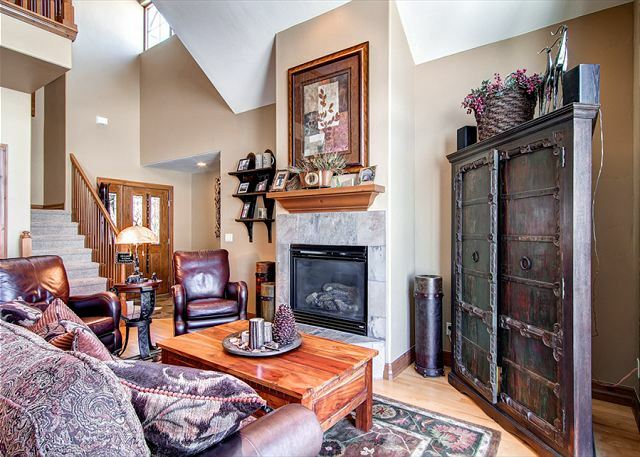 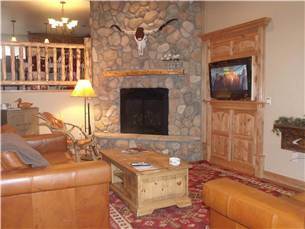 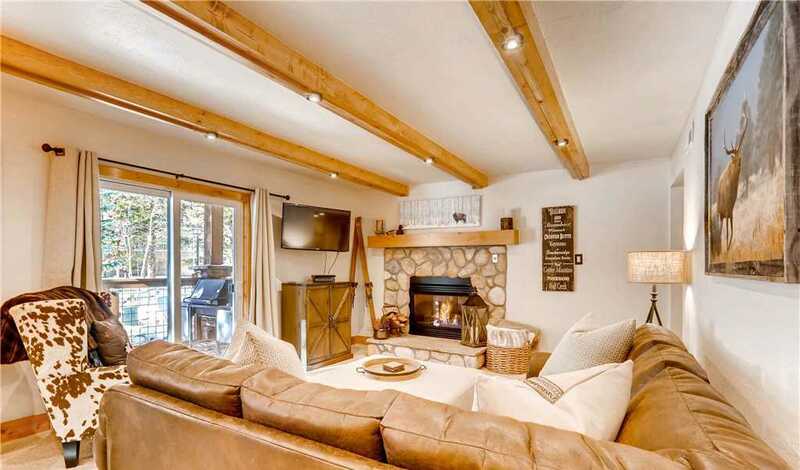 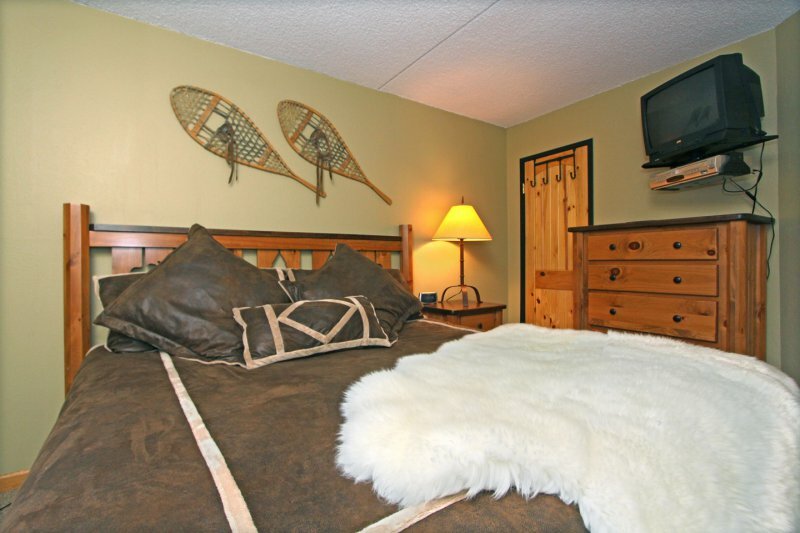 The property provides a large master bedroom with a king-sized bed, and stays cozy with the fireplace. 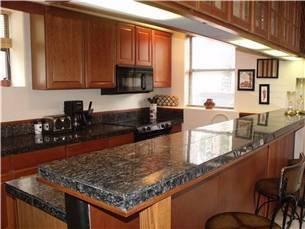 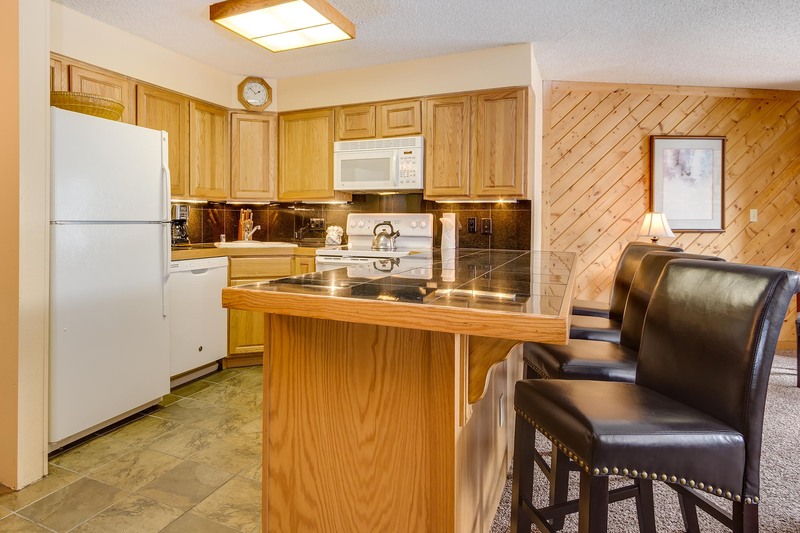 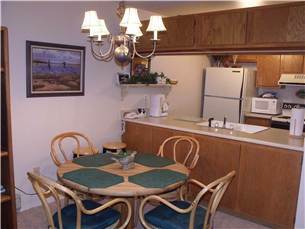 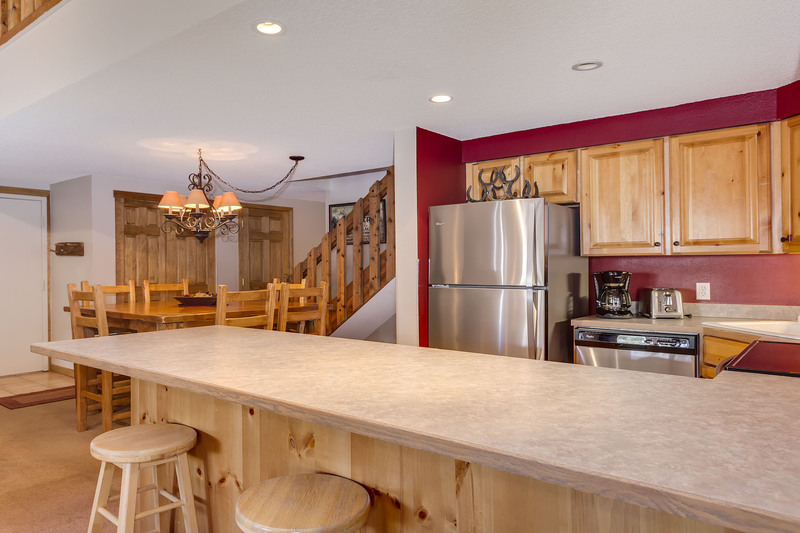 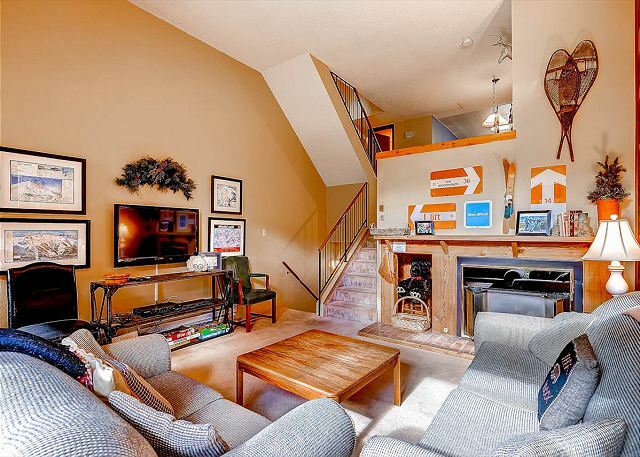 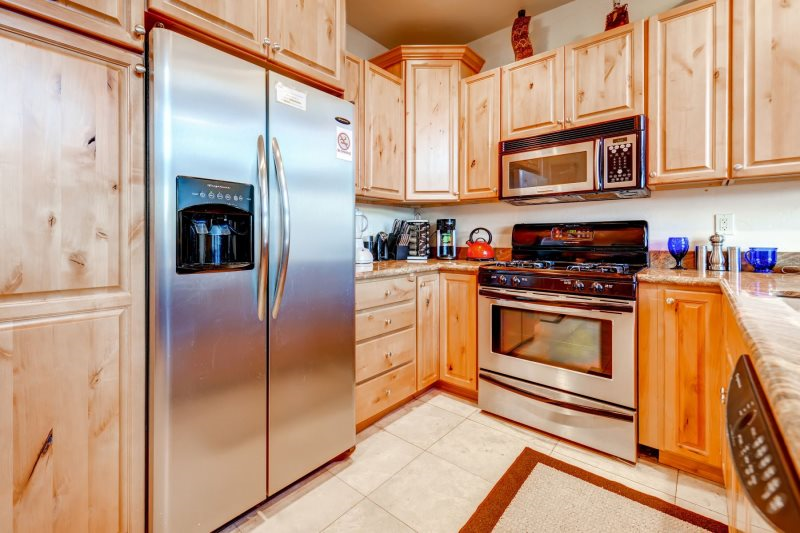 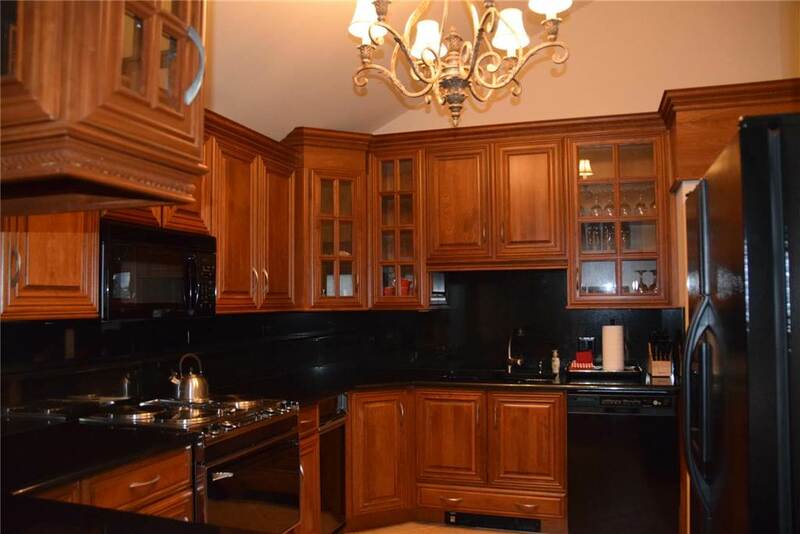 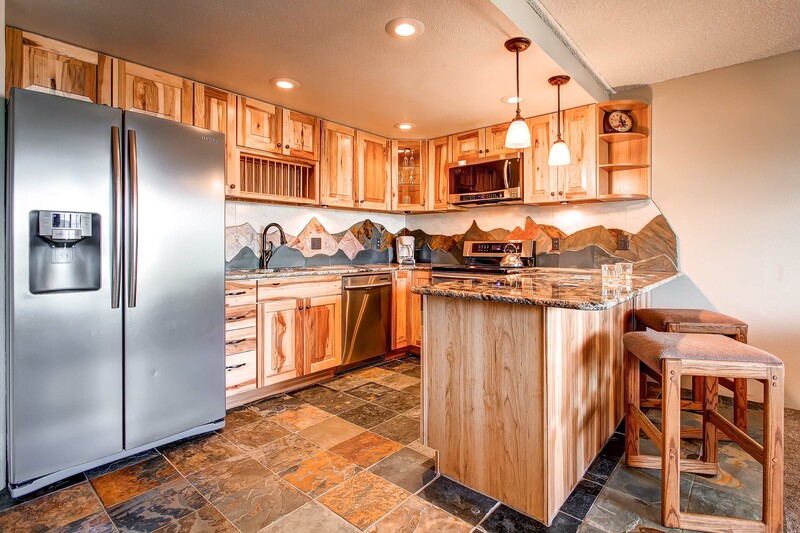 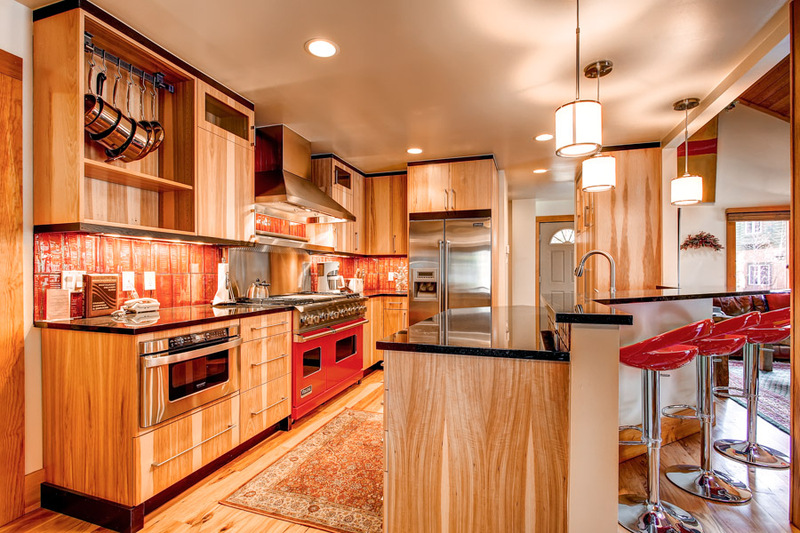 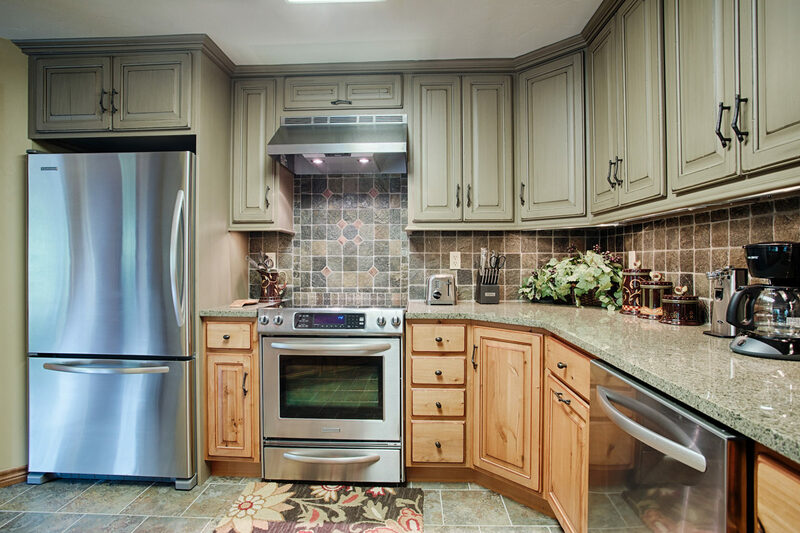 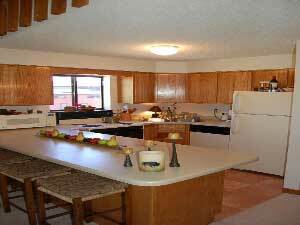 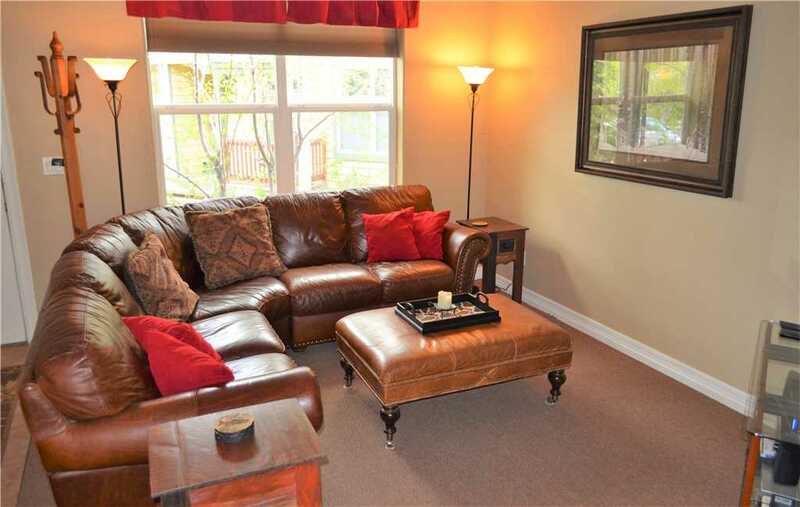 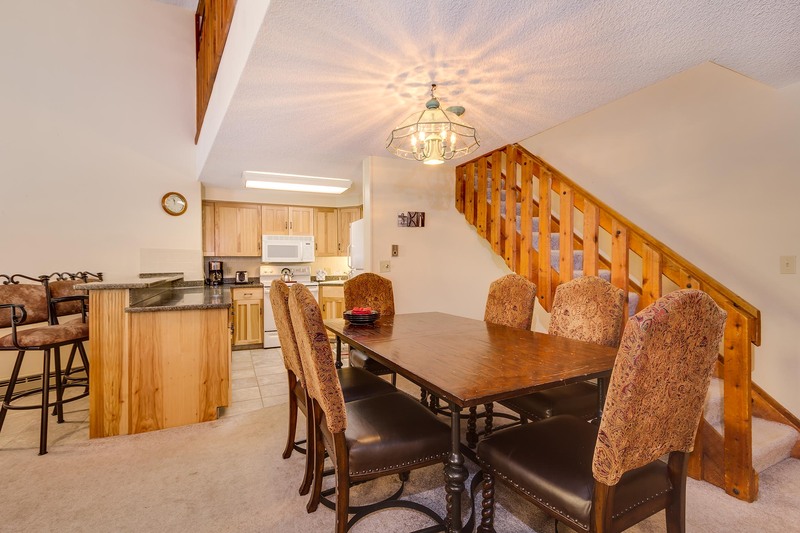 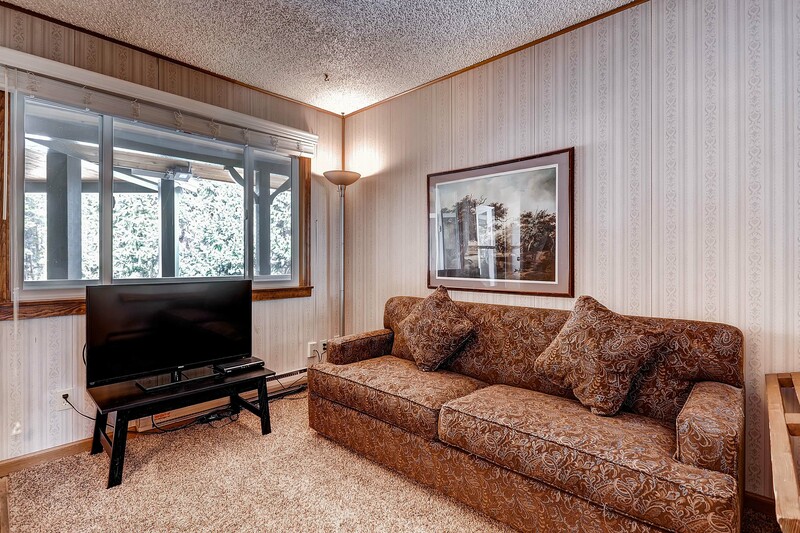 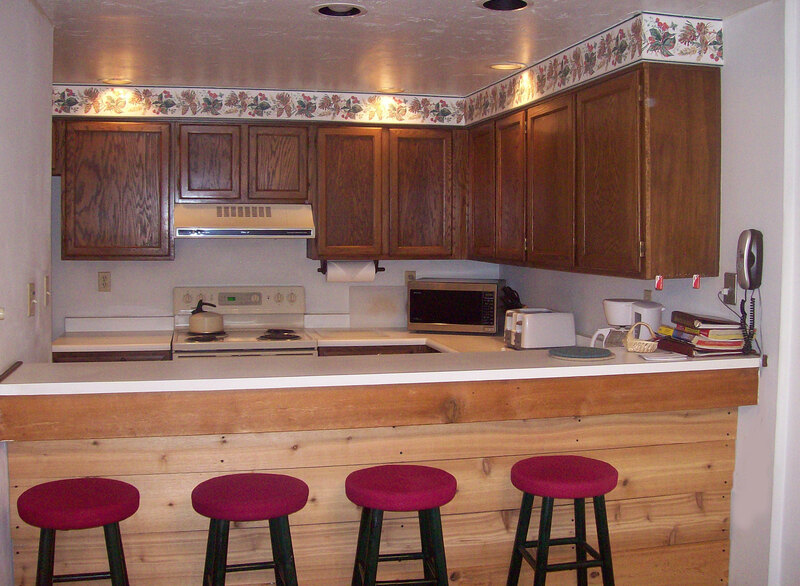 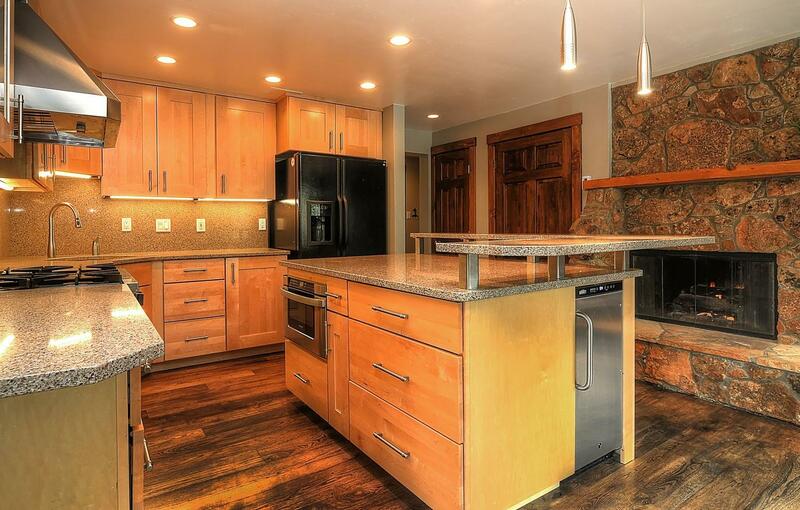 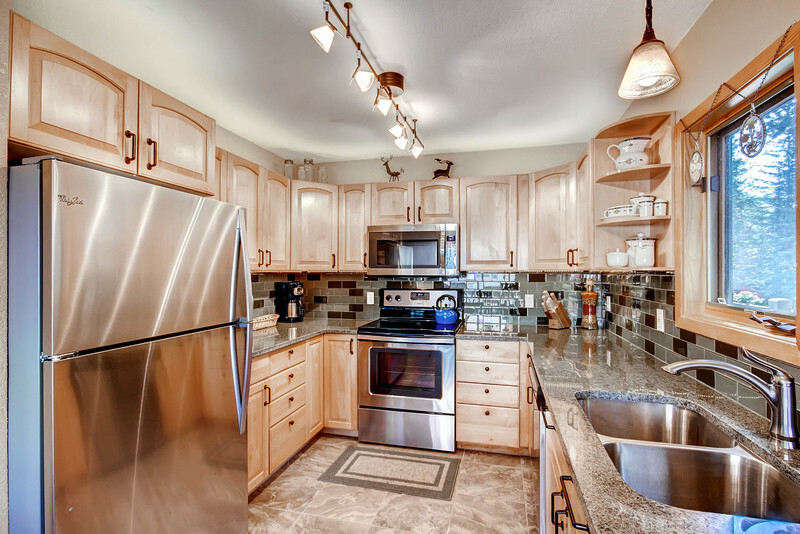 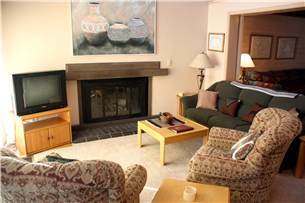 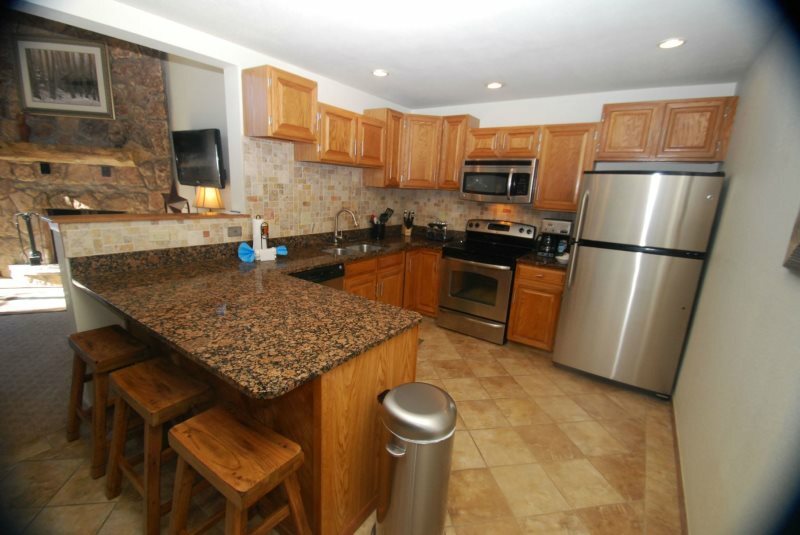 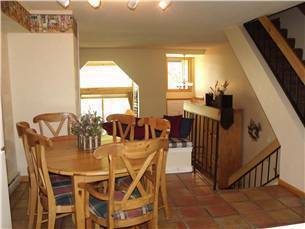 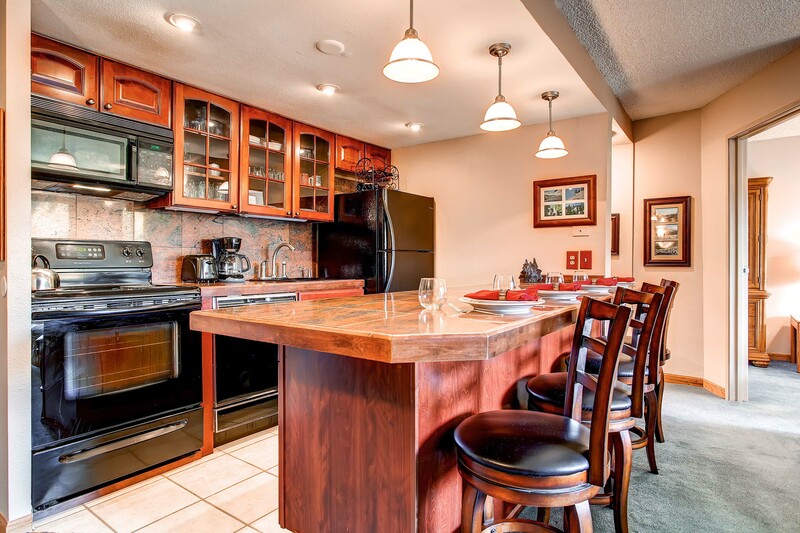 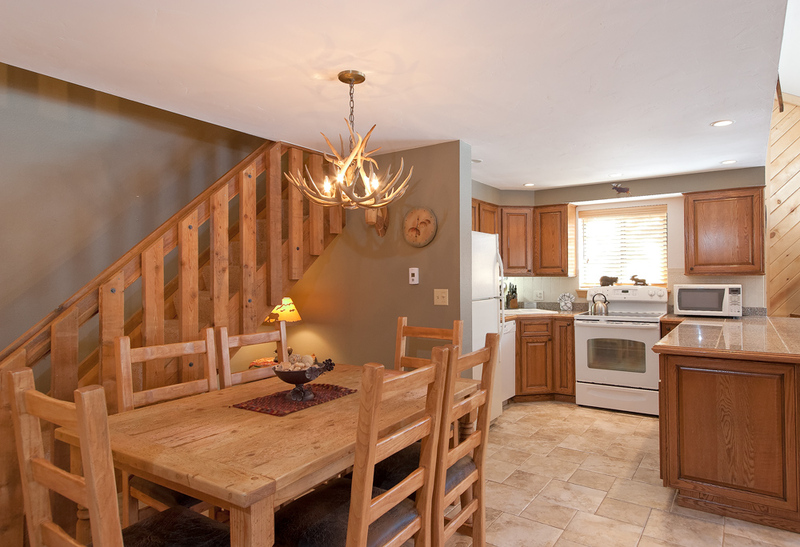 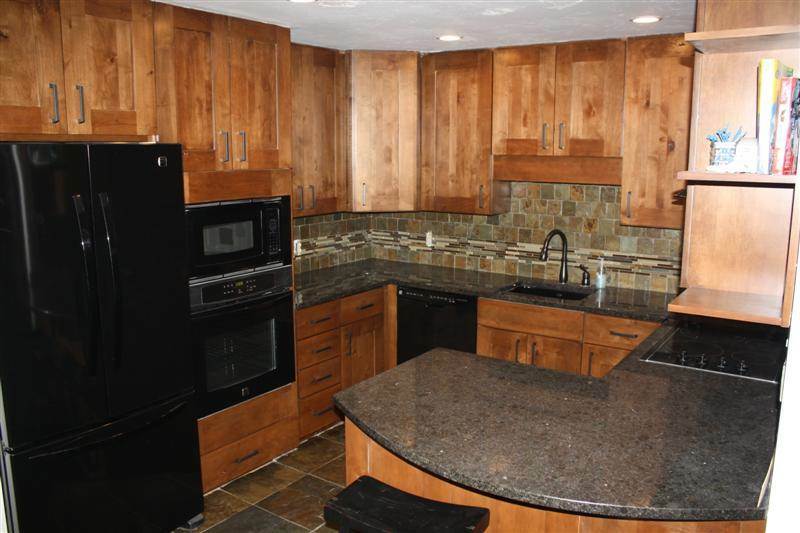 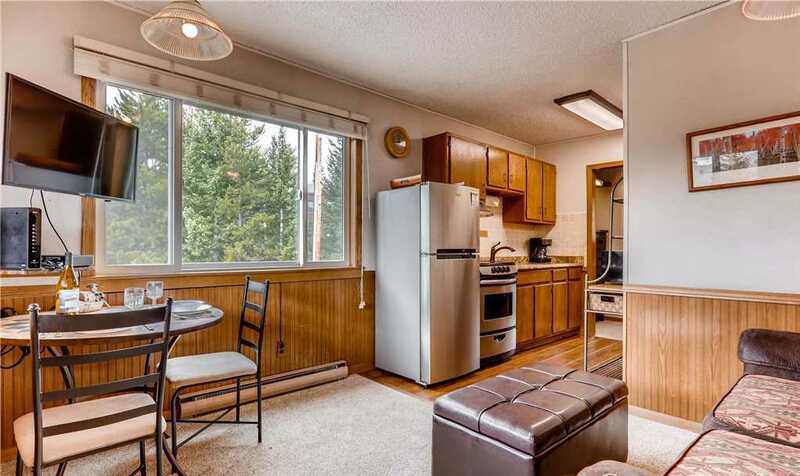 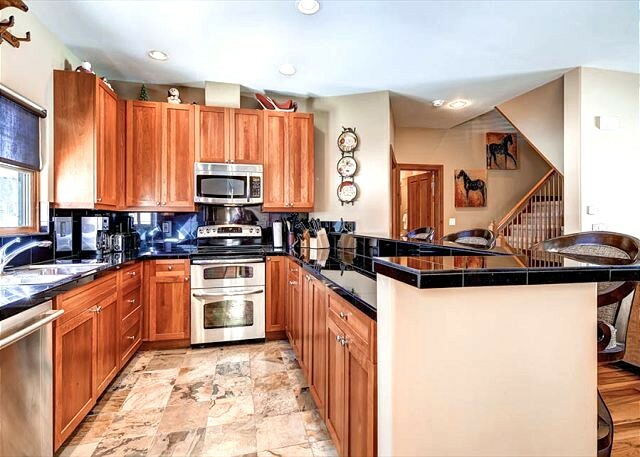 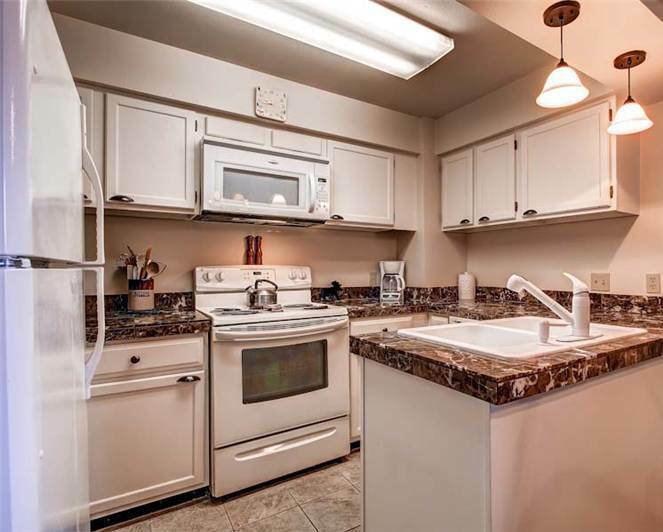 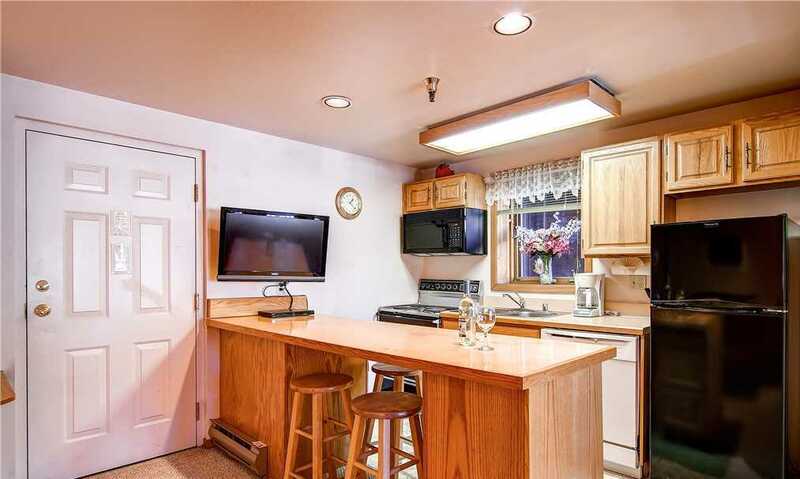 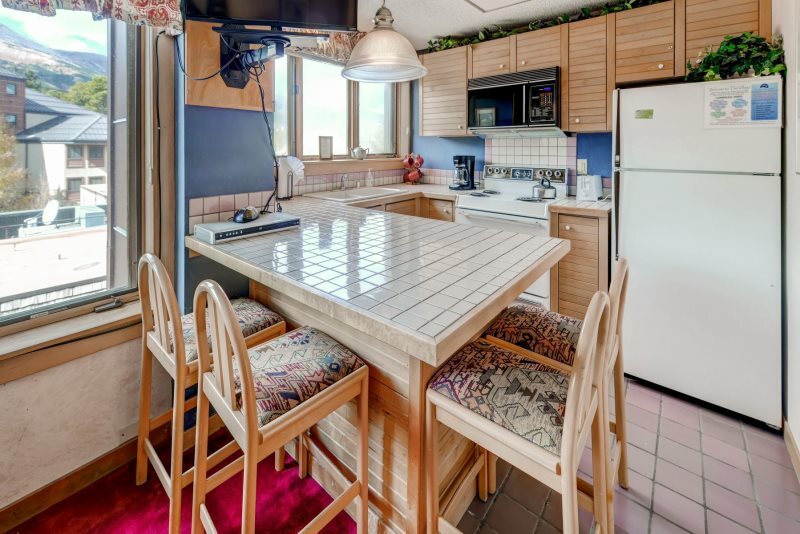 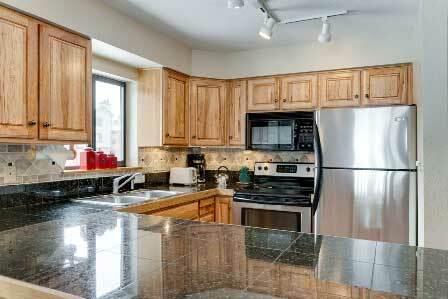 Other property features include a washer/dryer, stainless steel appliances and one underground parking space. 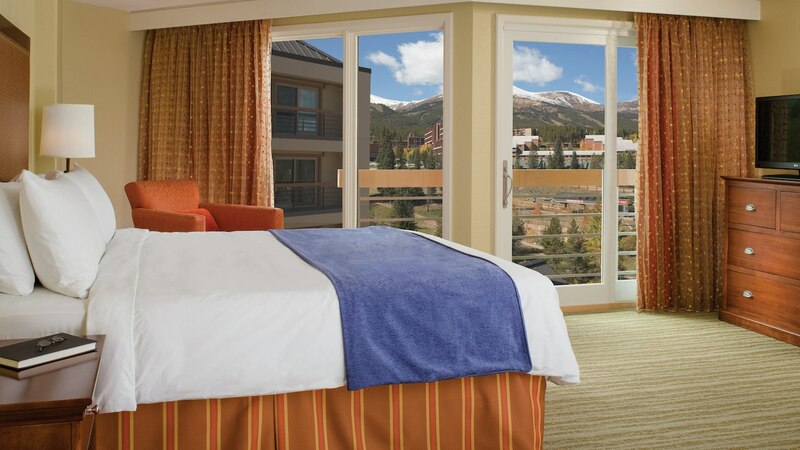 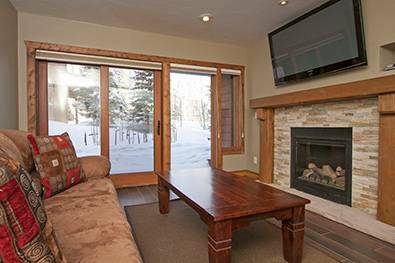 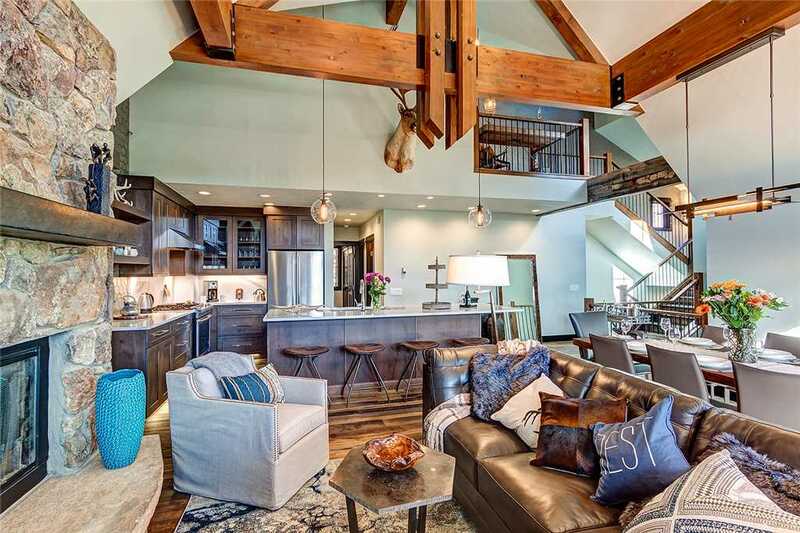 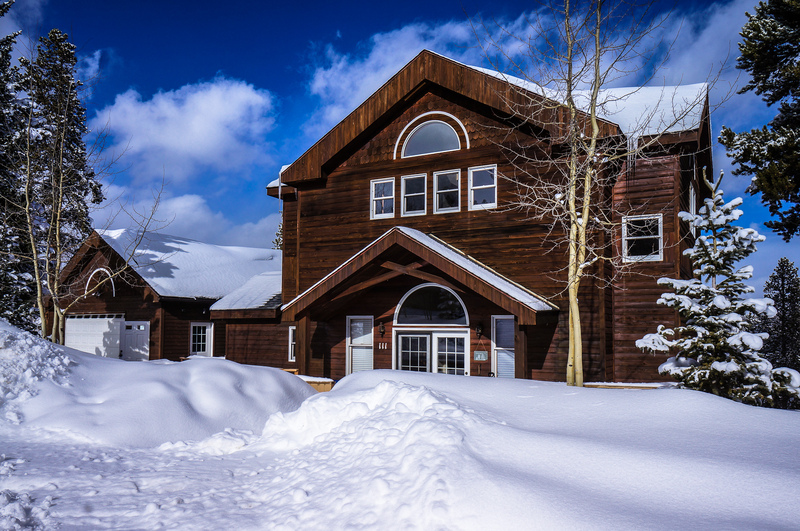 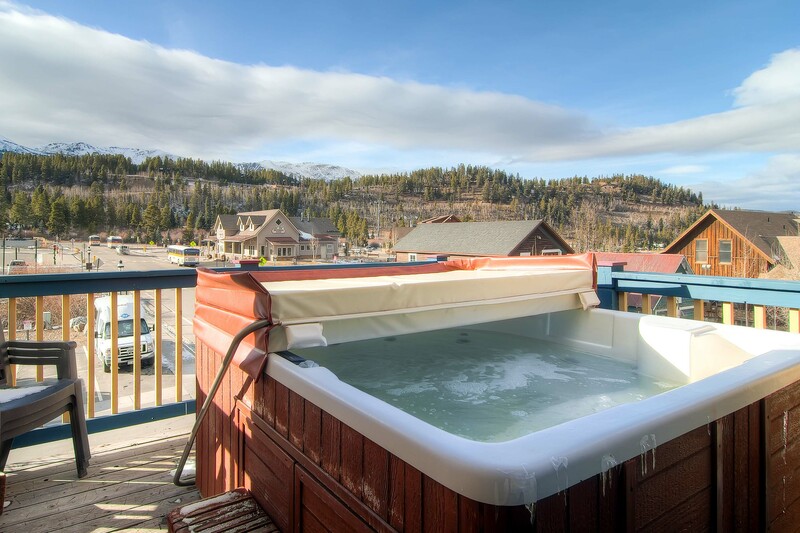 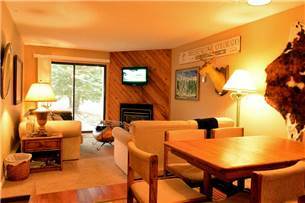 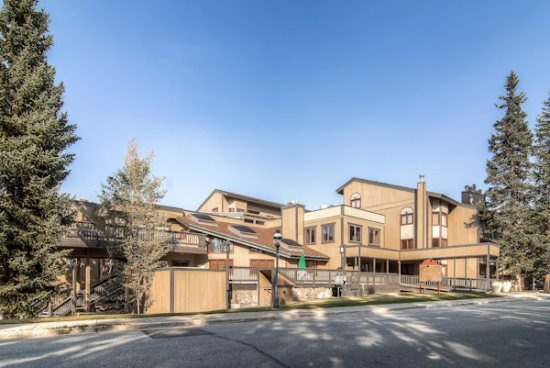 The building also offers a common-area outdoor hot tub, fitness room, free ski concierge service and a lobby with a fireplace and couches. 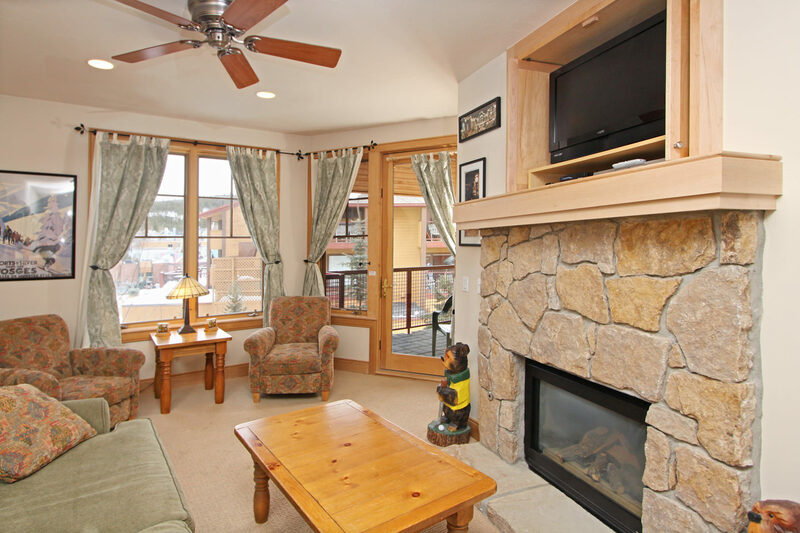 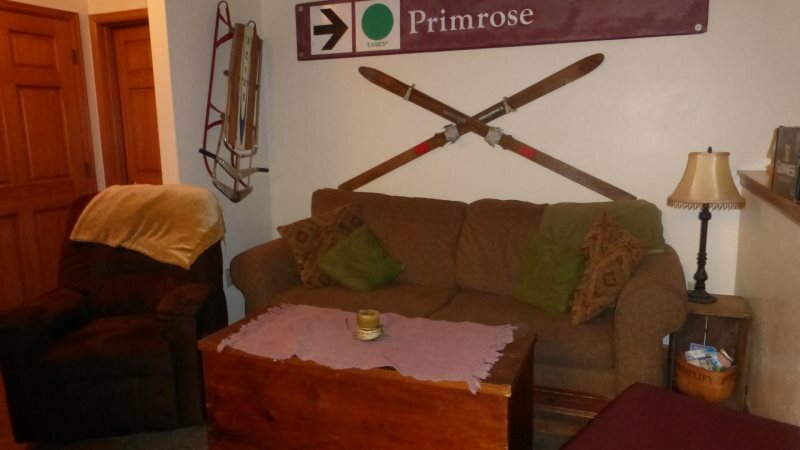 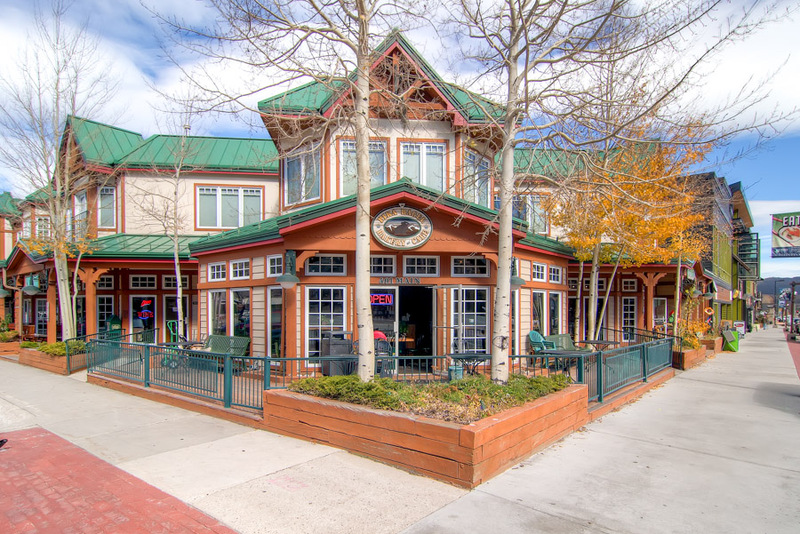 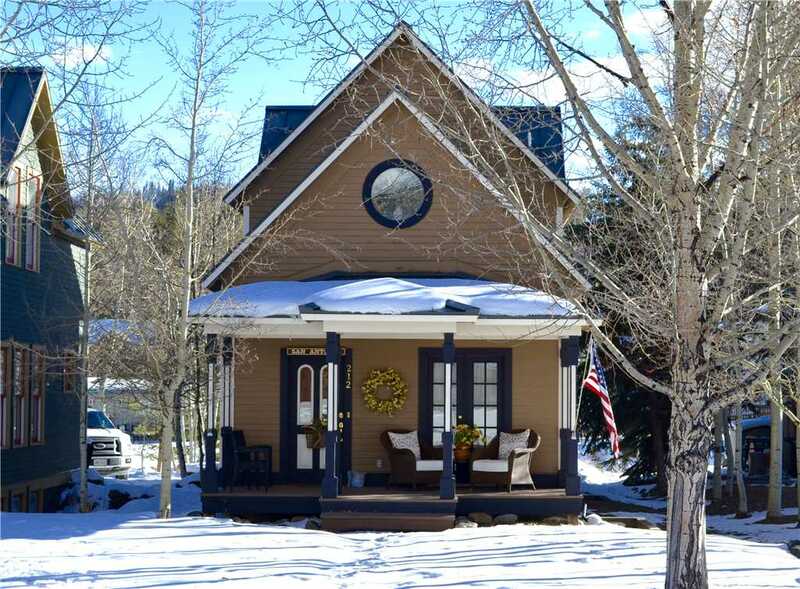 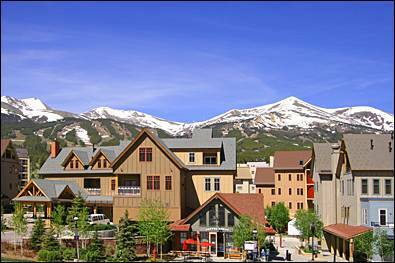 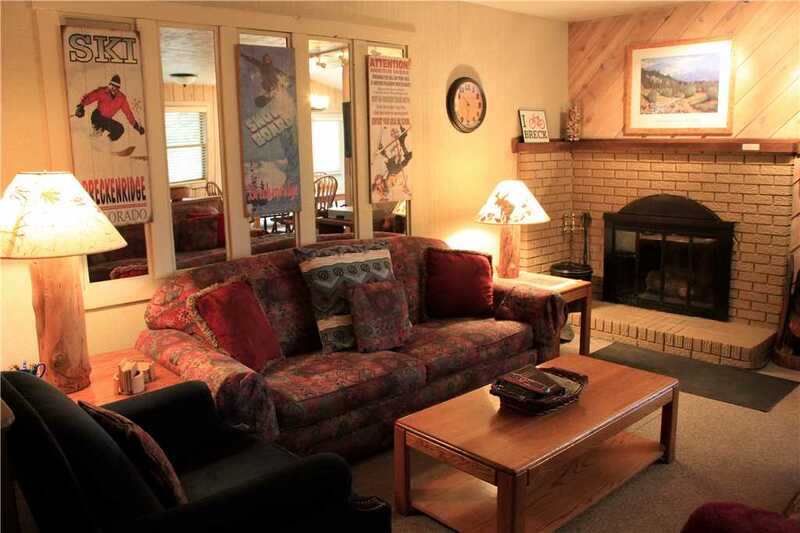 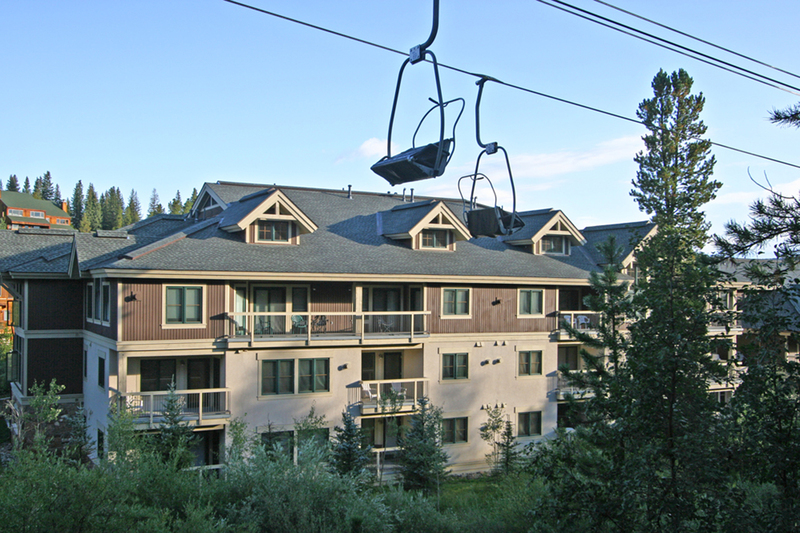 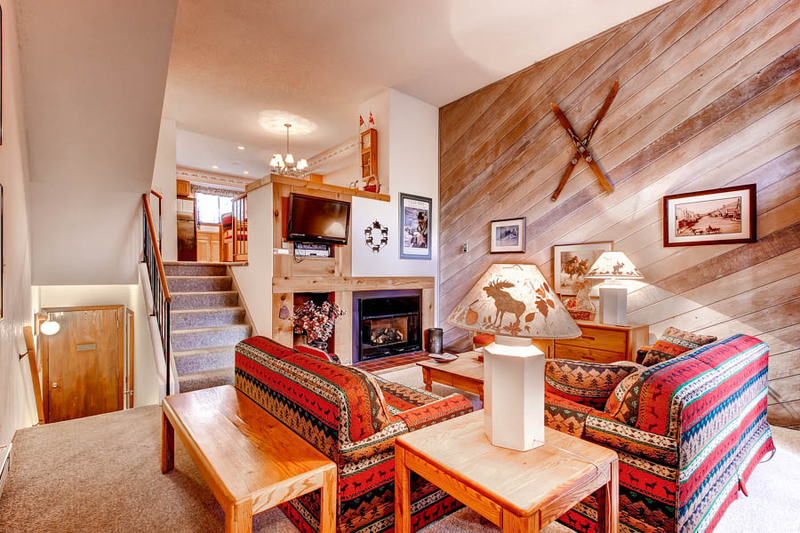 All of the attractions of Main Street are just a short 1/2 block walk, and the Quicksilver Chairlift and the base of Peak 9 are right across the street.